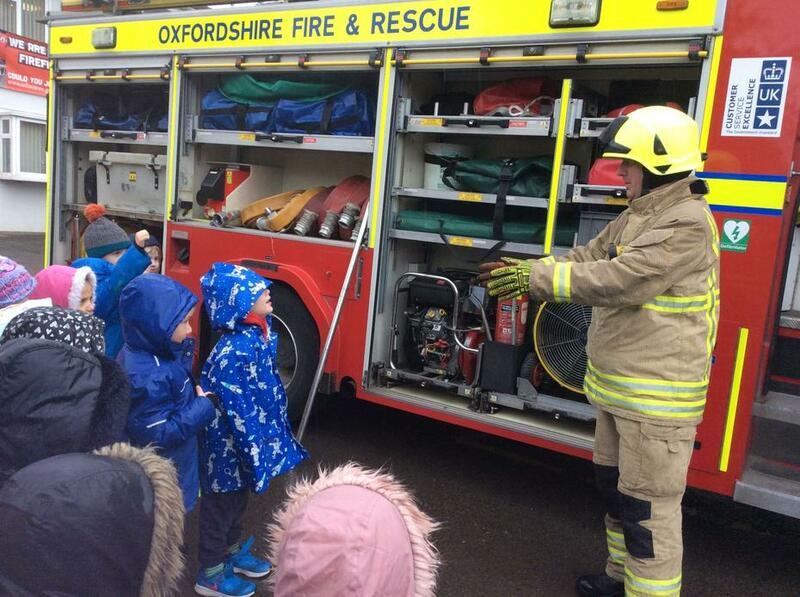 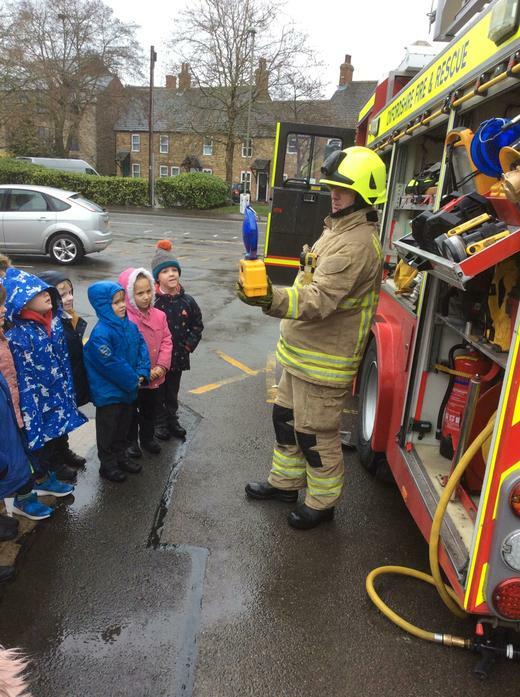 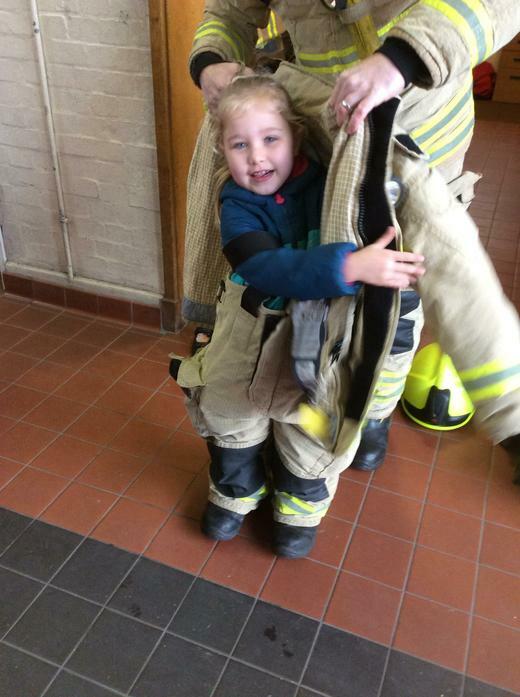 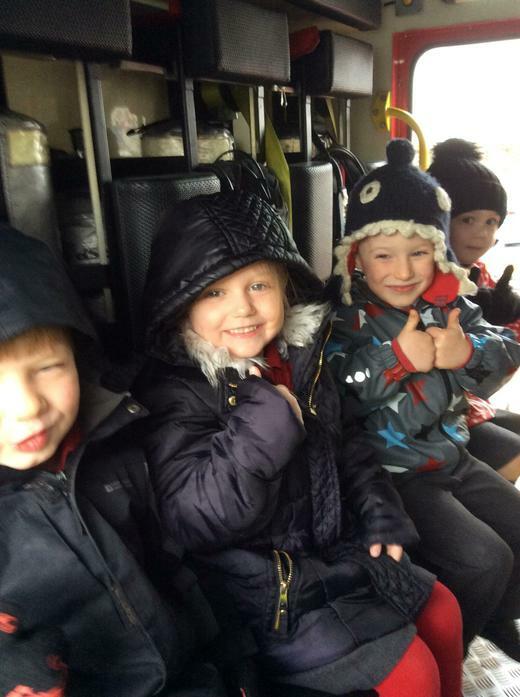 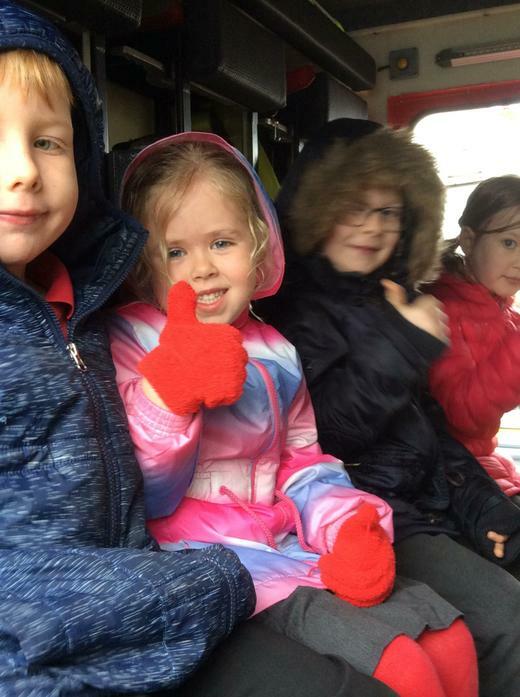 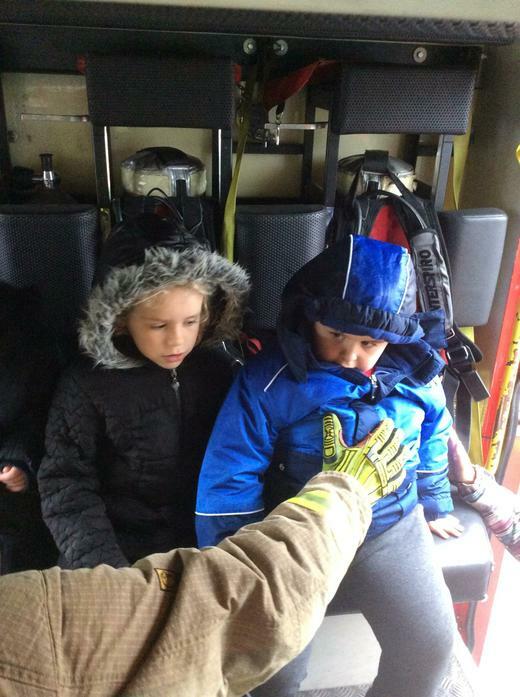 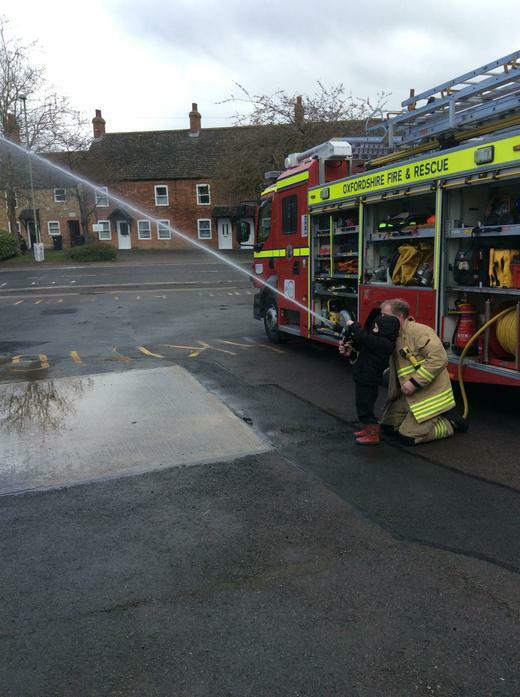 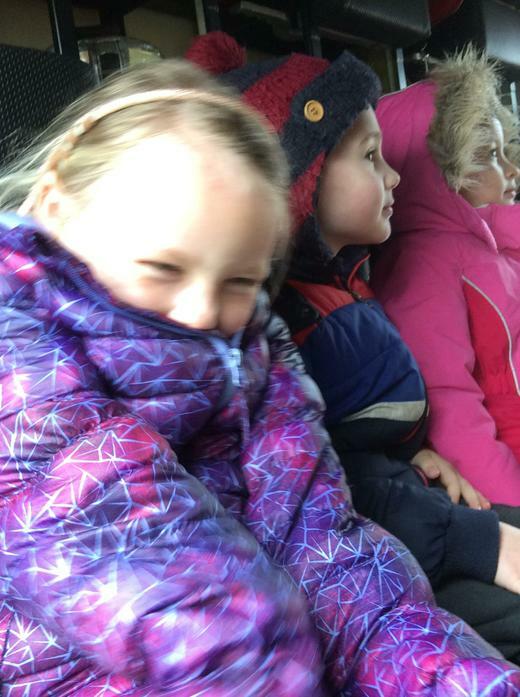 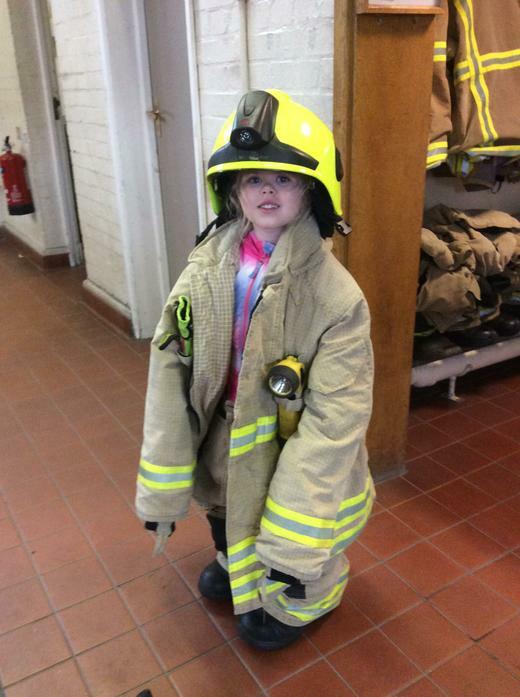 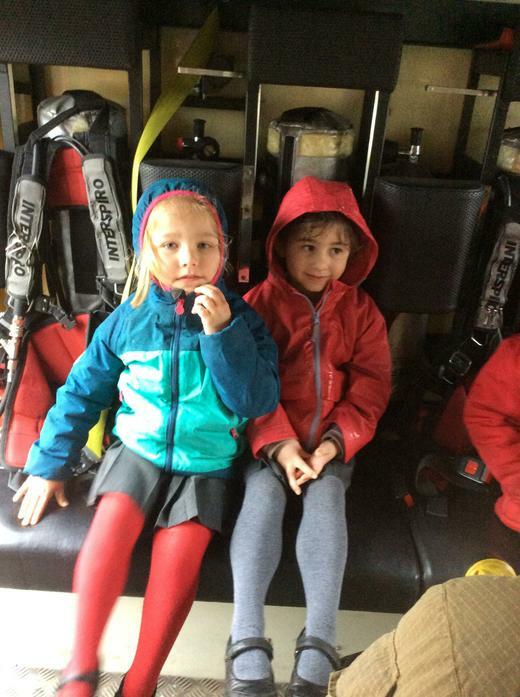 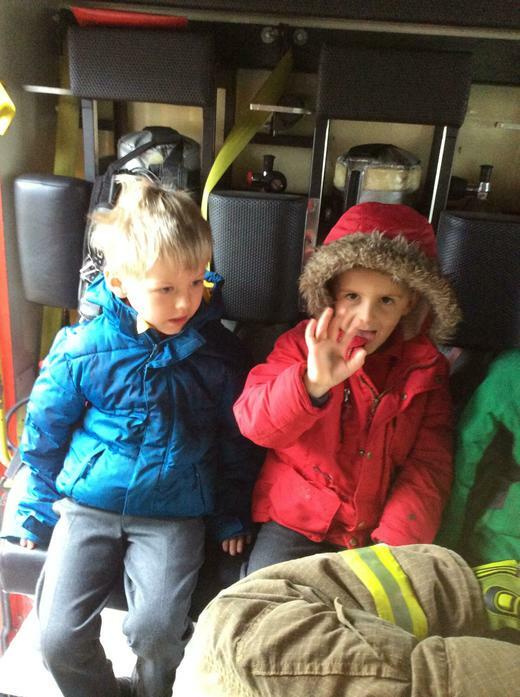 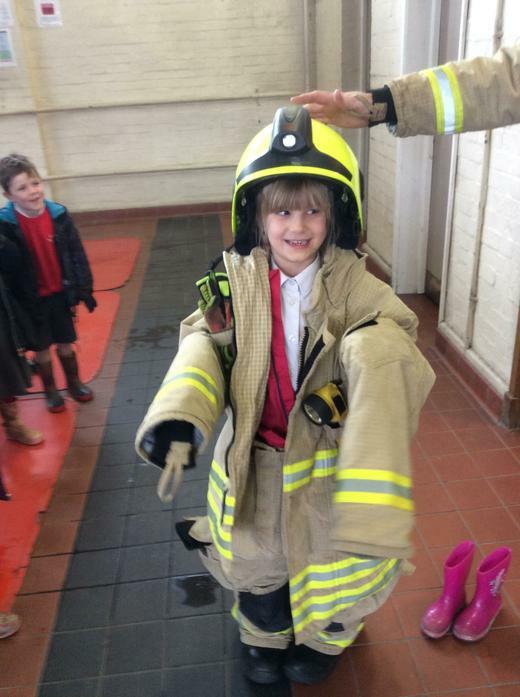 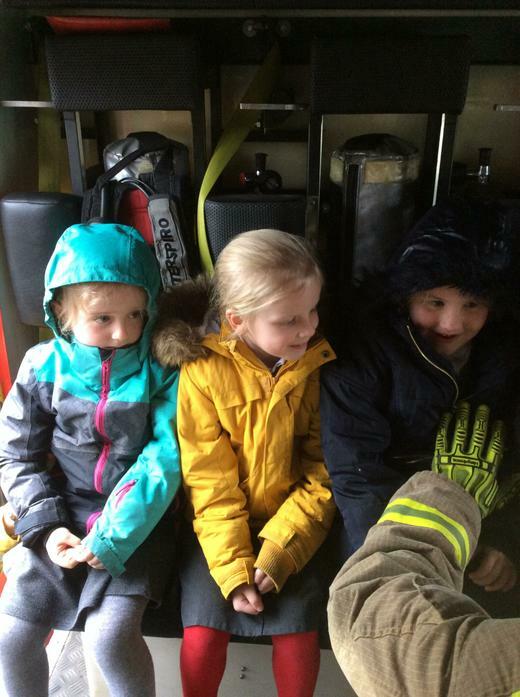 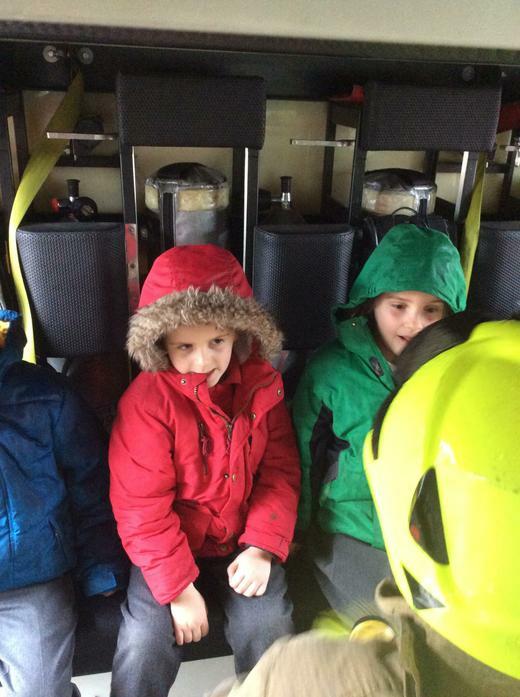 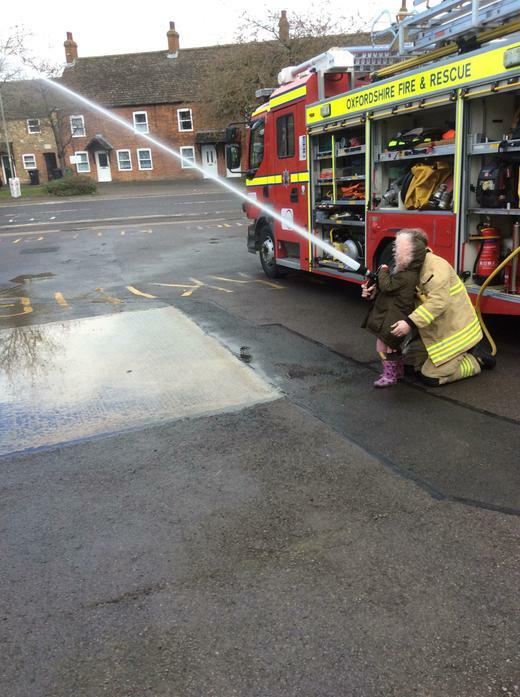 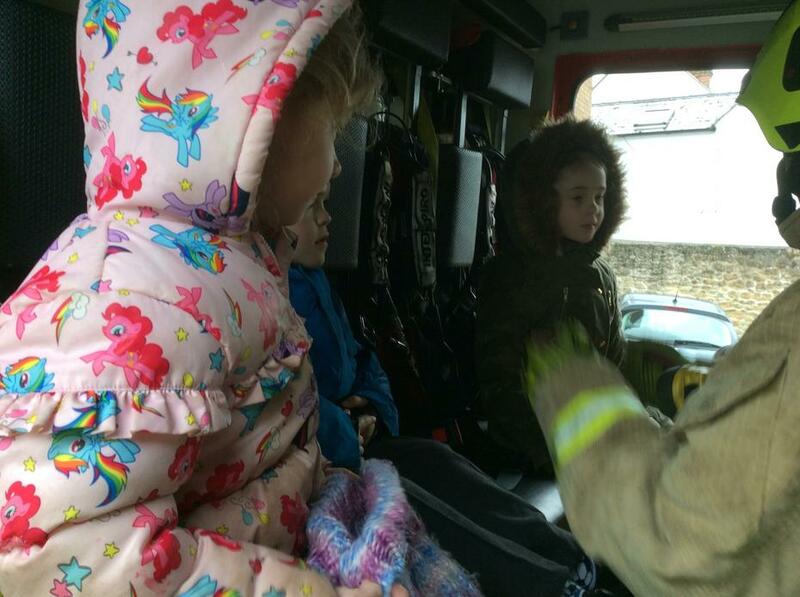 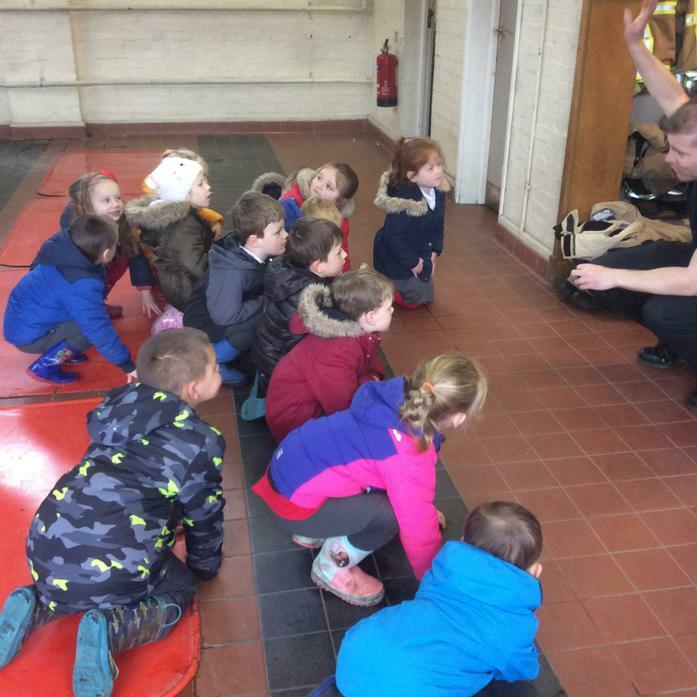 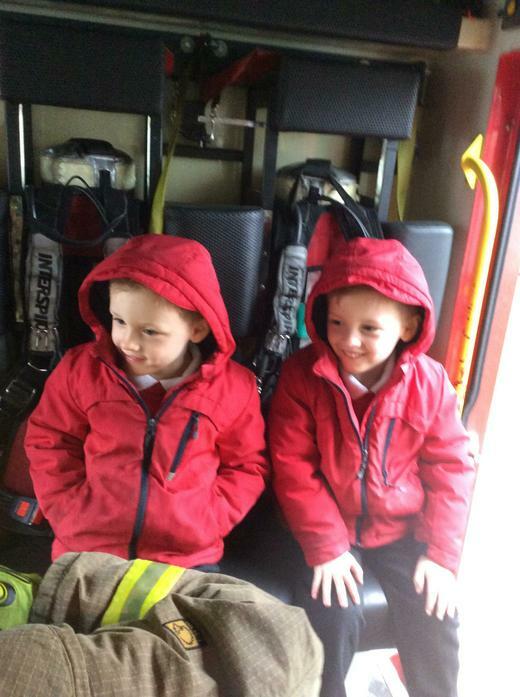 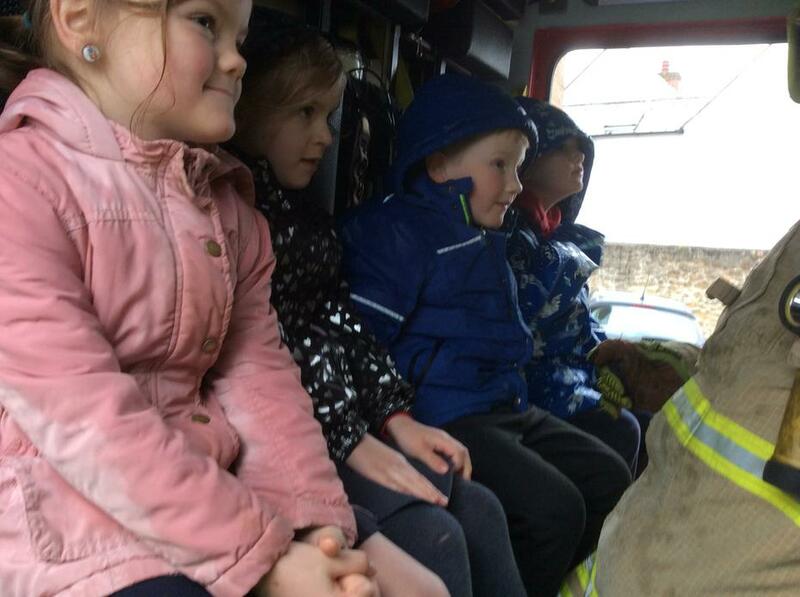 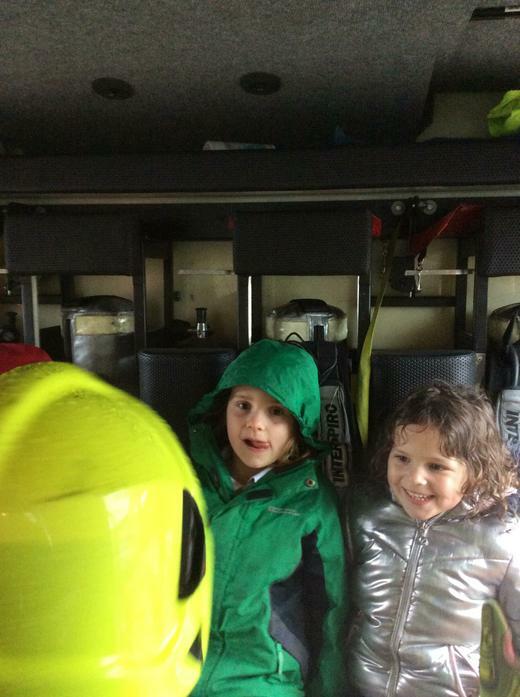 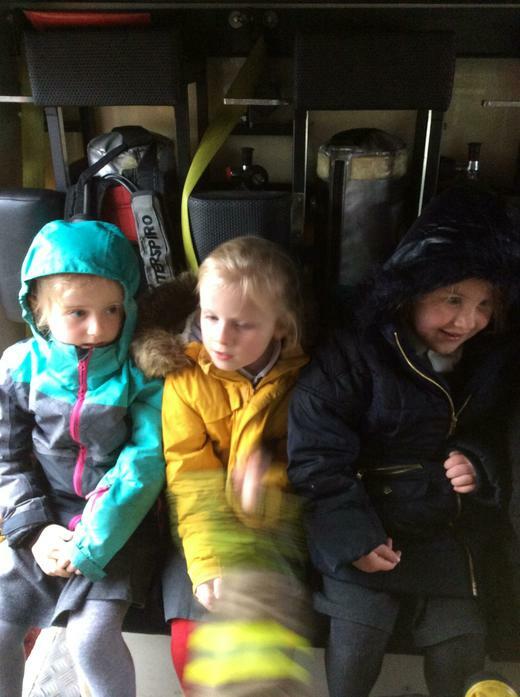 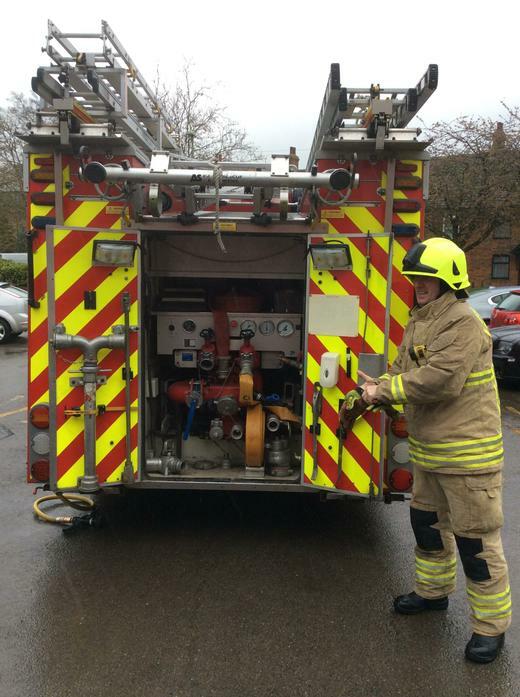 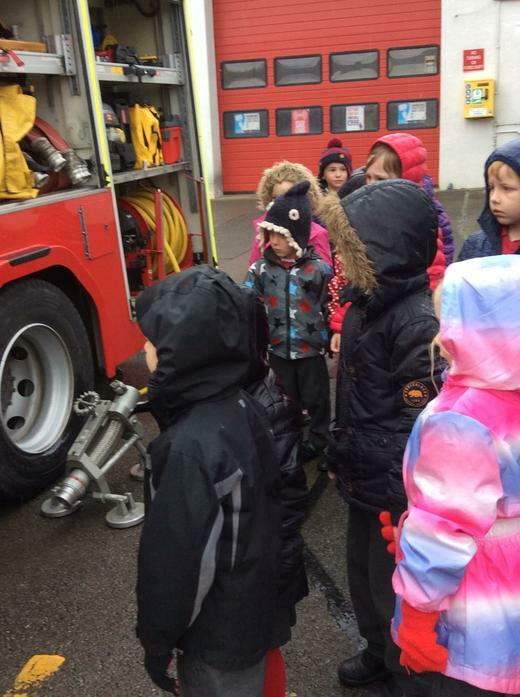 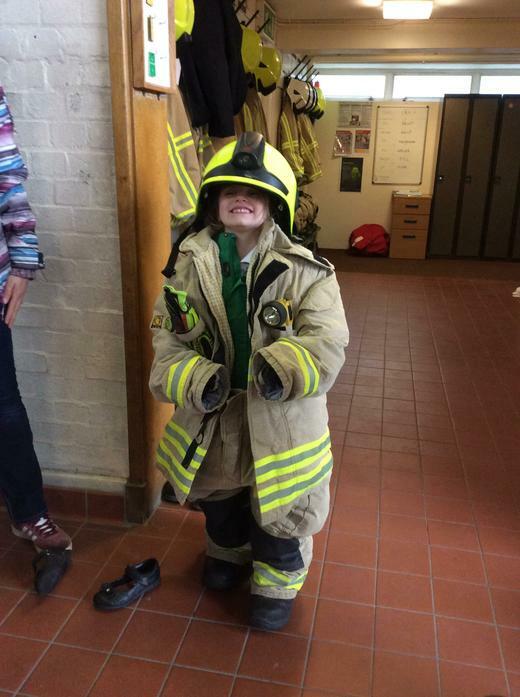 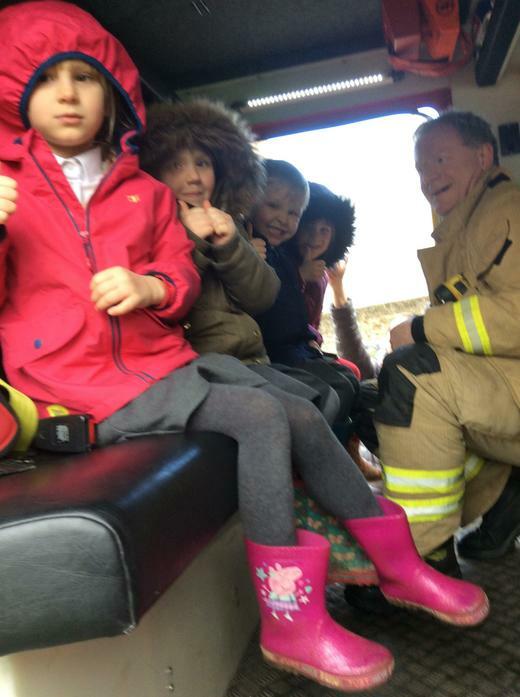 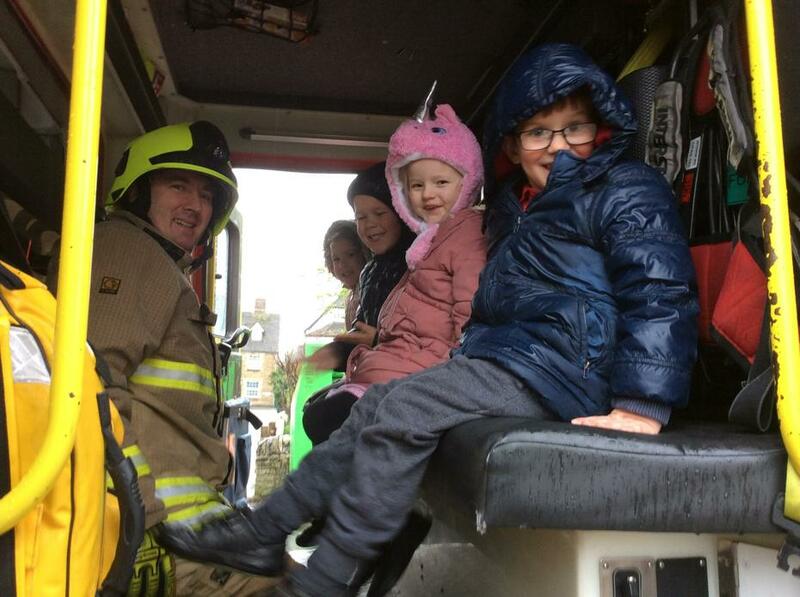 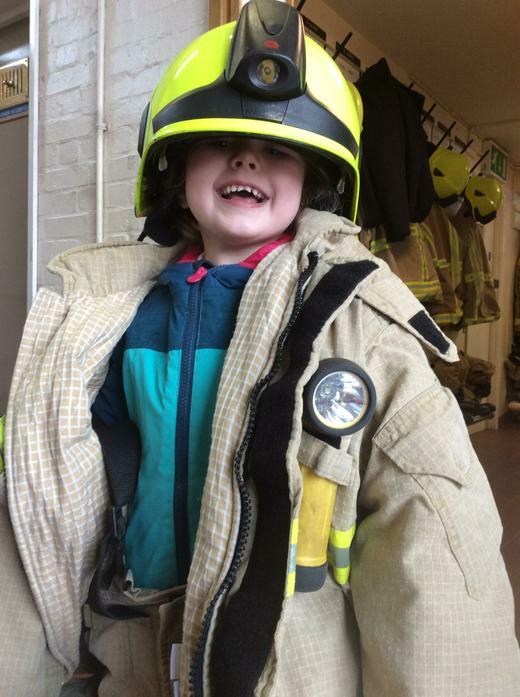 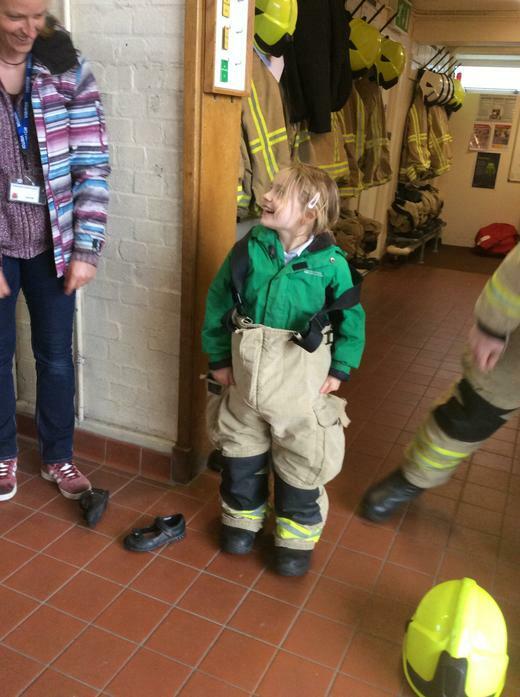 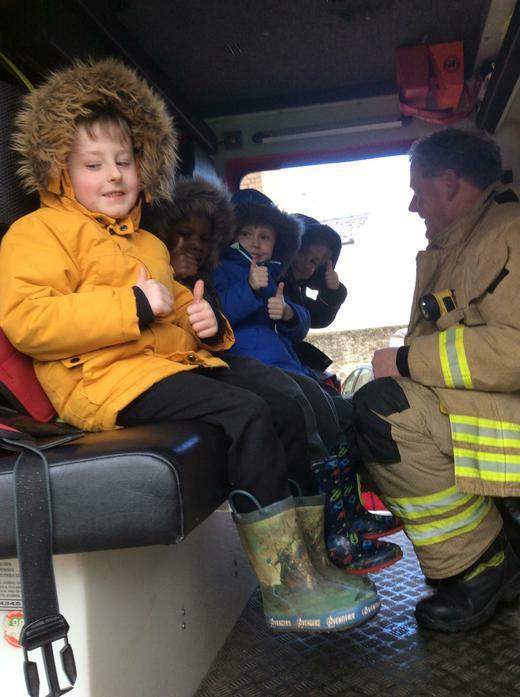 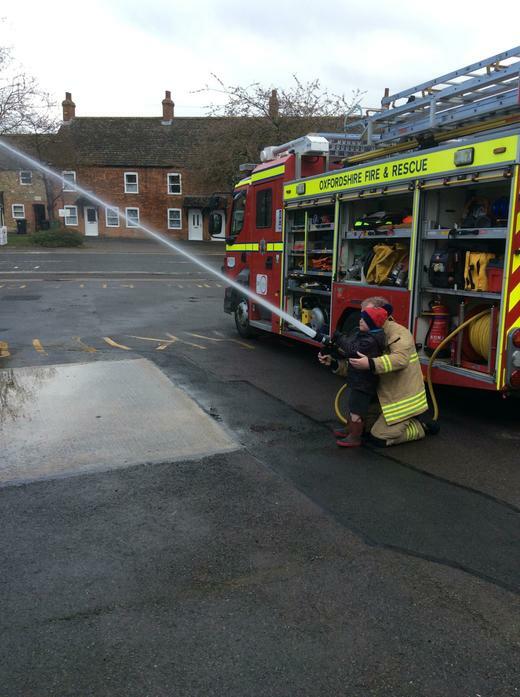 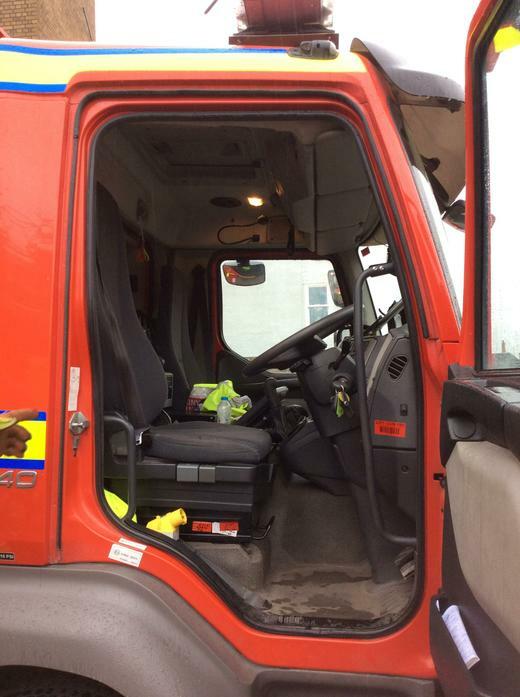 We had a very exciting and informative time at the fire station! 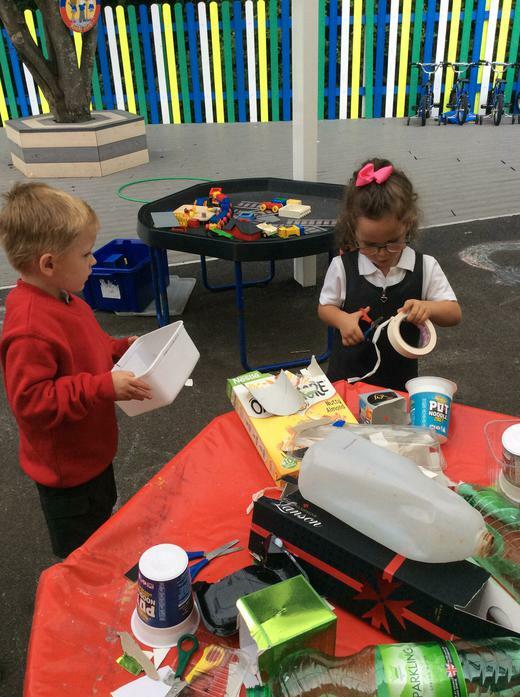 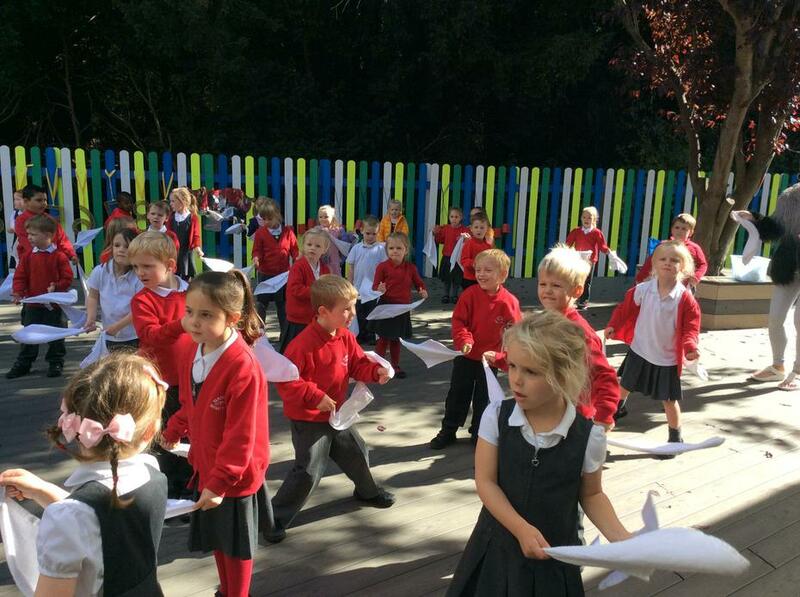 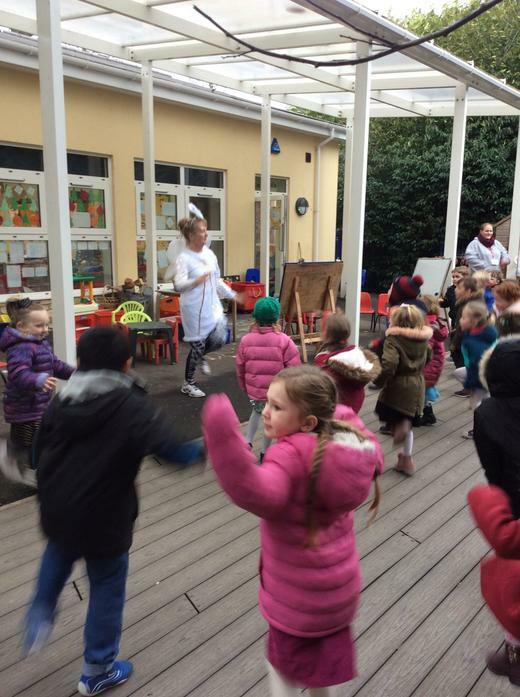 What fun we had on our Science day! 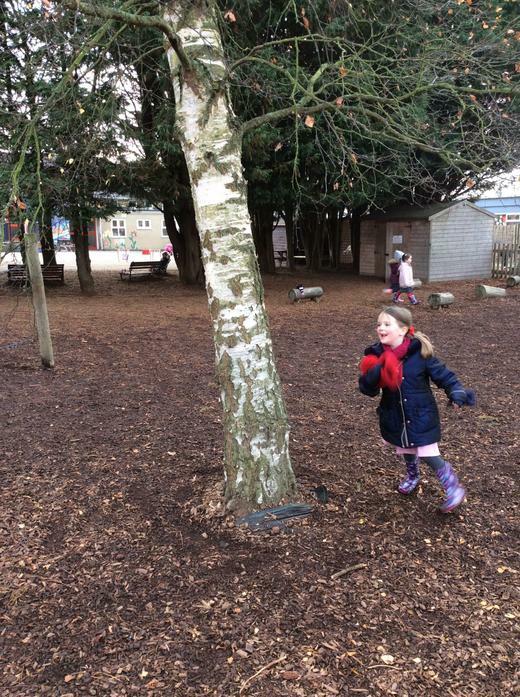 We based our day on the story, 'A Little Bit of Winter.' 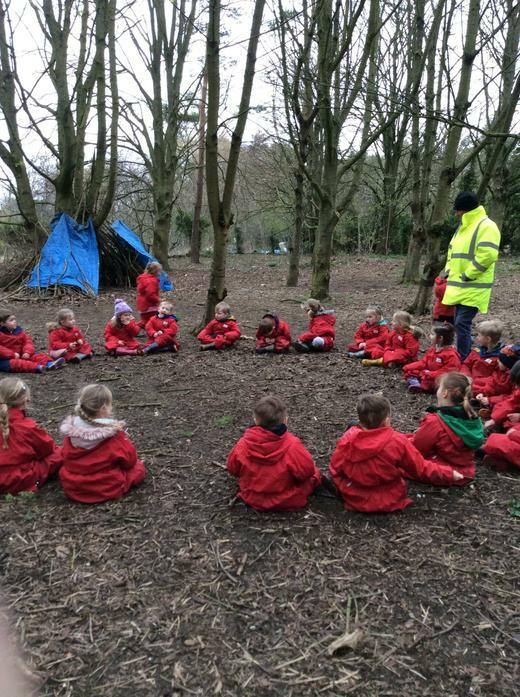 We talked about animals in winter and hibernation. 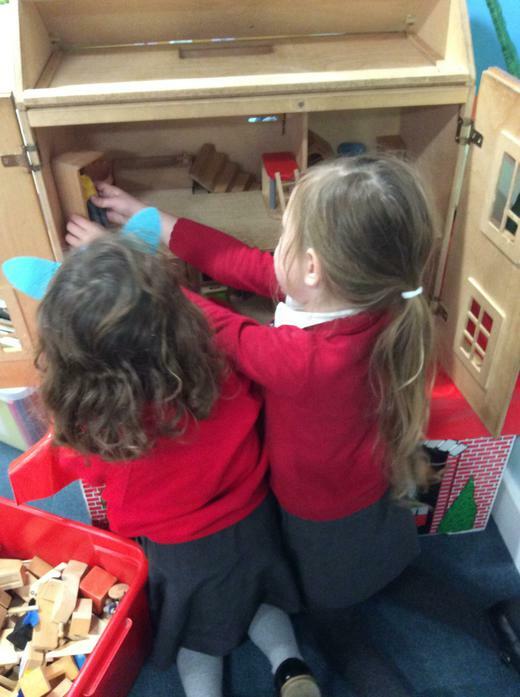 In the story, Hedgehog asks Rabbit to save him a little piece of winter so that when he wakes up, he can see what it's like. 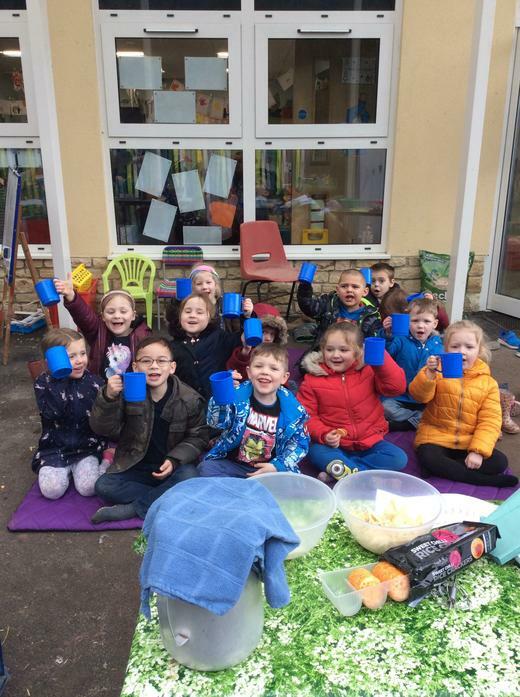 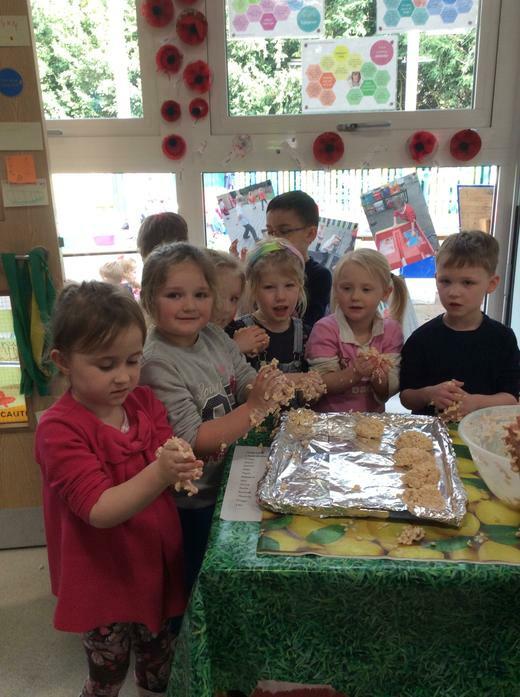 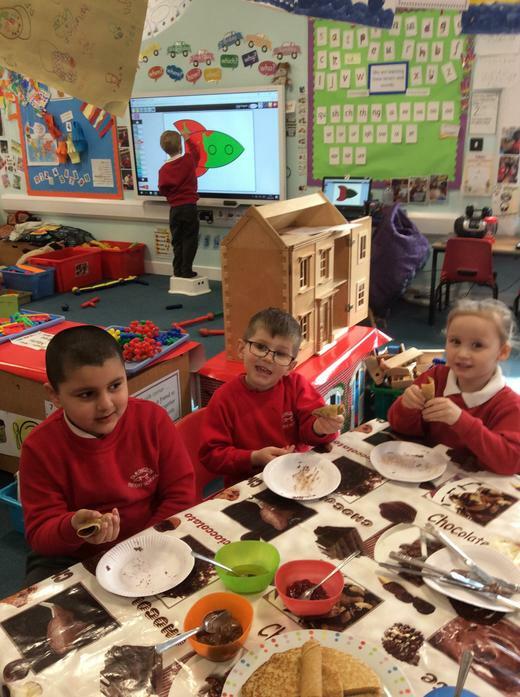 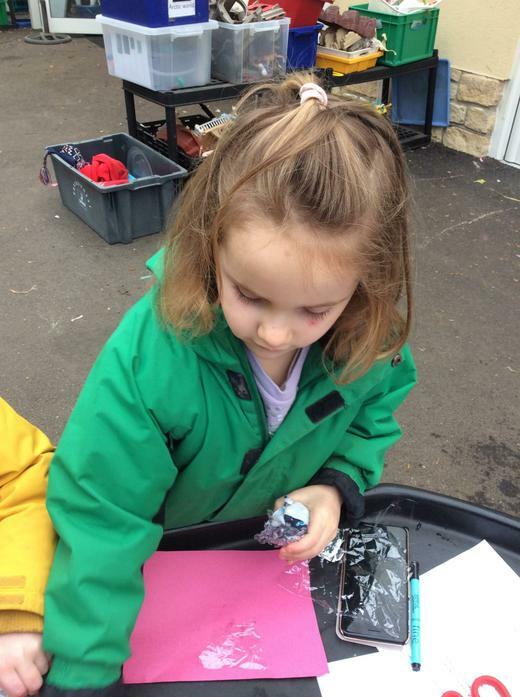 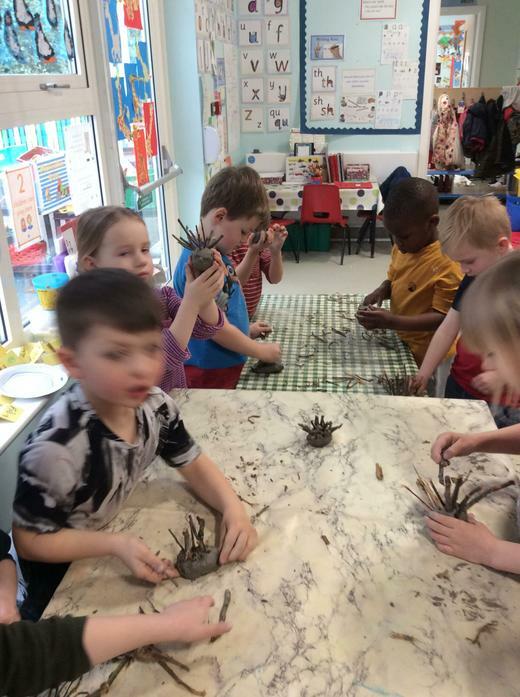 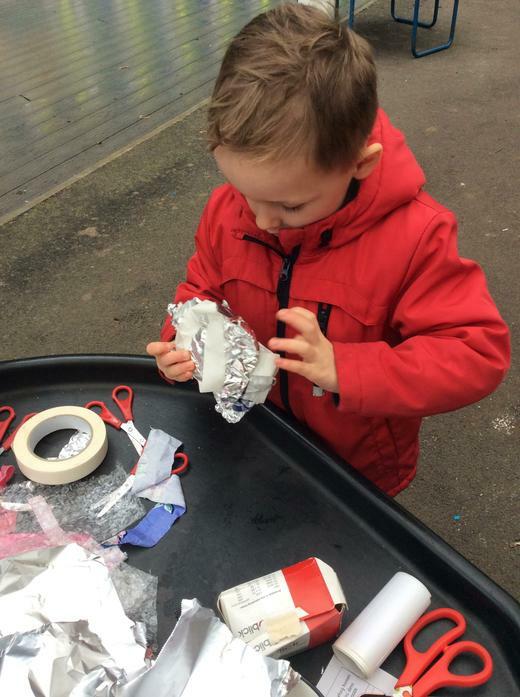 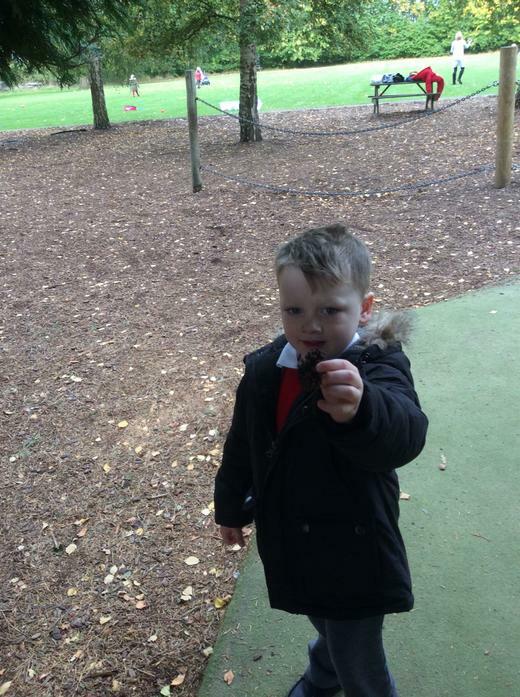 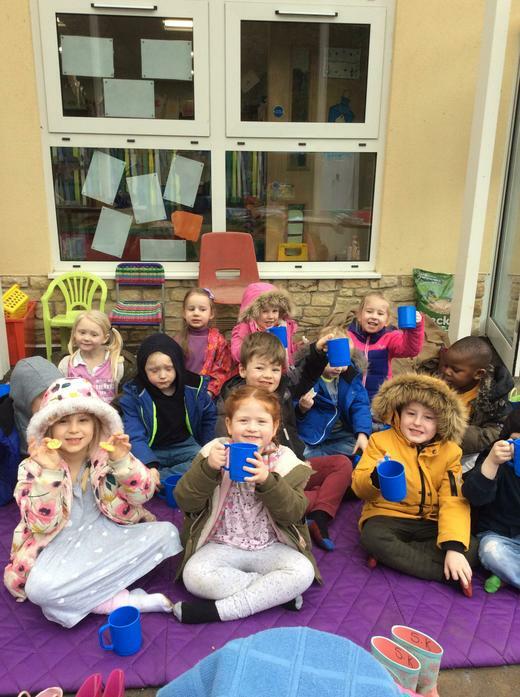 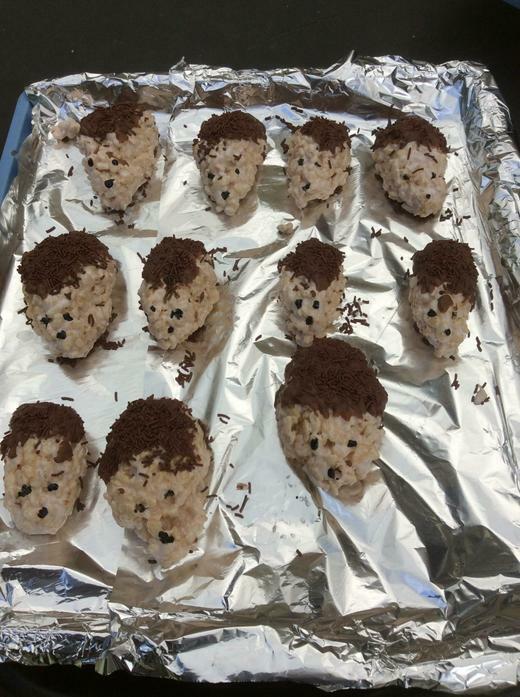 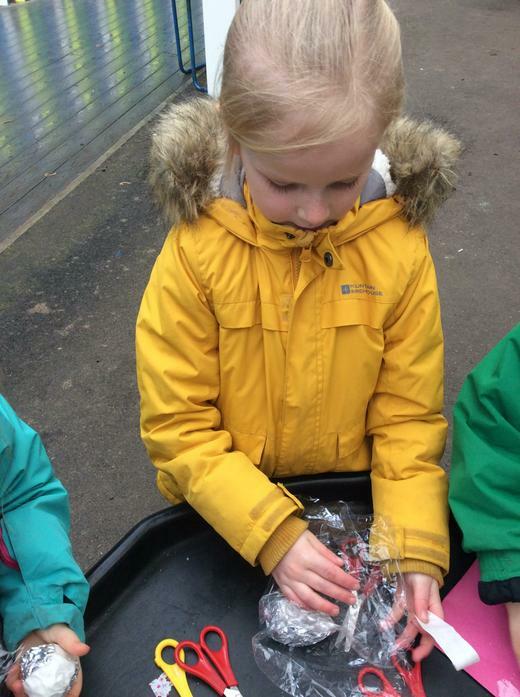 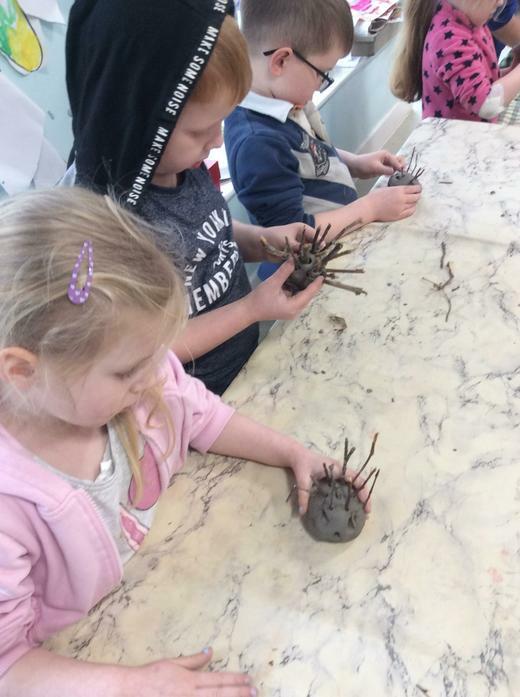 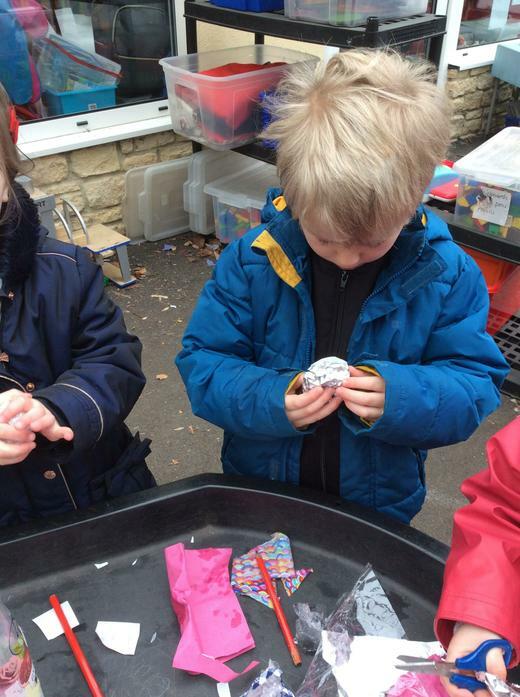 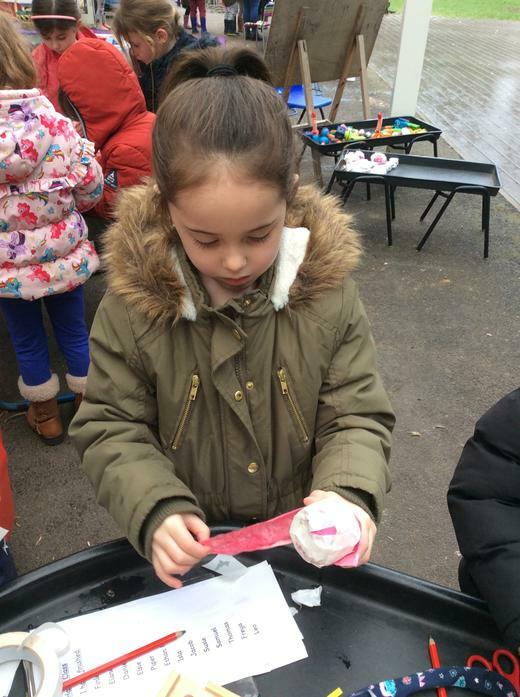 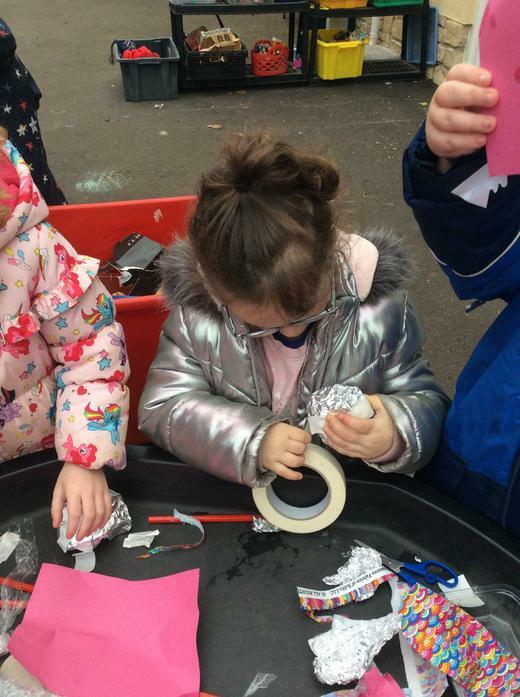 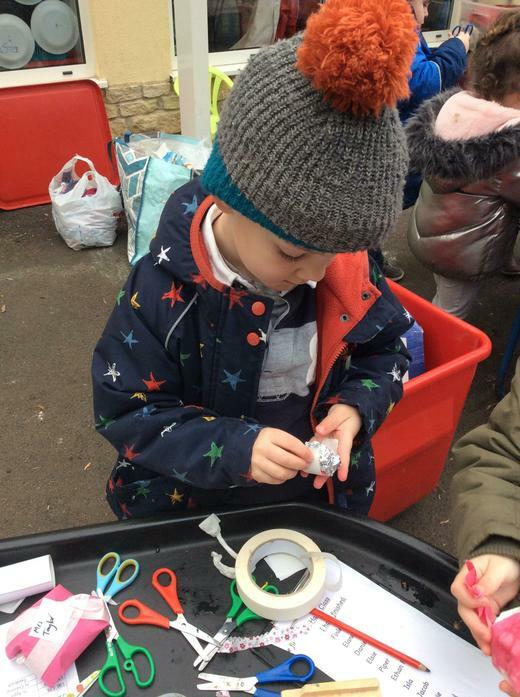 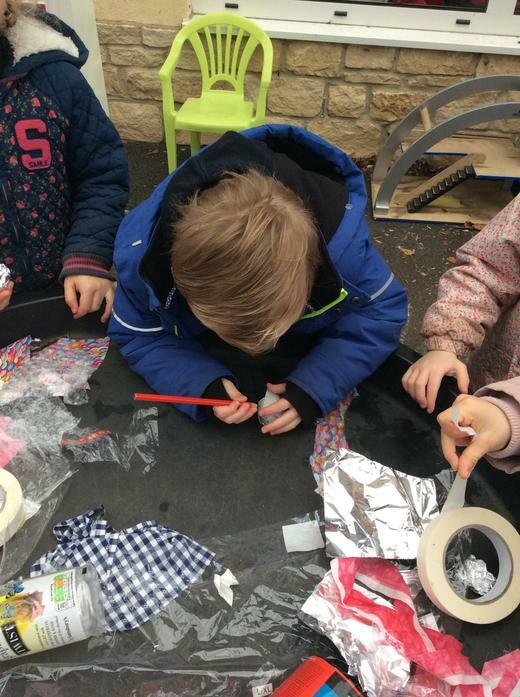 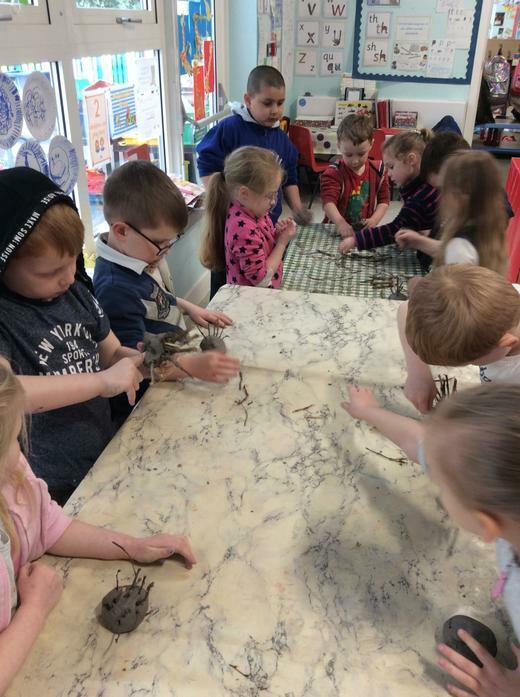 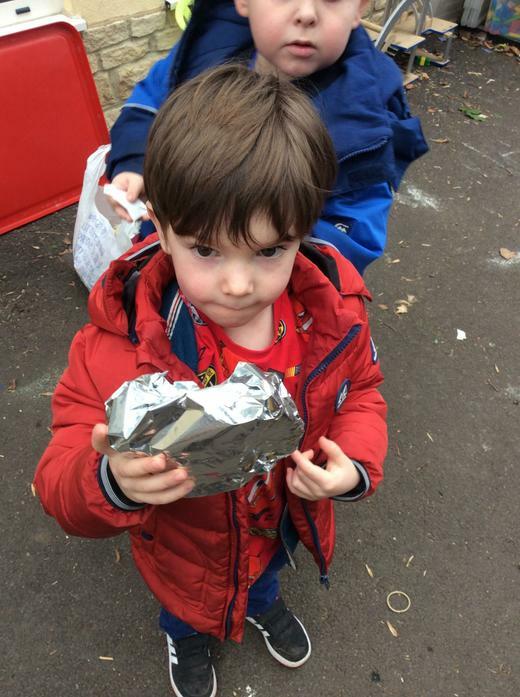 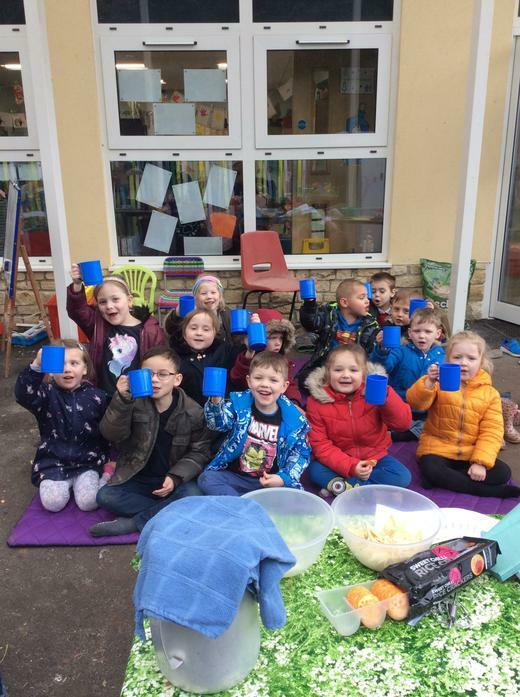 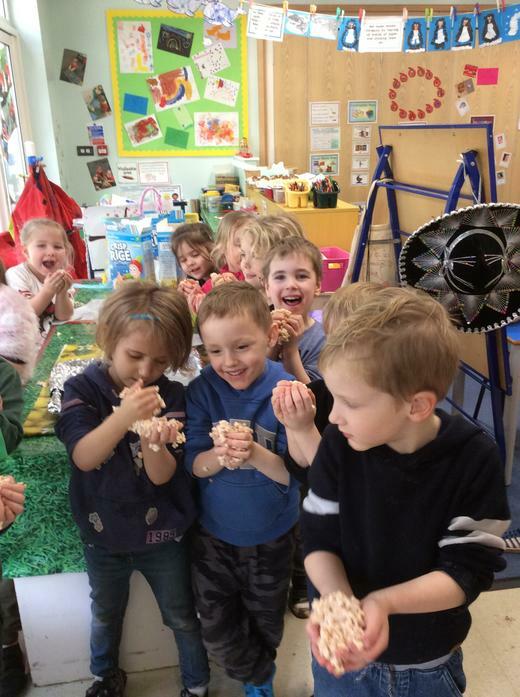 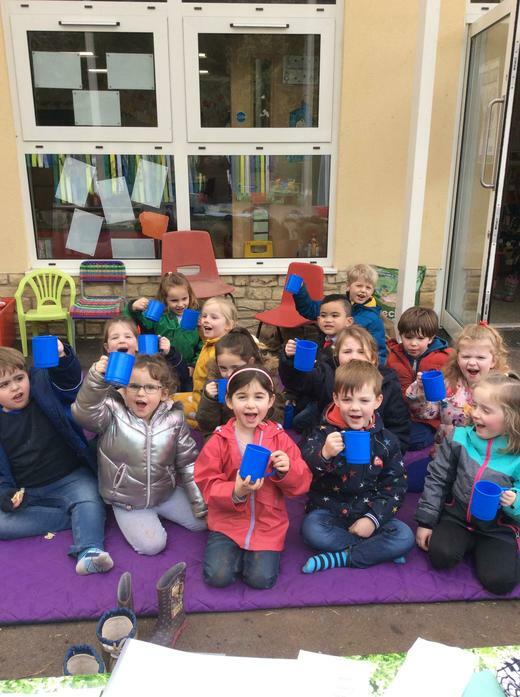 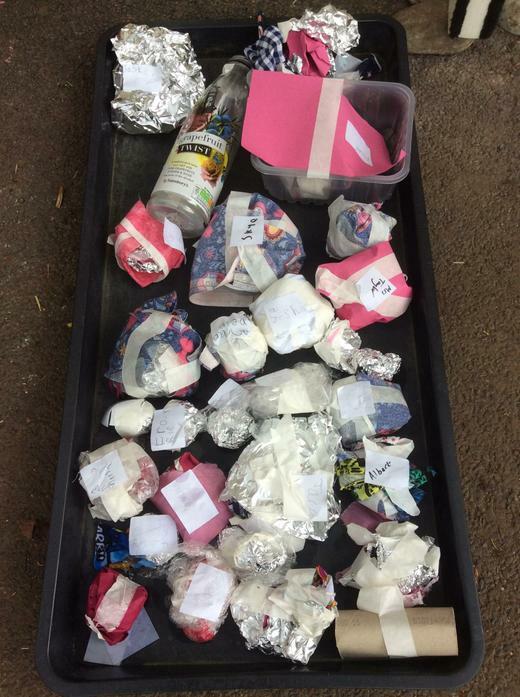 We created clay hedgehogs, we made rice krispie hedgehog cakes, we tried different materials and predicted which were the best to save a little bit of winter, we made hedgehog homes and went on scavenger hunts. 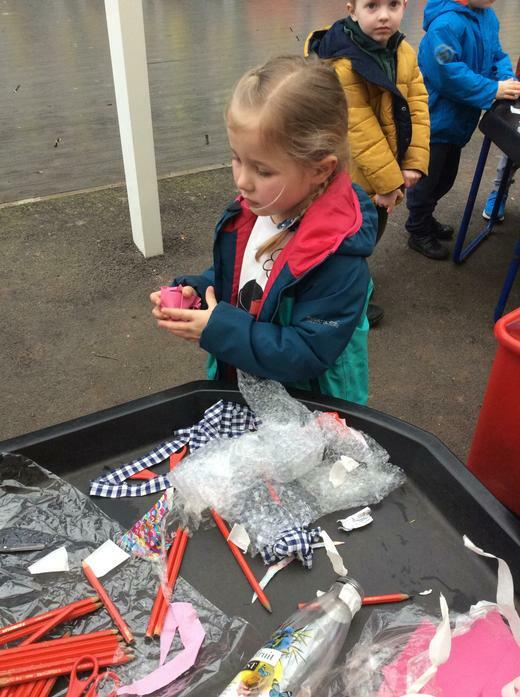 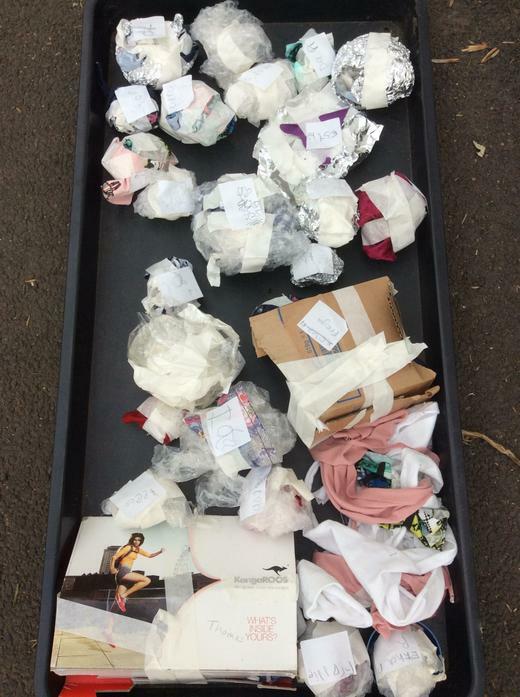 What a busy day we had! 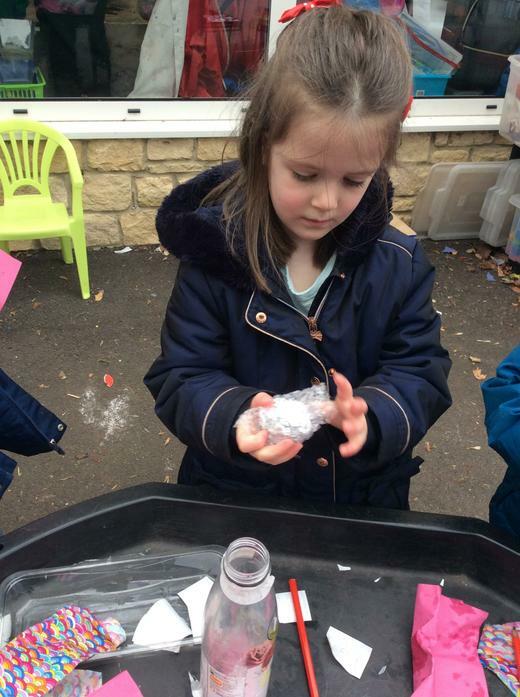 We like being scientists- predicting and investigating! 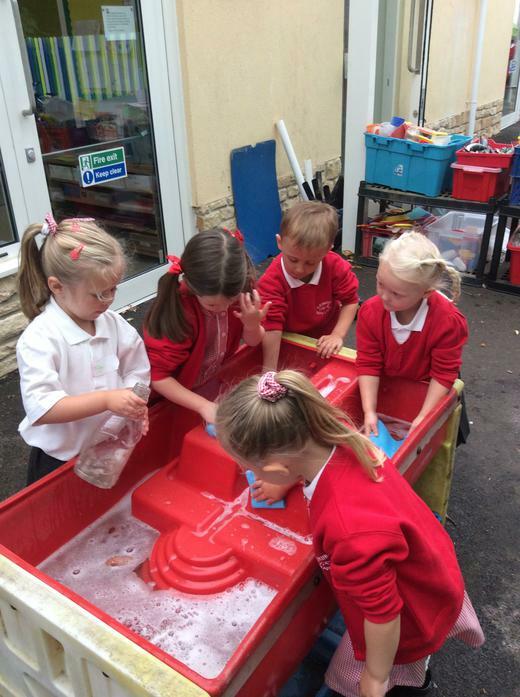 Please ask us about our day. 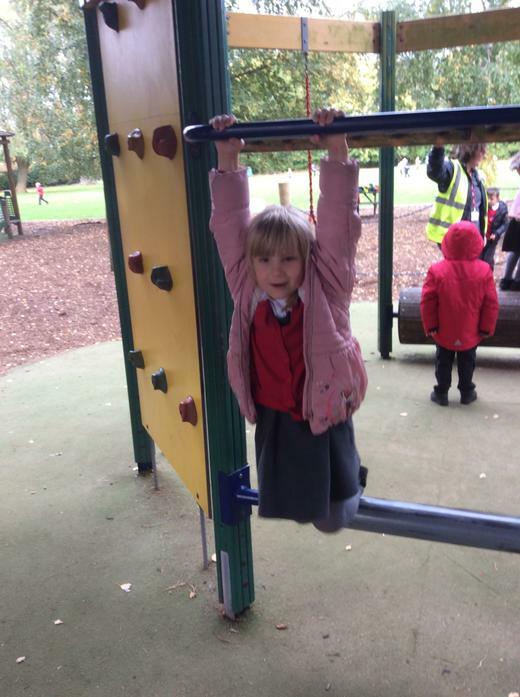 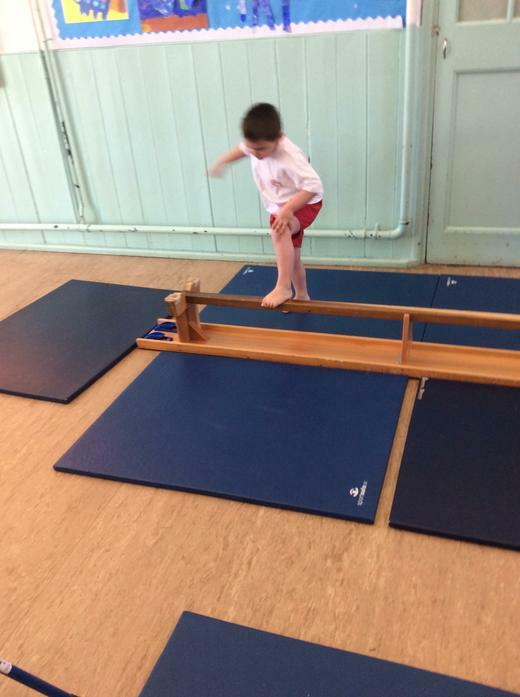 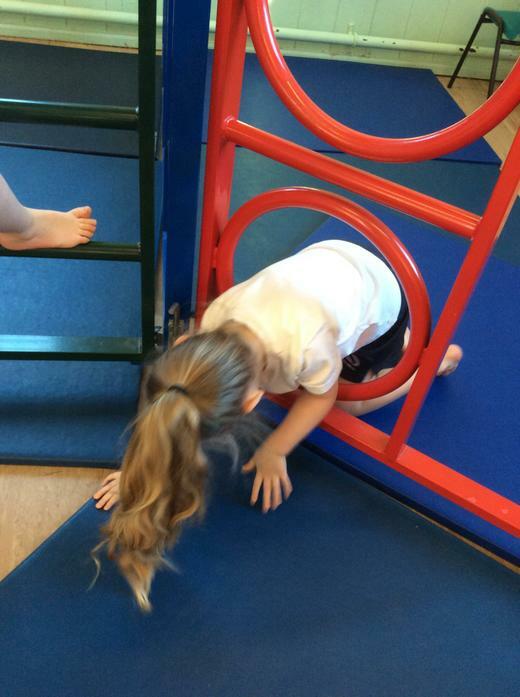 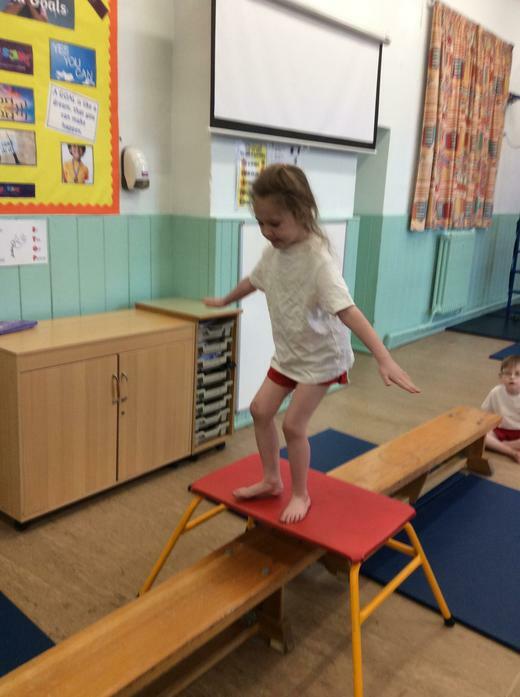 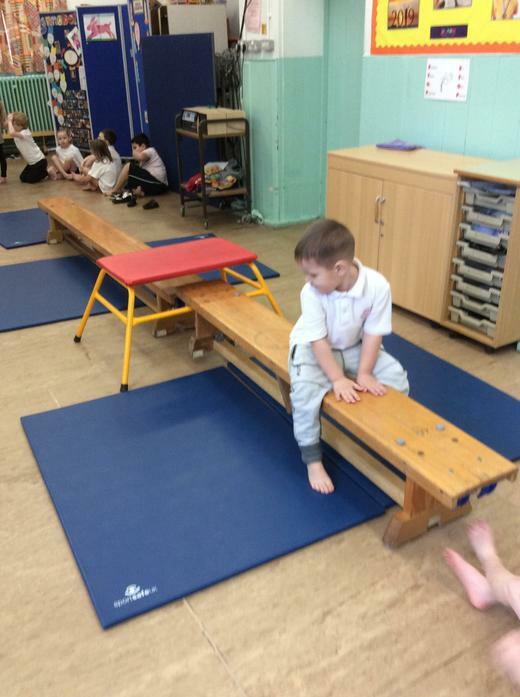 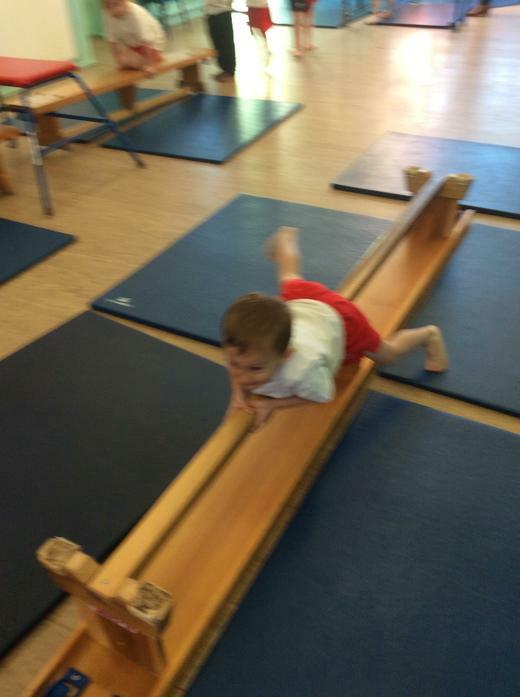 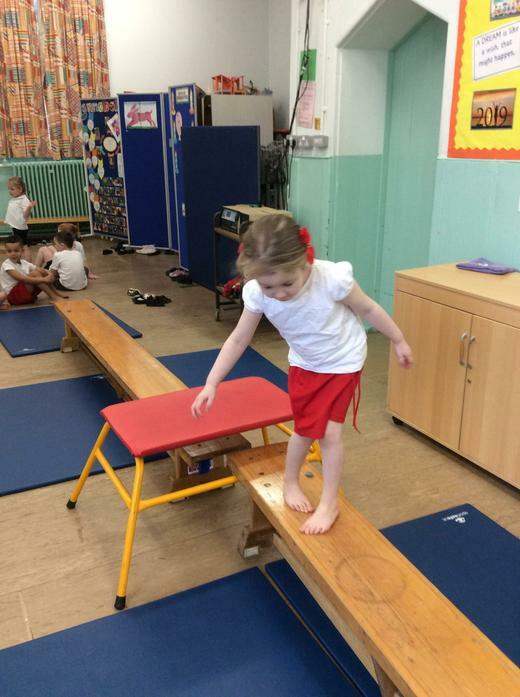 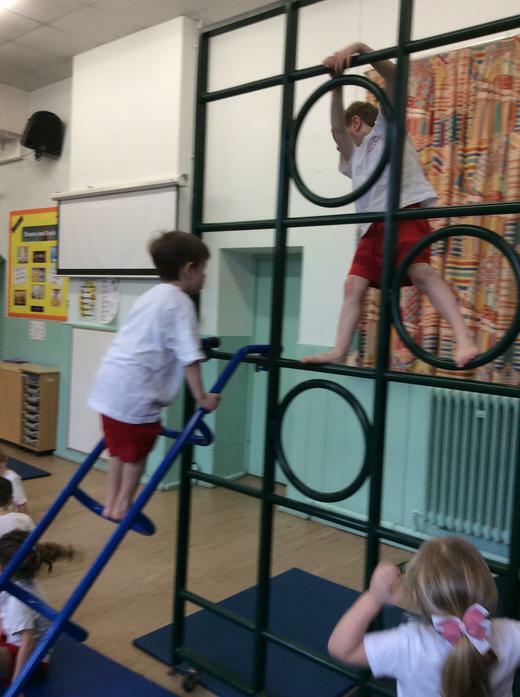 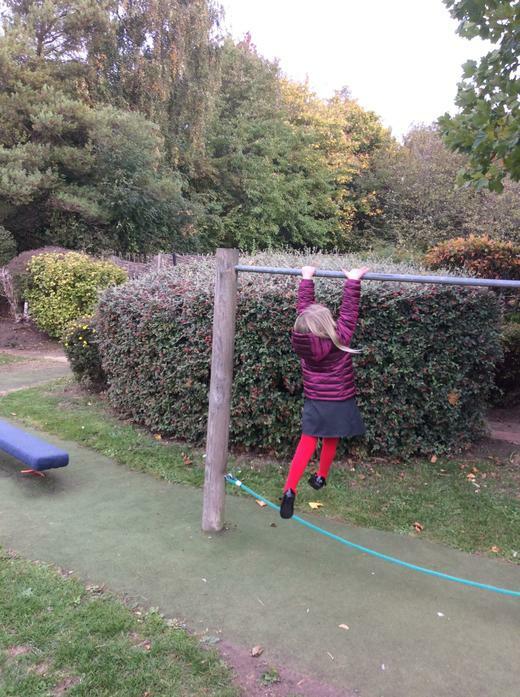 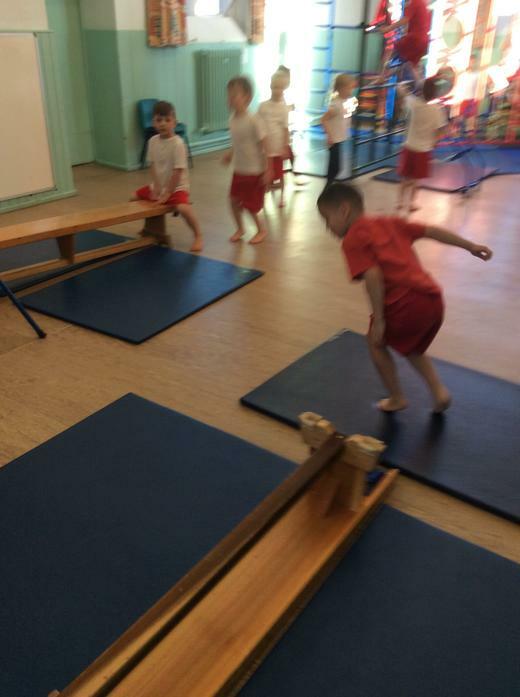 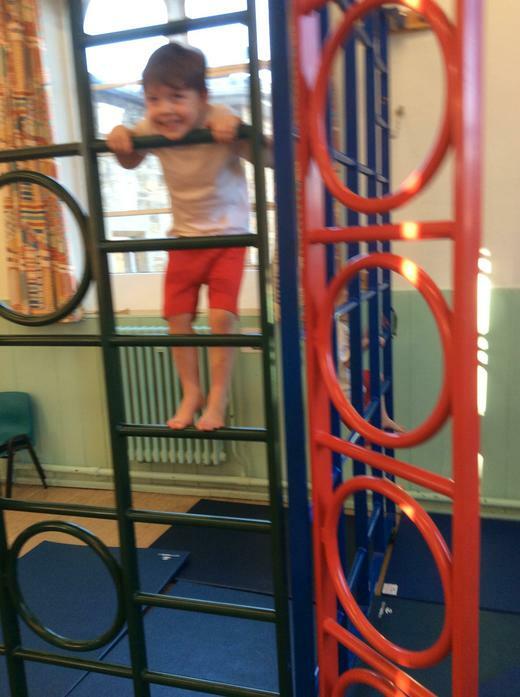 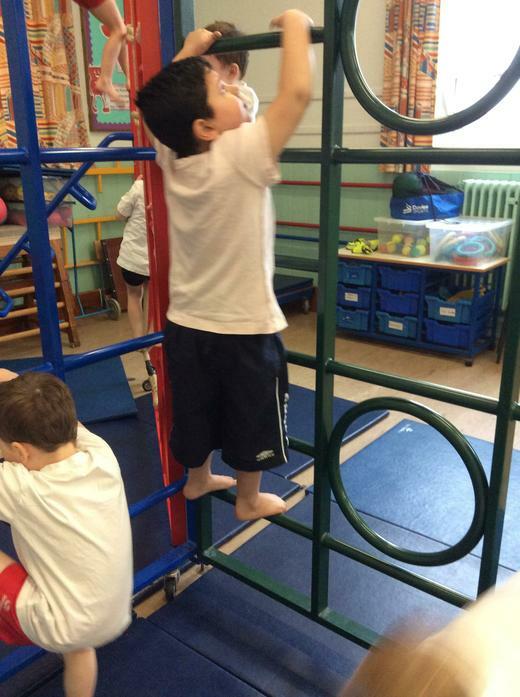 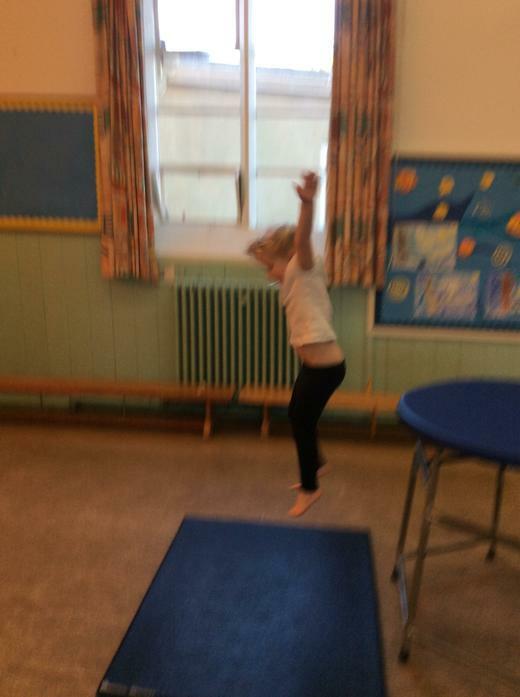 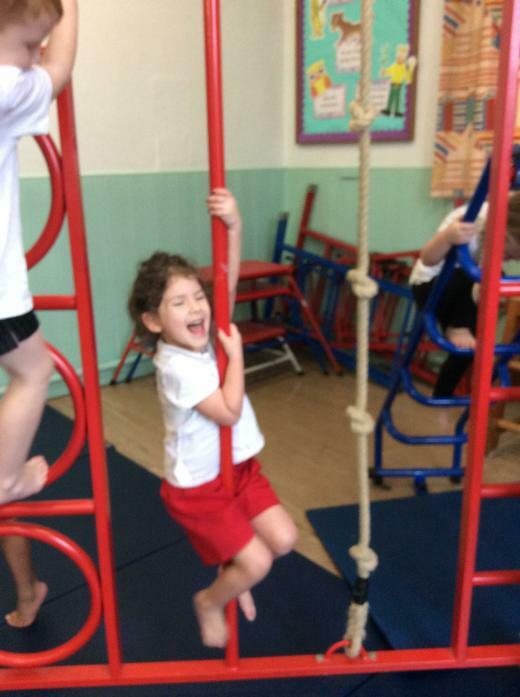 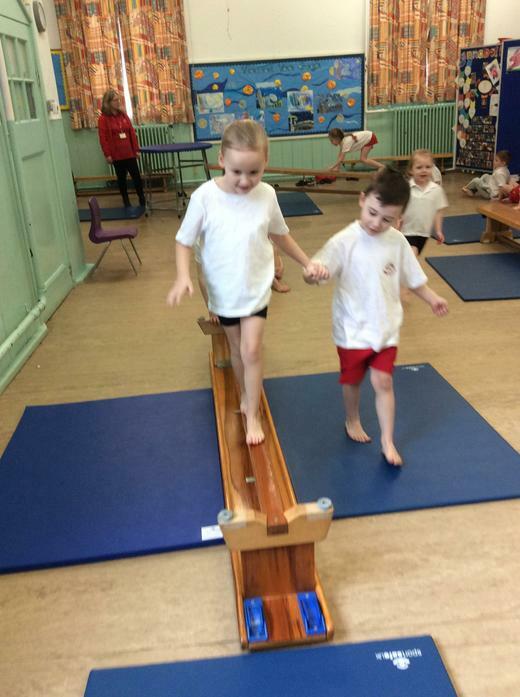 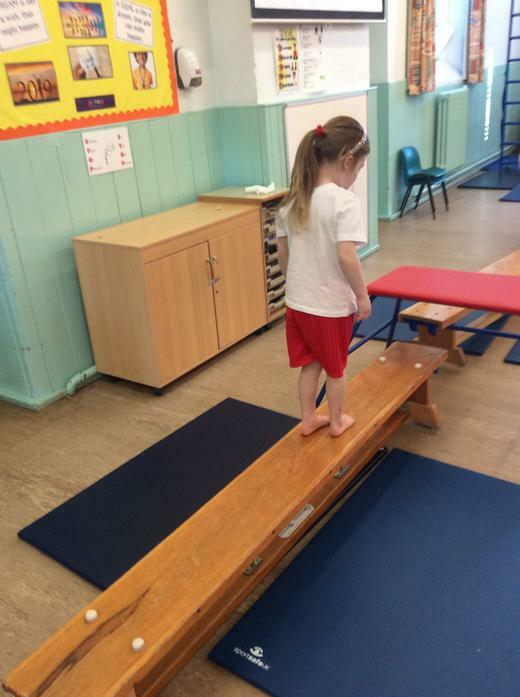 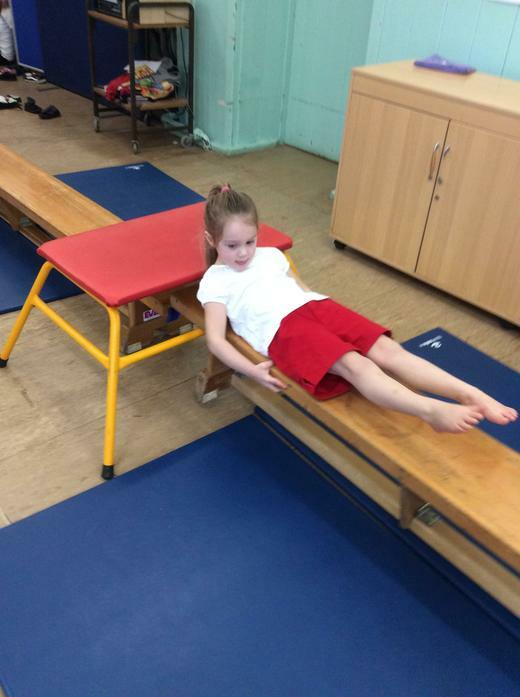 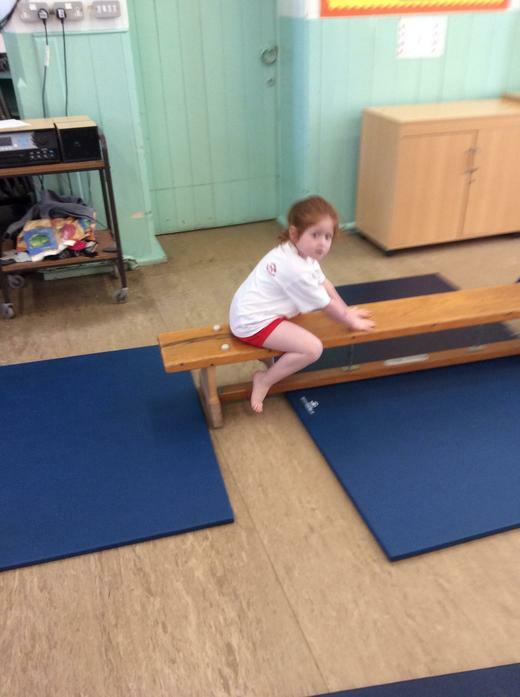 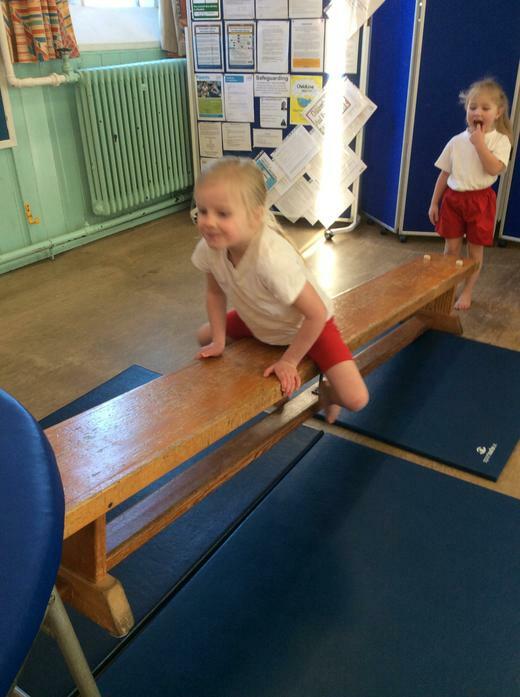 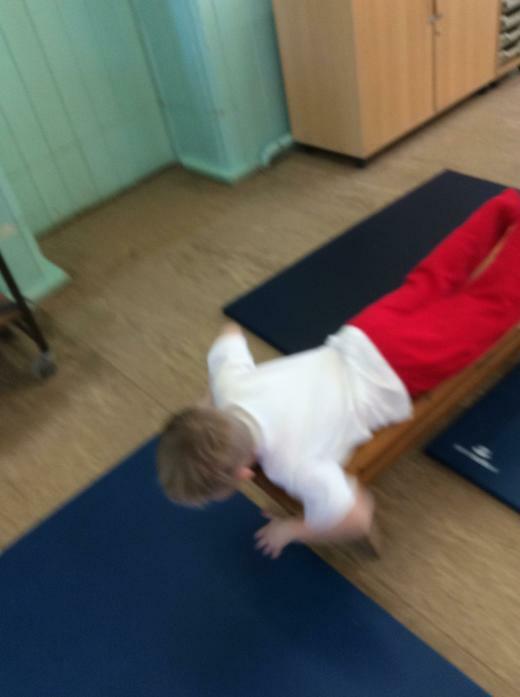 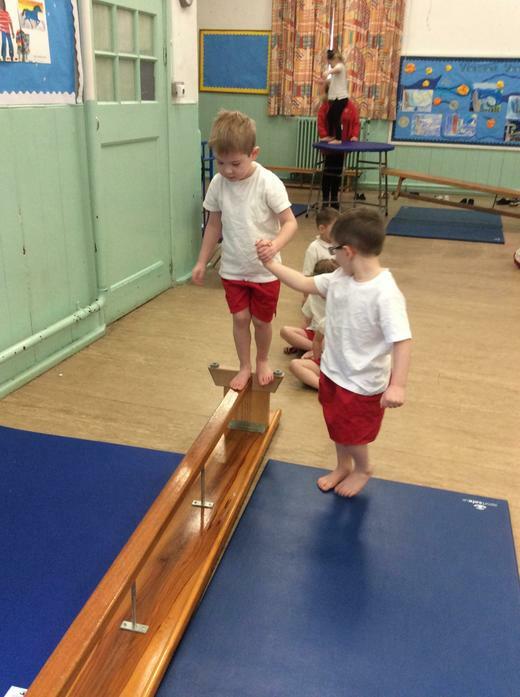 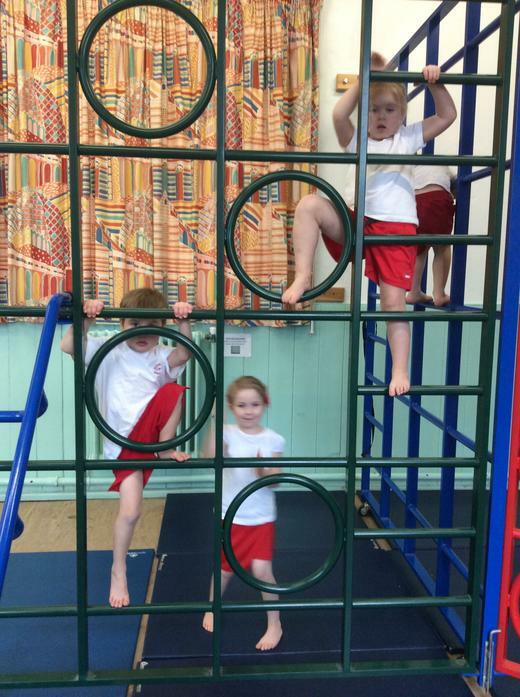 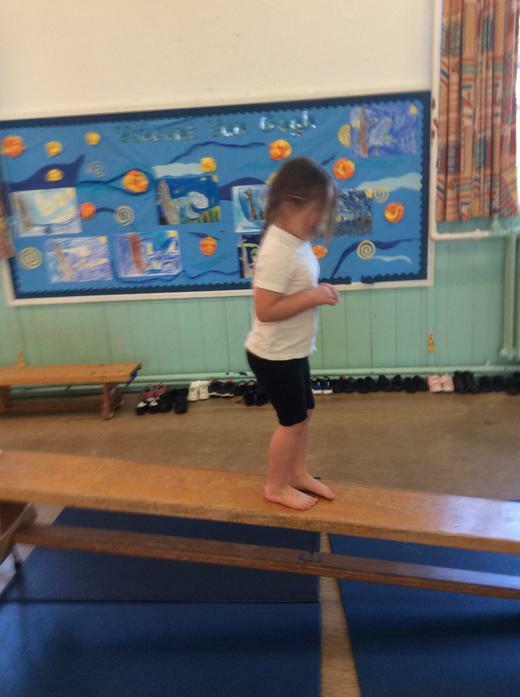 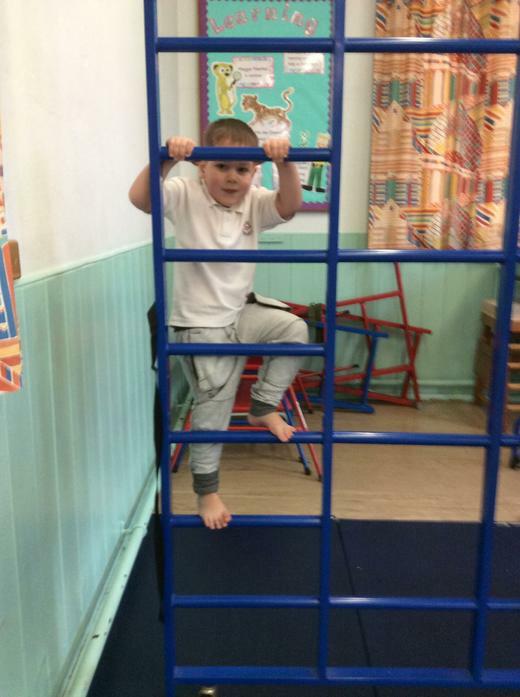 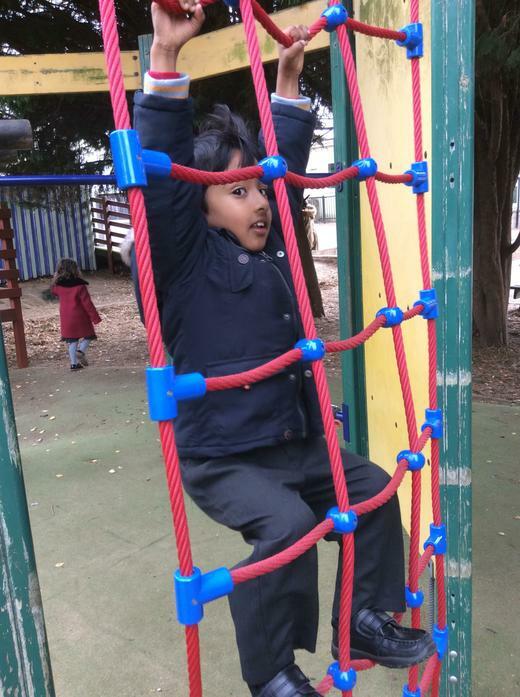 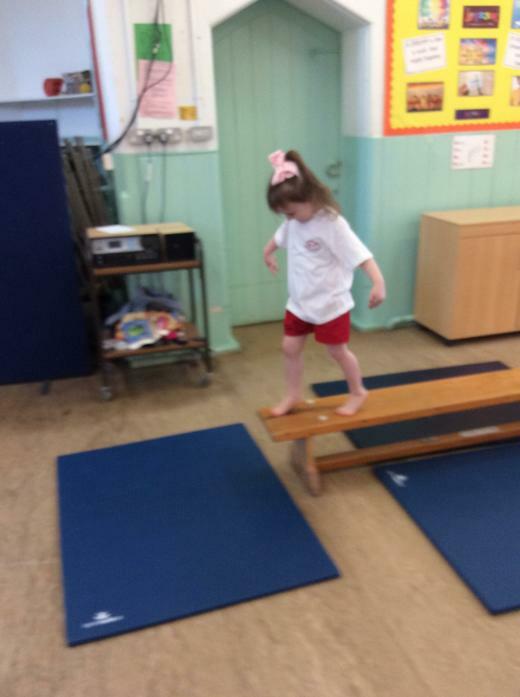 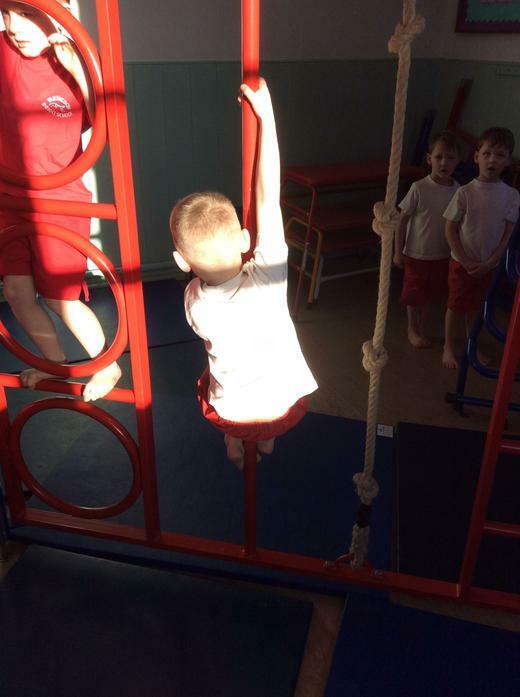 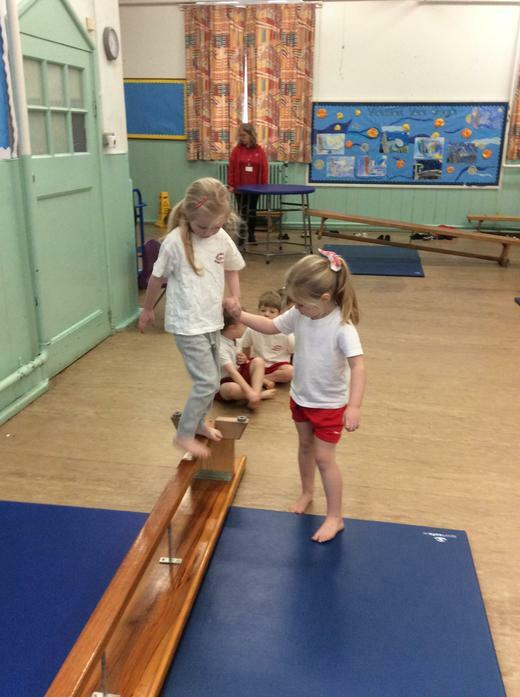 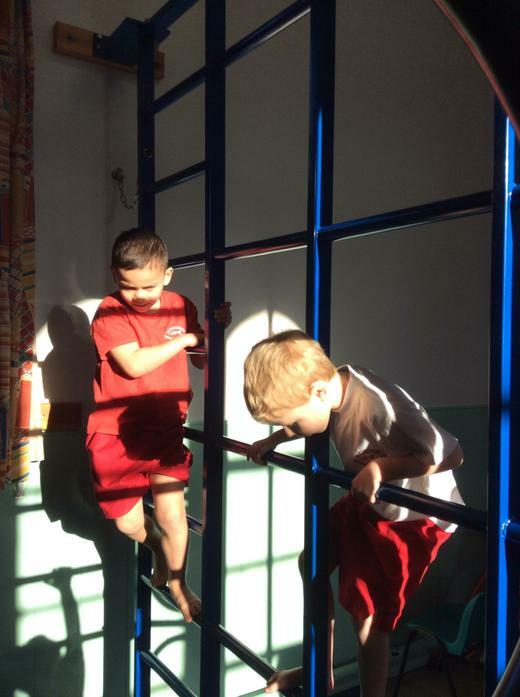 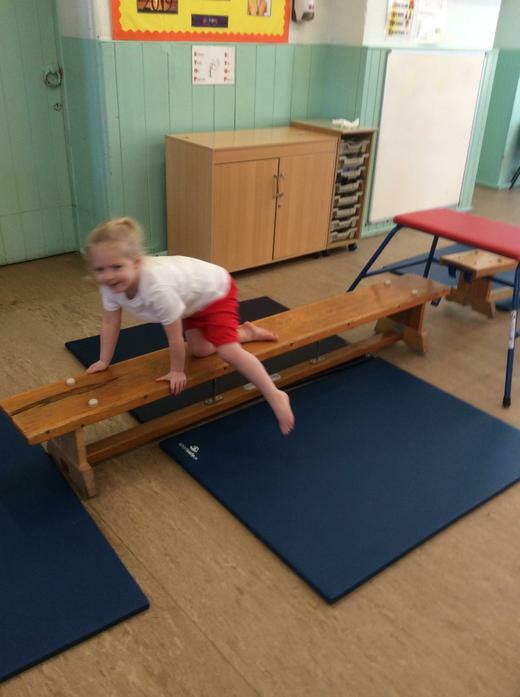 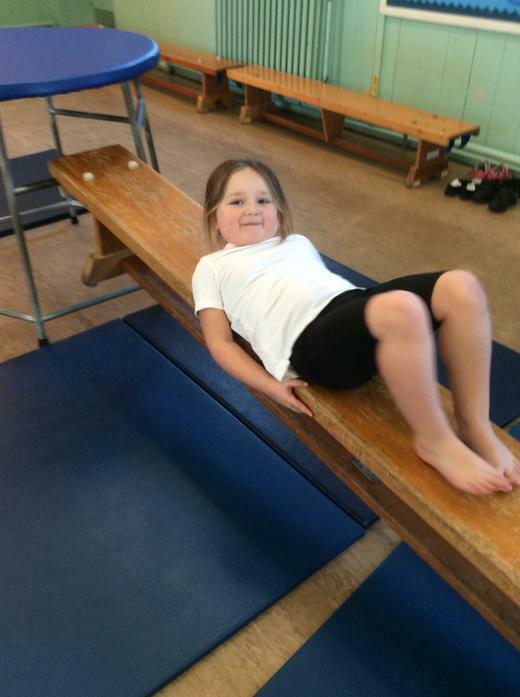 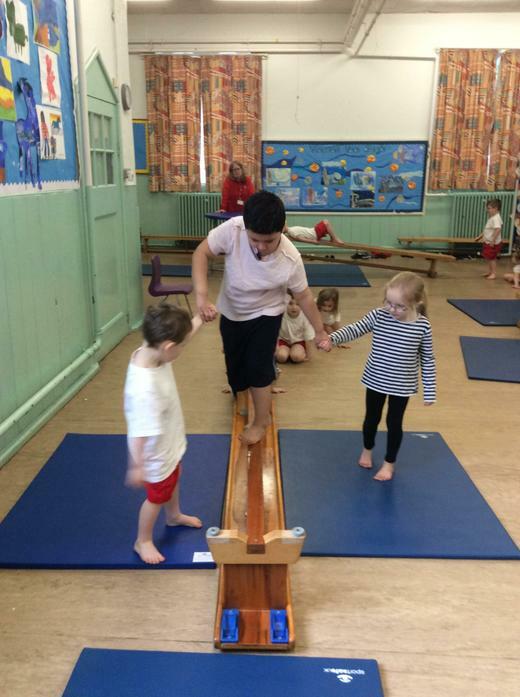 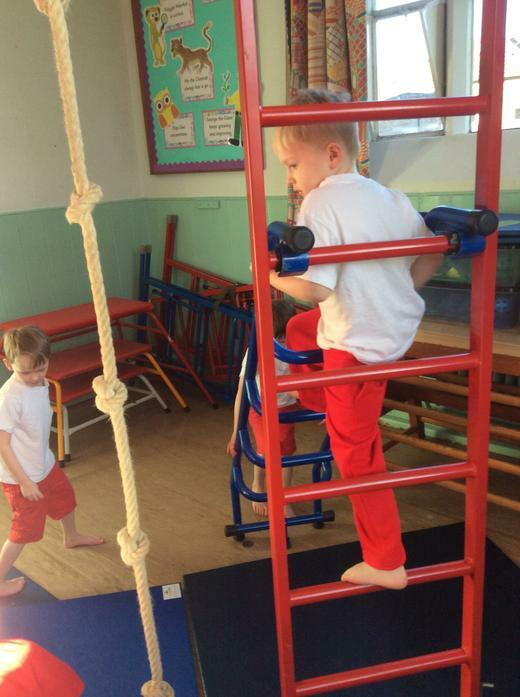 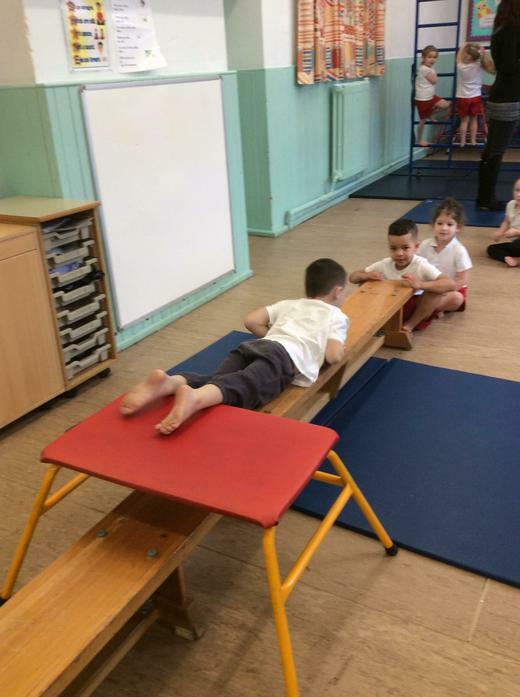 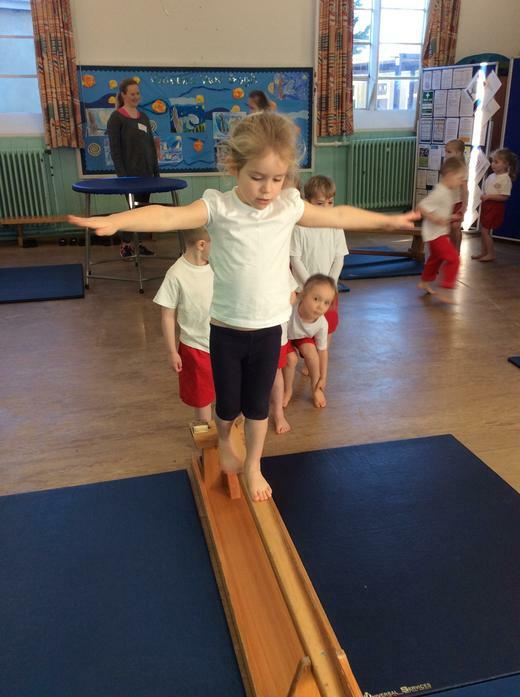 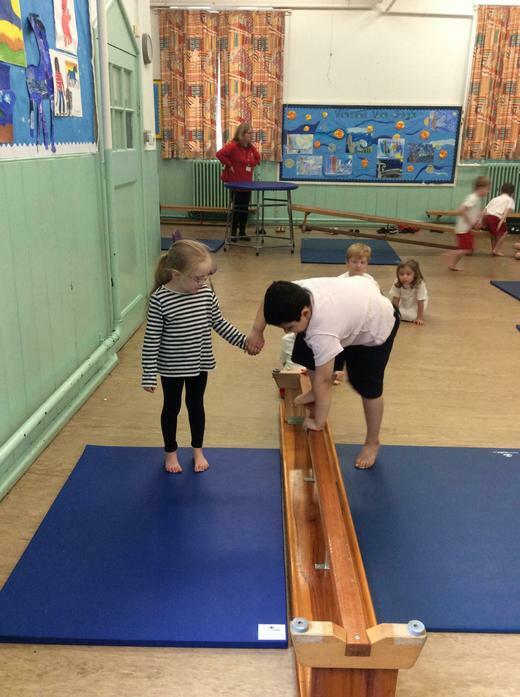 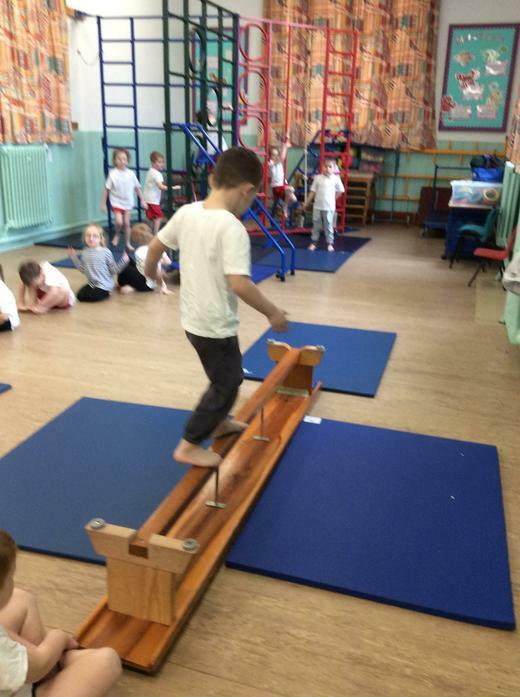 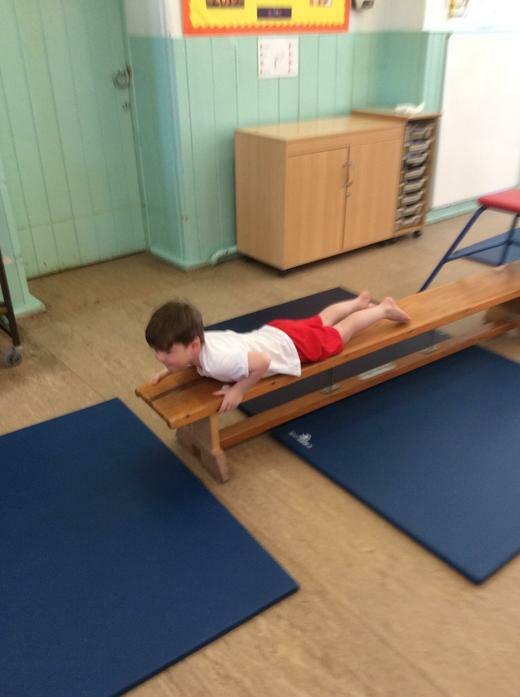 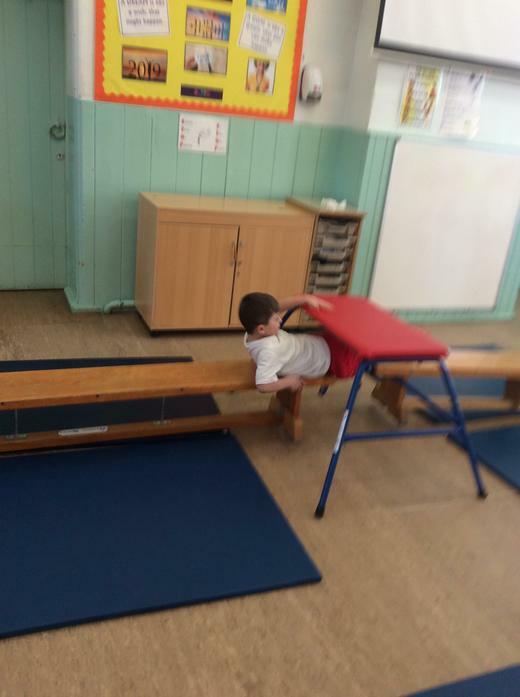 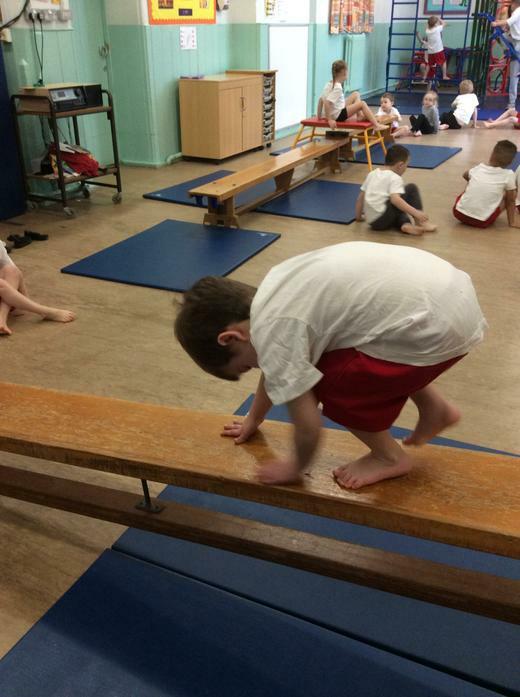 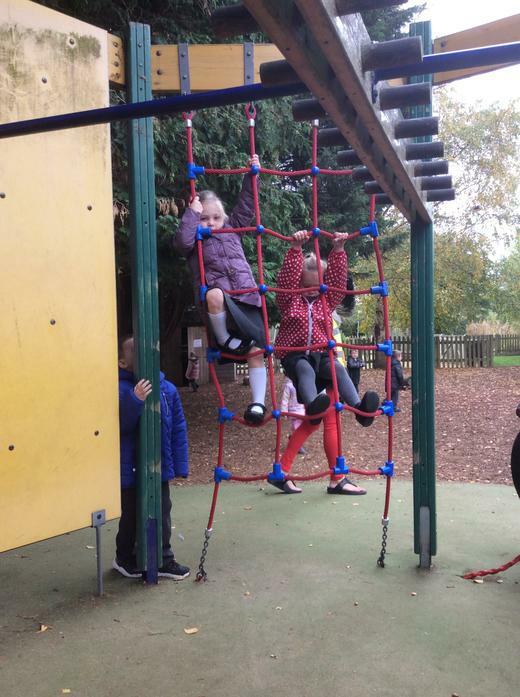 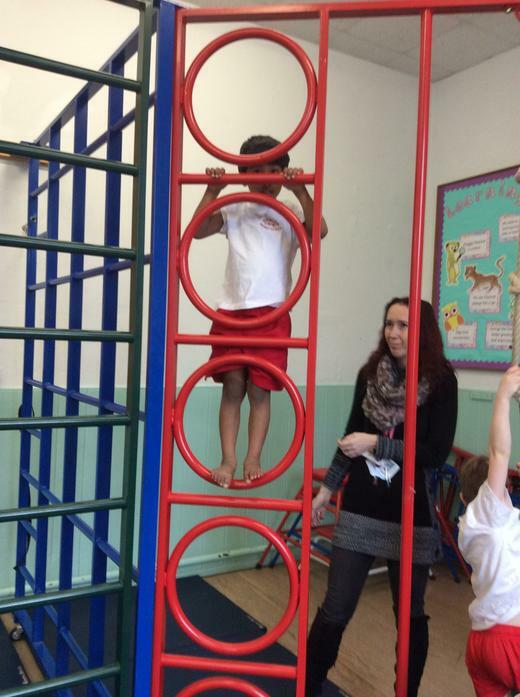 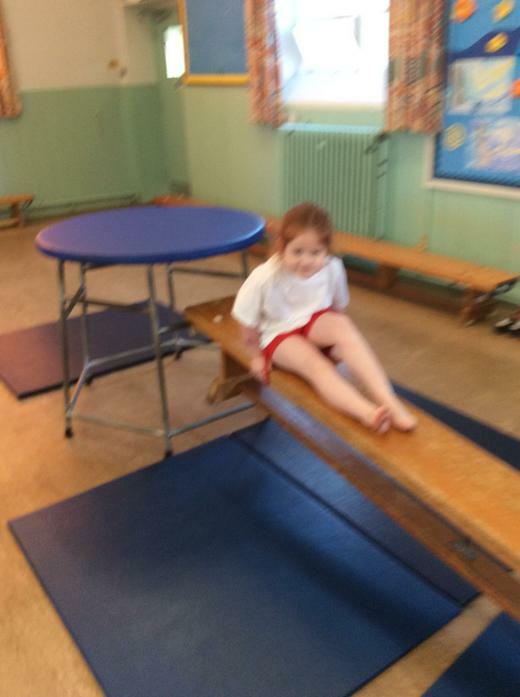 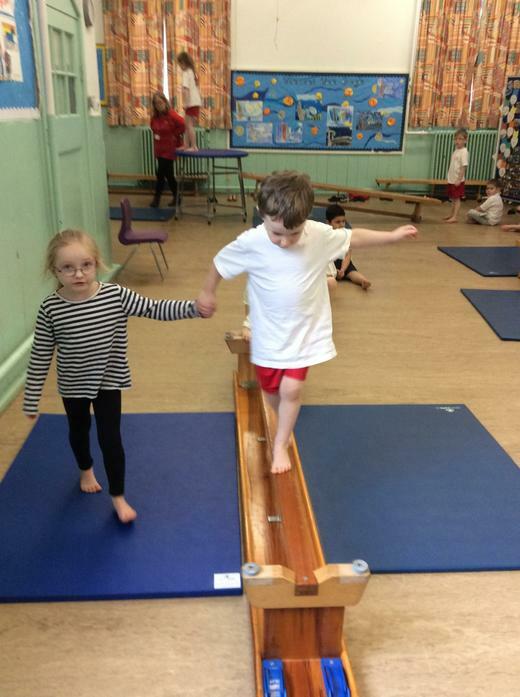 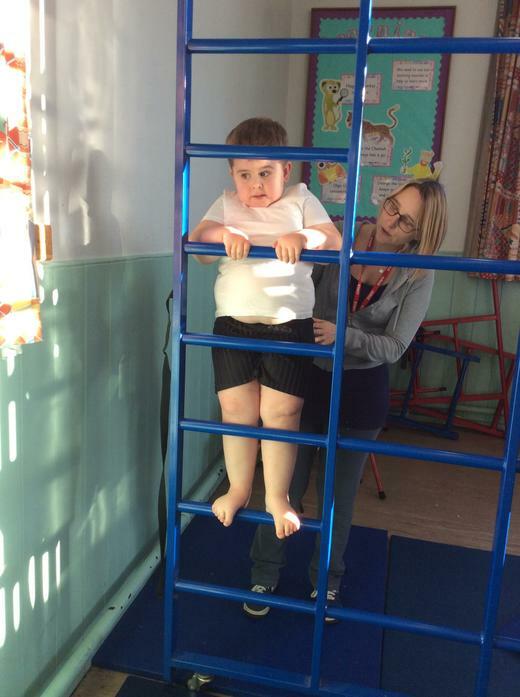 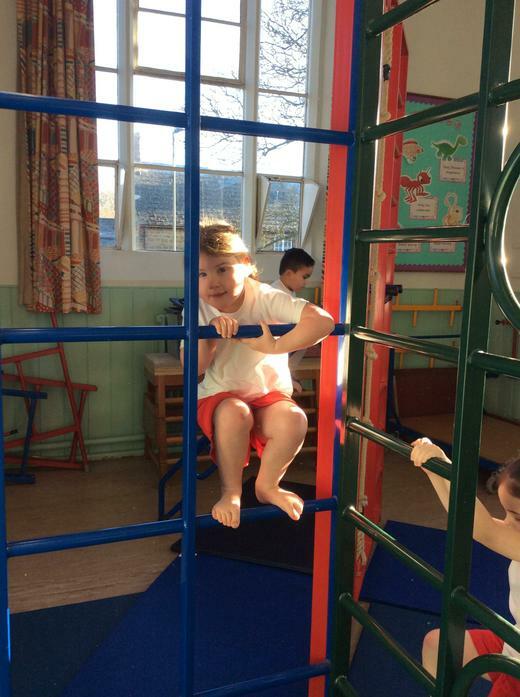 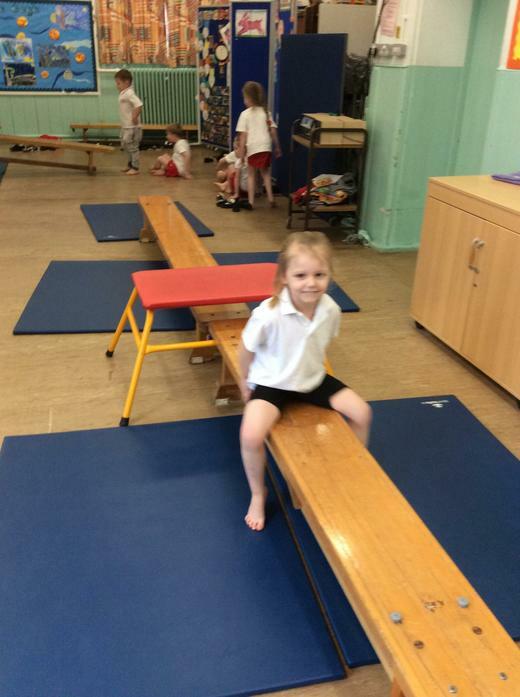 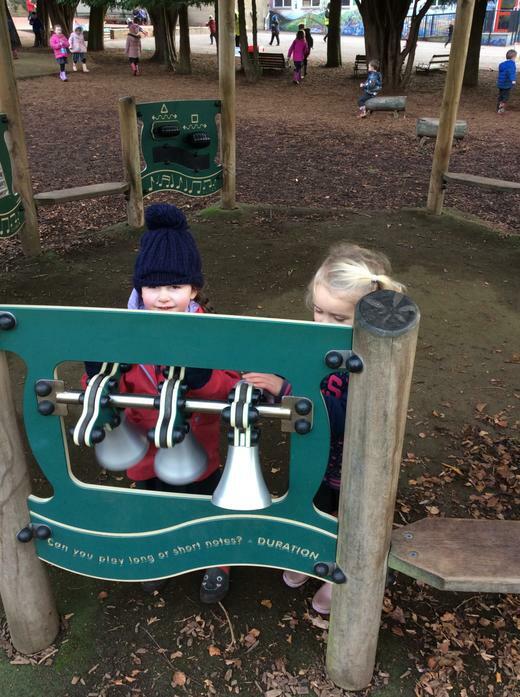 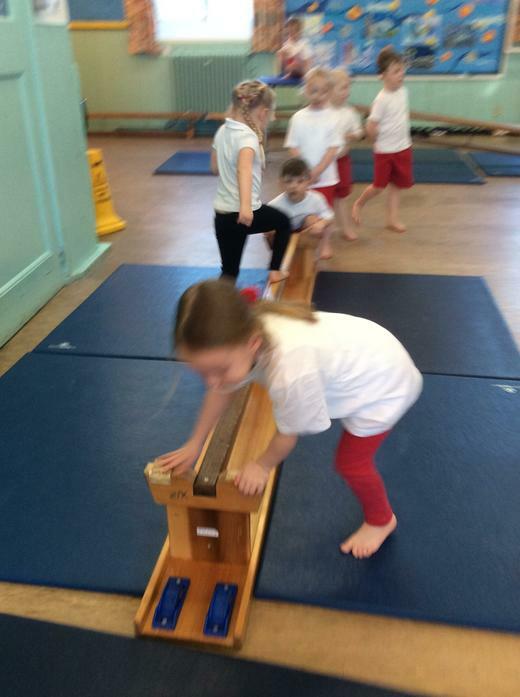 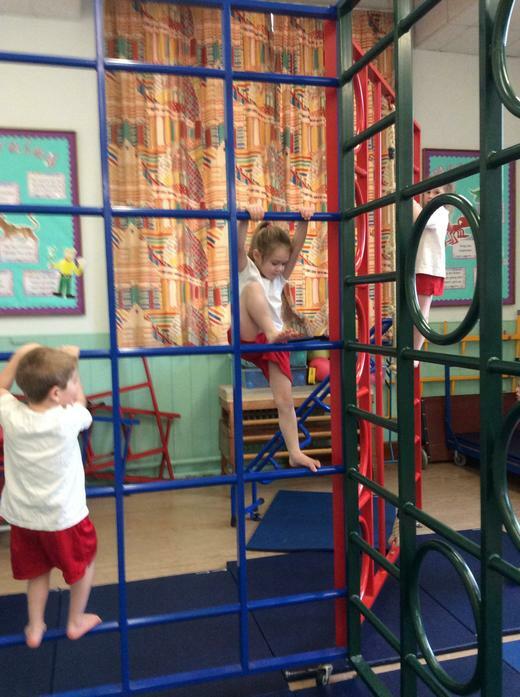 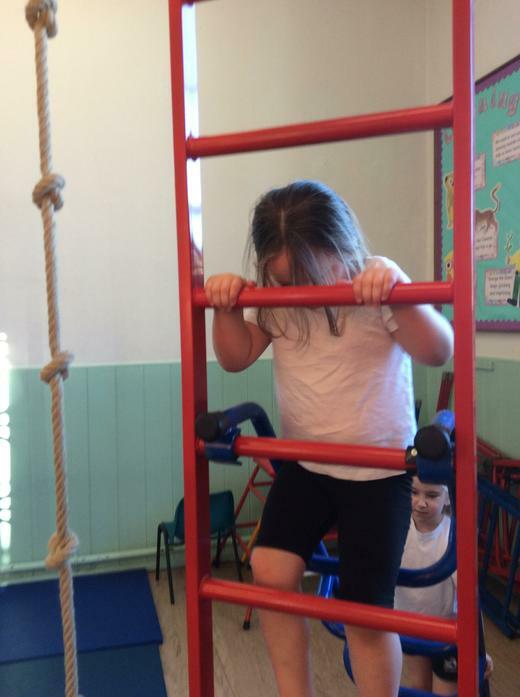 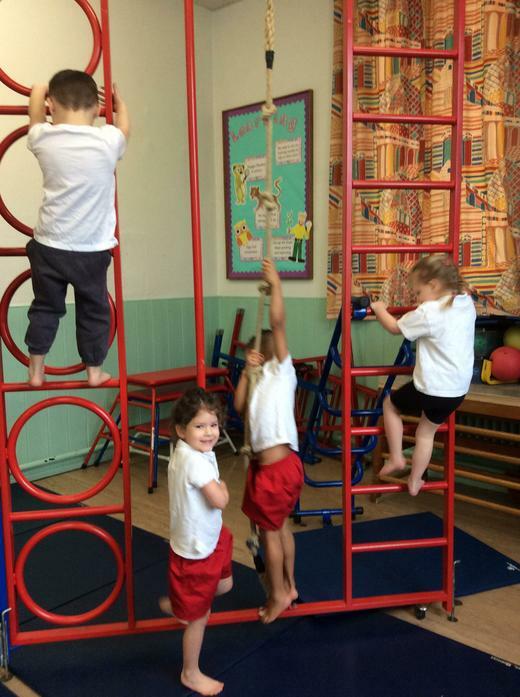 We have had so much fun on the large apparatus and have learnt a lot of new skills. 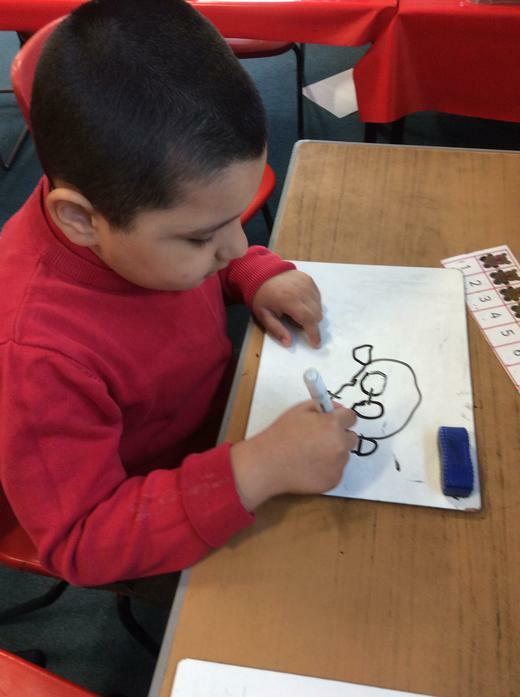 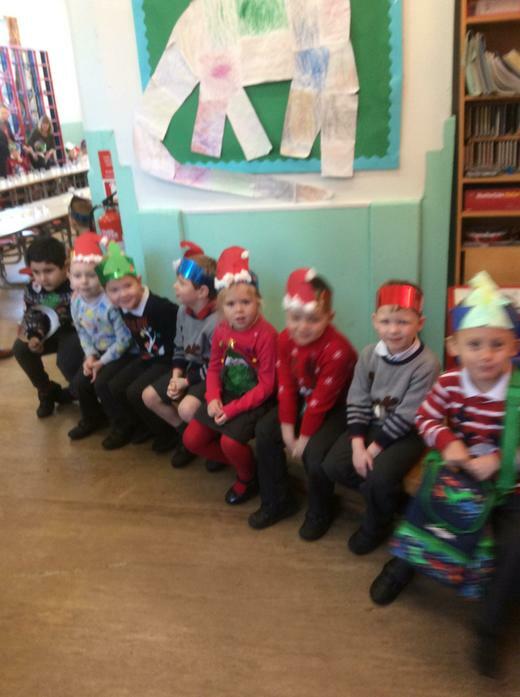 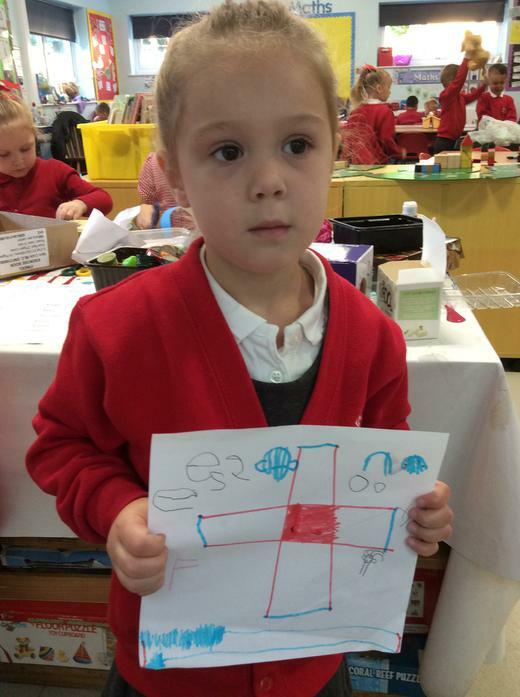 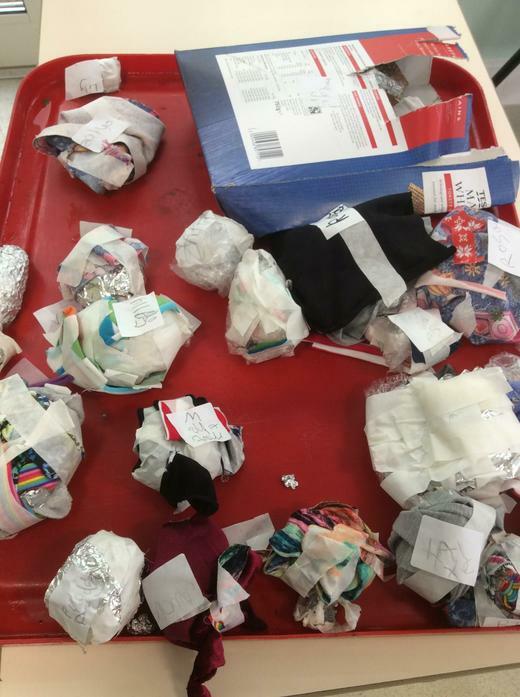 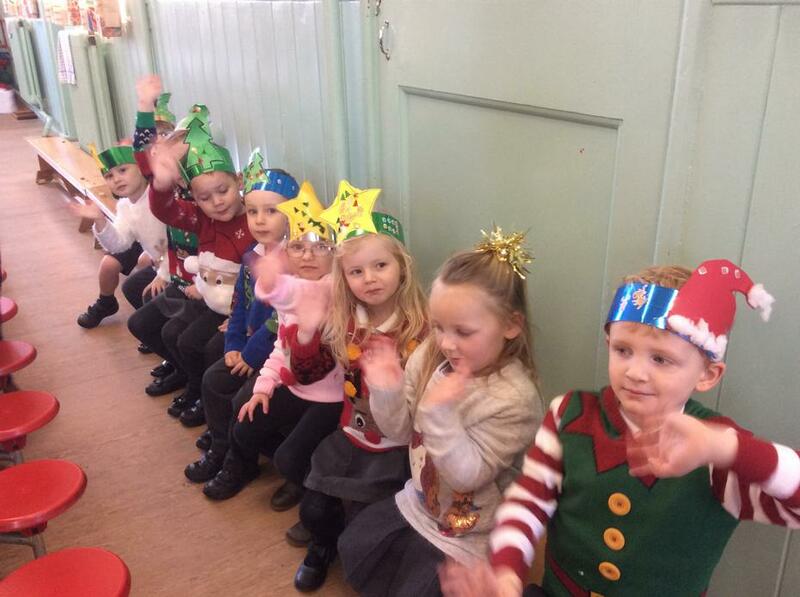 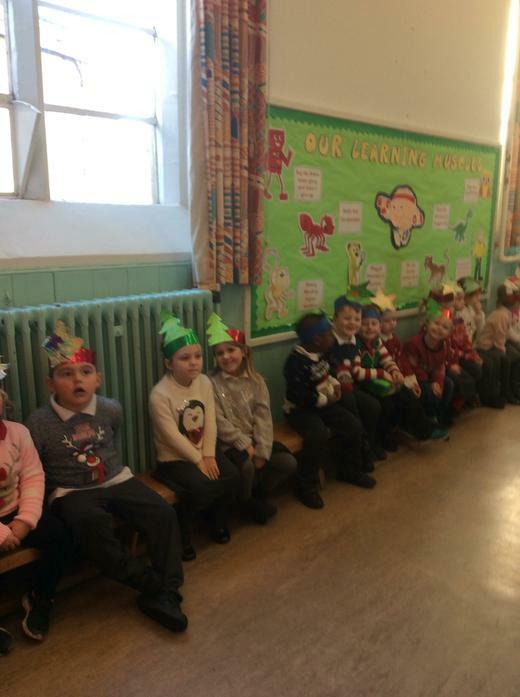 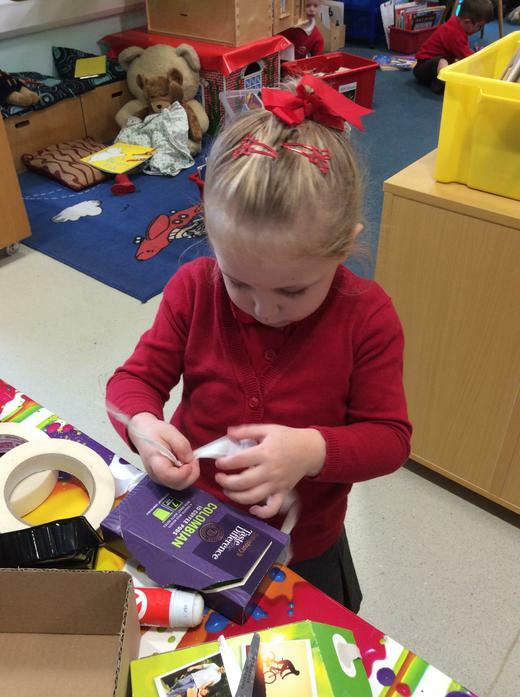 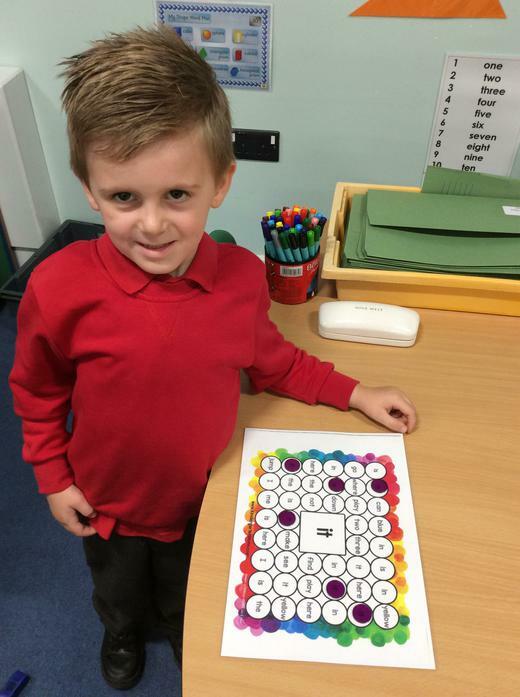 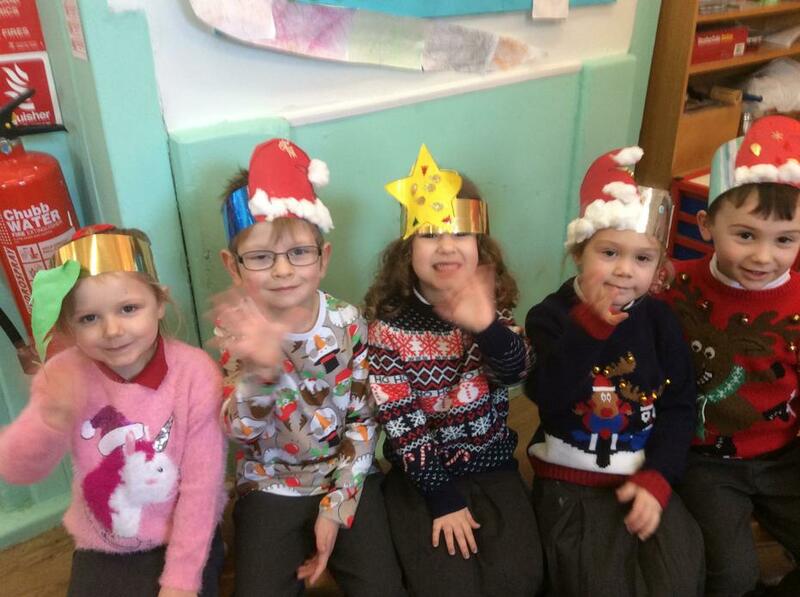 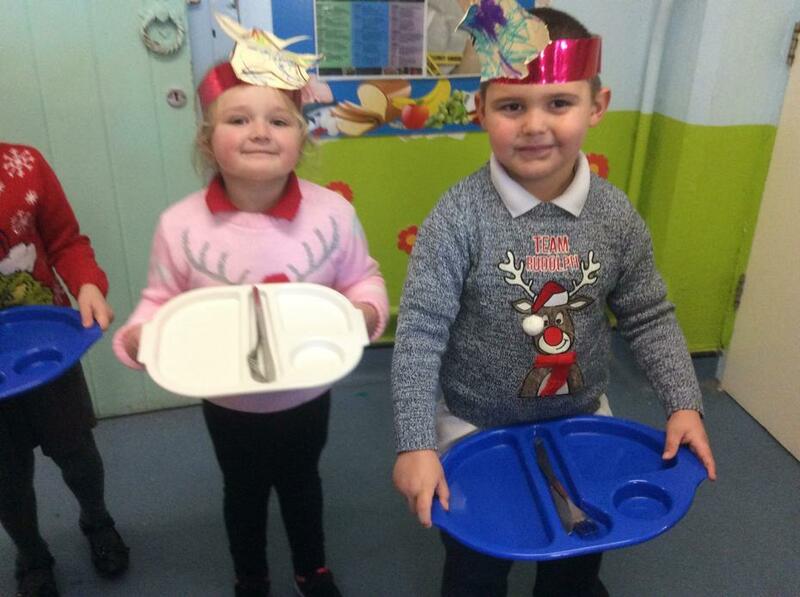 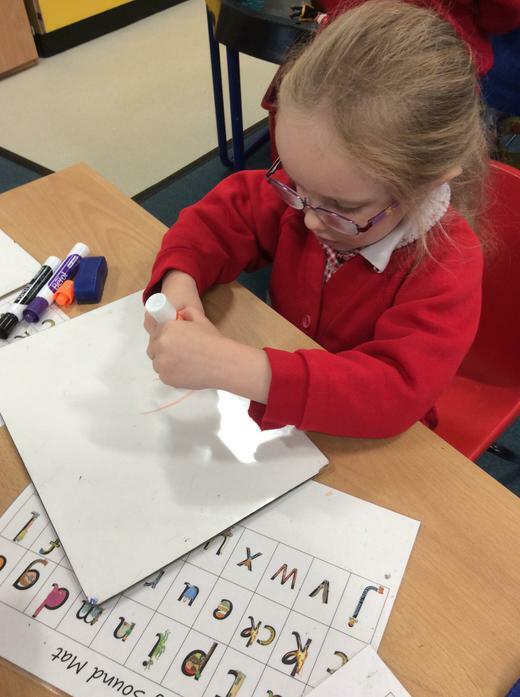 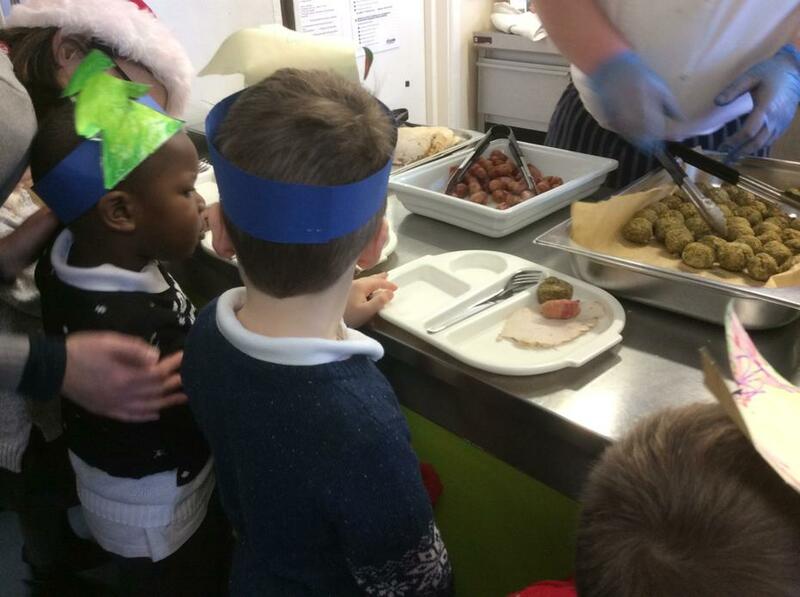 Look at all the Christmas fun we have had! 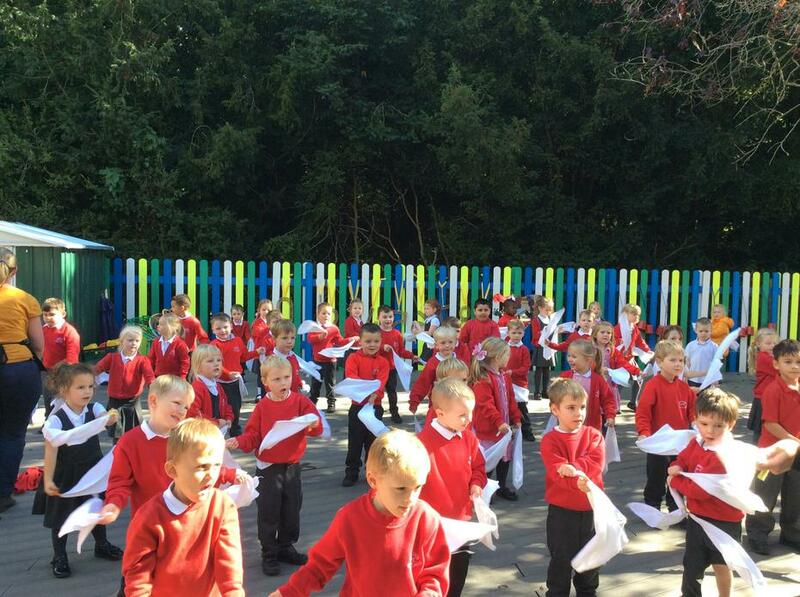 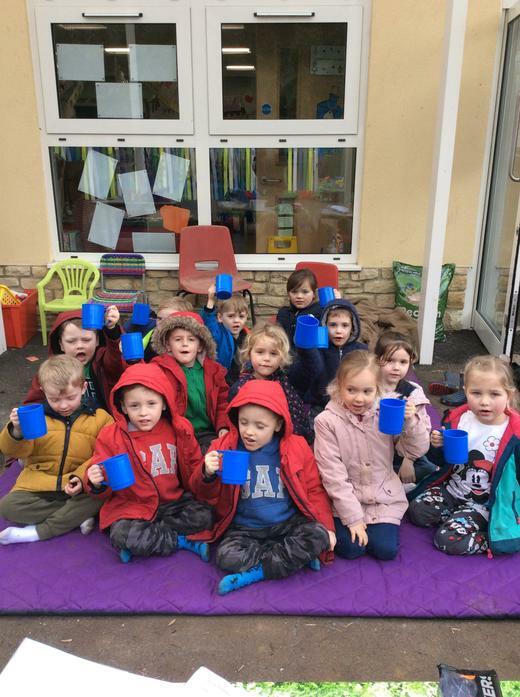 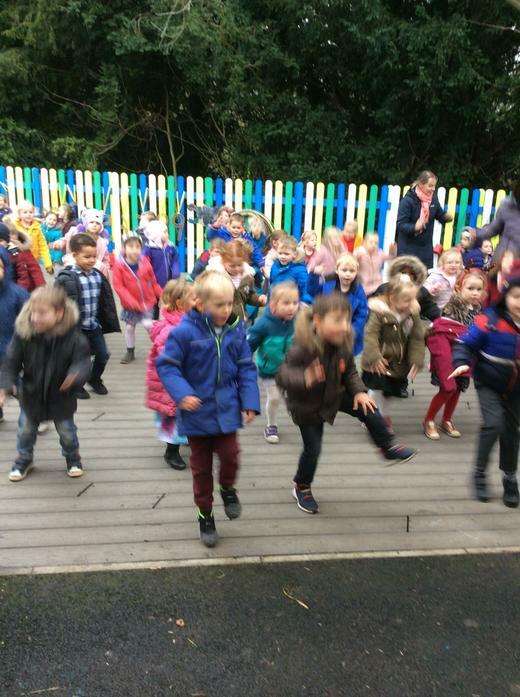 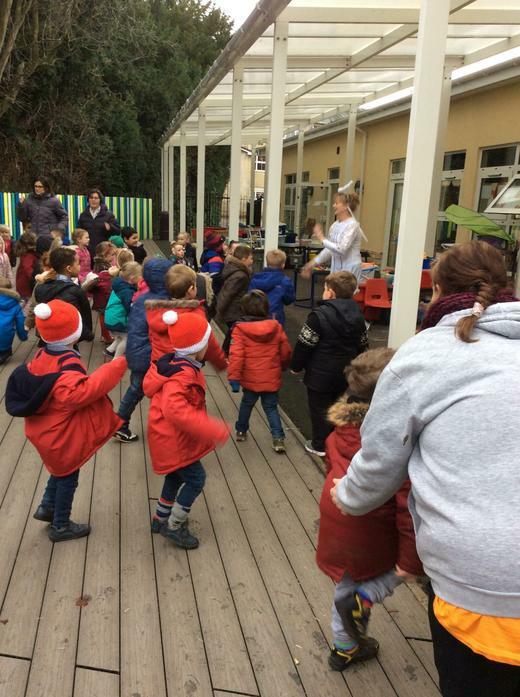 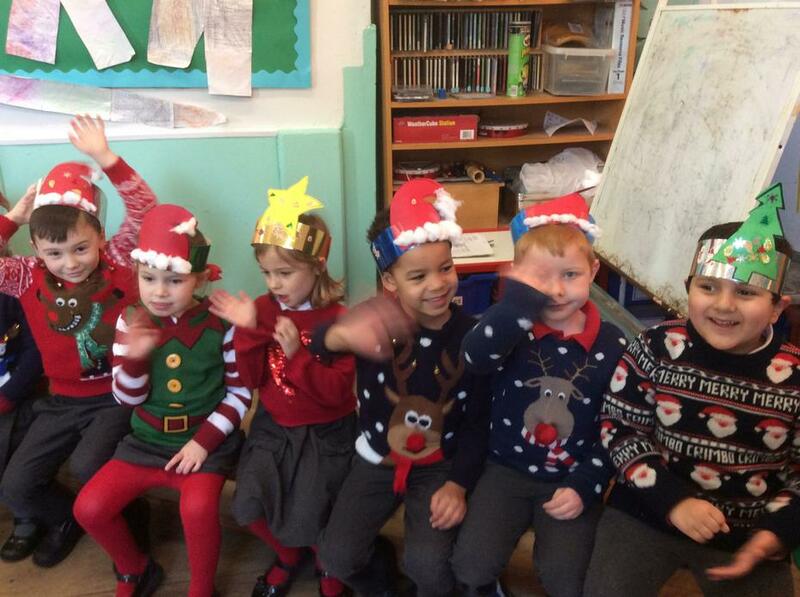 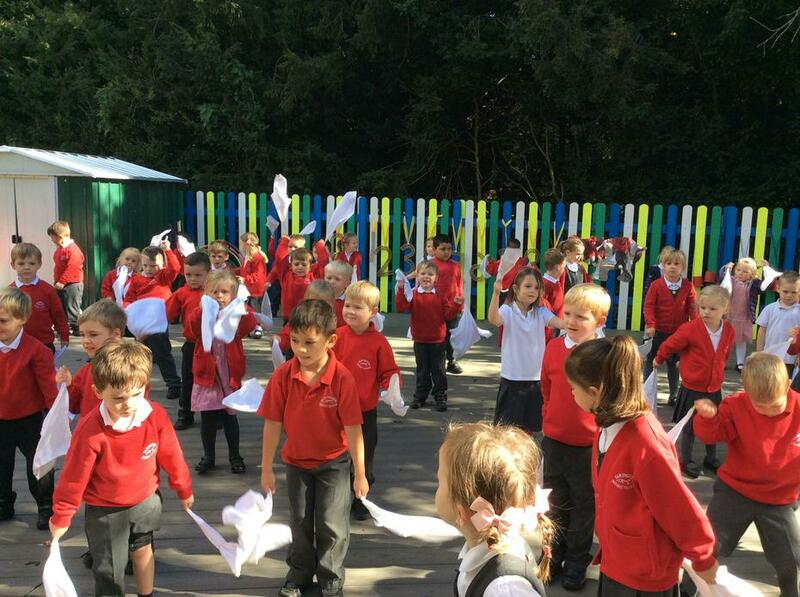 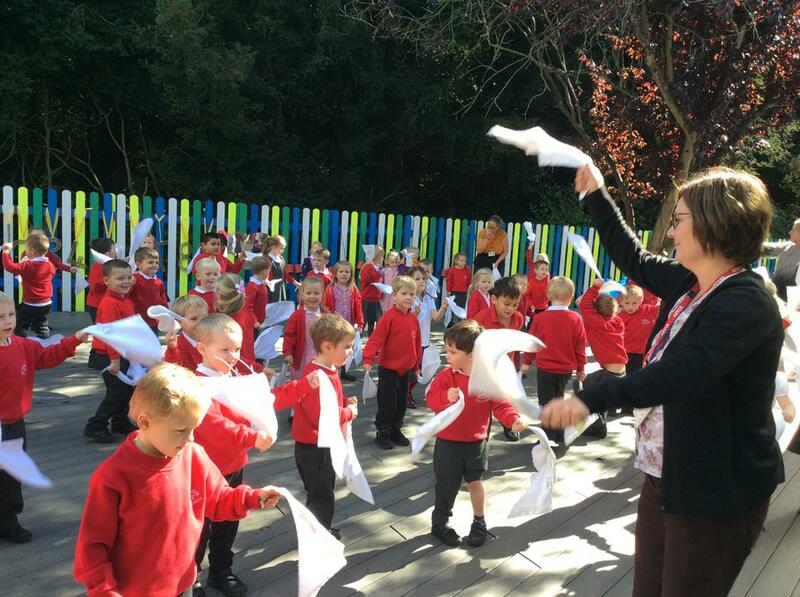 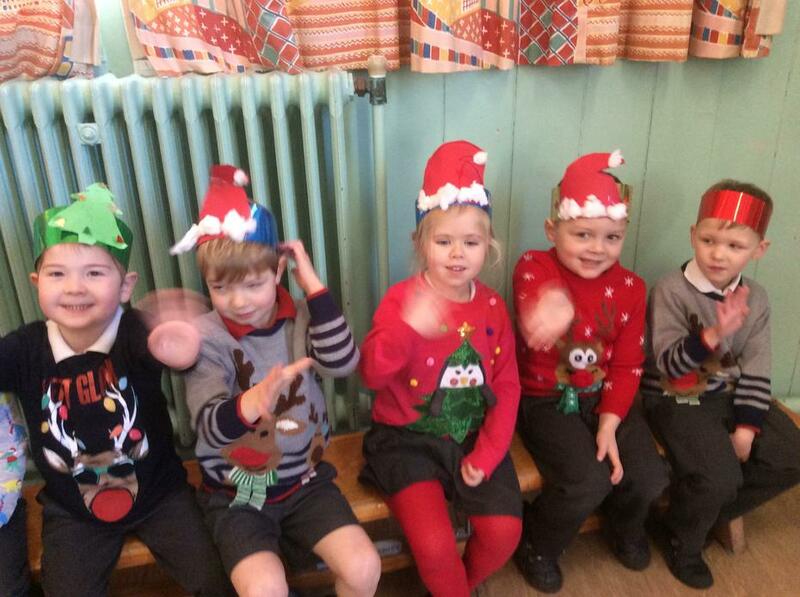 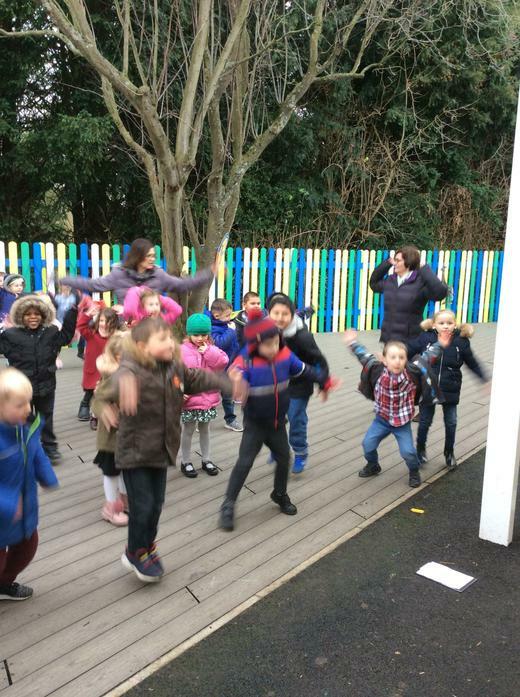 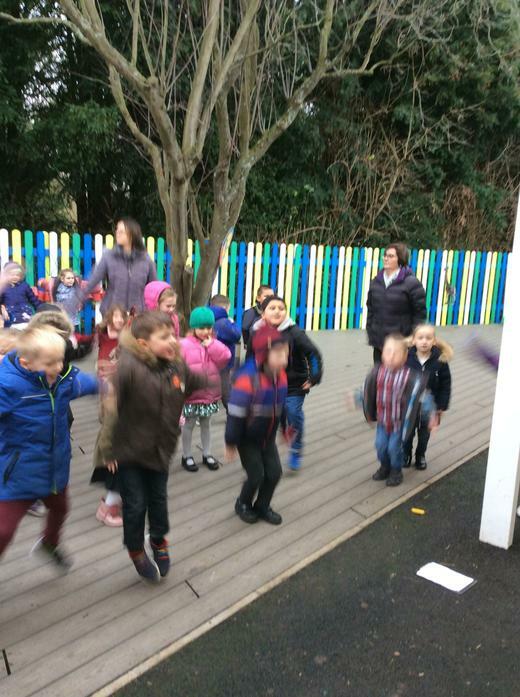 We had great fun joining in with our Christmas wake and shake! 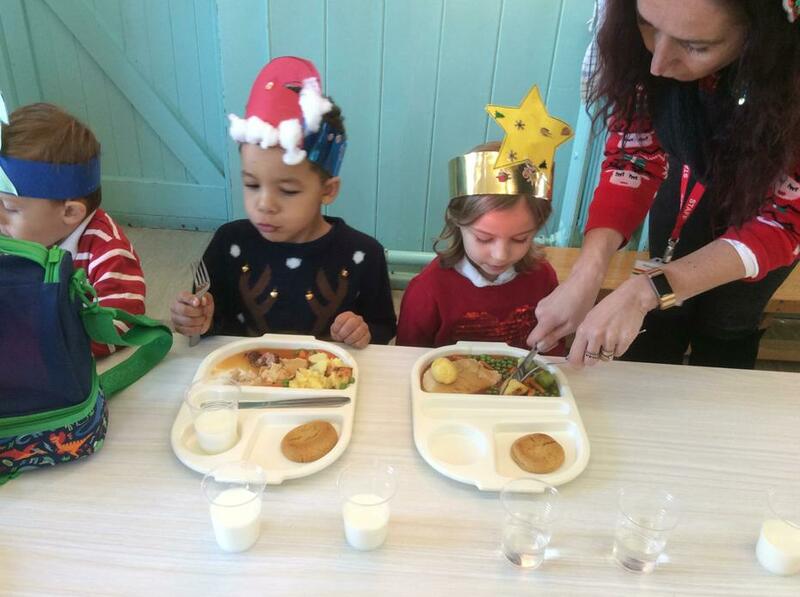 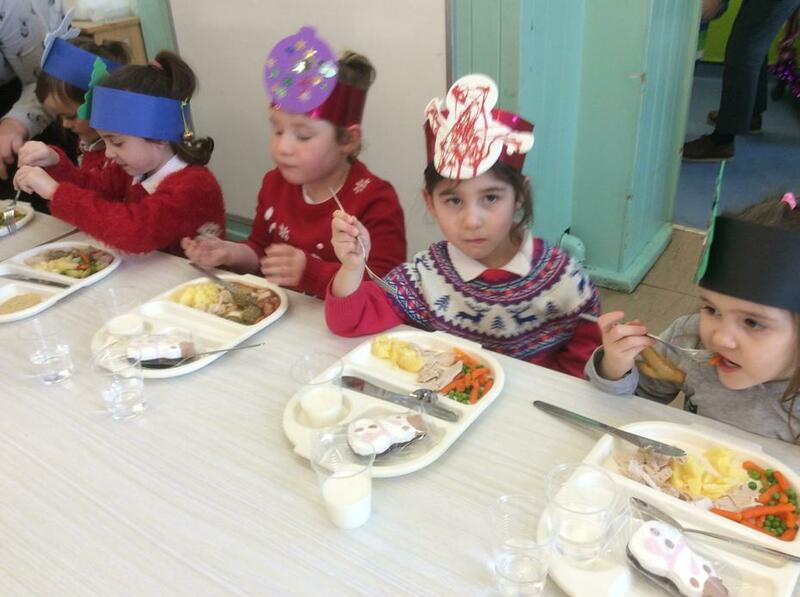 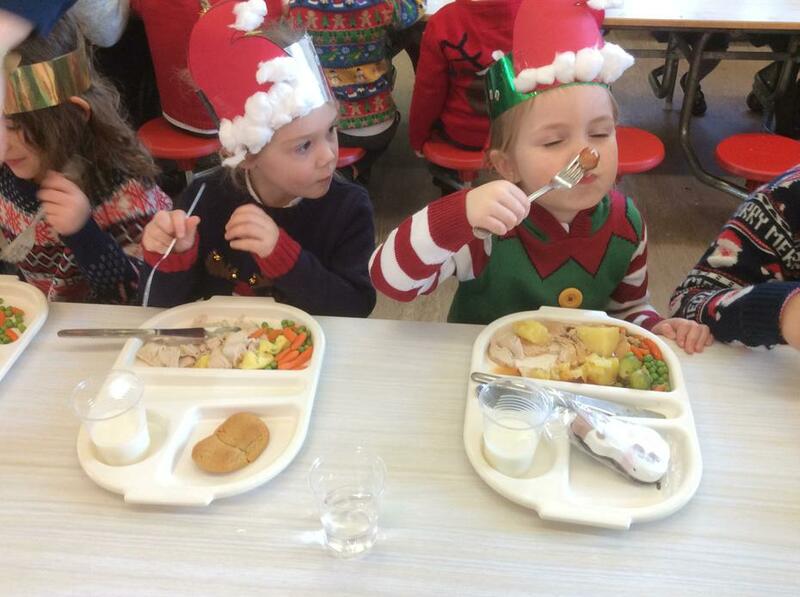 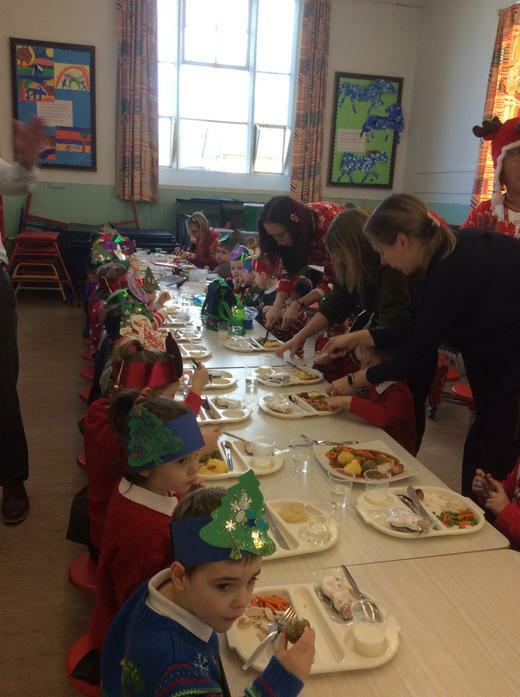 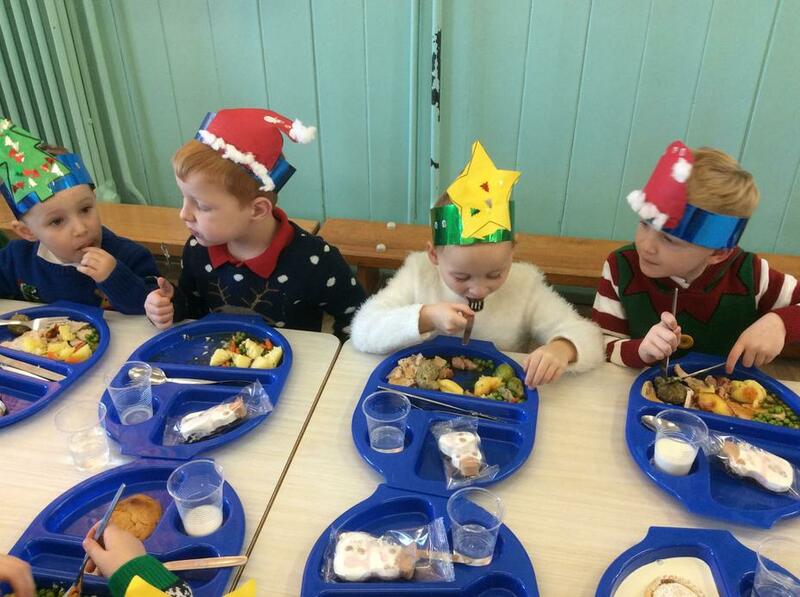 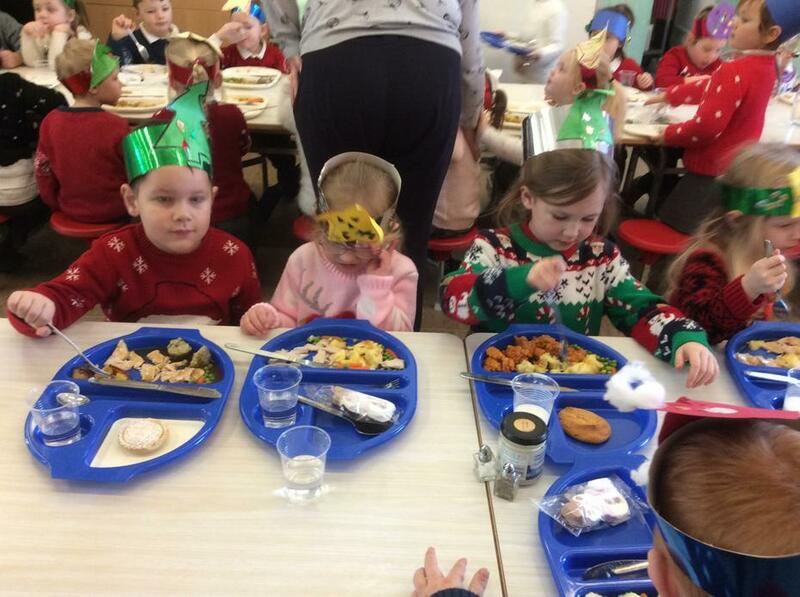 We enjoyed a delicious Christmas dinner together! 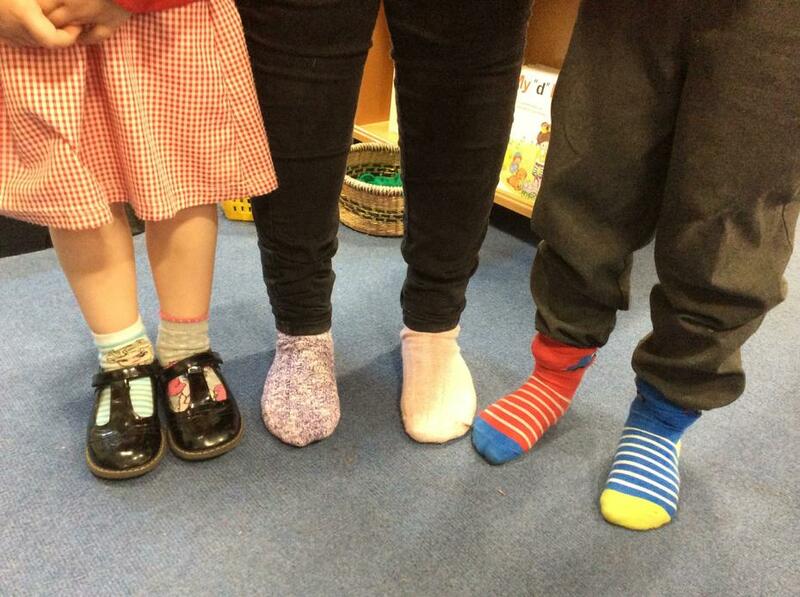 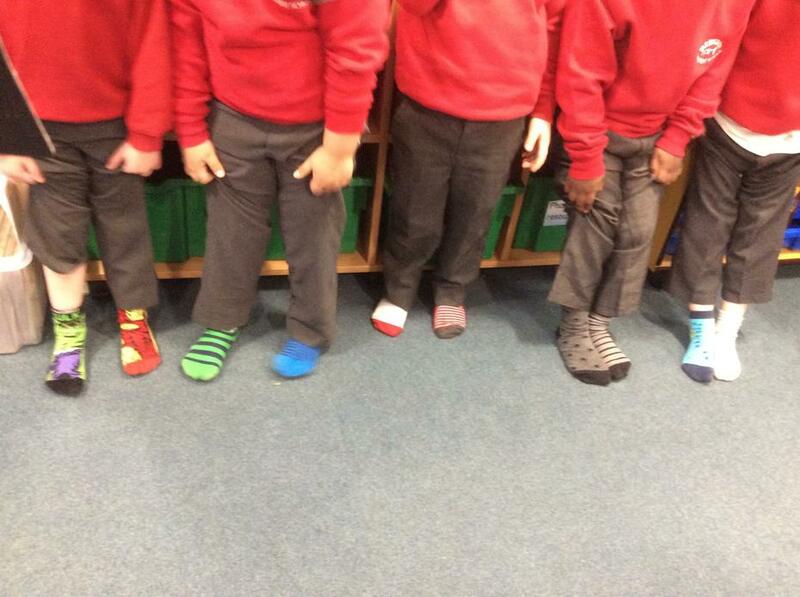 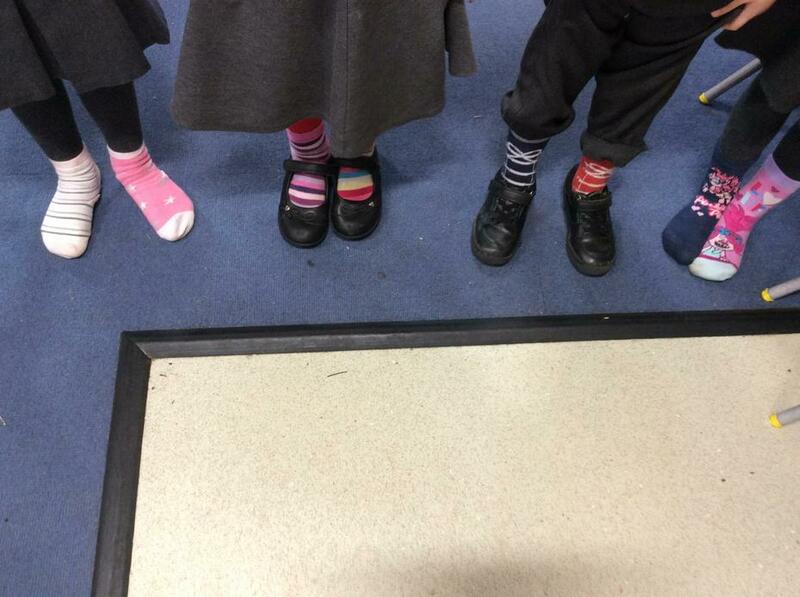 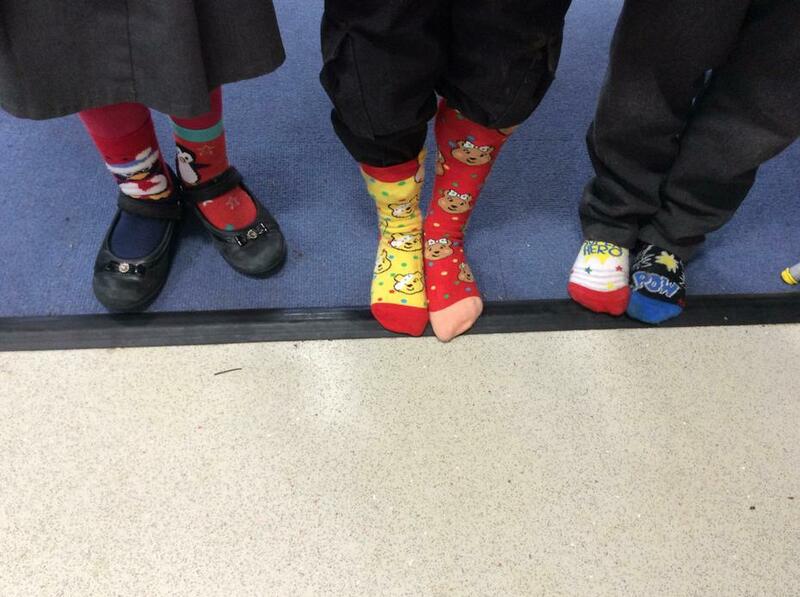 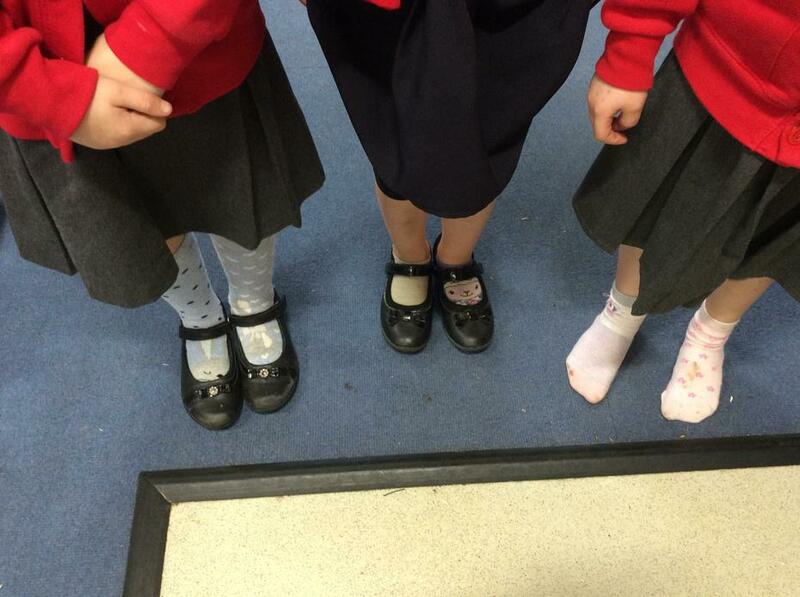 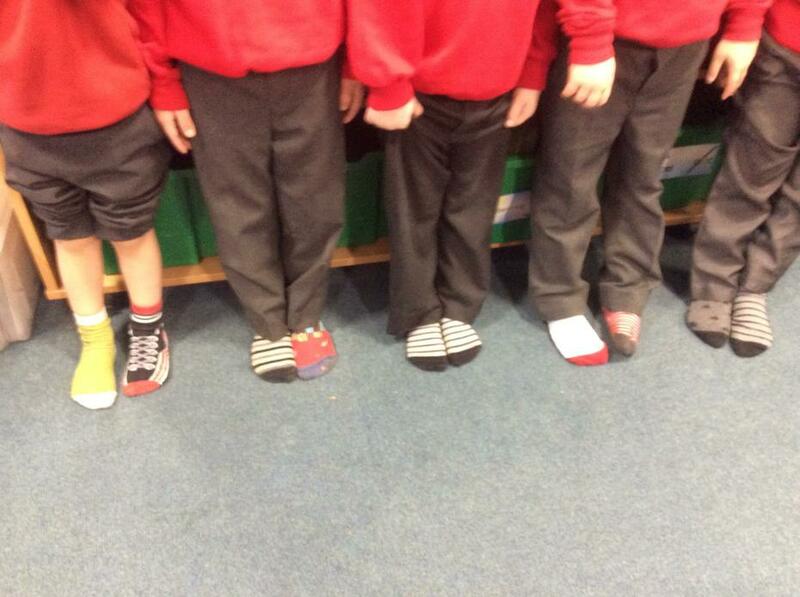 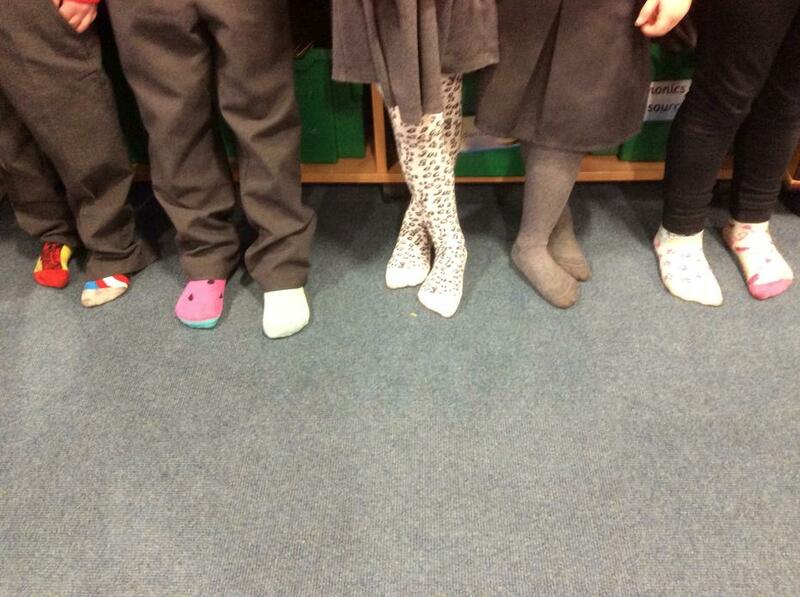 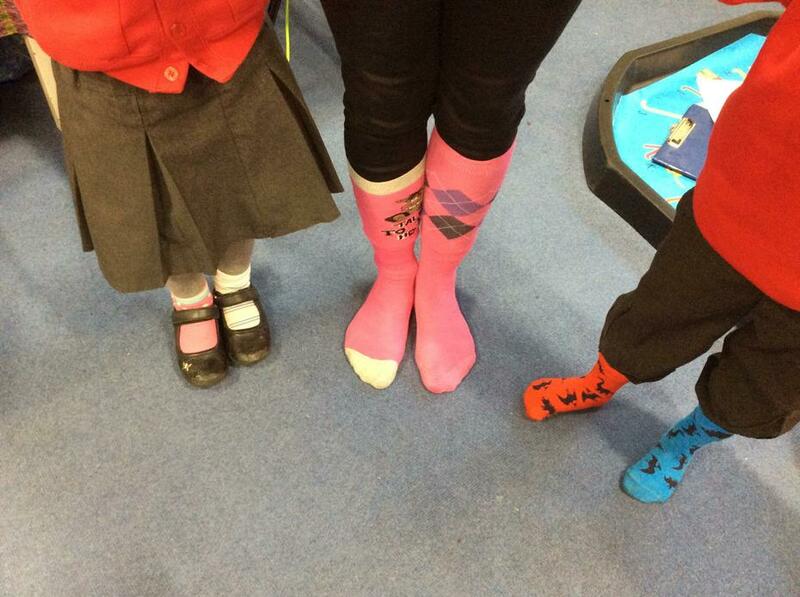 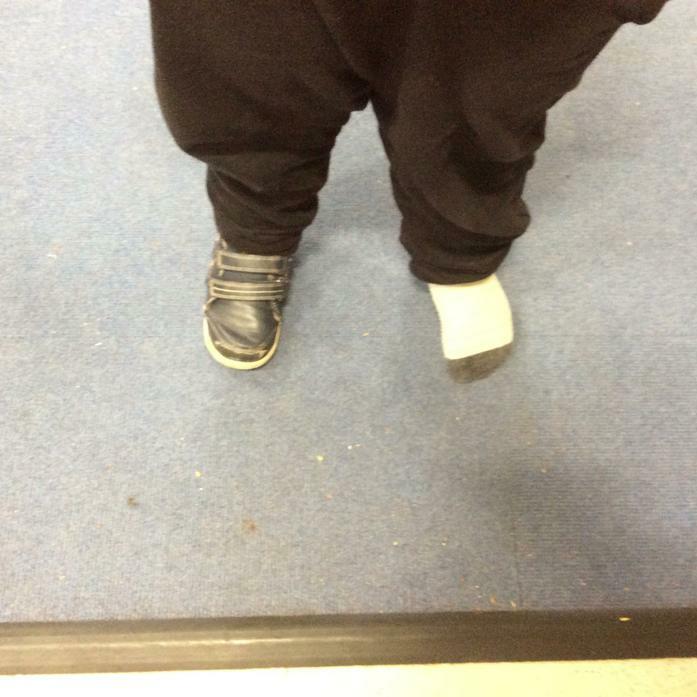 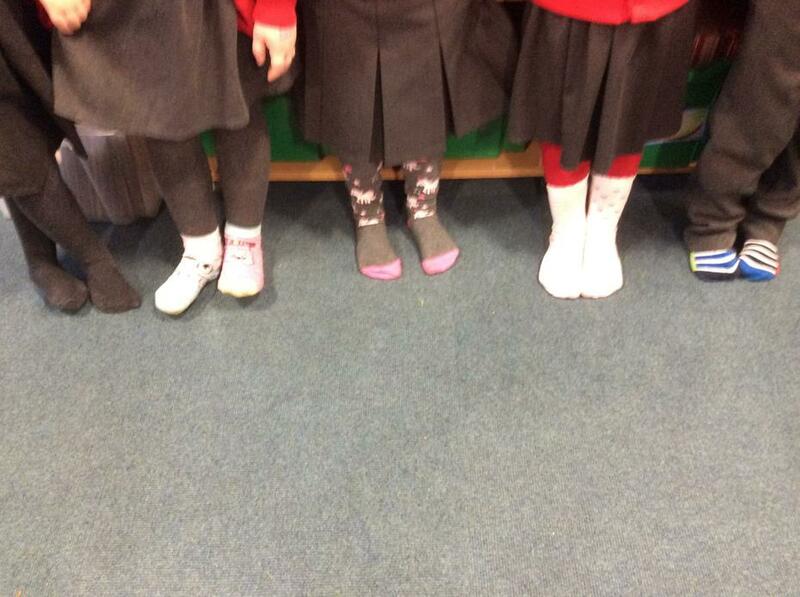 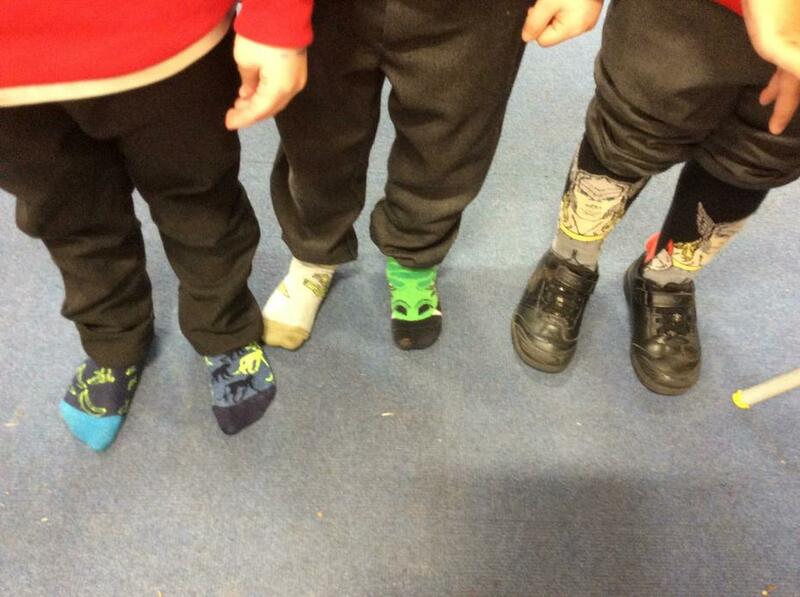 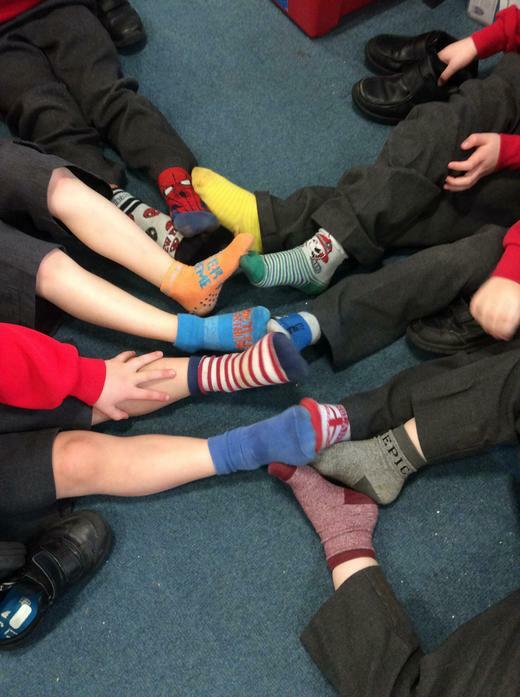 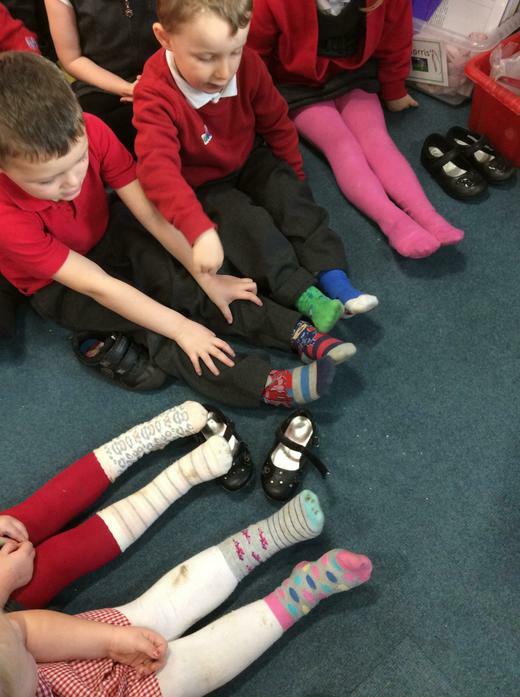 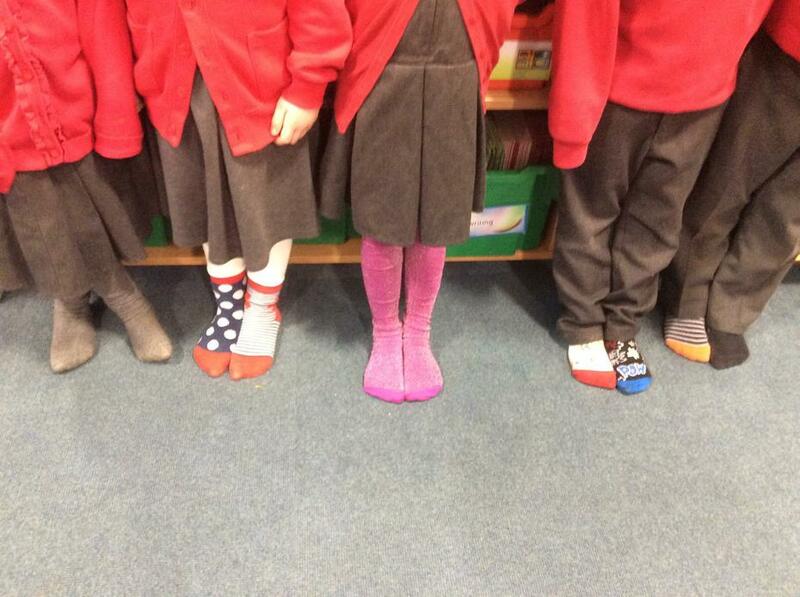 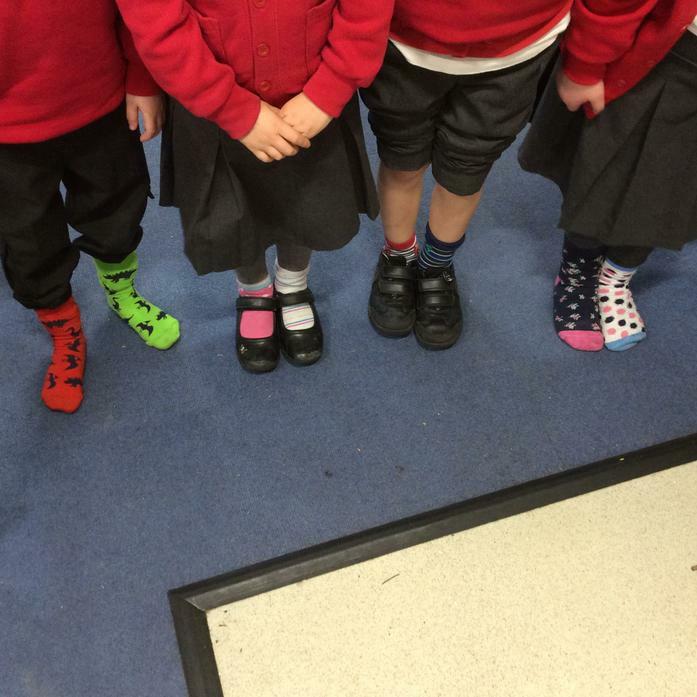 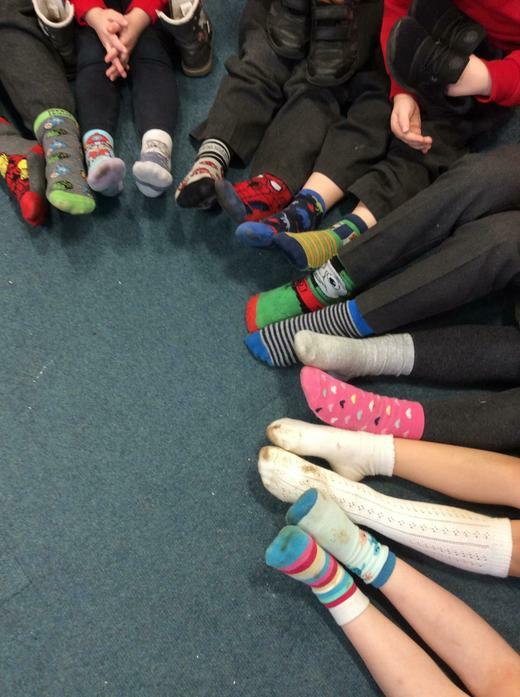 Look at our odd socks! 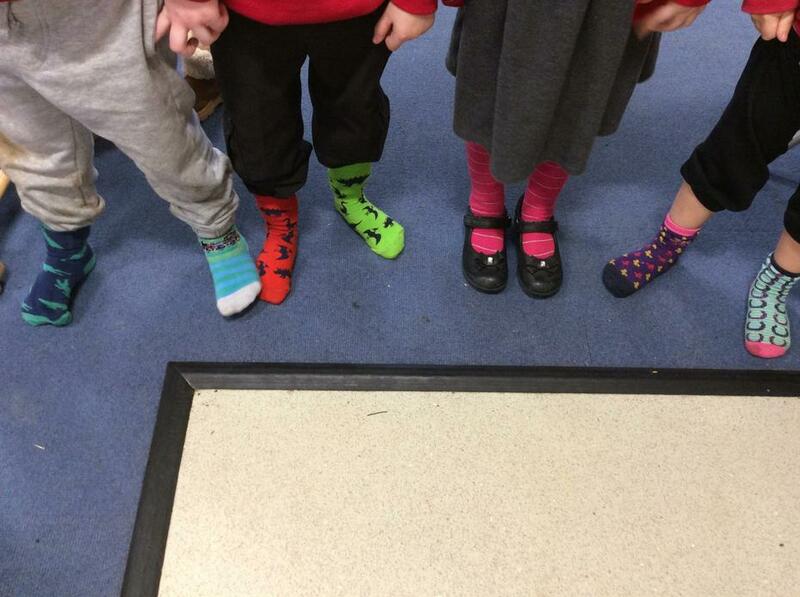 We wore these for 'Anti Bullying Week' to celebrate the fact we are all unique. 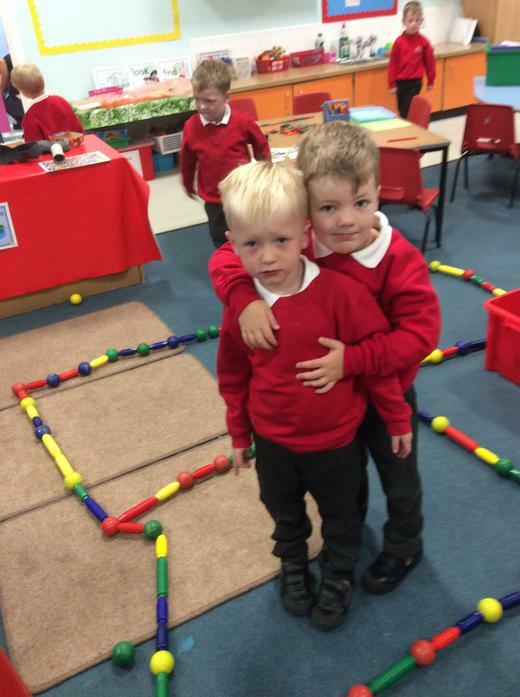 We also talked about what we can do to be a good friend. 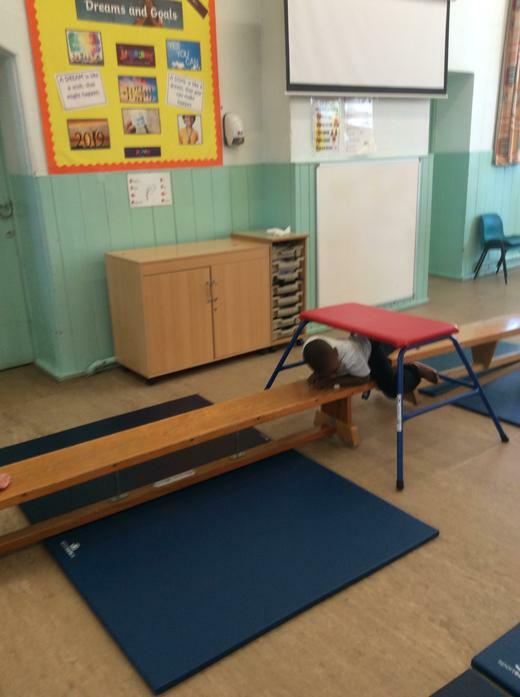 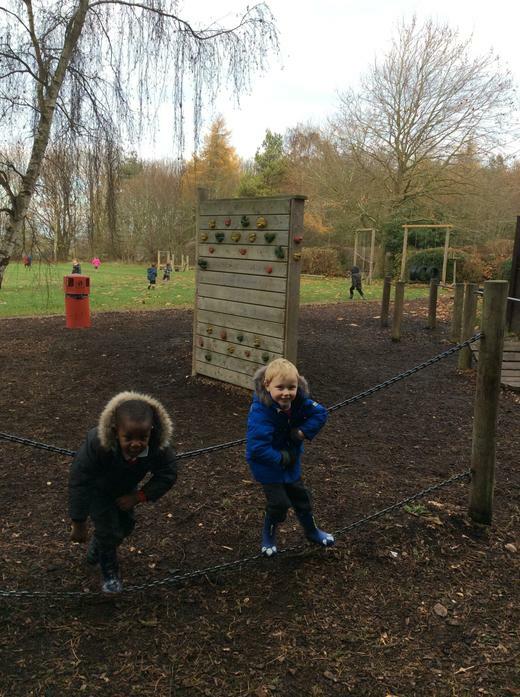 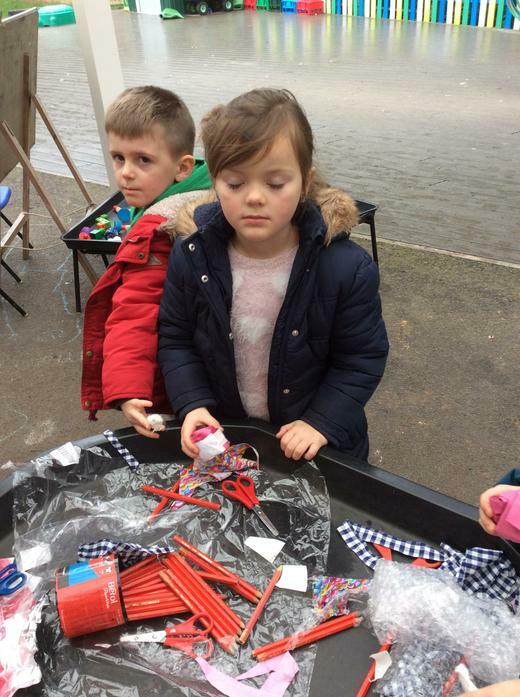 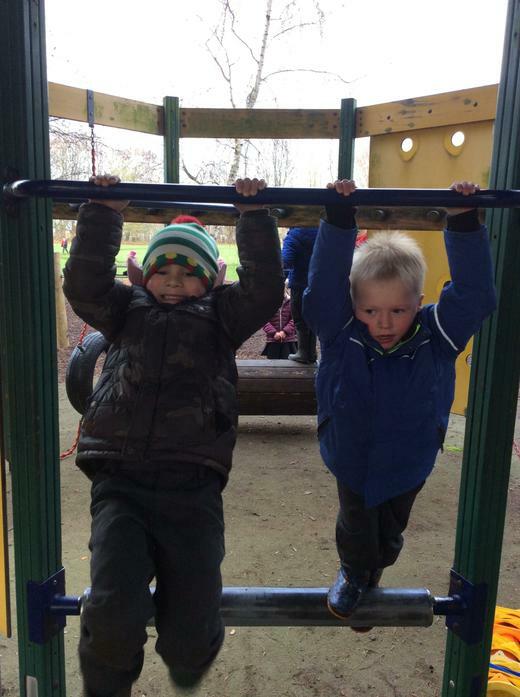 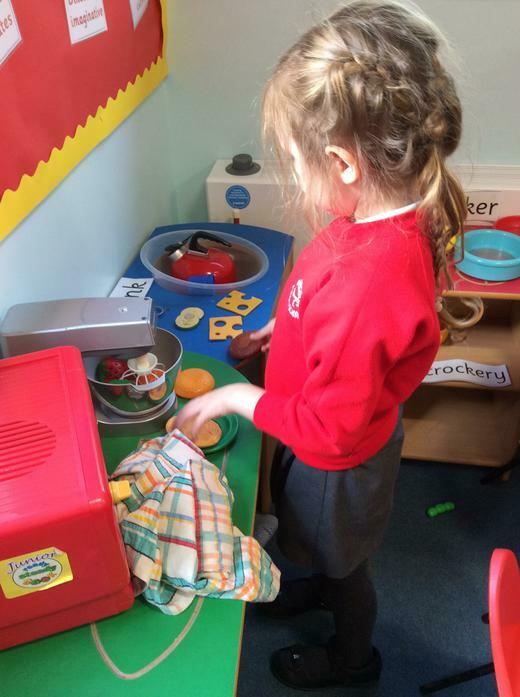 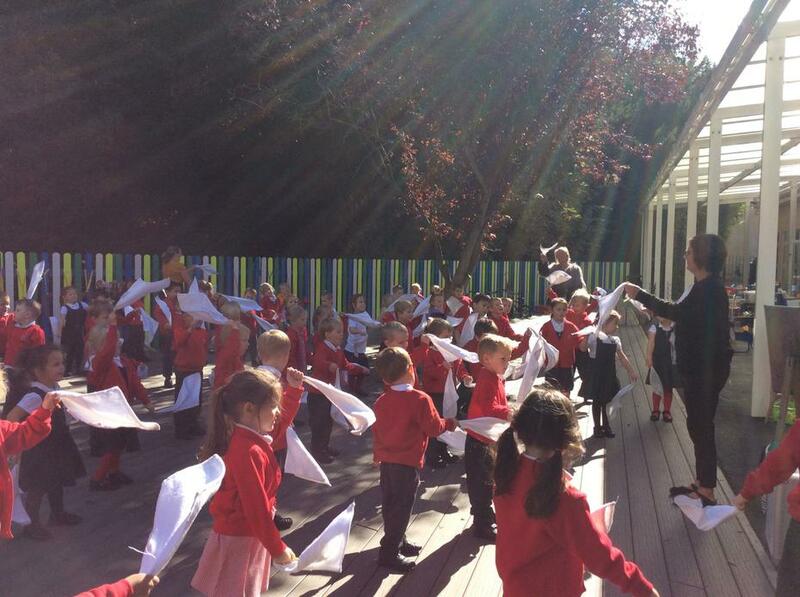 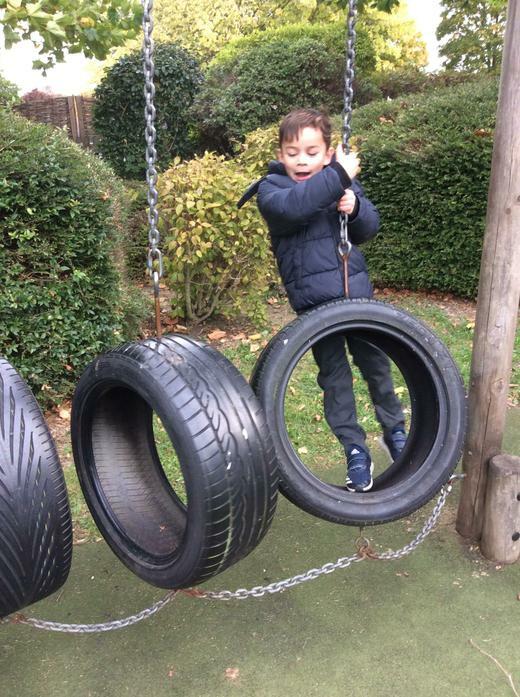 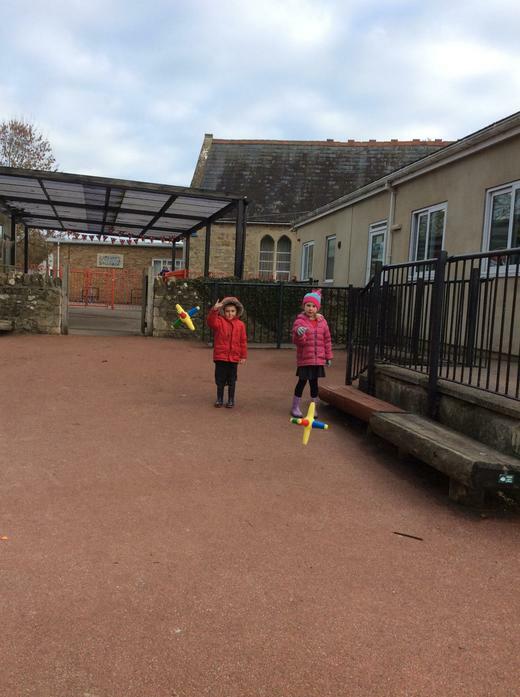 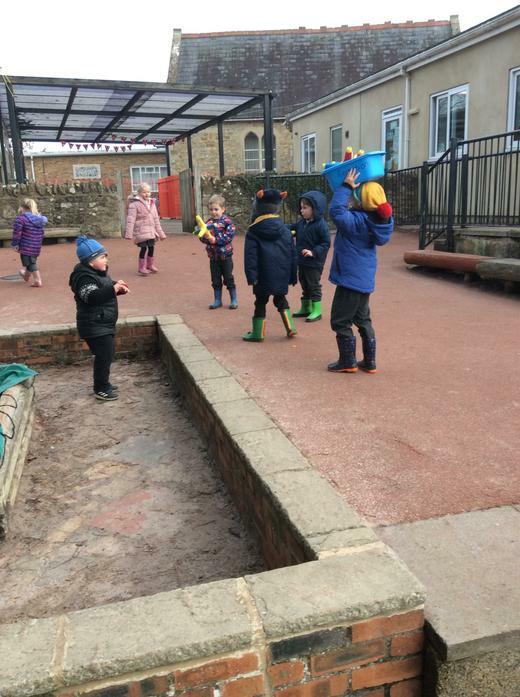 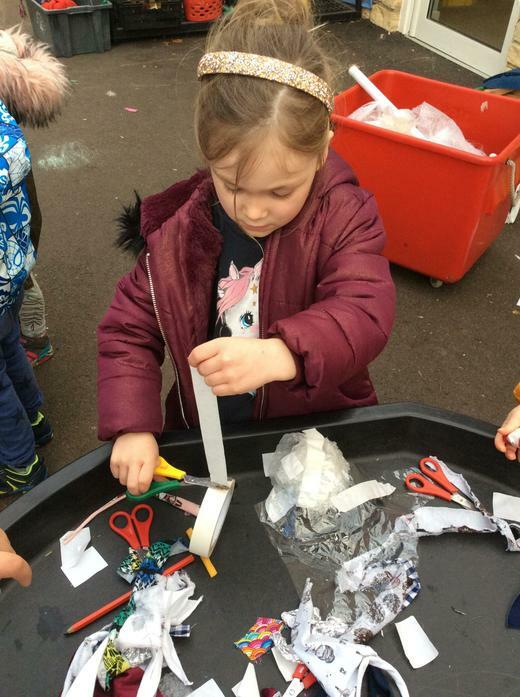 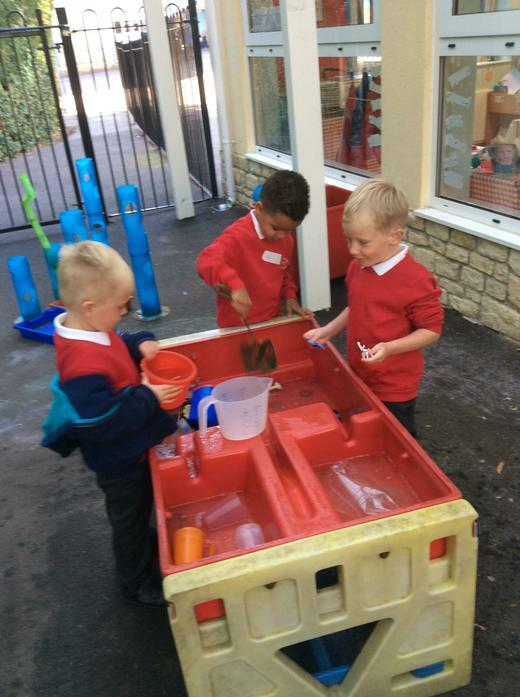 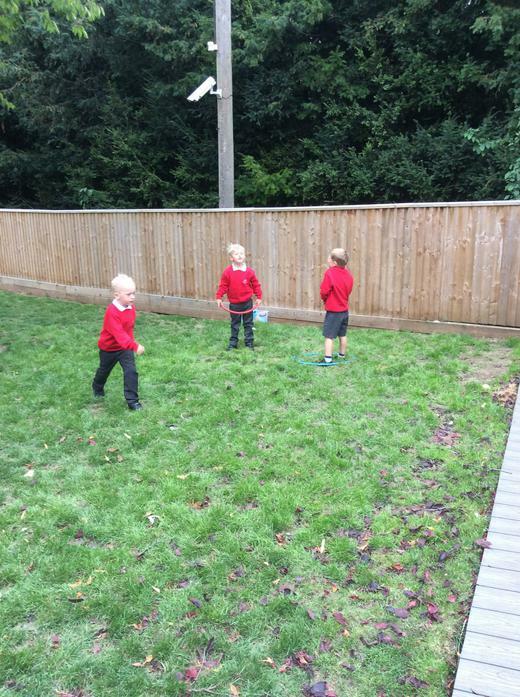 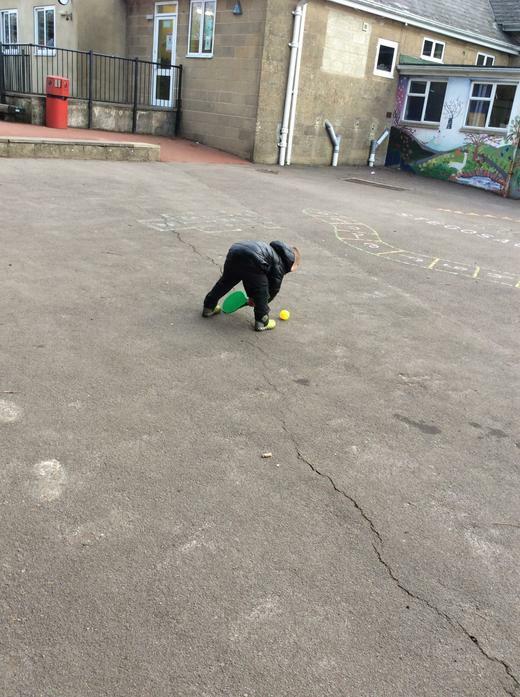 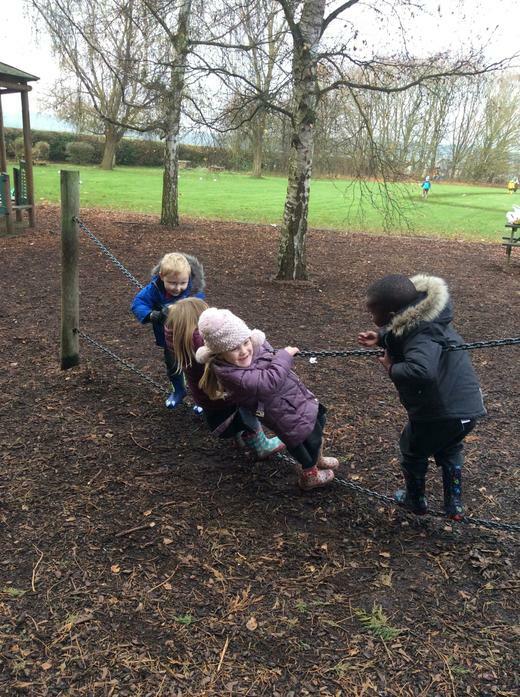 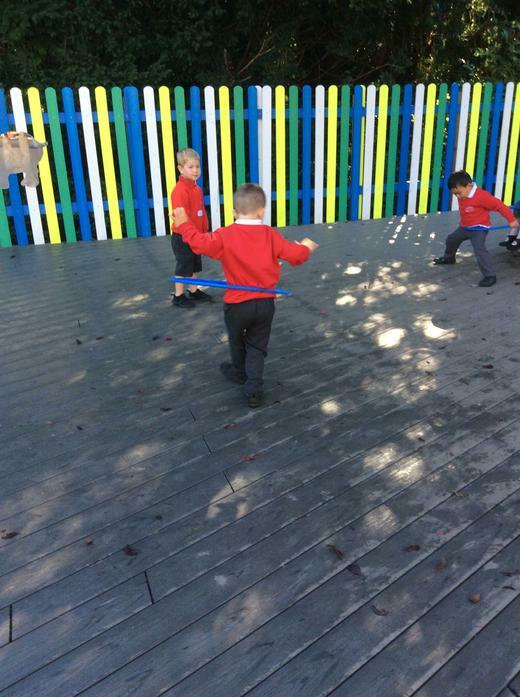 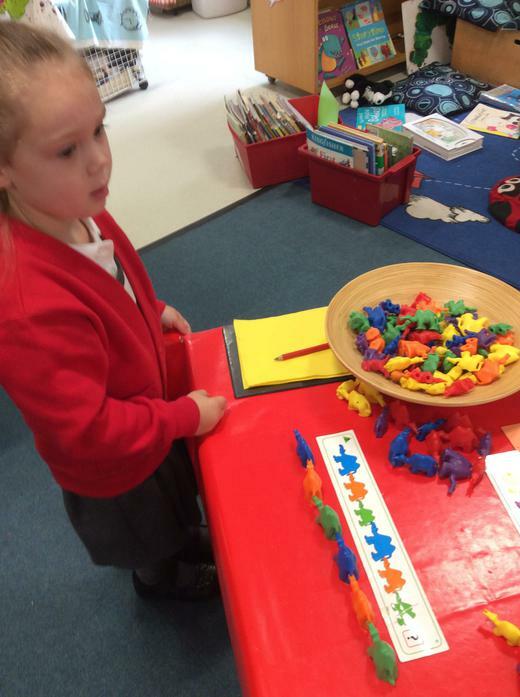 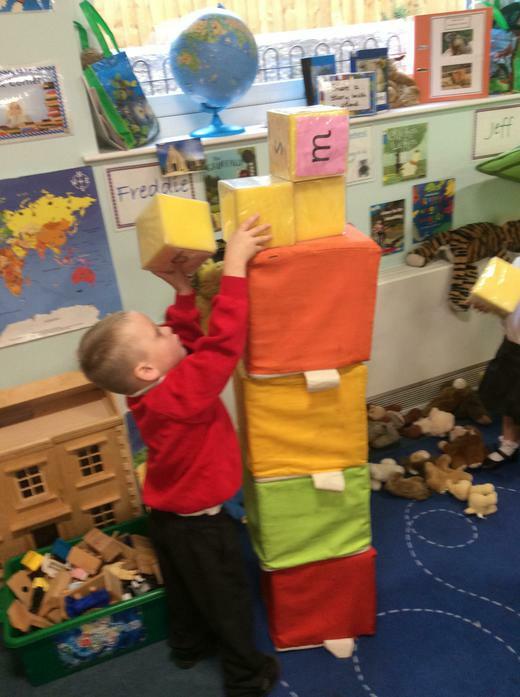 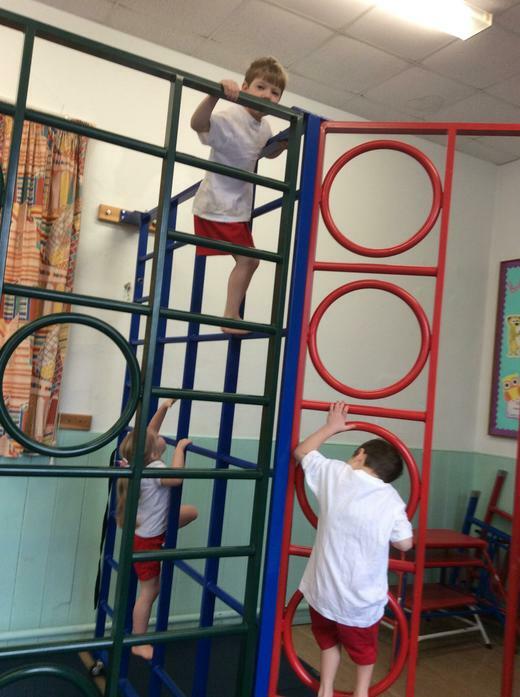 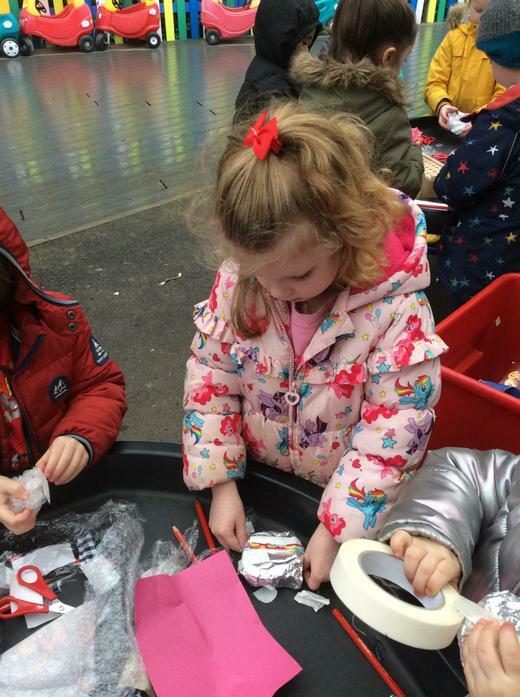 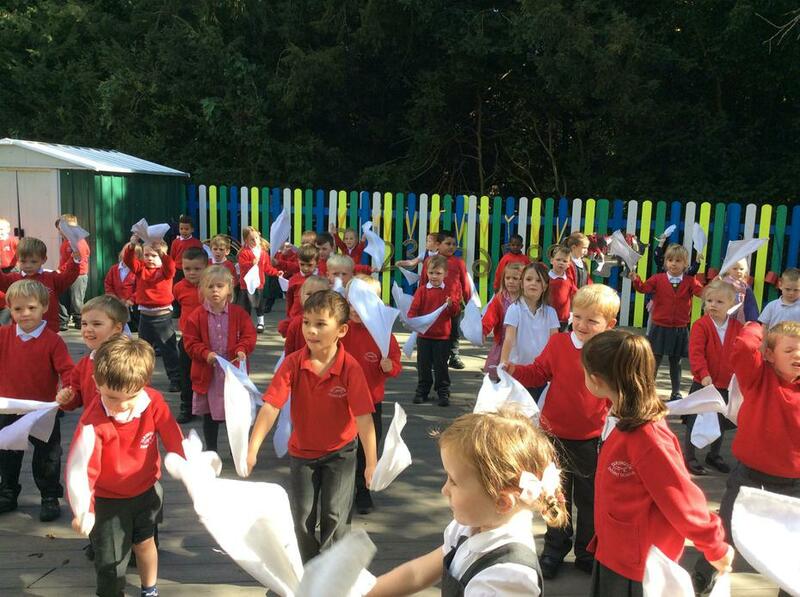 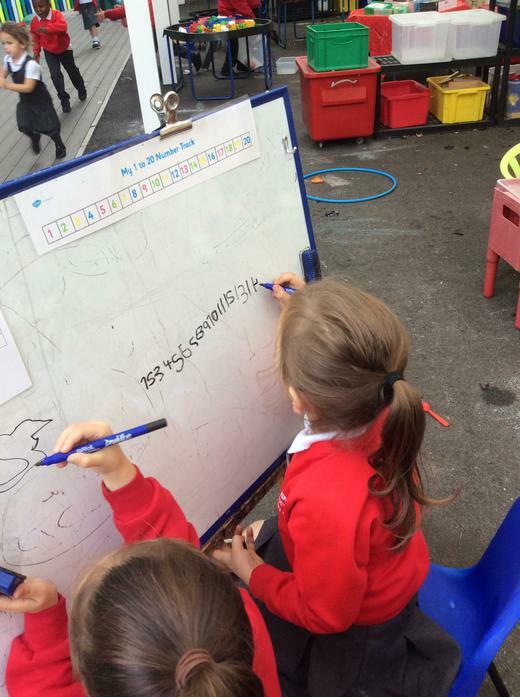 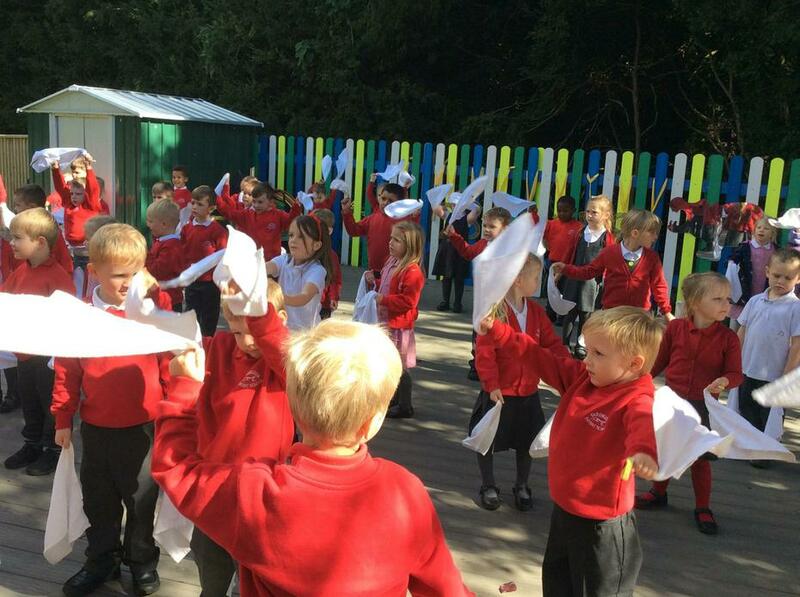 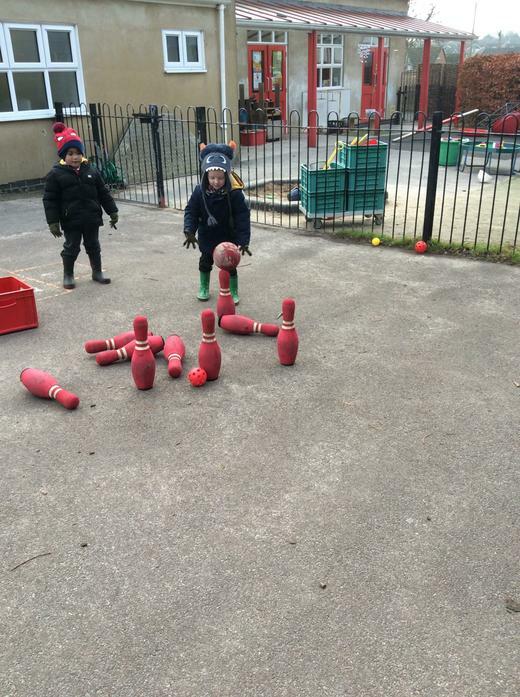 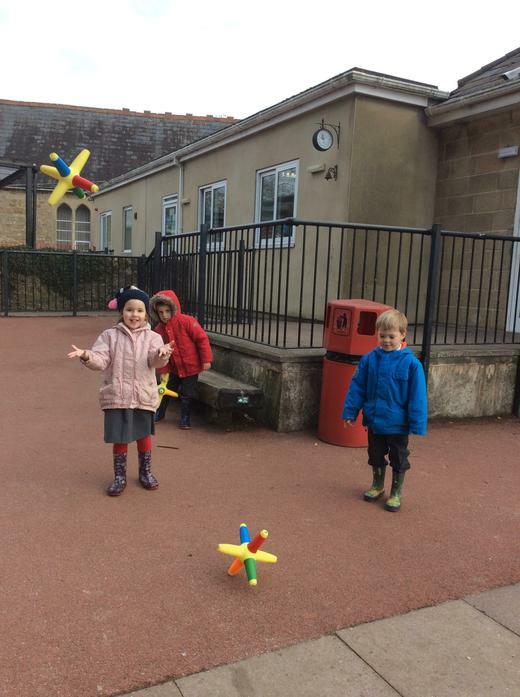 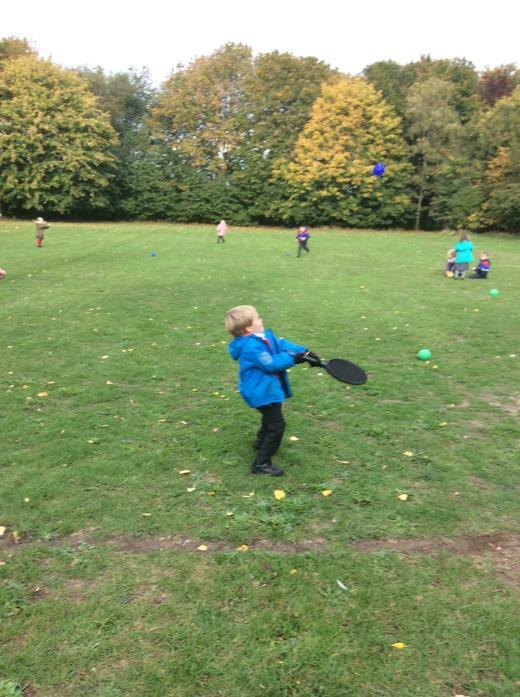 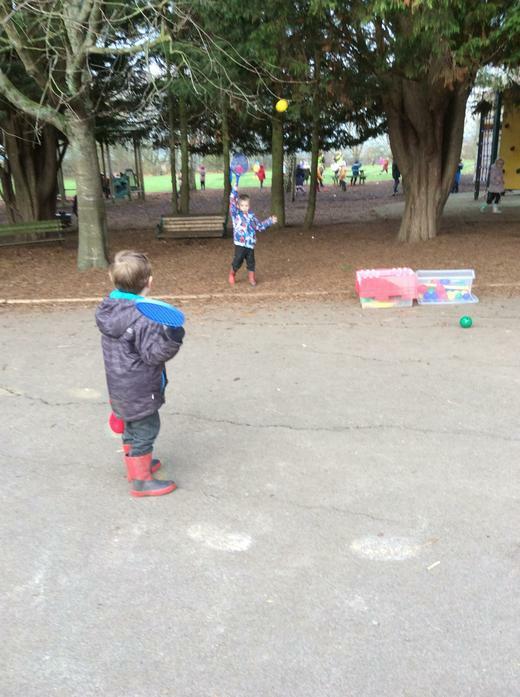 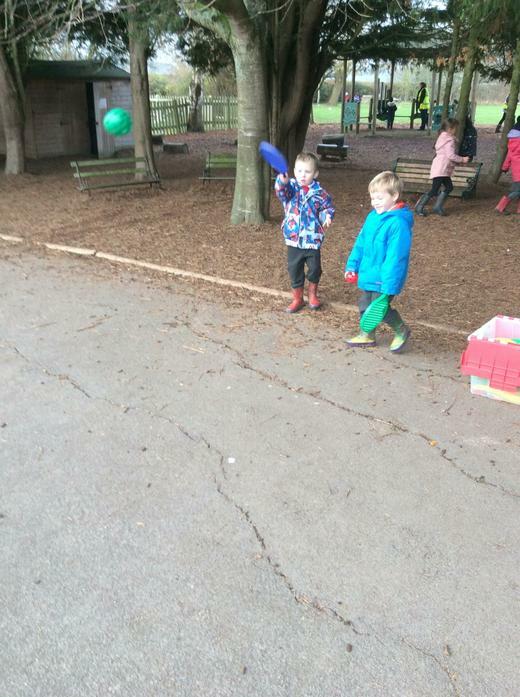 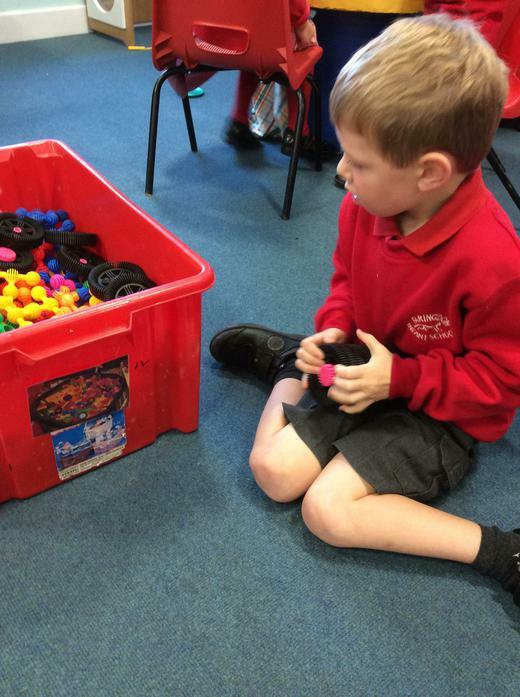 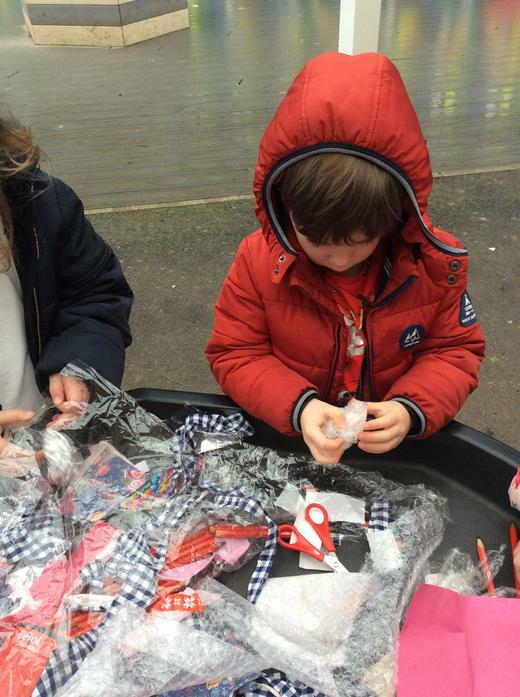 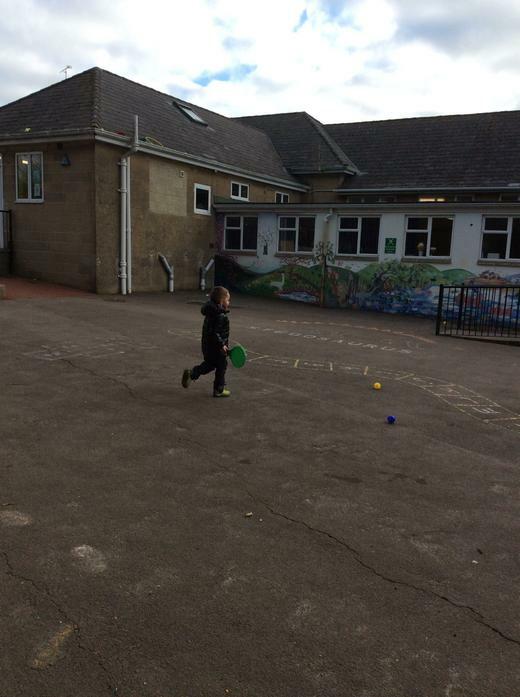 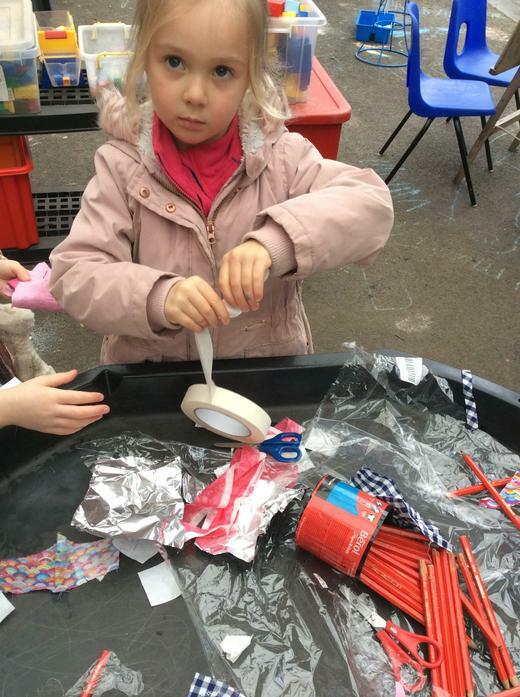 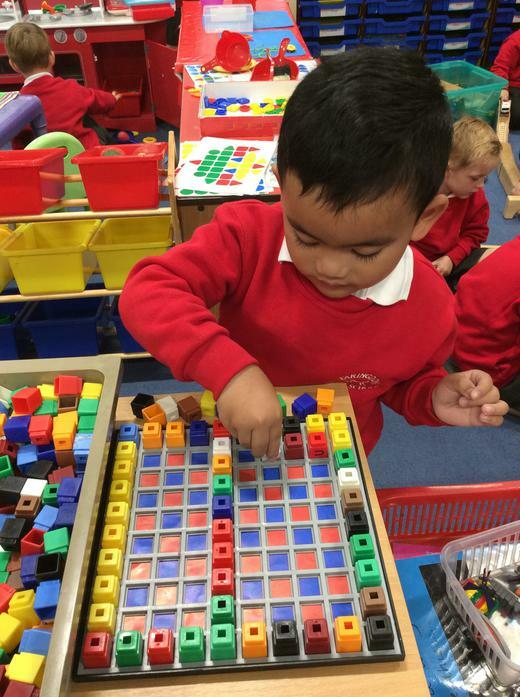 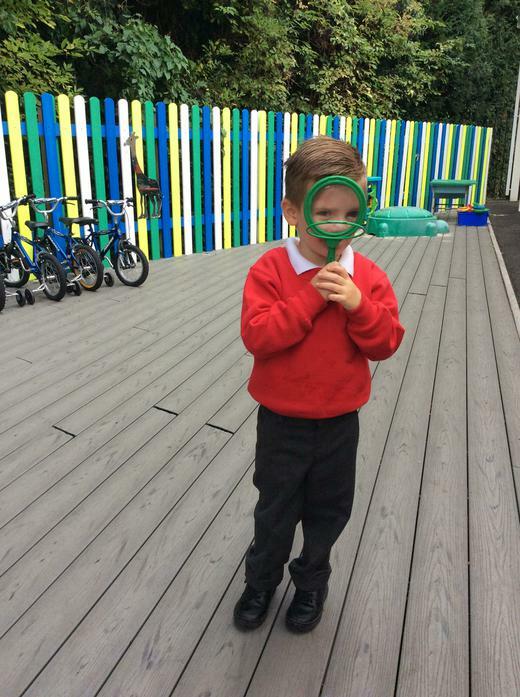 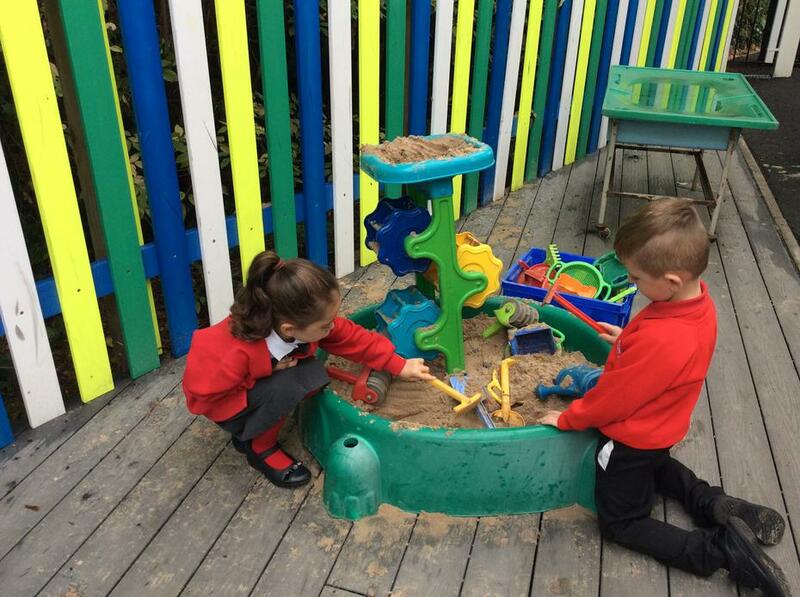 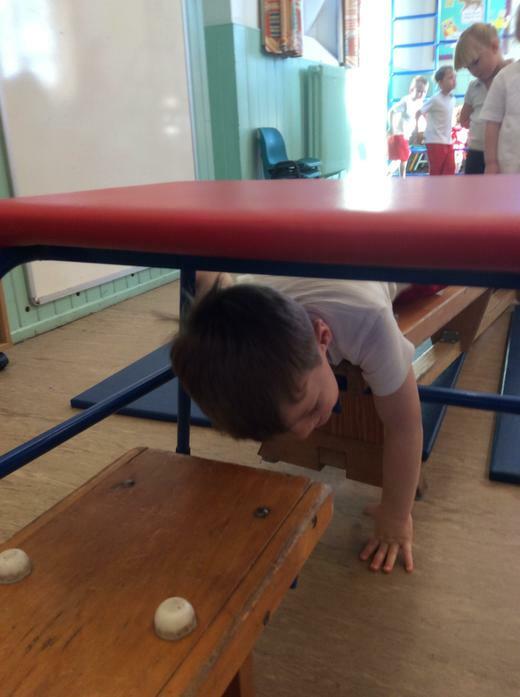 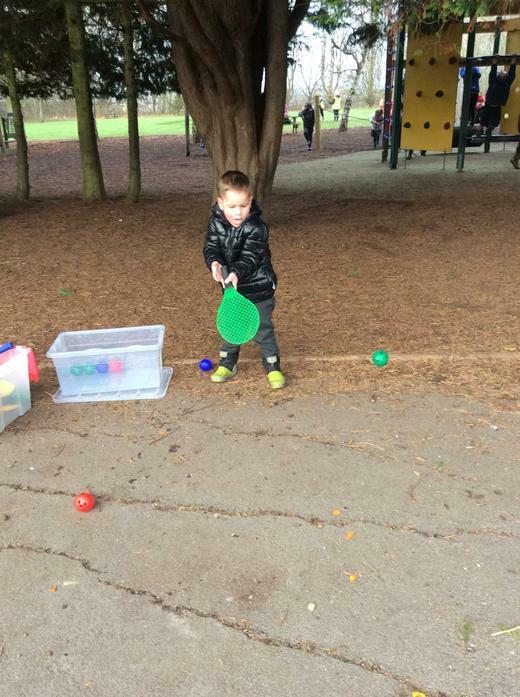 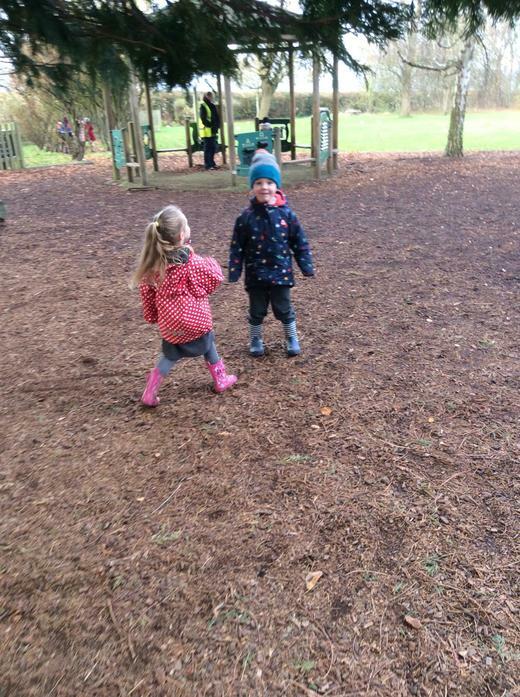 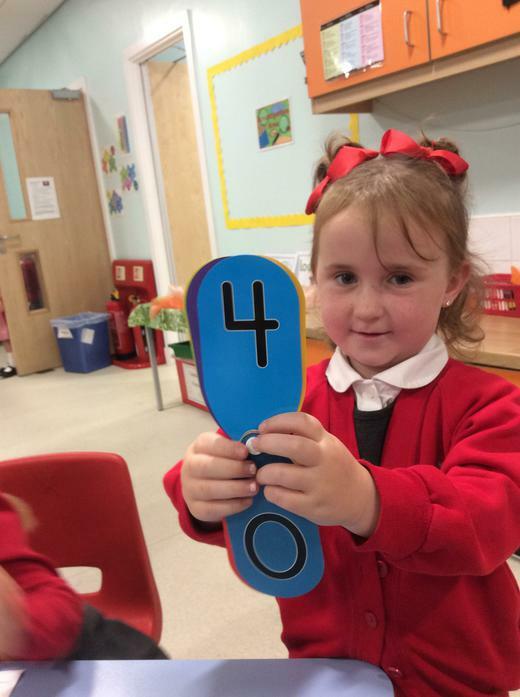 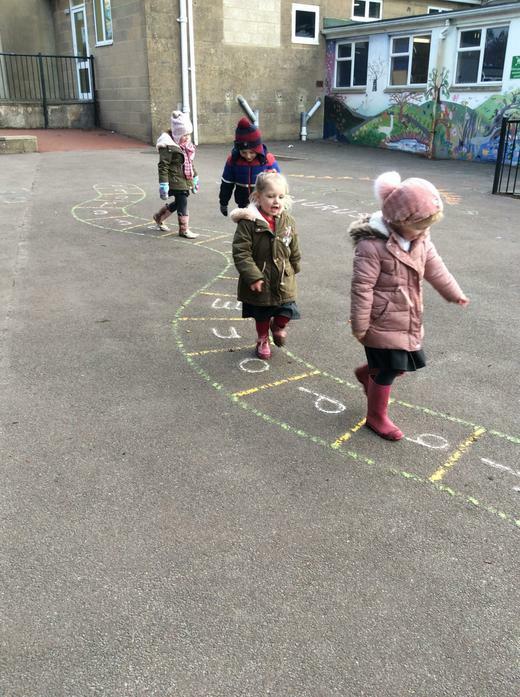 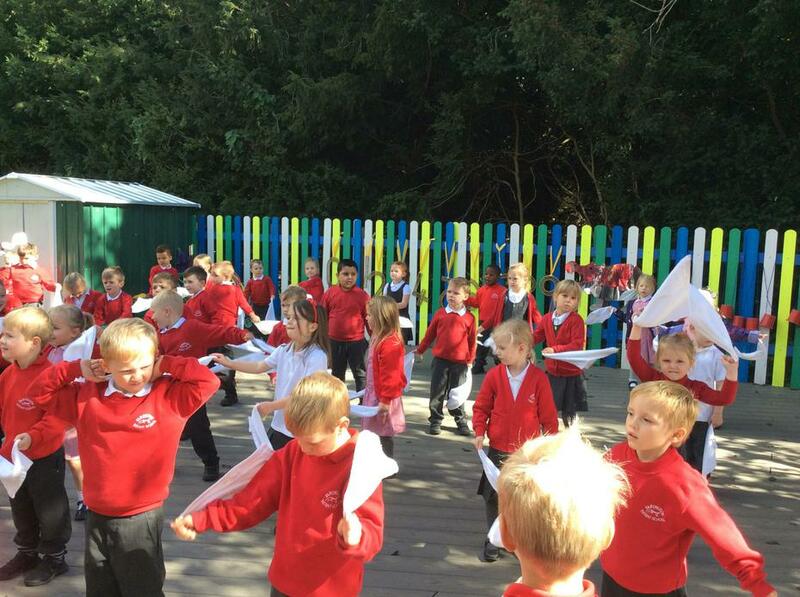 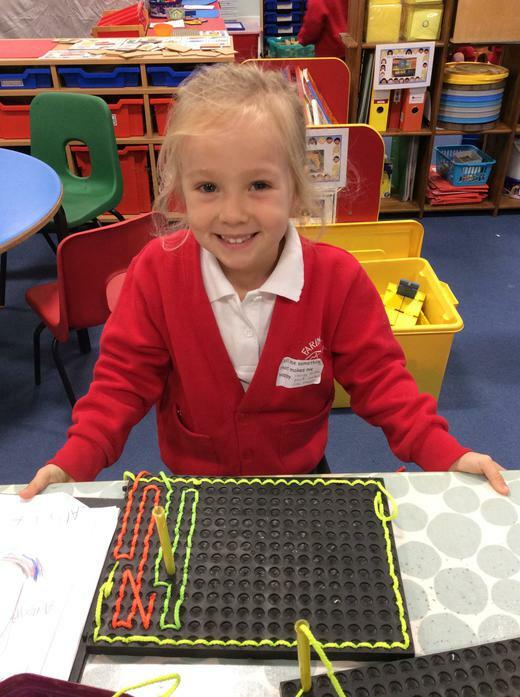 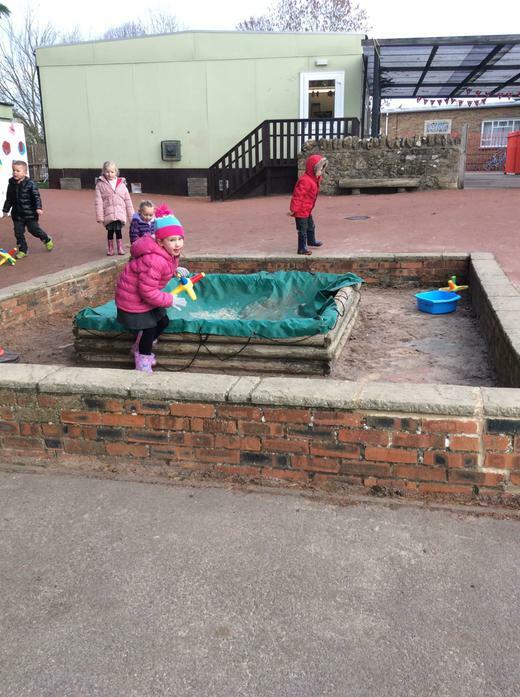 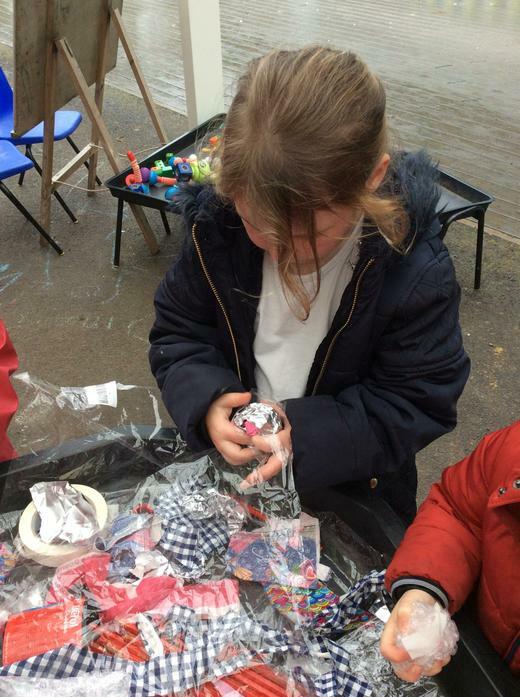 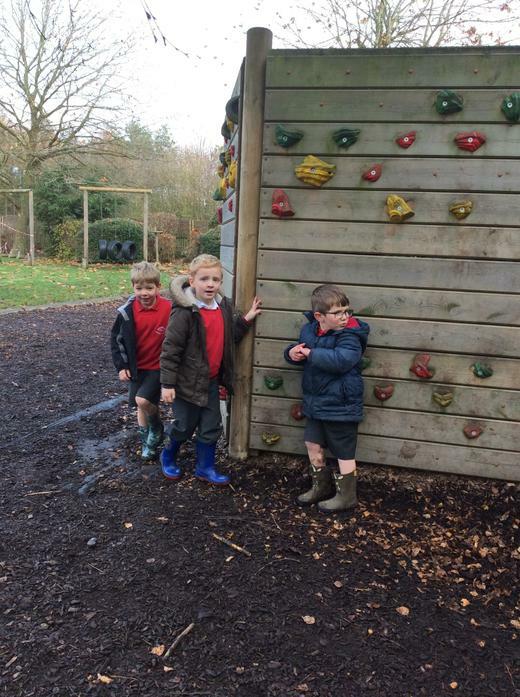 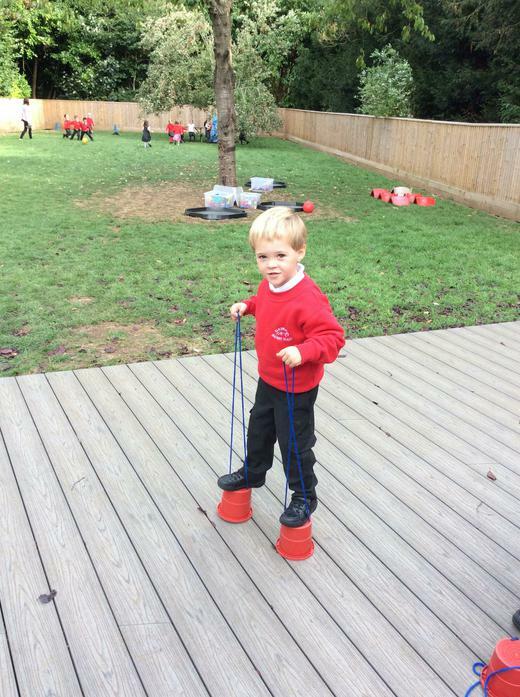 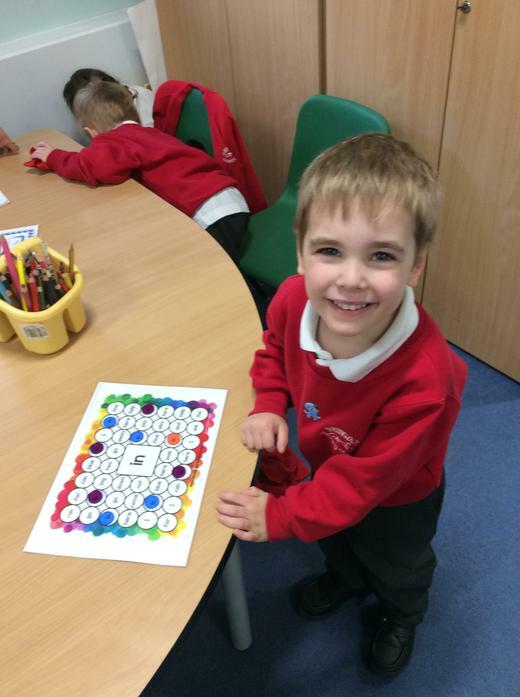 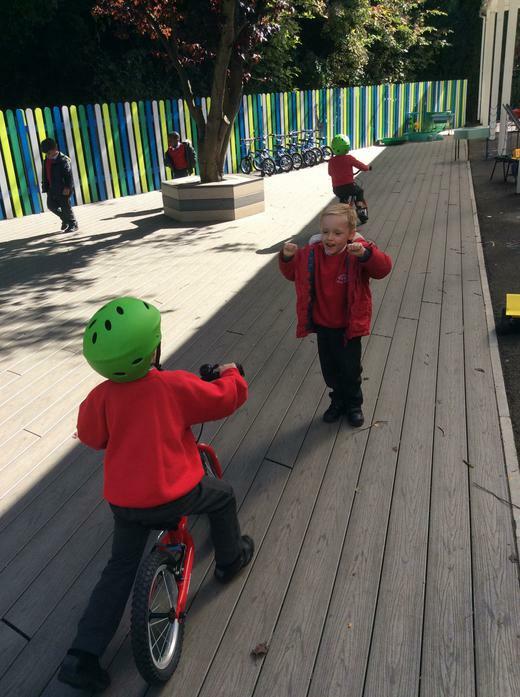 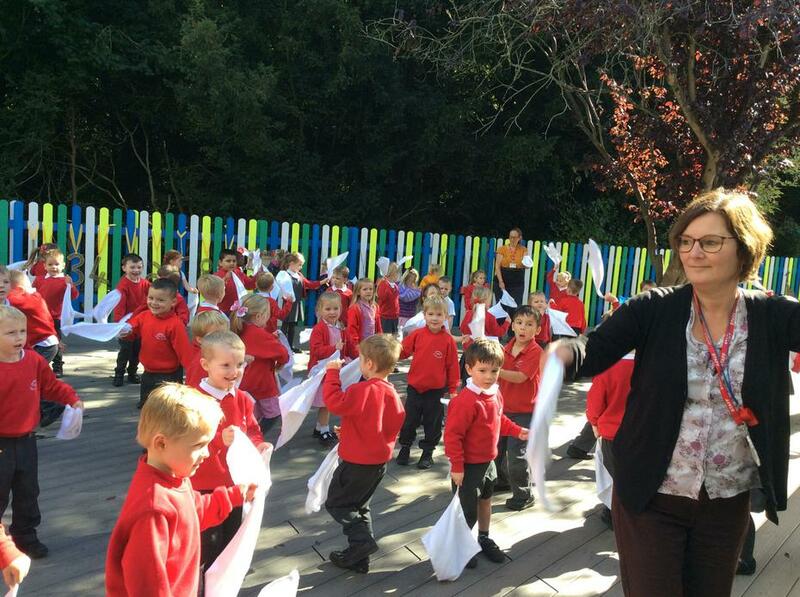 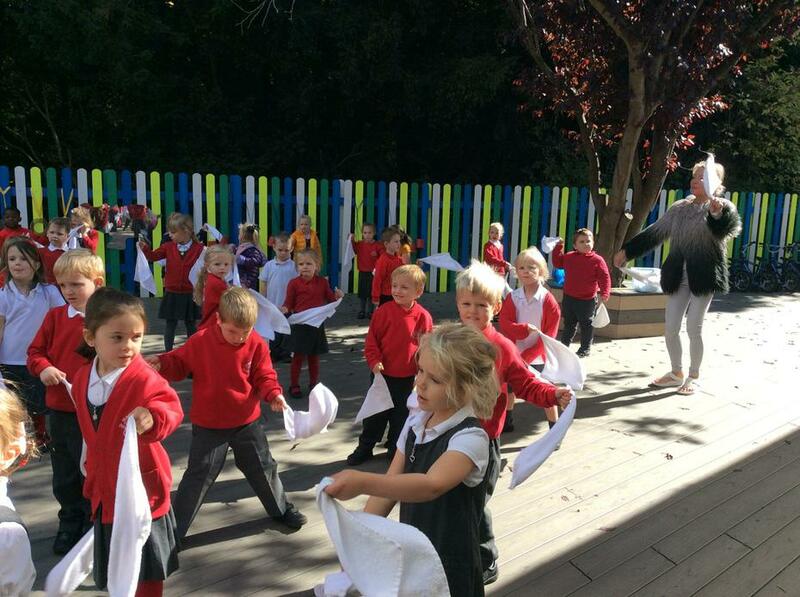 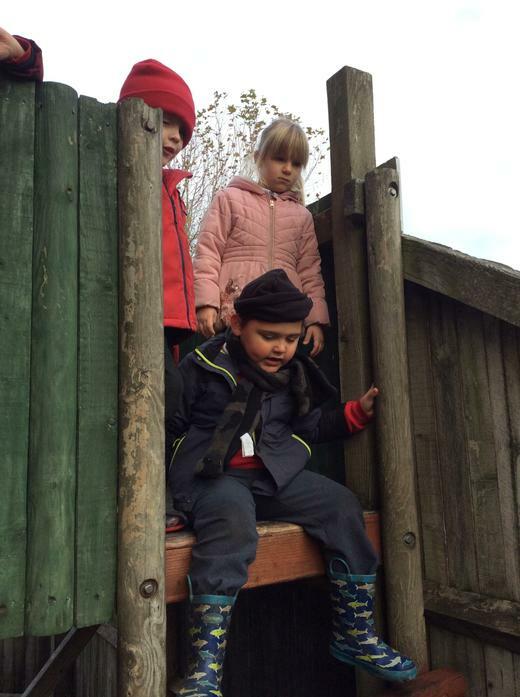 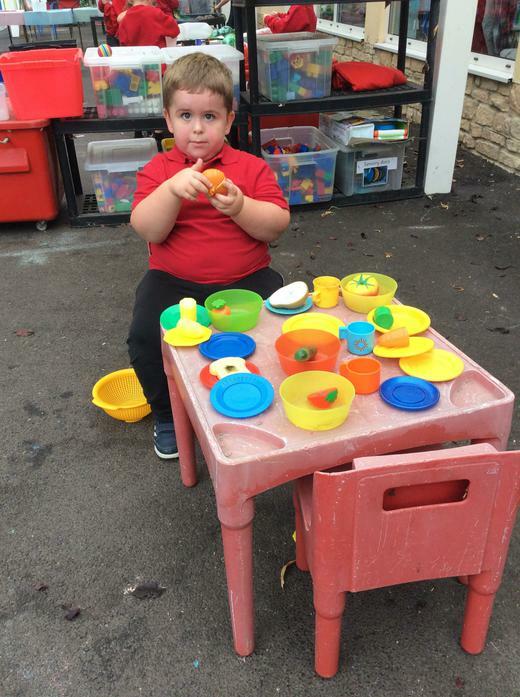 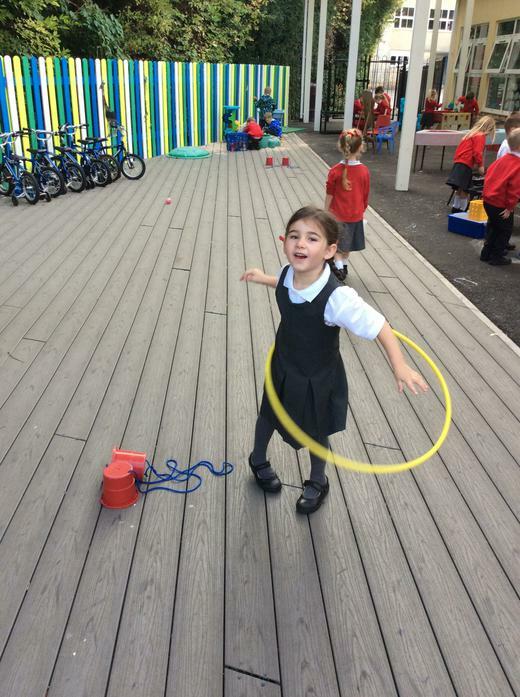 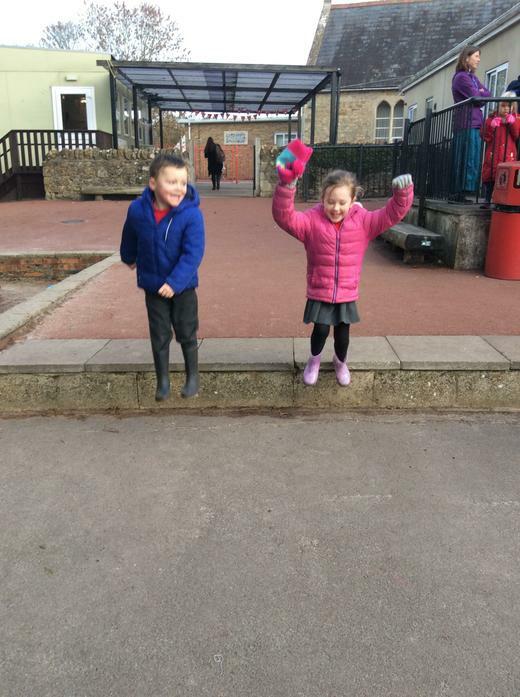 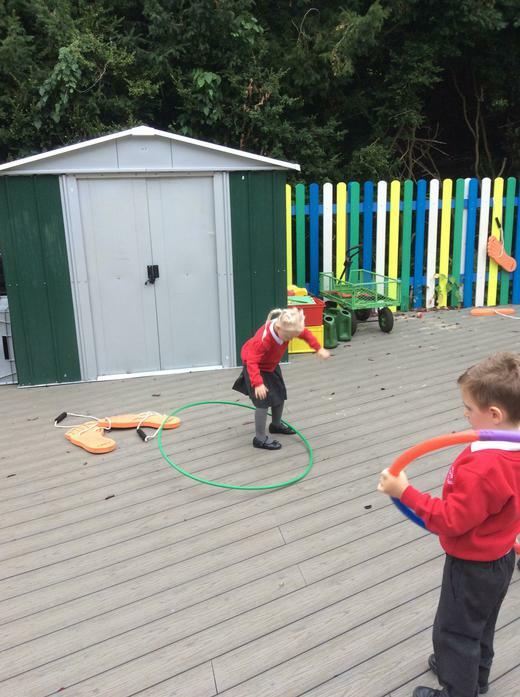 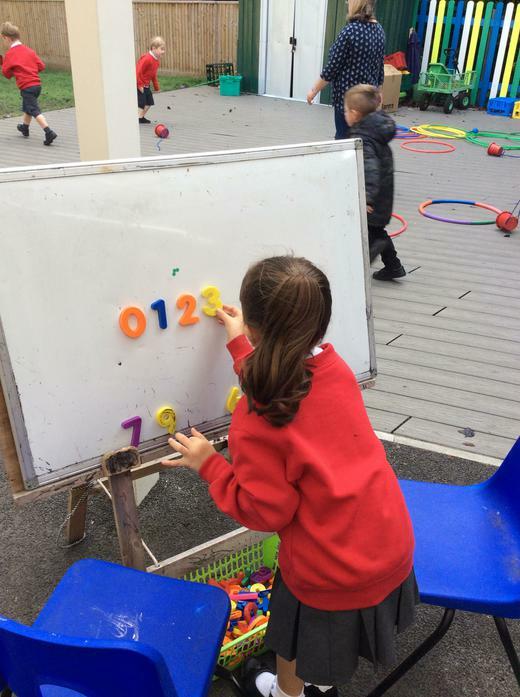 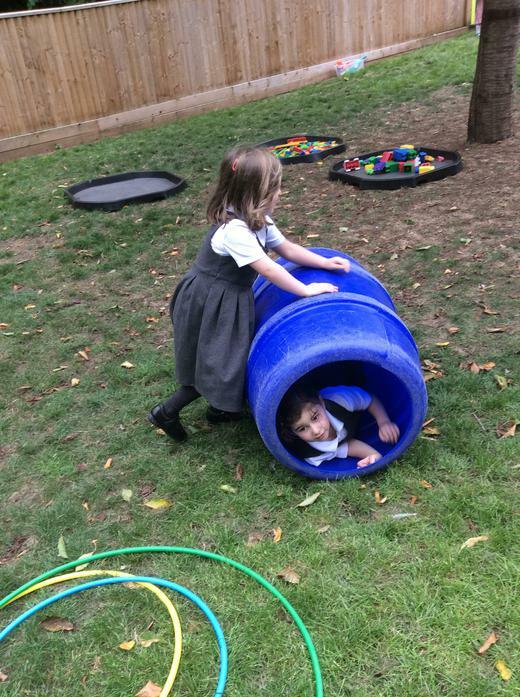 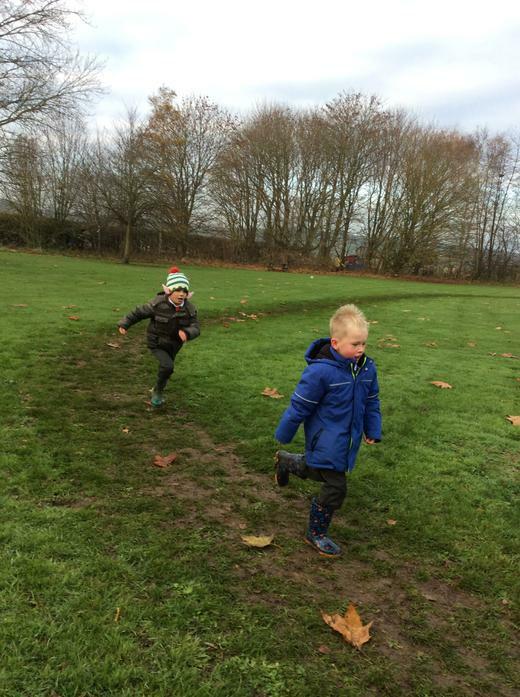 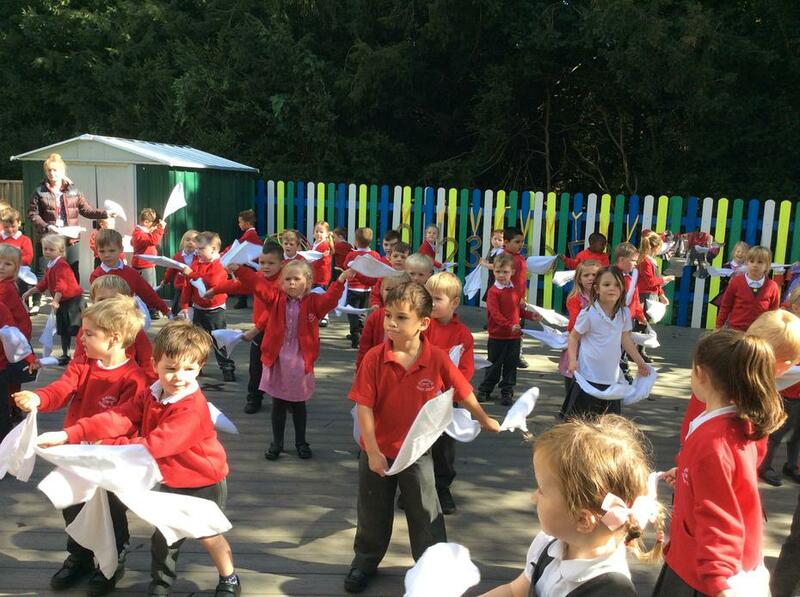 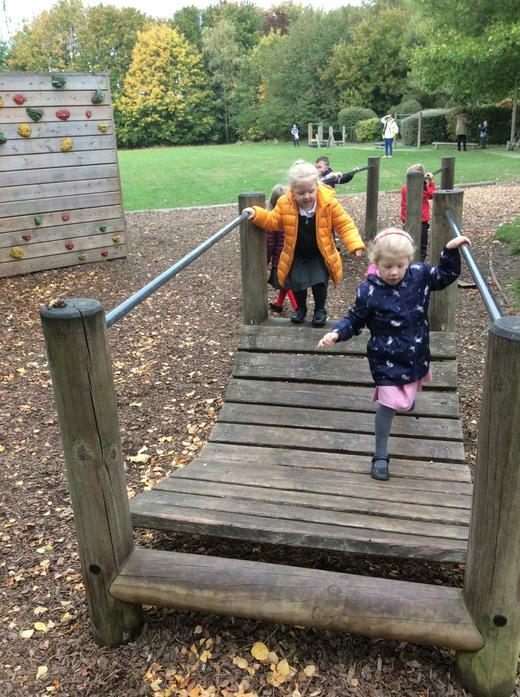 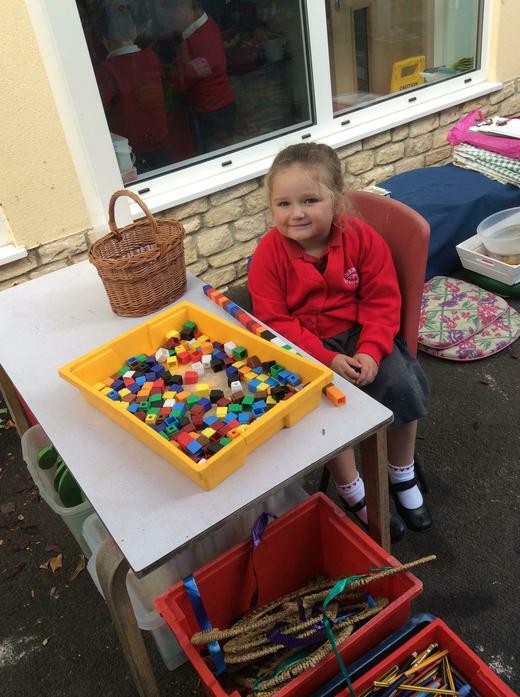 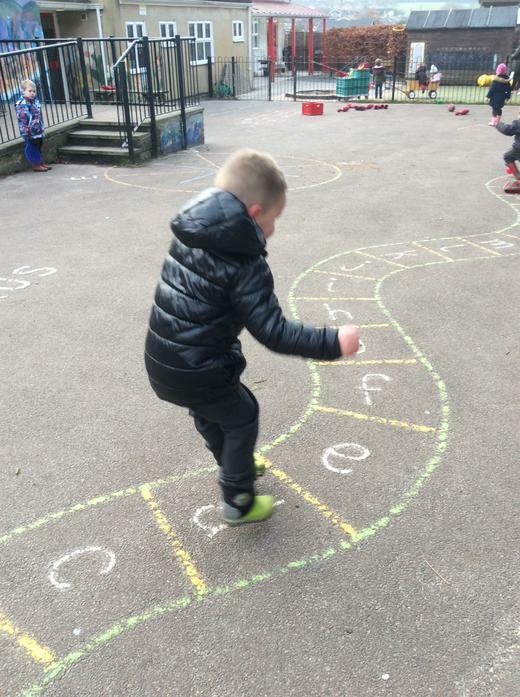 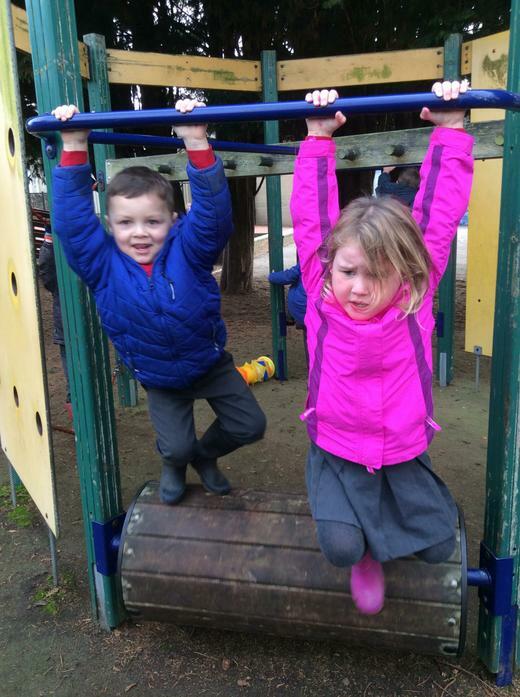 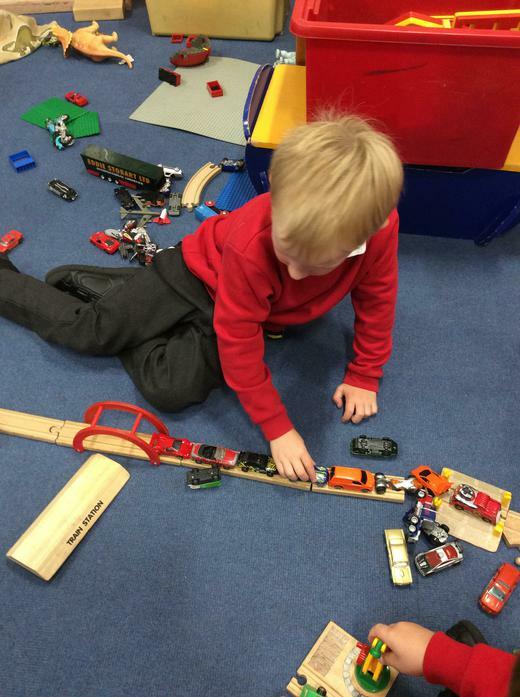 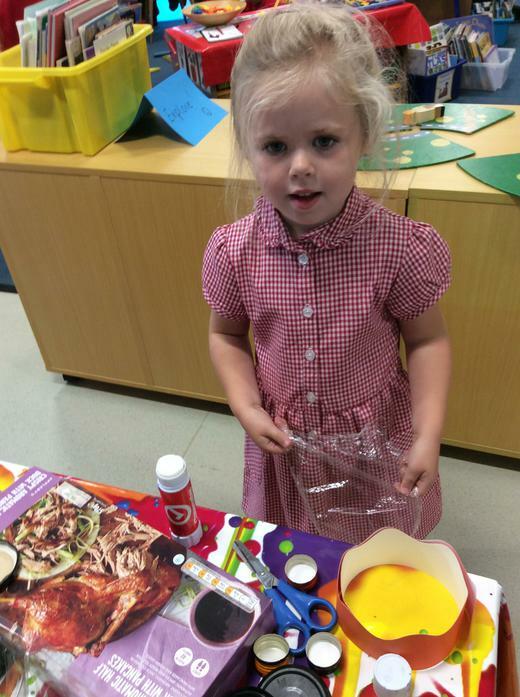 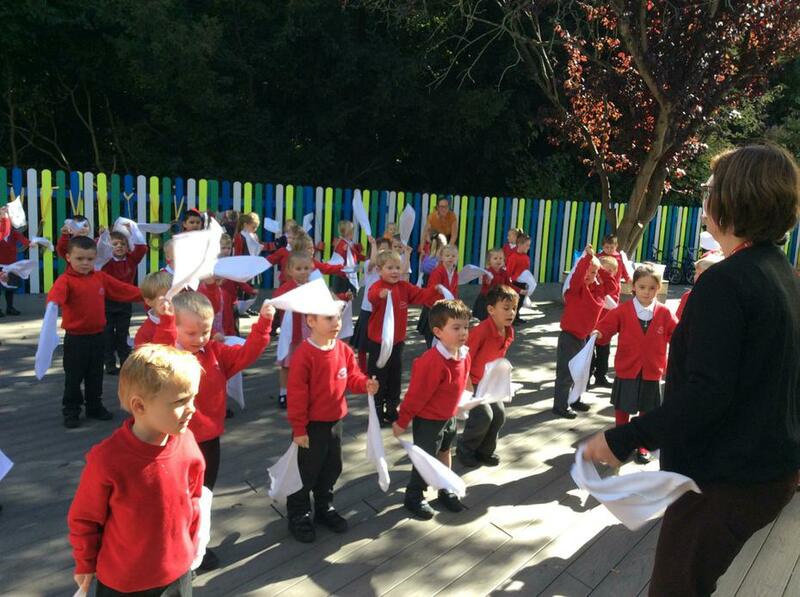 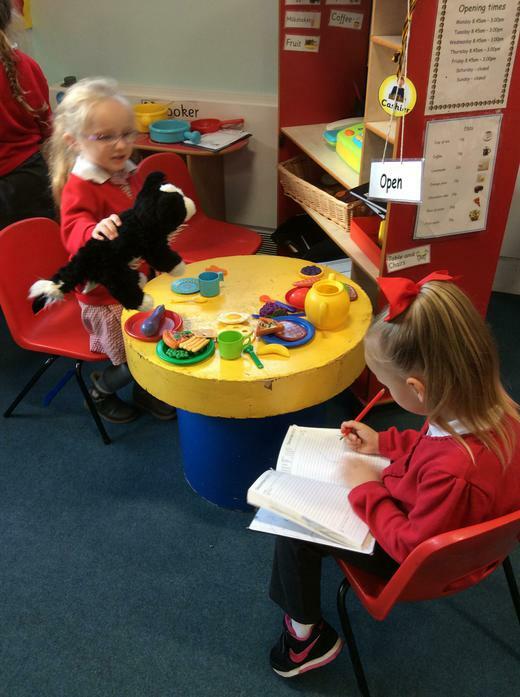 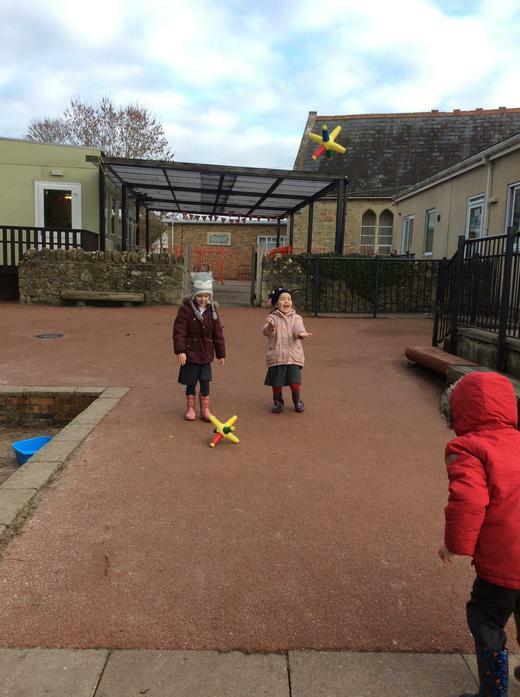 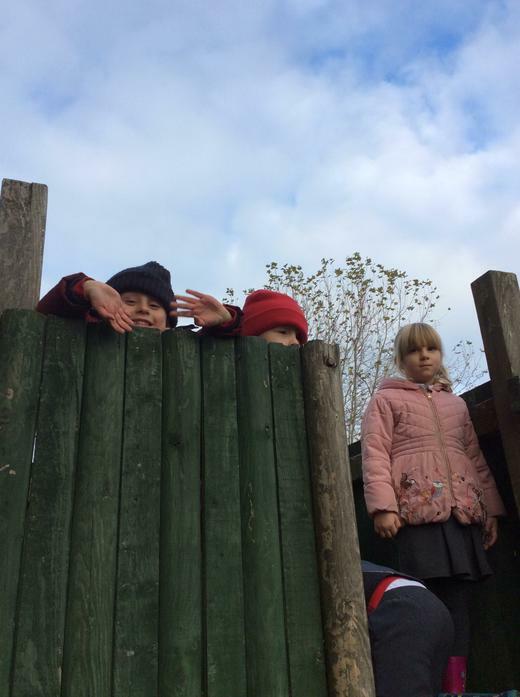 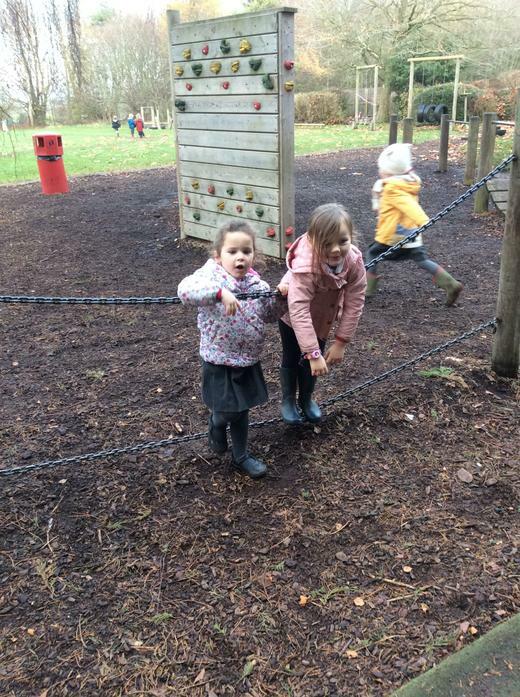 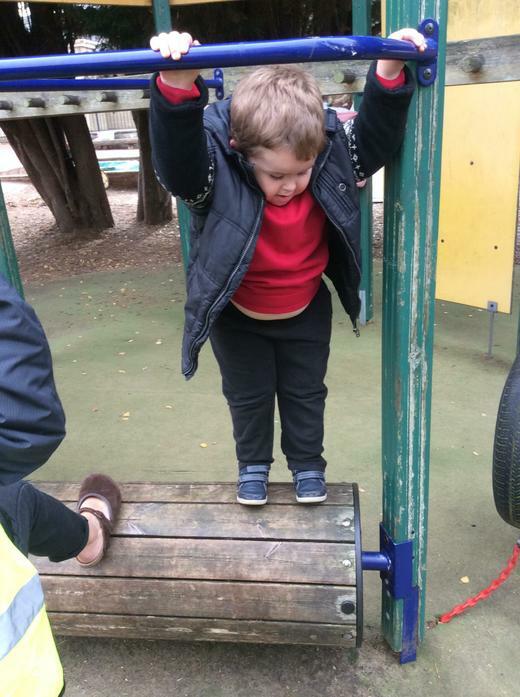 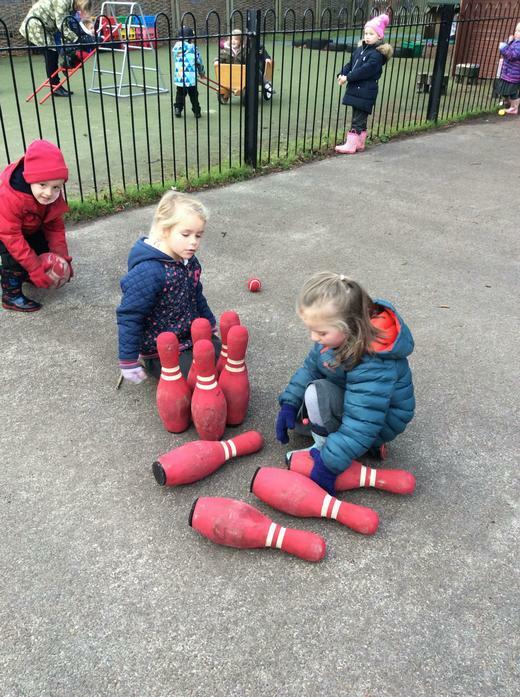 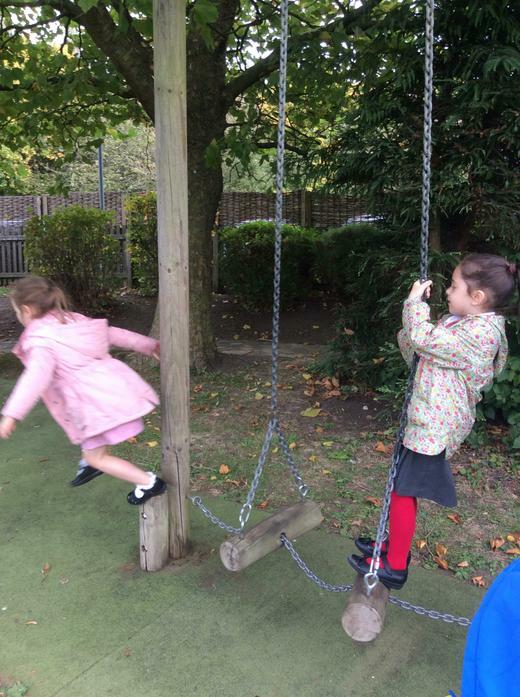 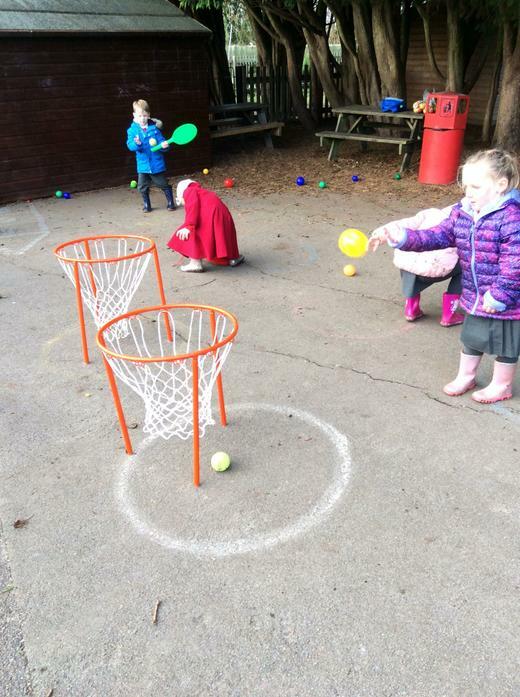 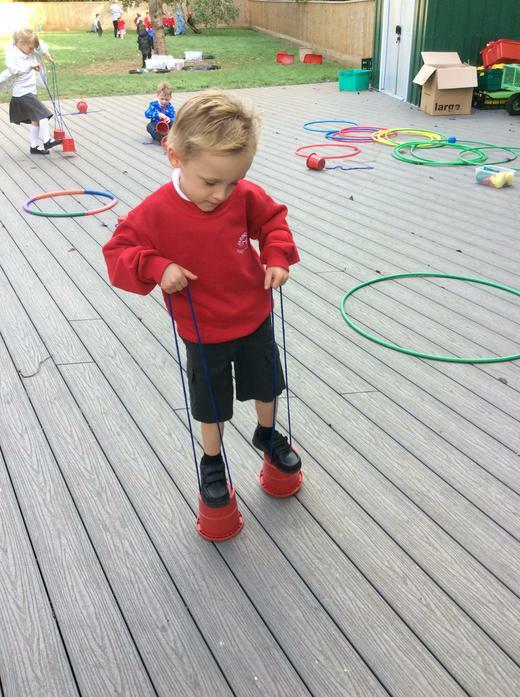 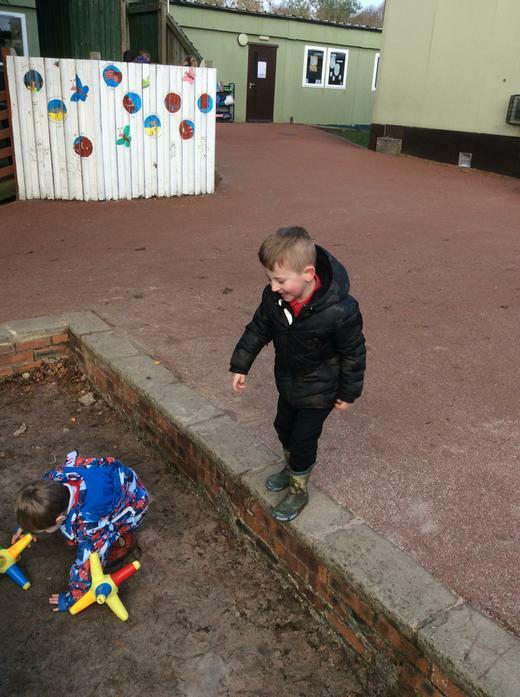 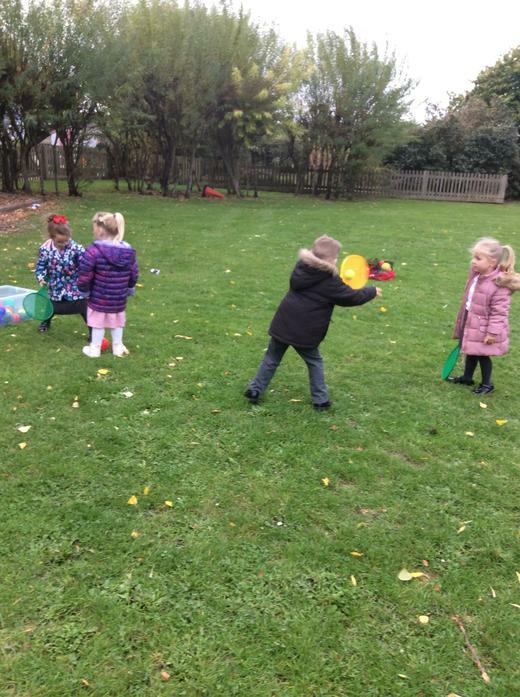 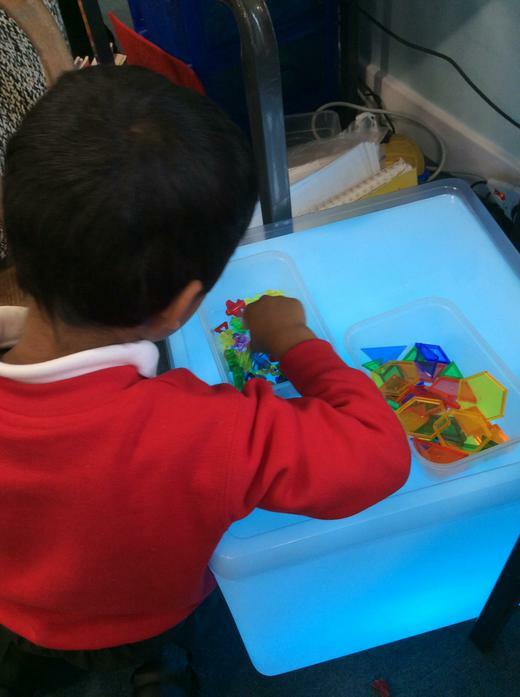 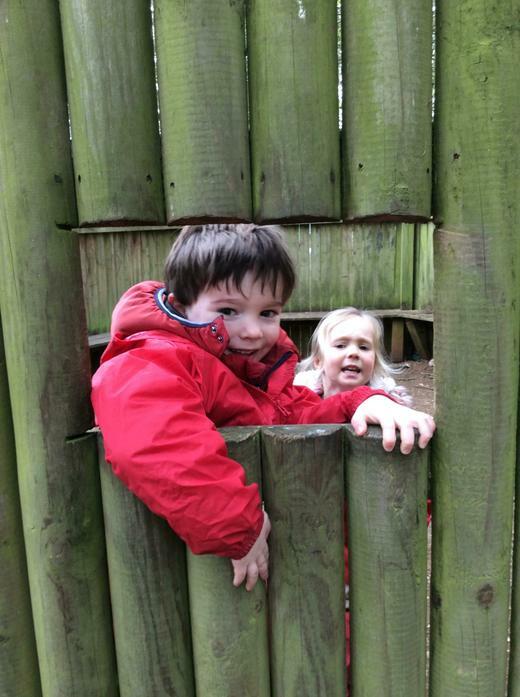 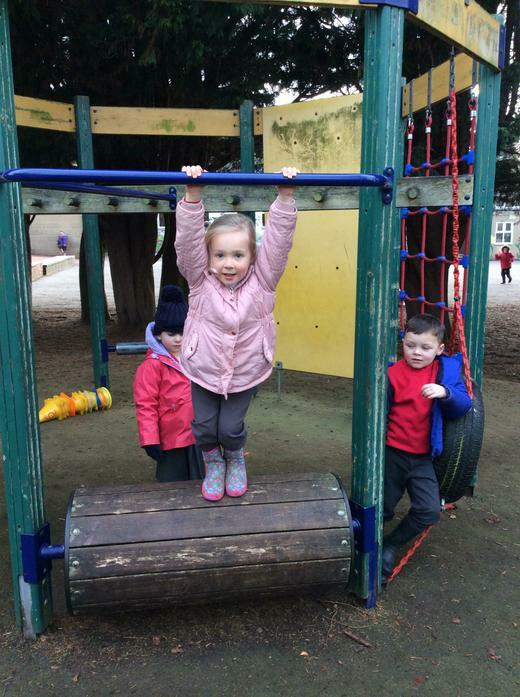 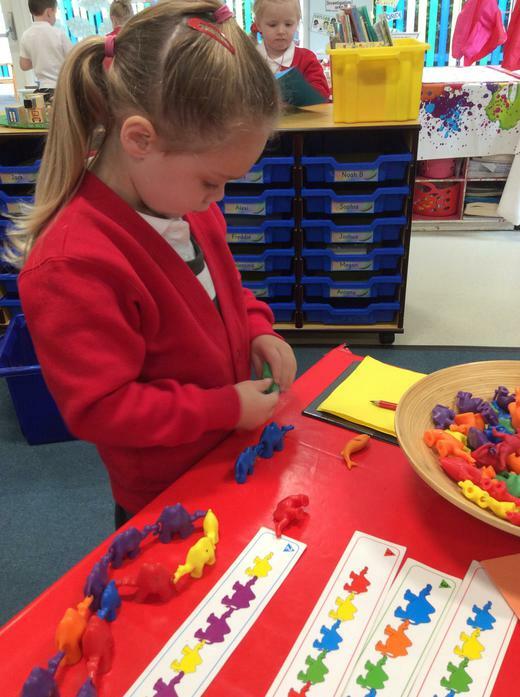 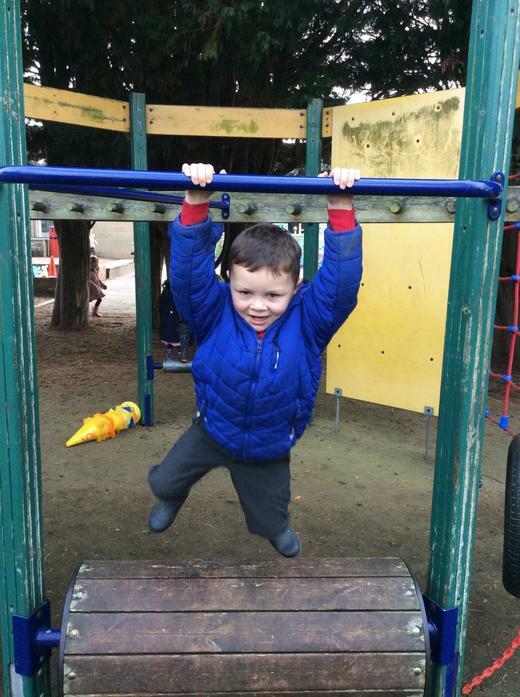 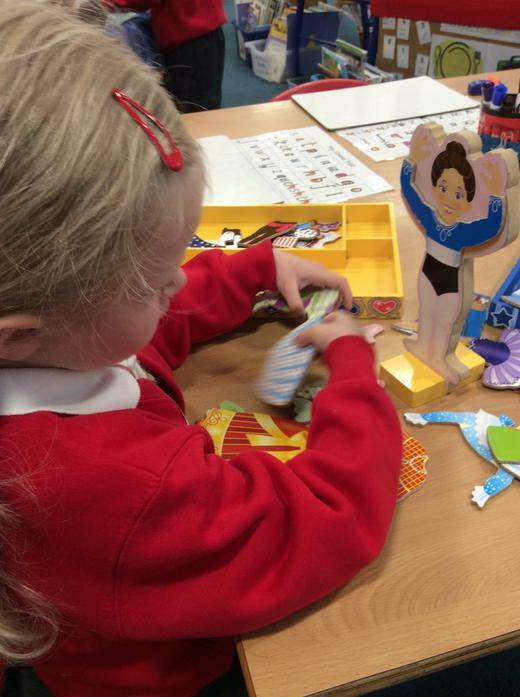 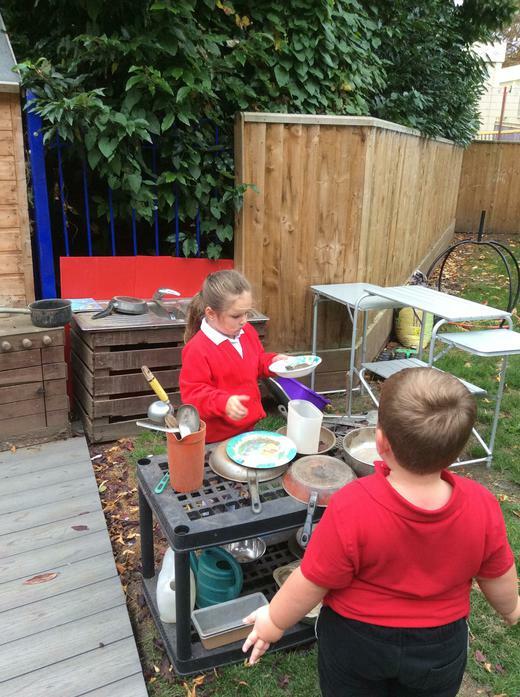 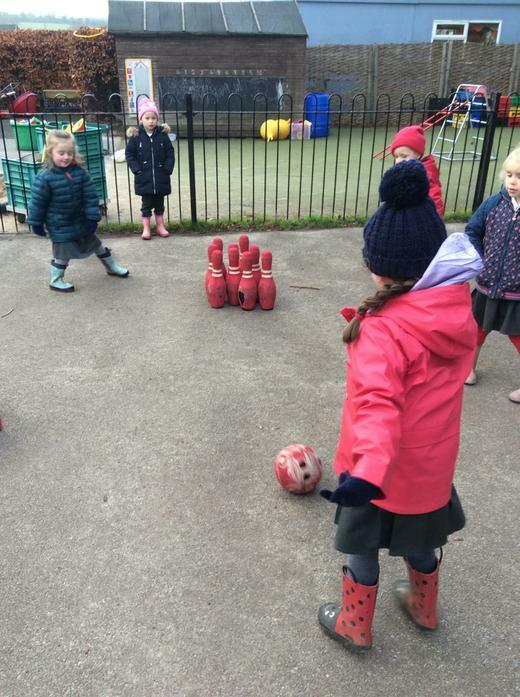 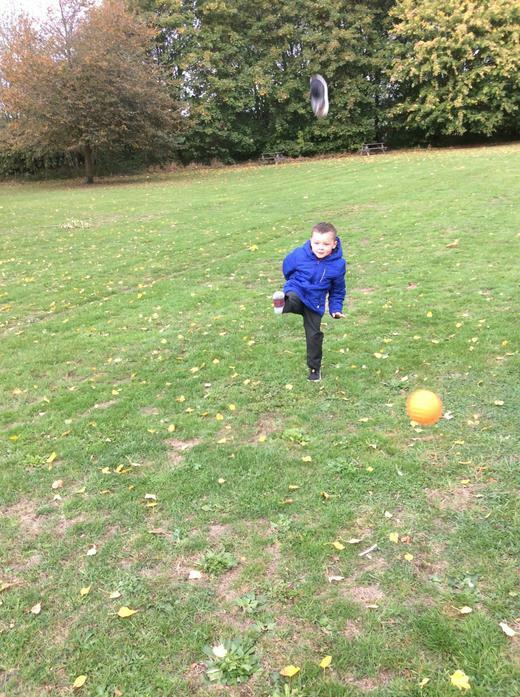 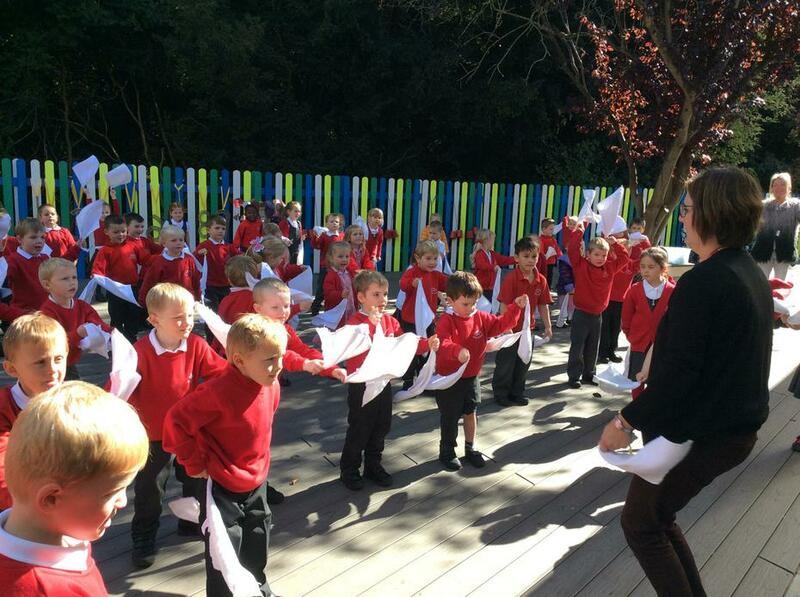 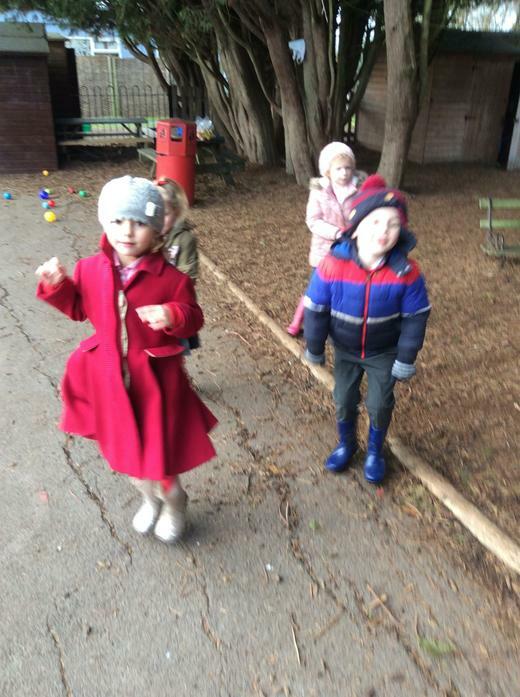 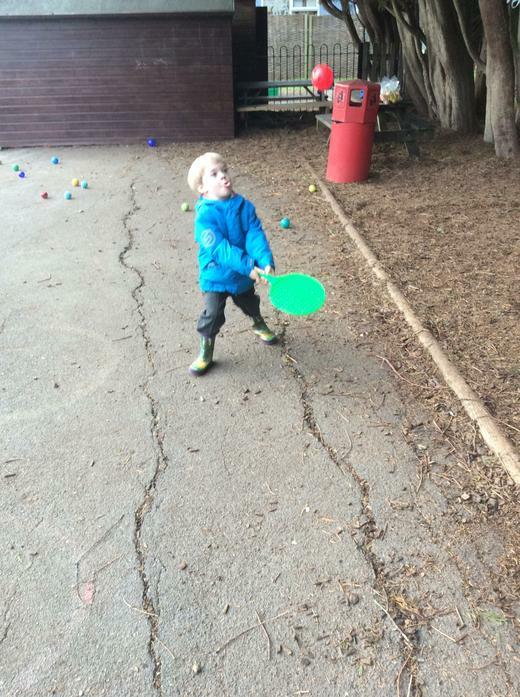 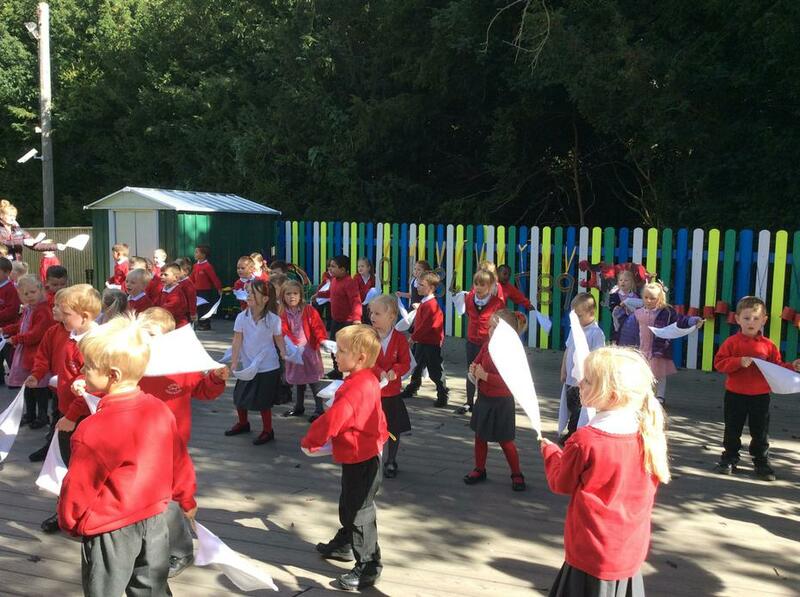 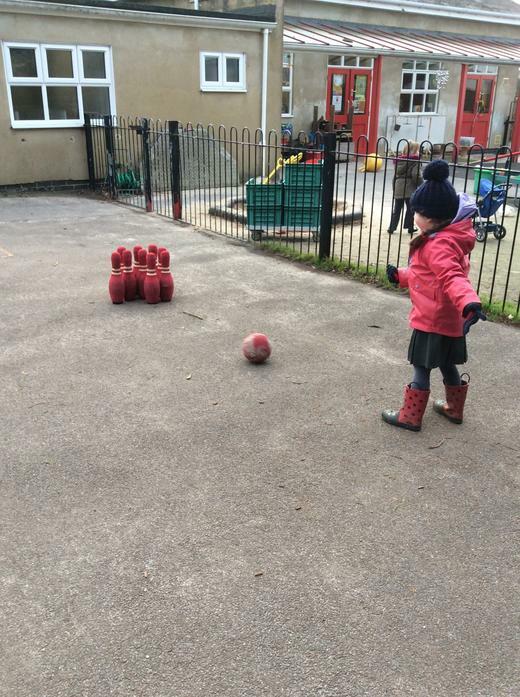 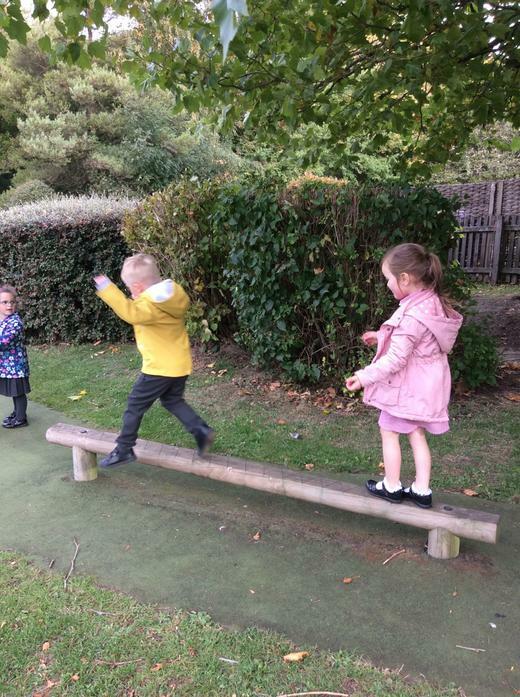 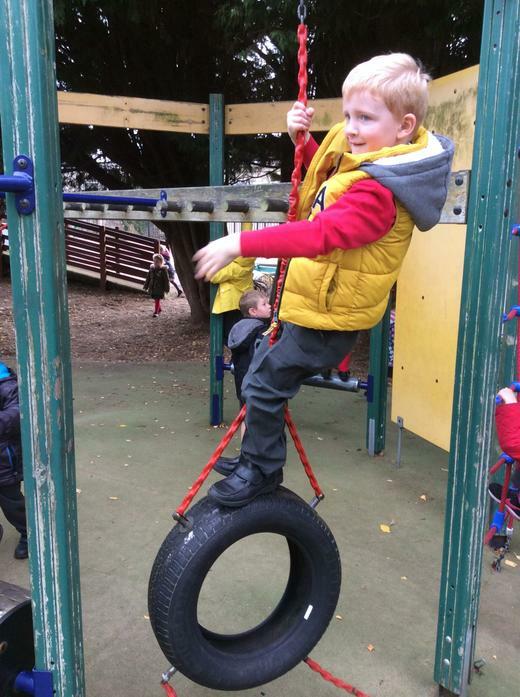 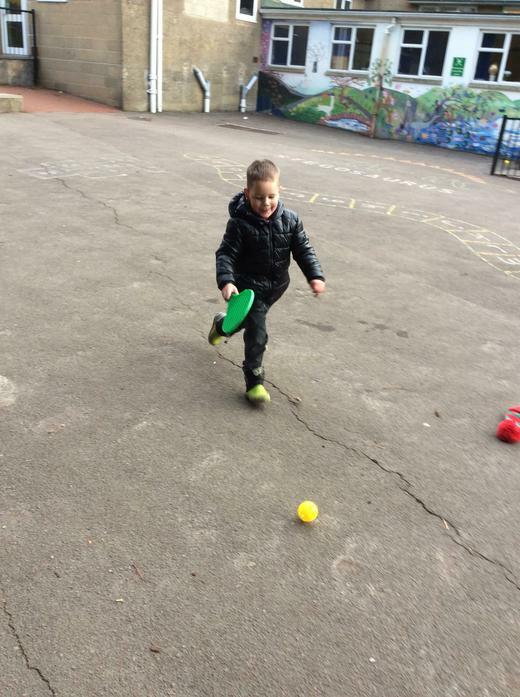 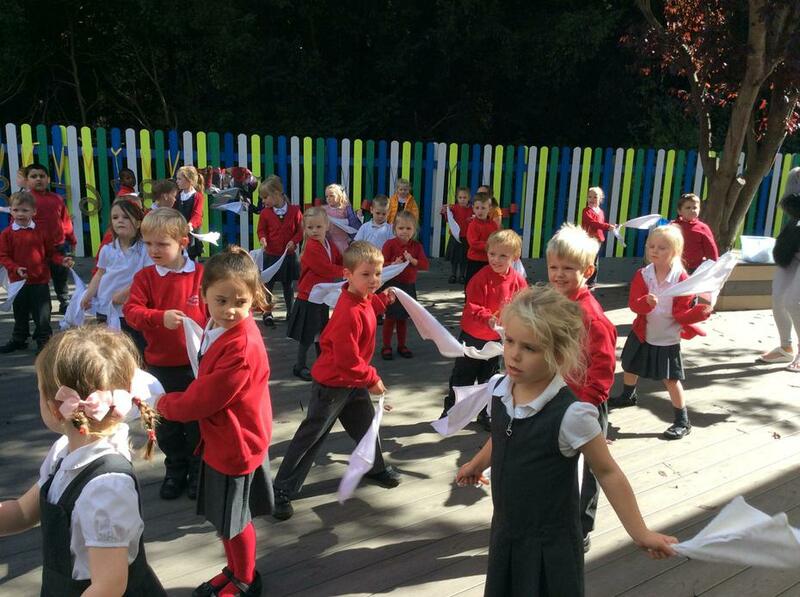 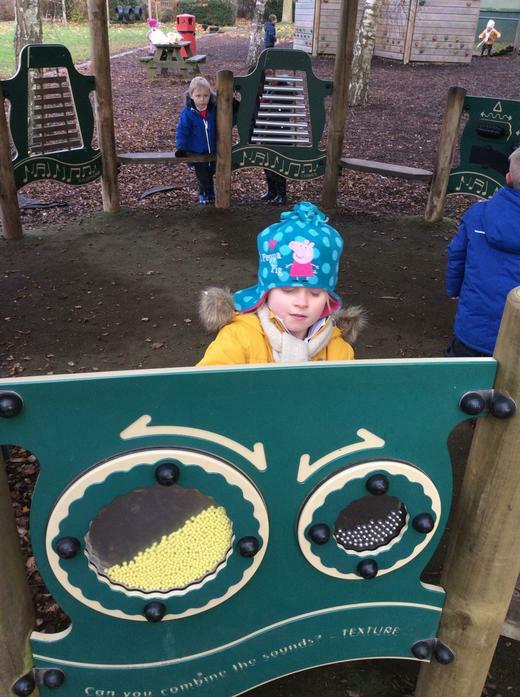 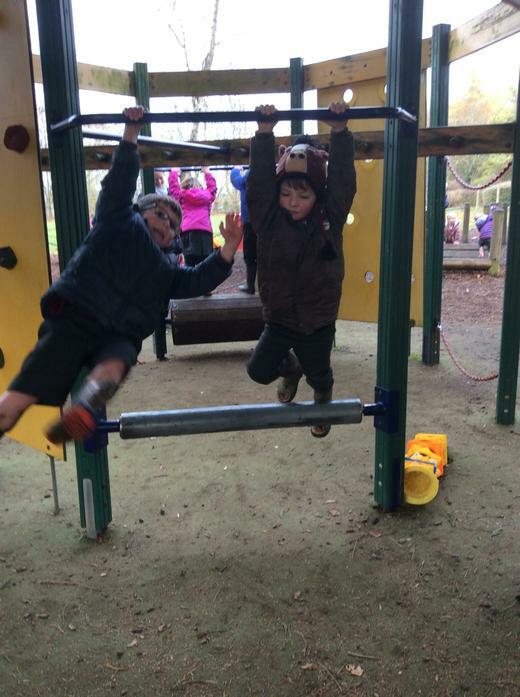 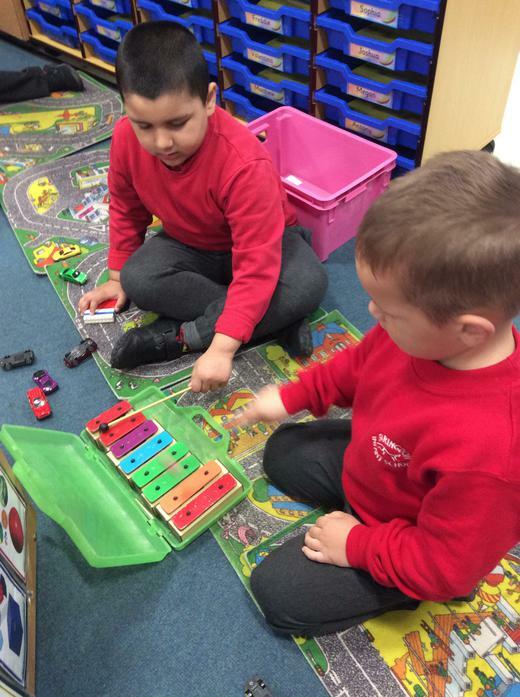 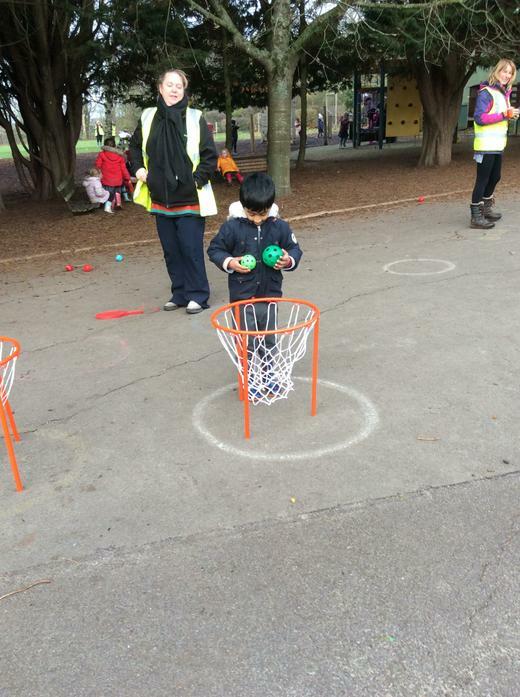 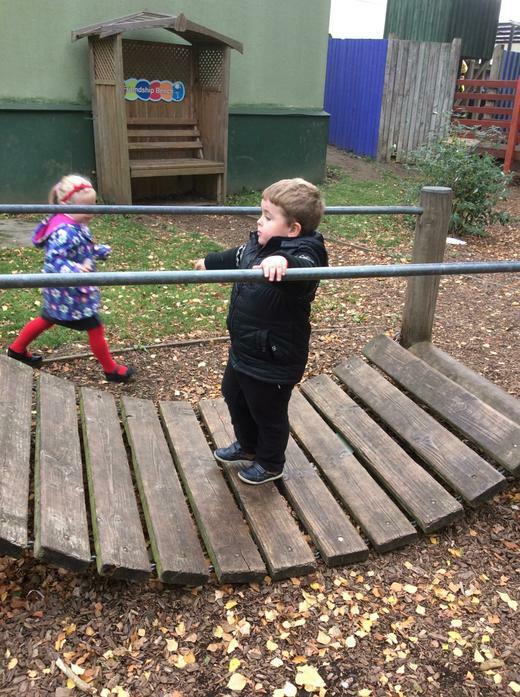 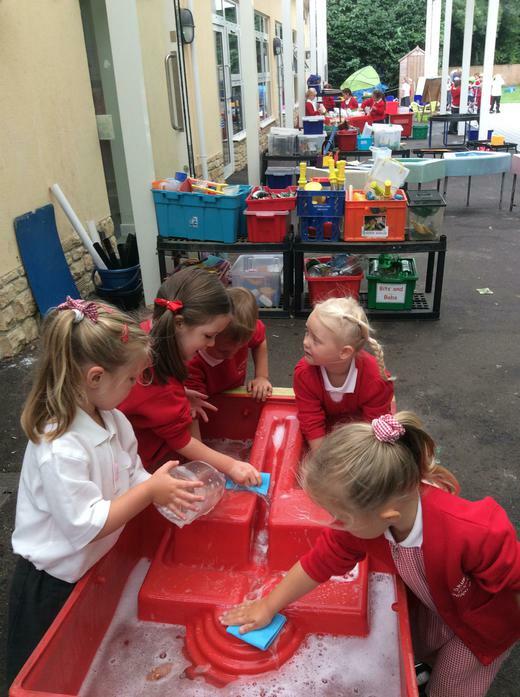 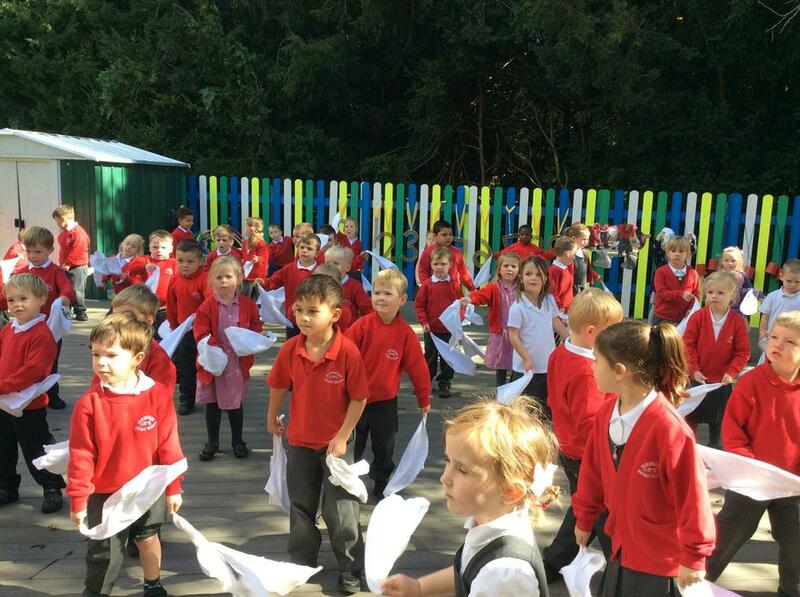 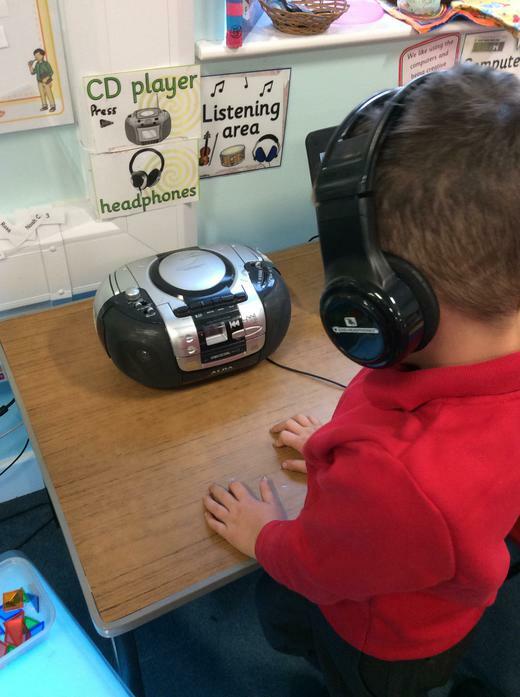 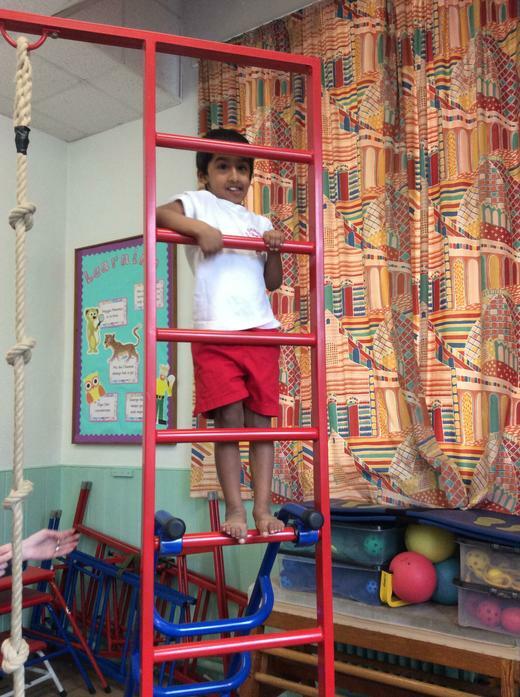 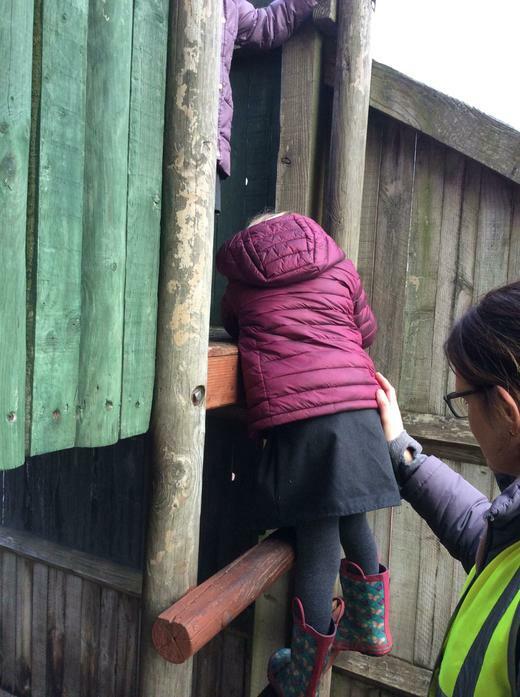 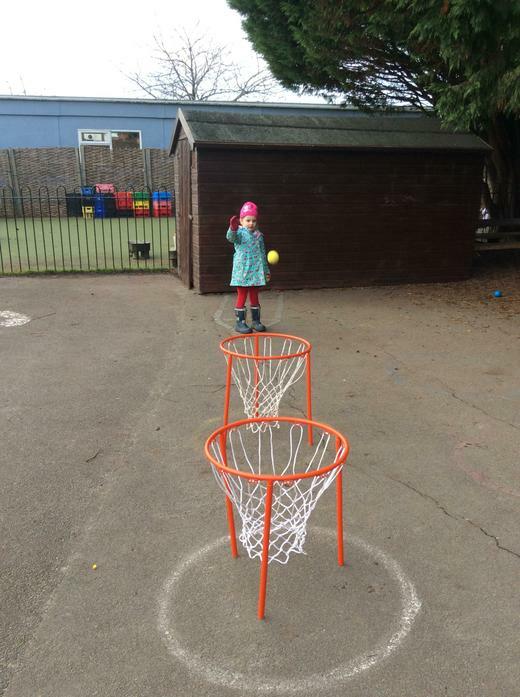 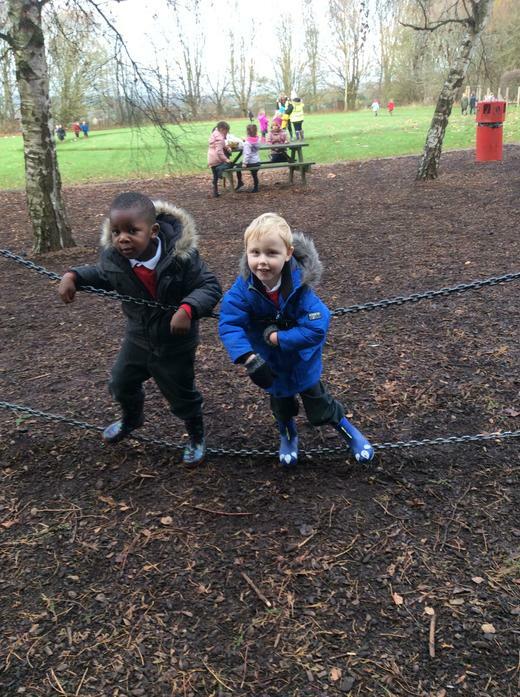 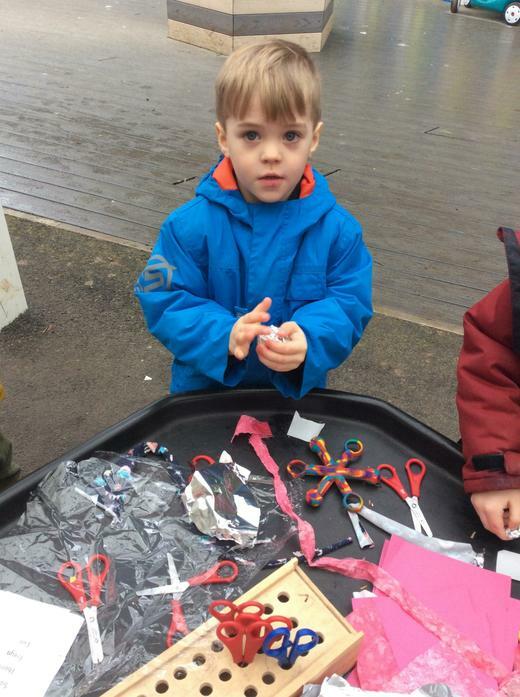 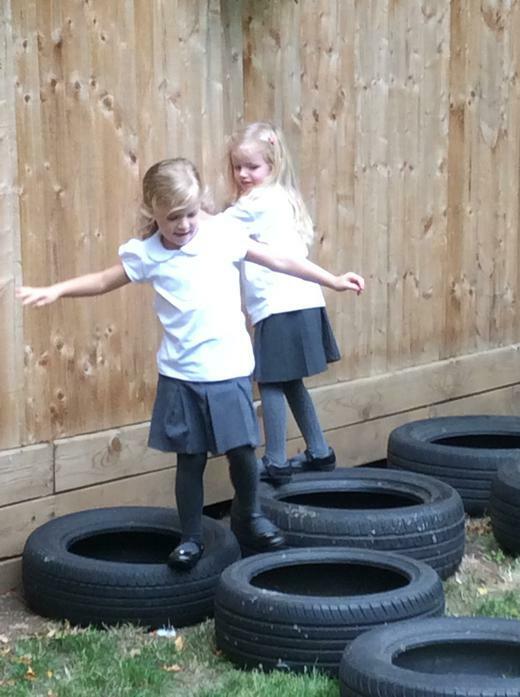 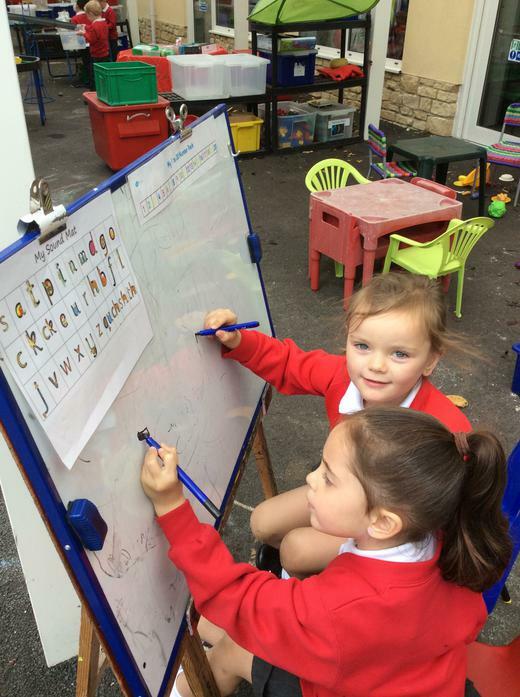 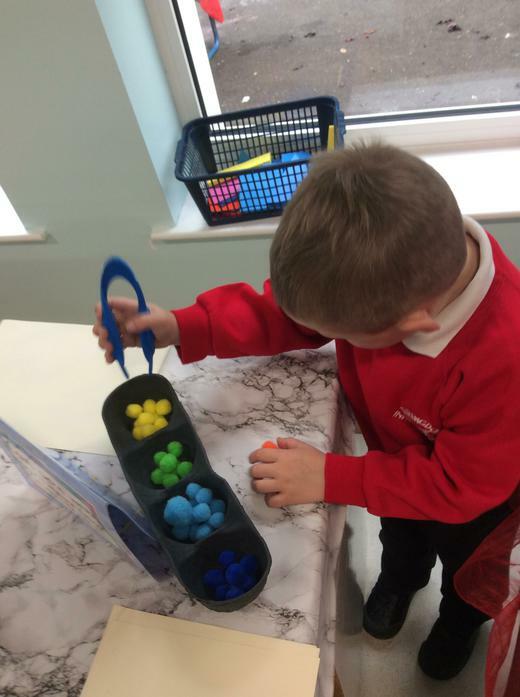 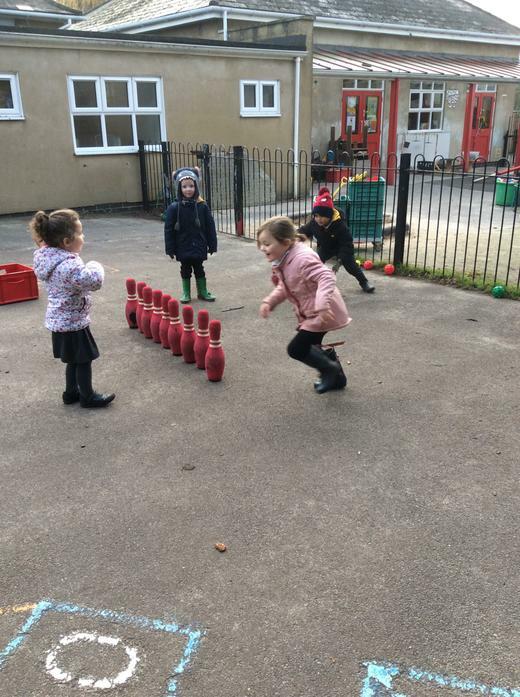 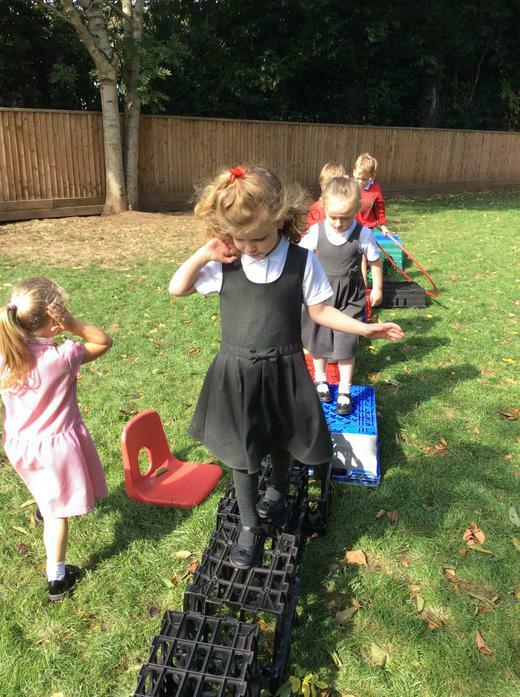 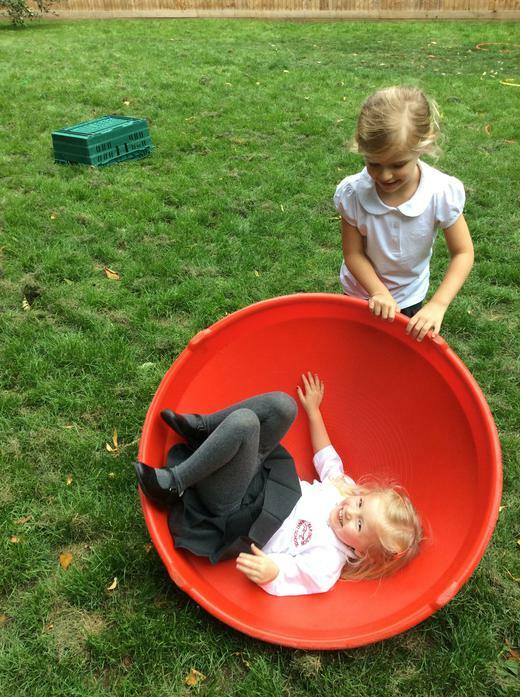 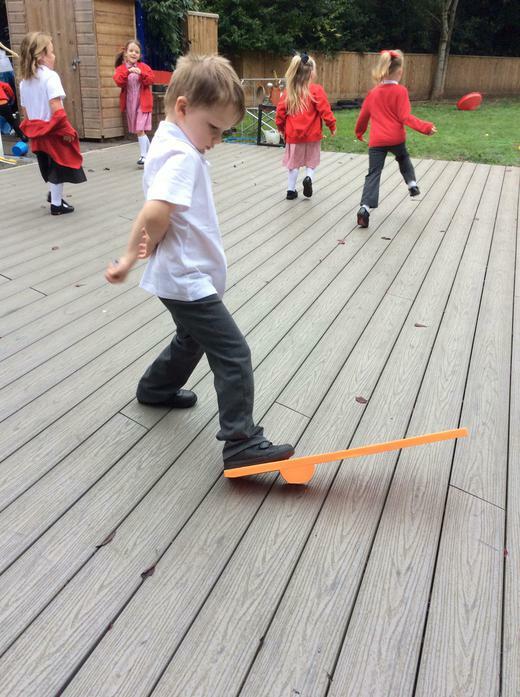 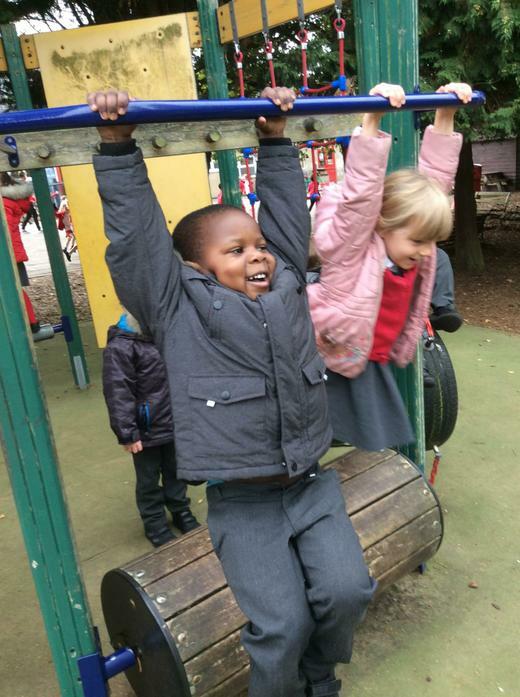 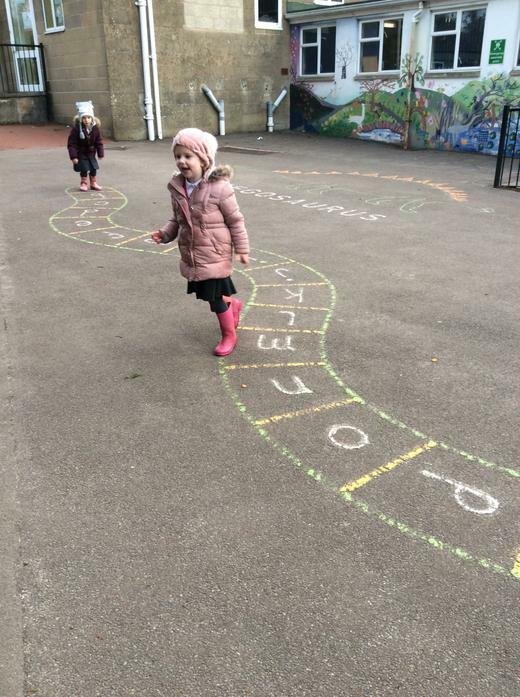 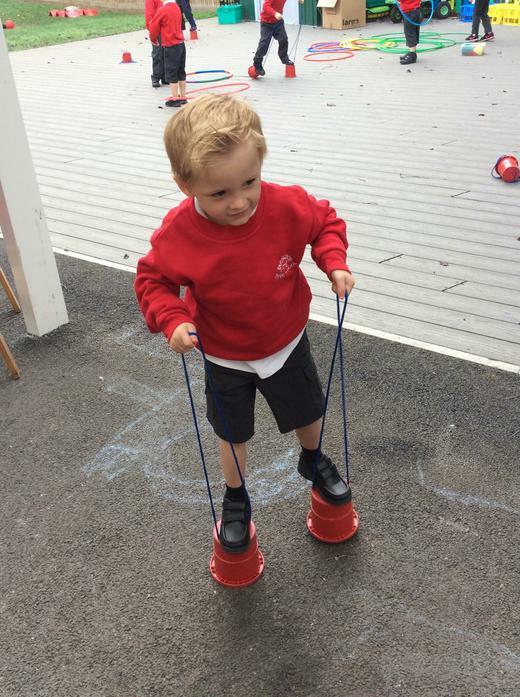 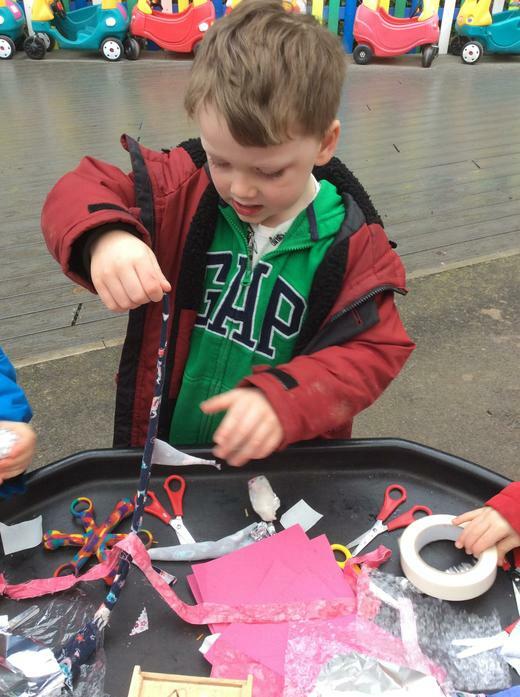 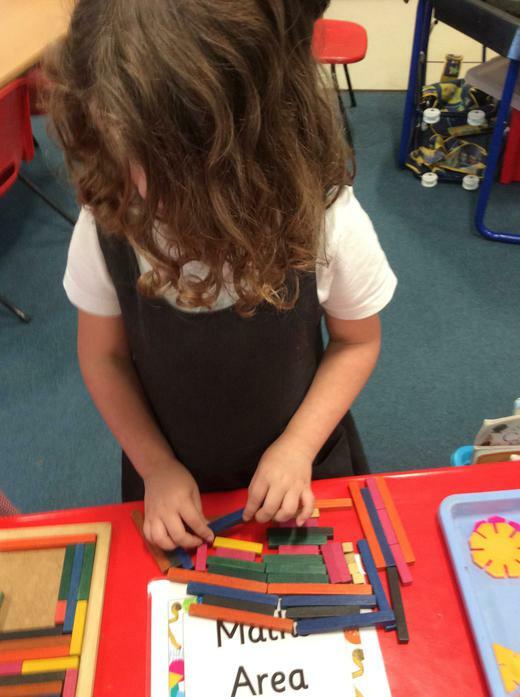 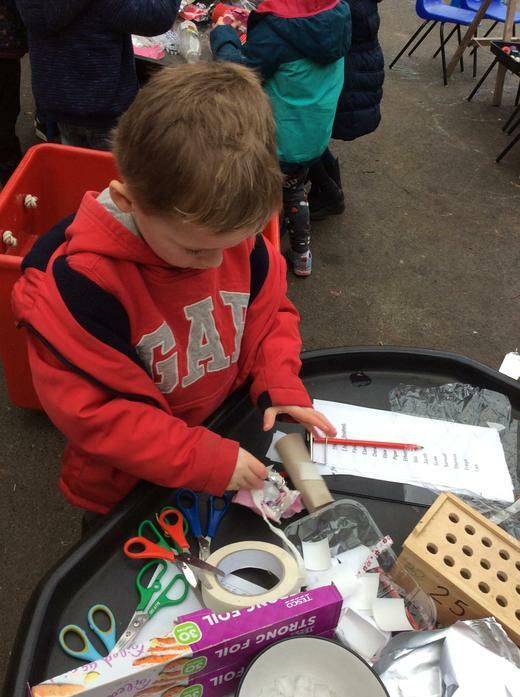 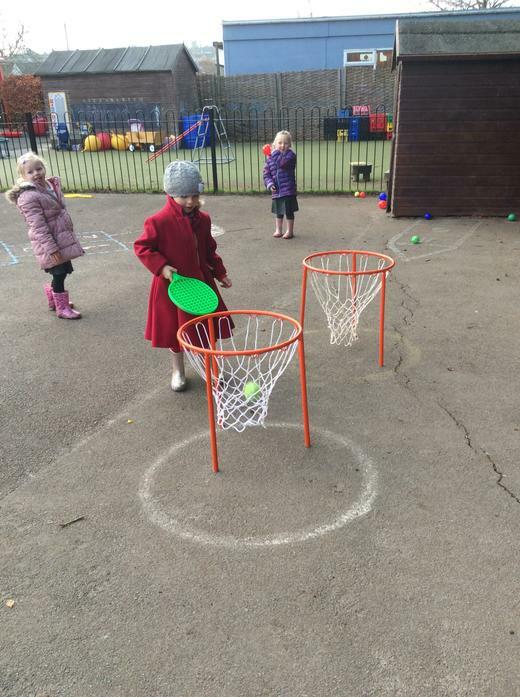 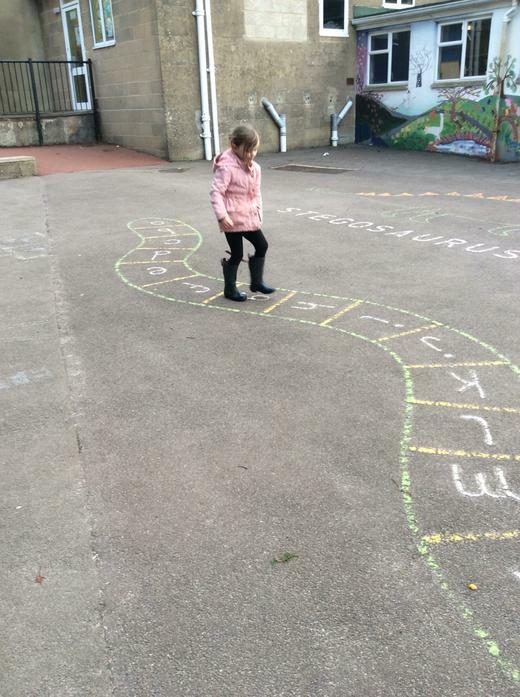 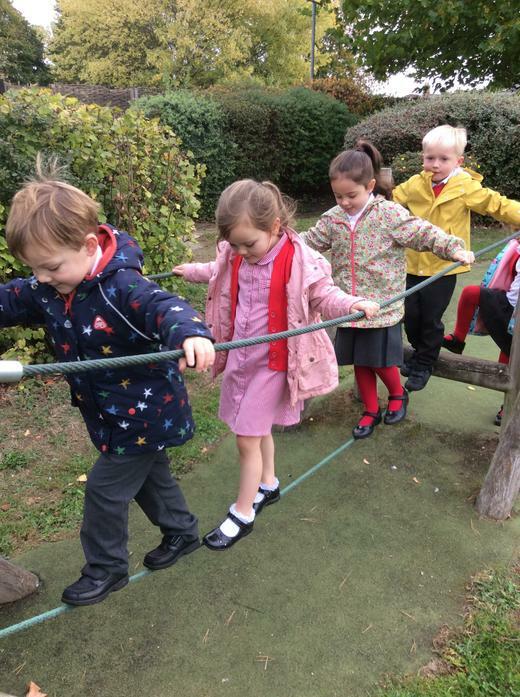 We love our Monday morning play sessions at the FIS site! 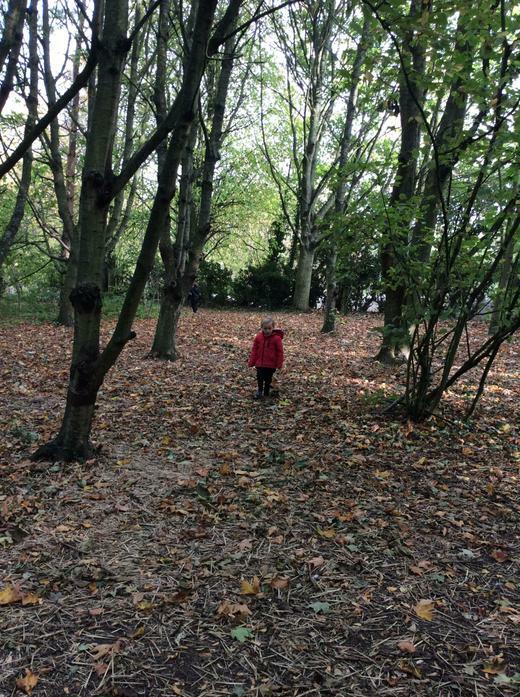 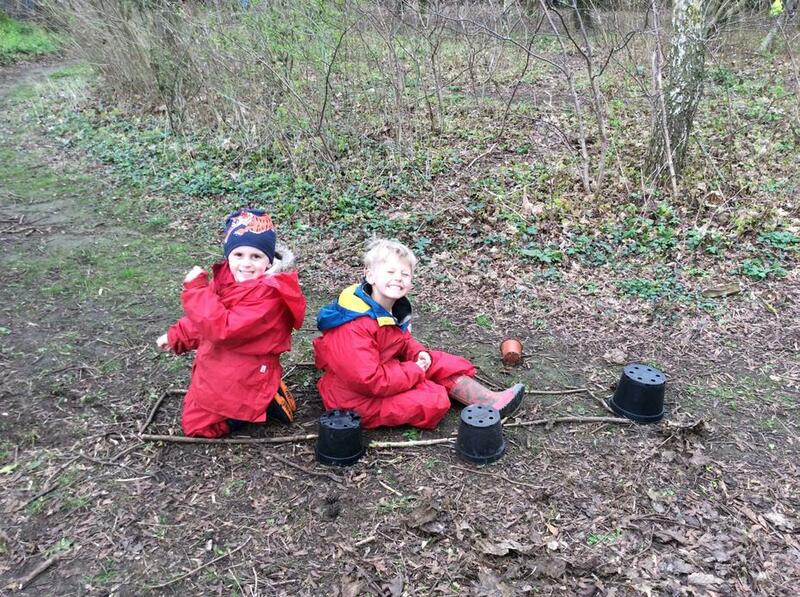 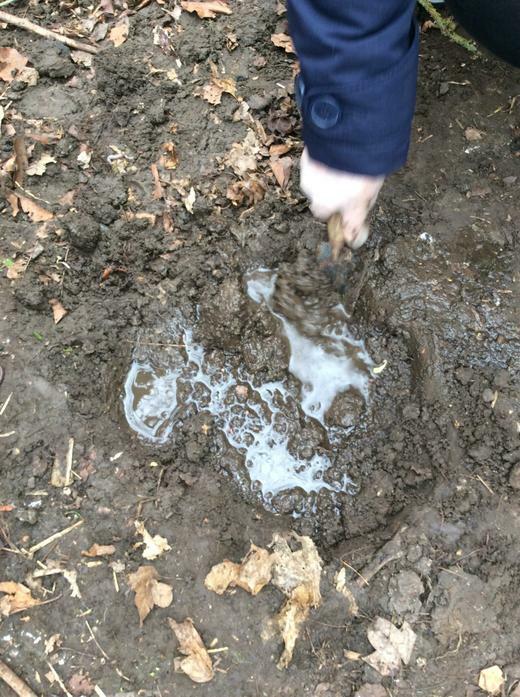 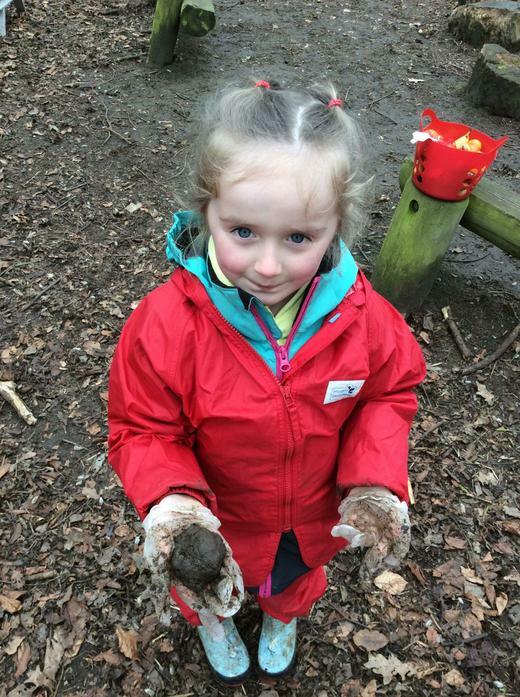 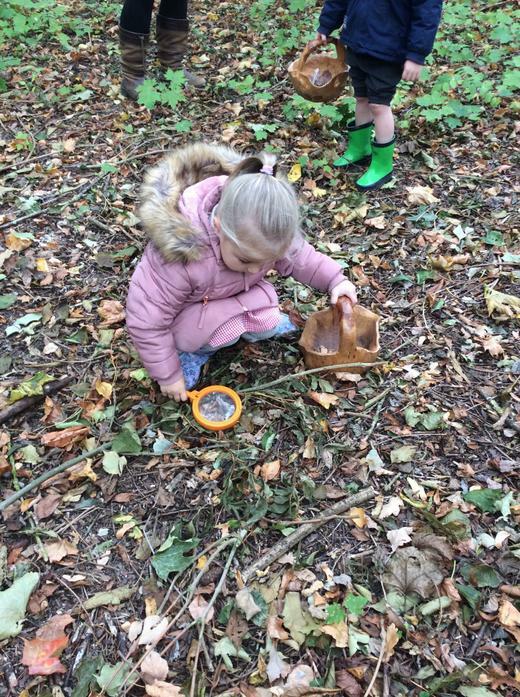 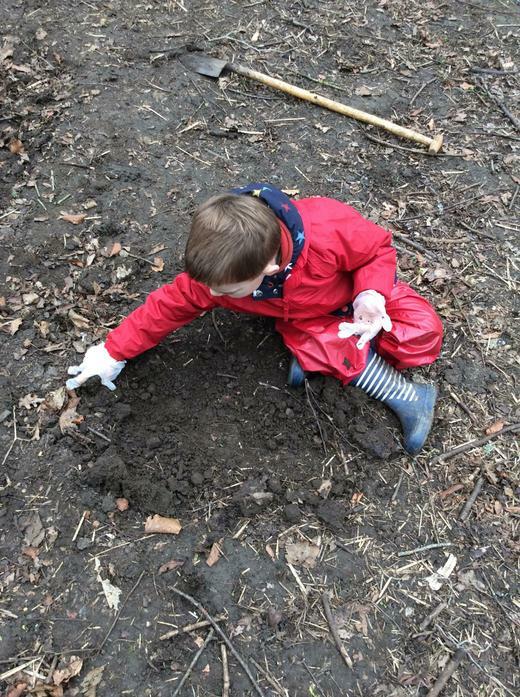 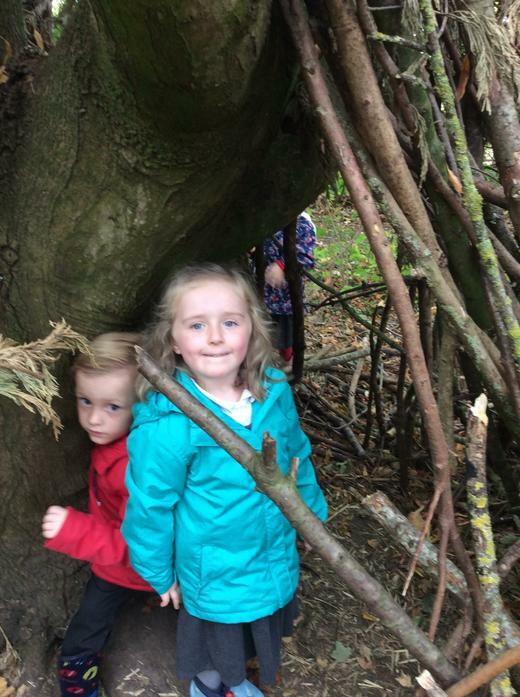 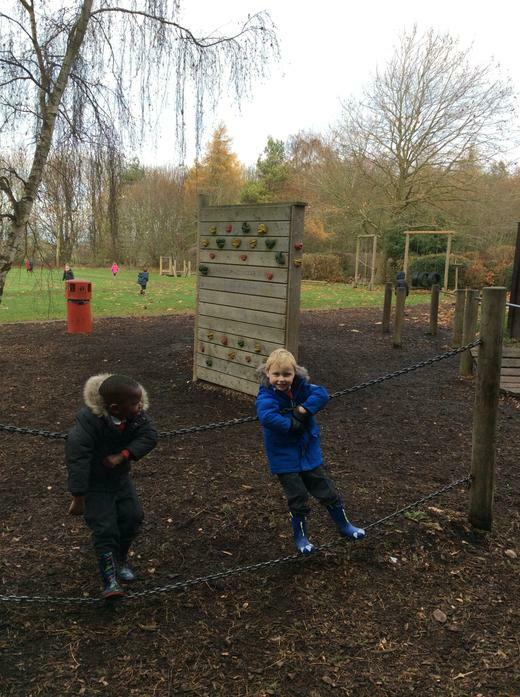 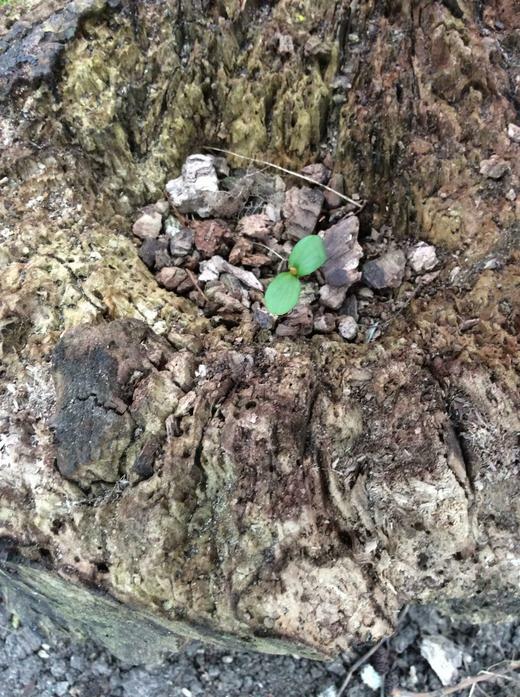 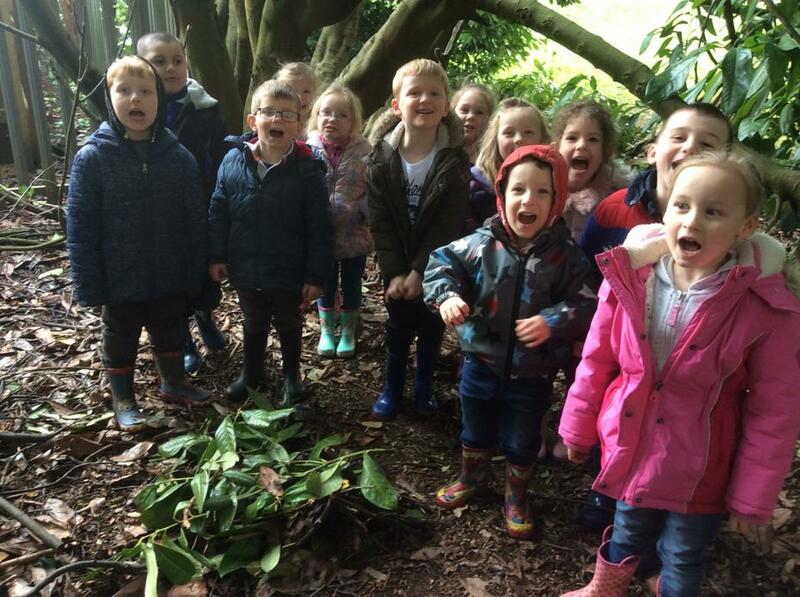 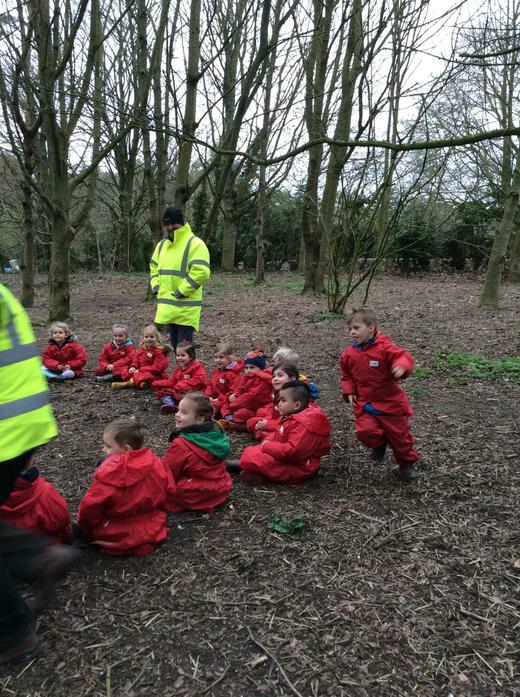 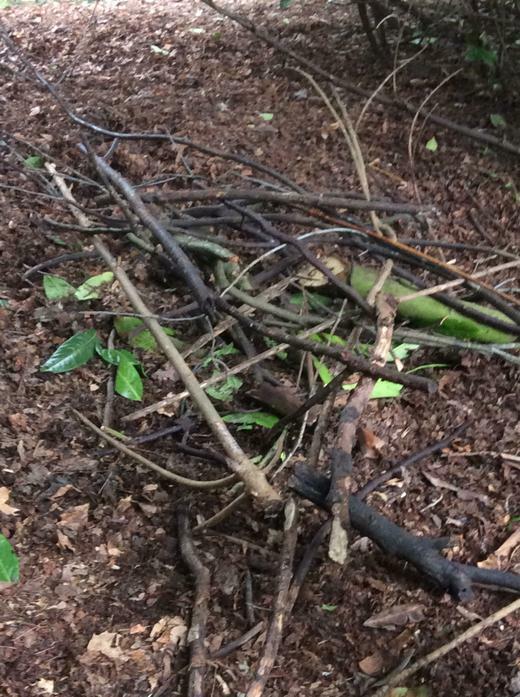 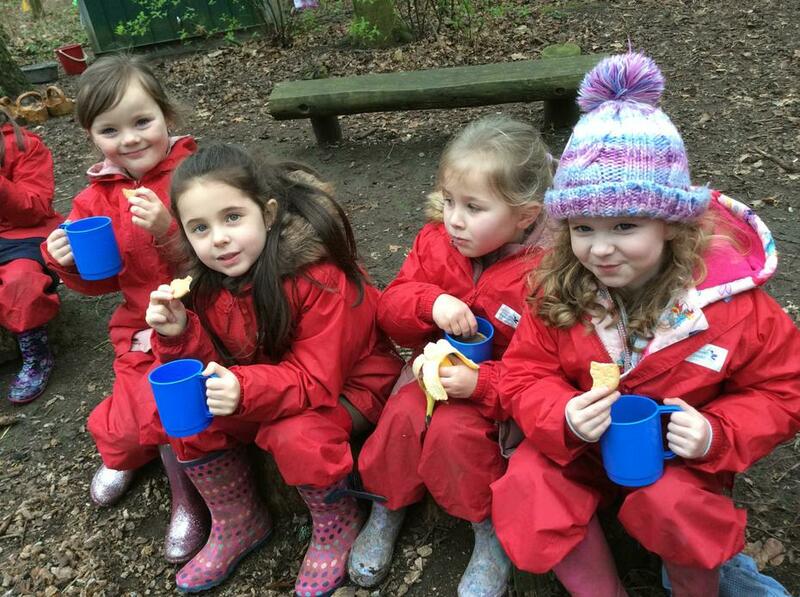 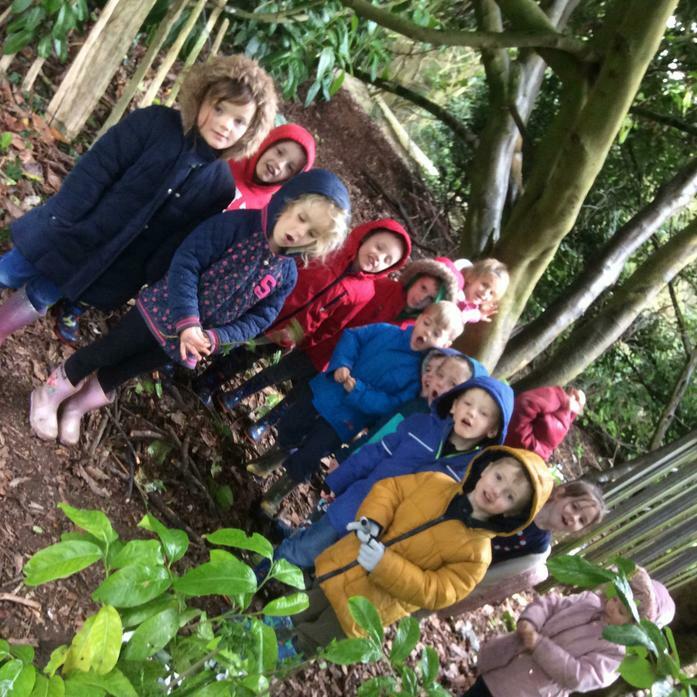 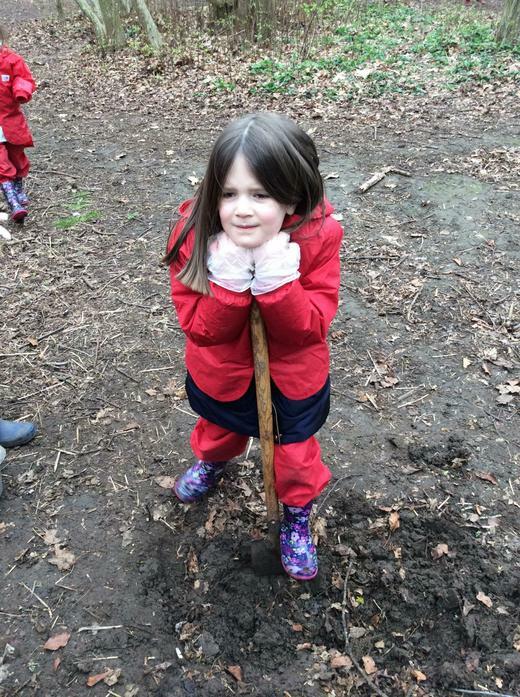 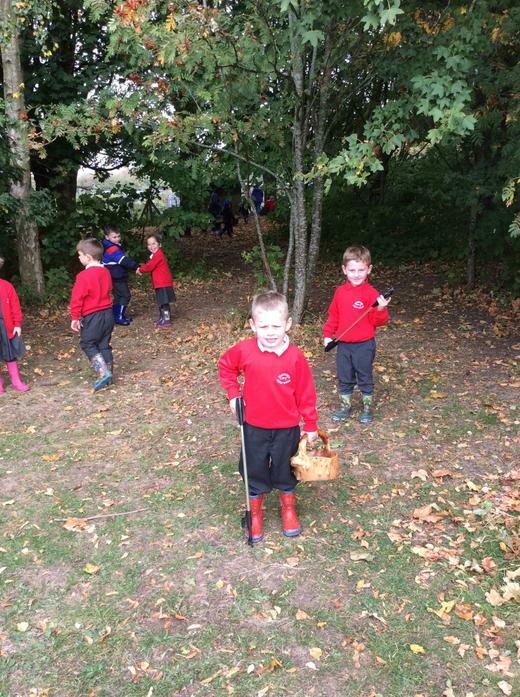 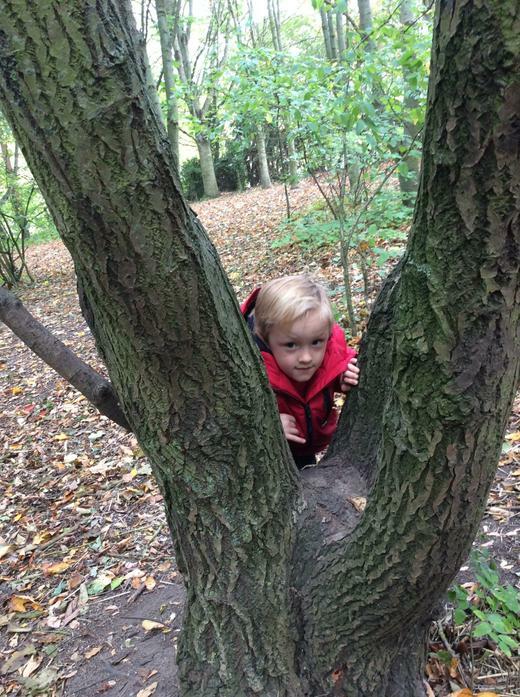 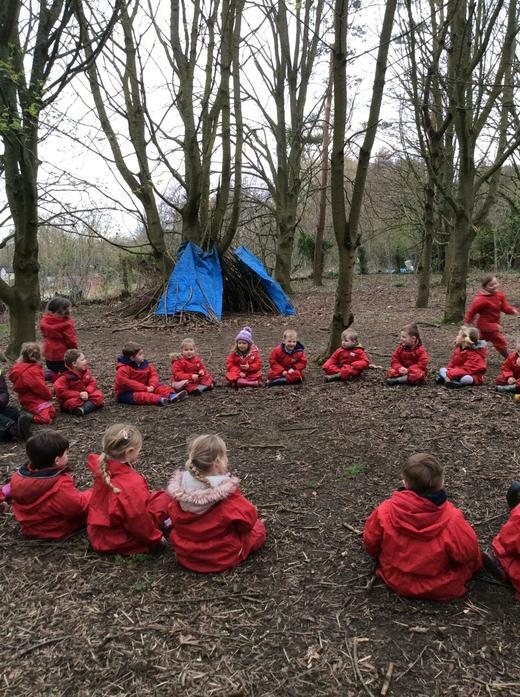 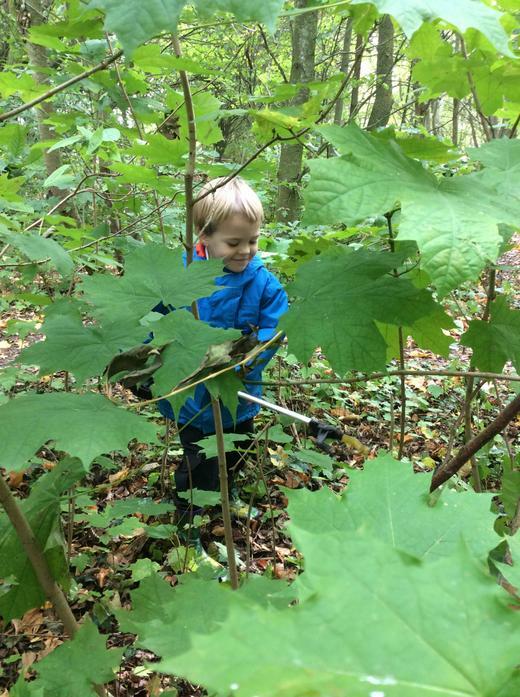 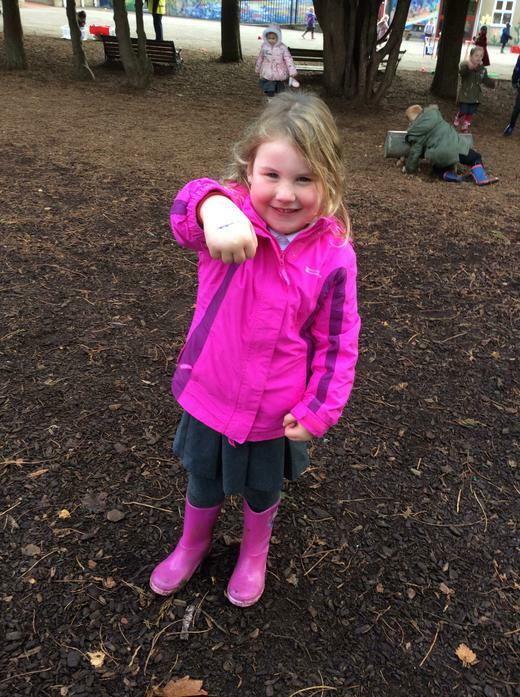 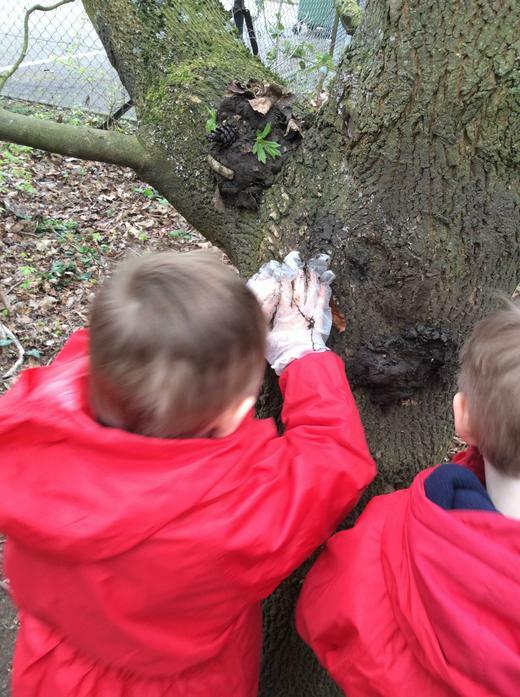 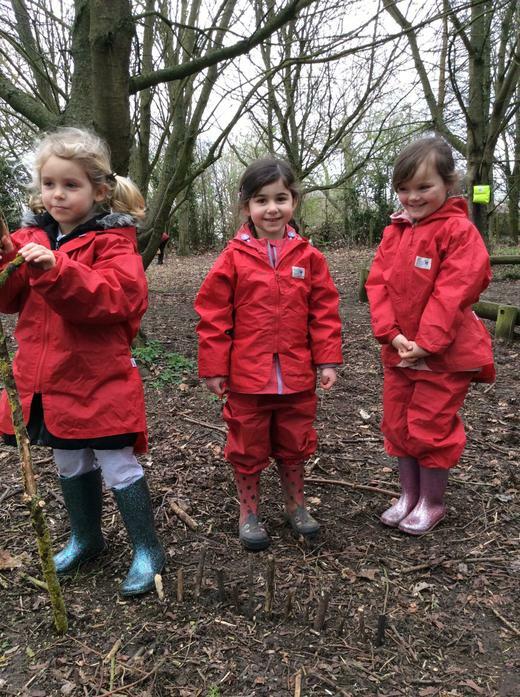 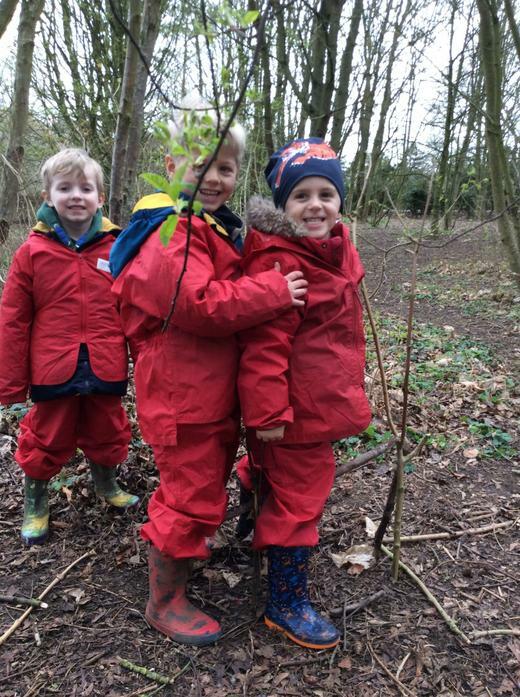 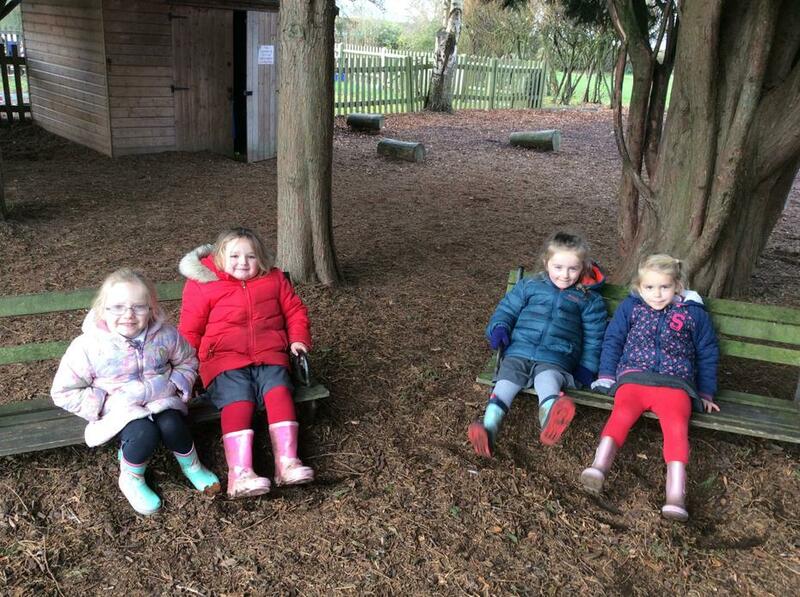 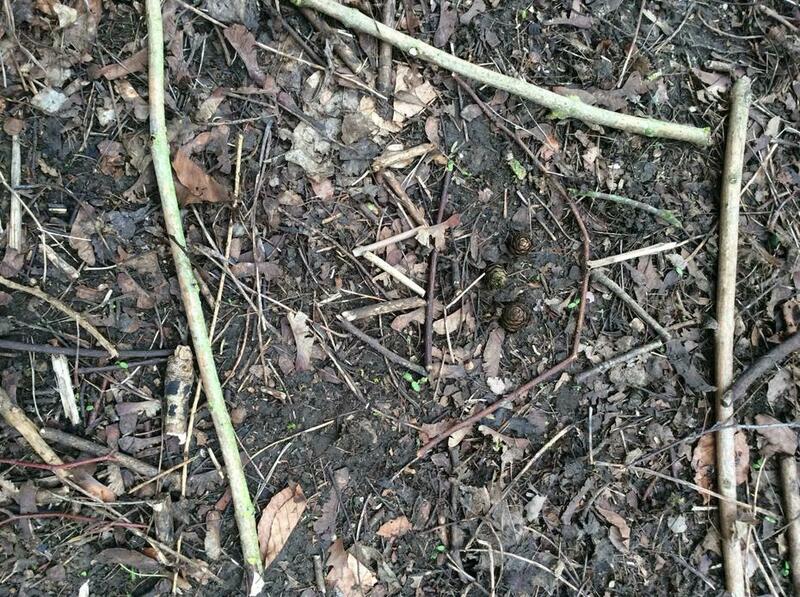 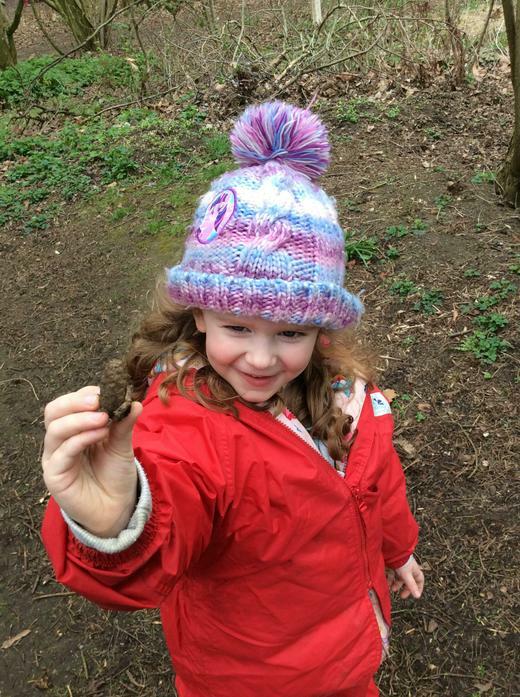 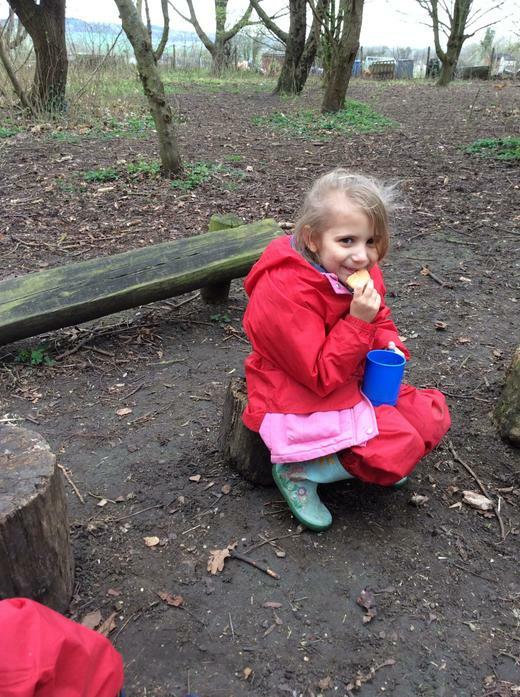 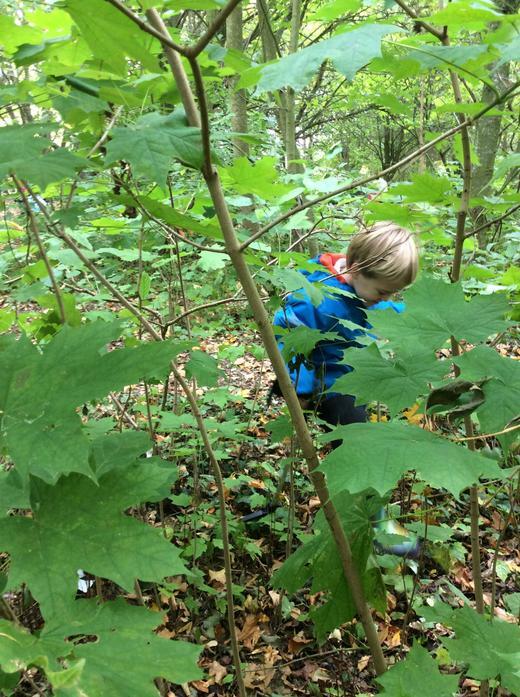 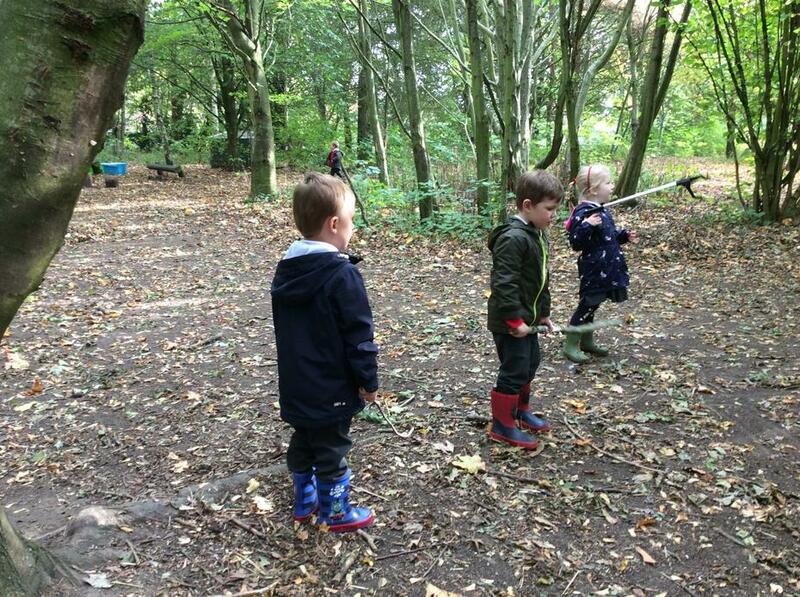 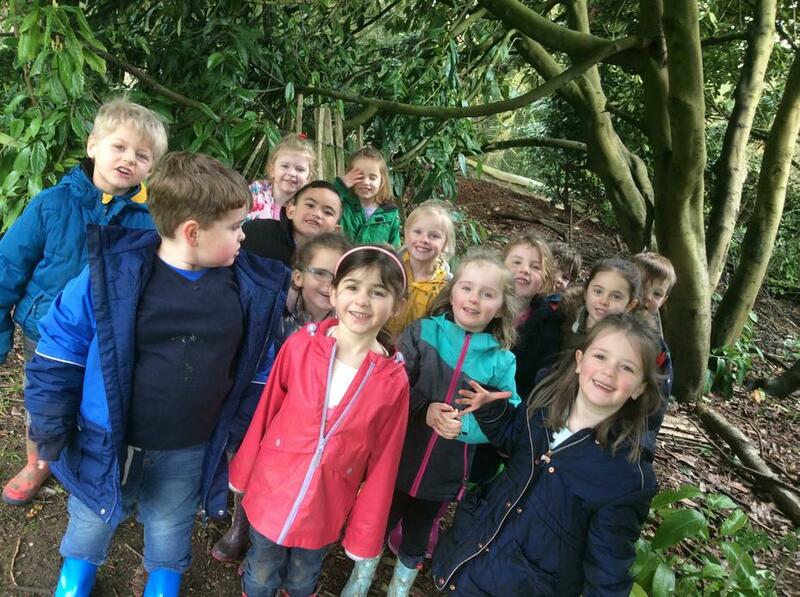 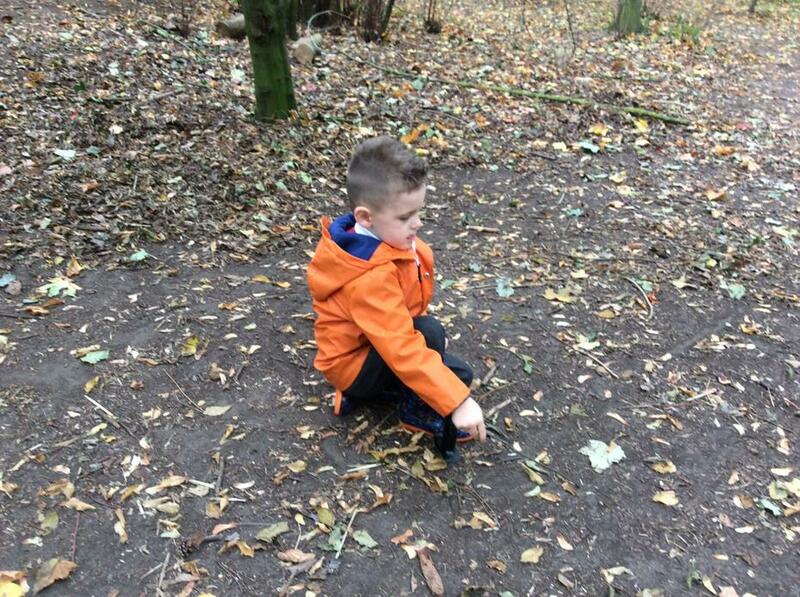 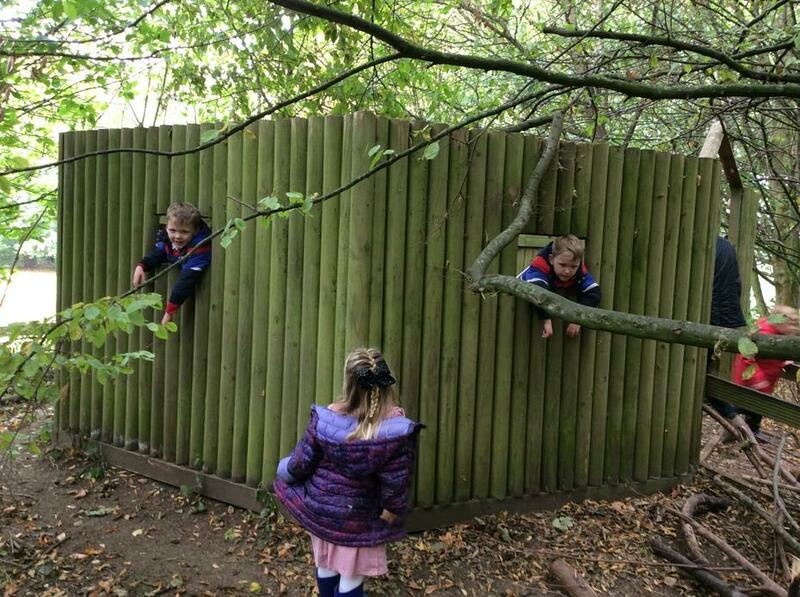 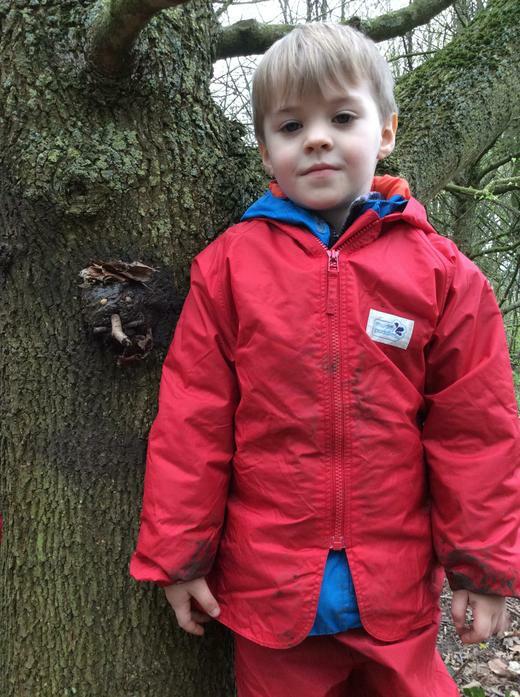 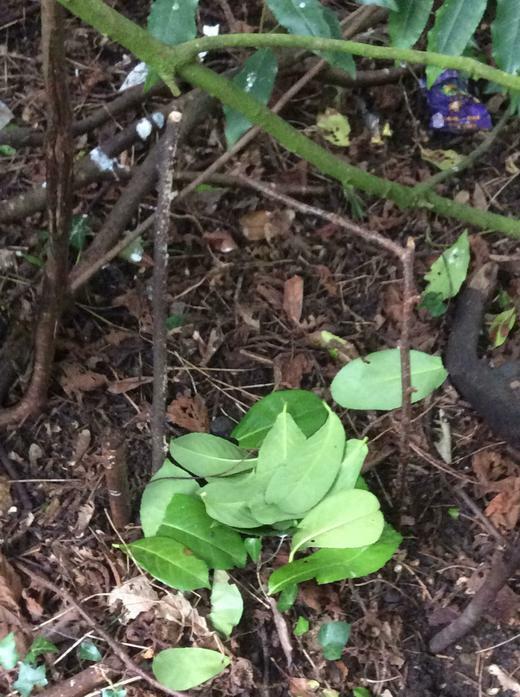 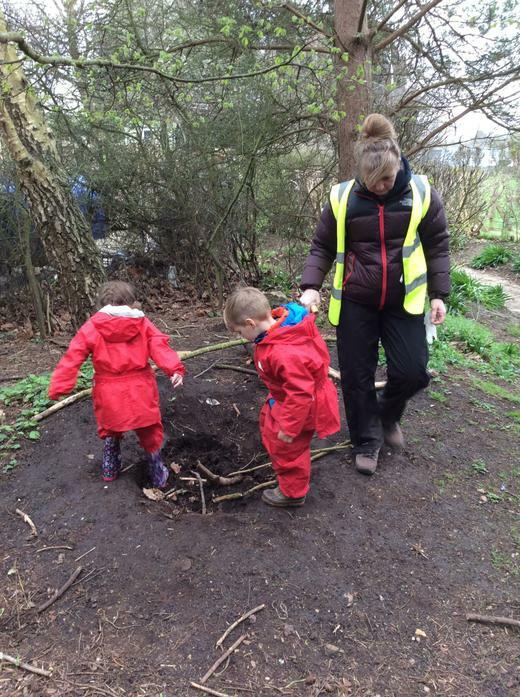 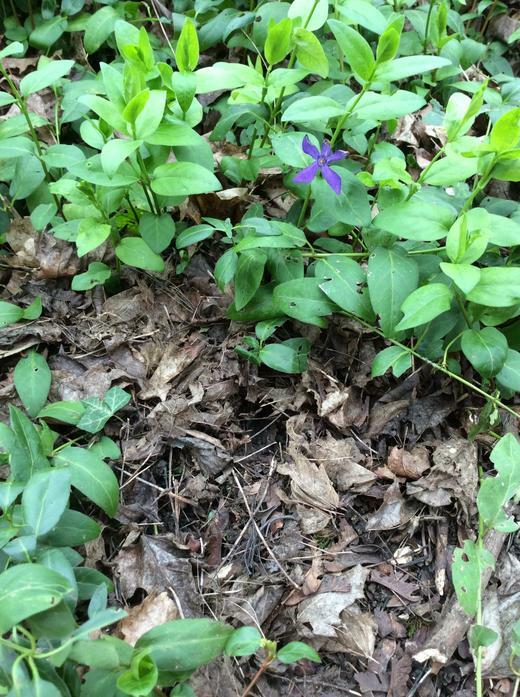 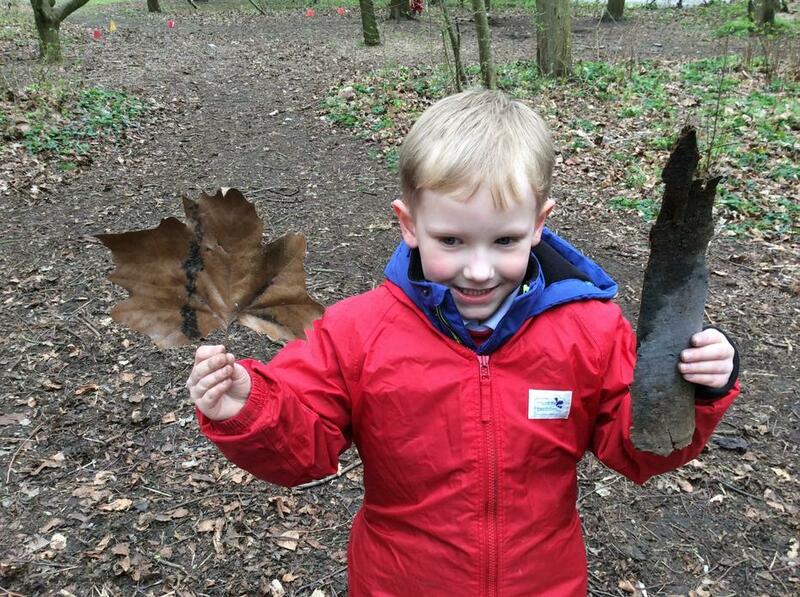 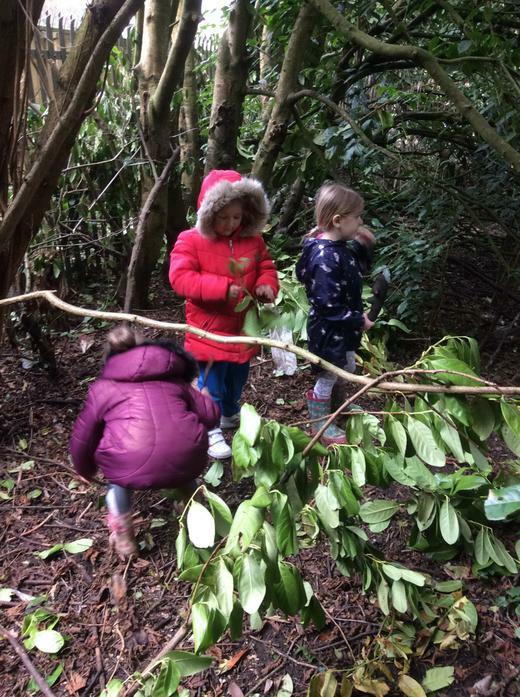 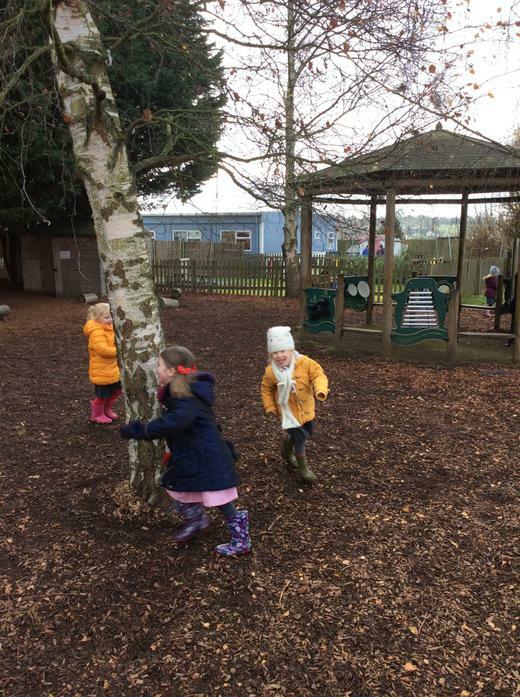 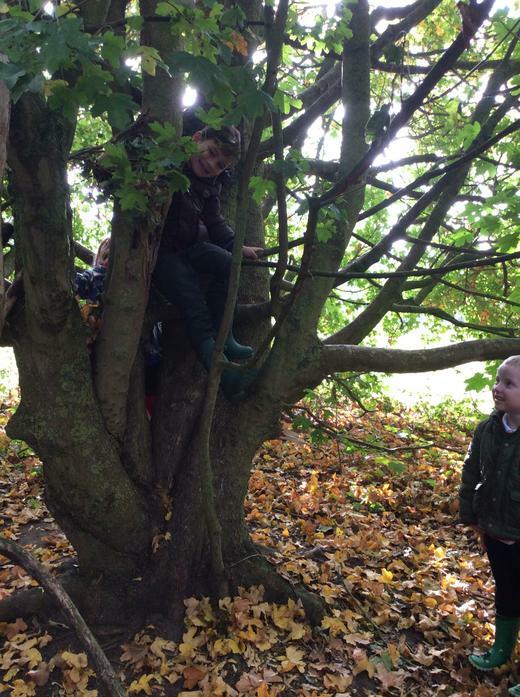 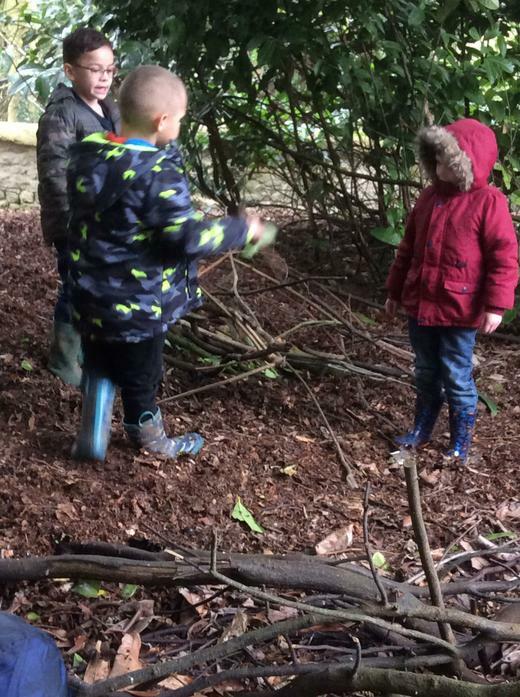 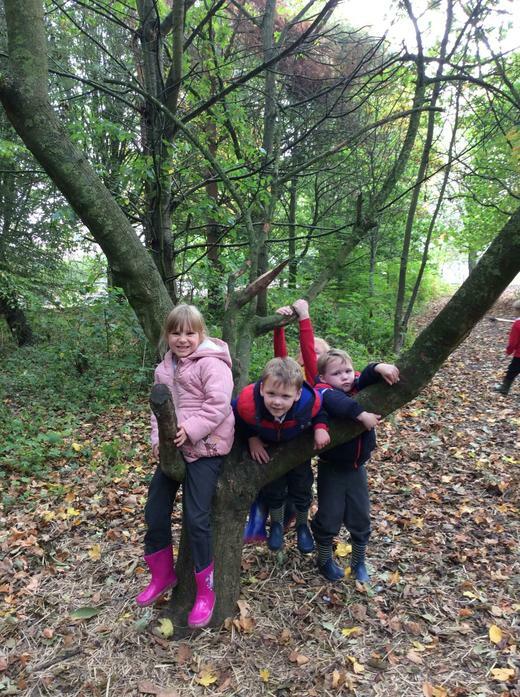 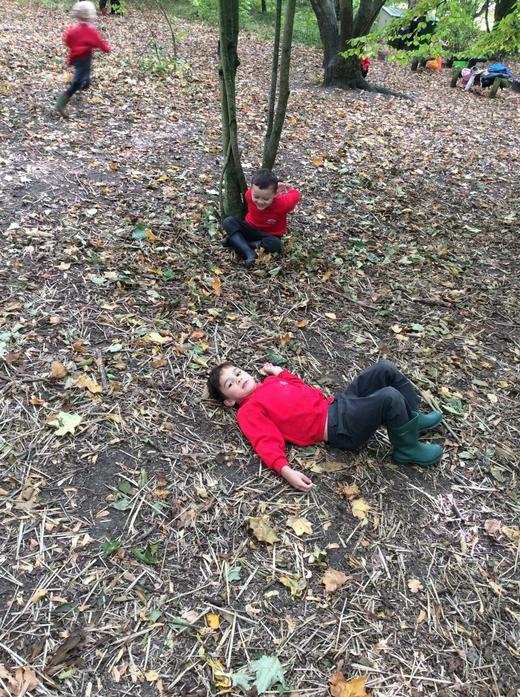 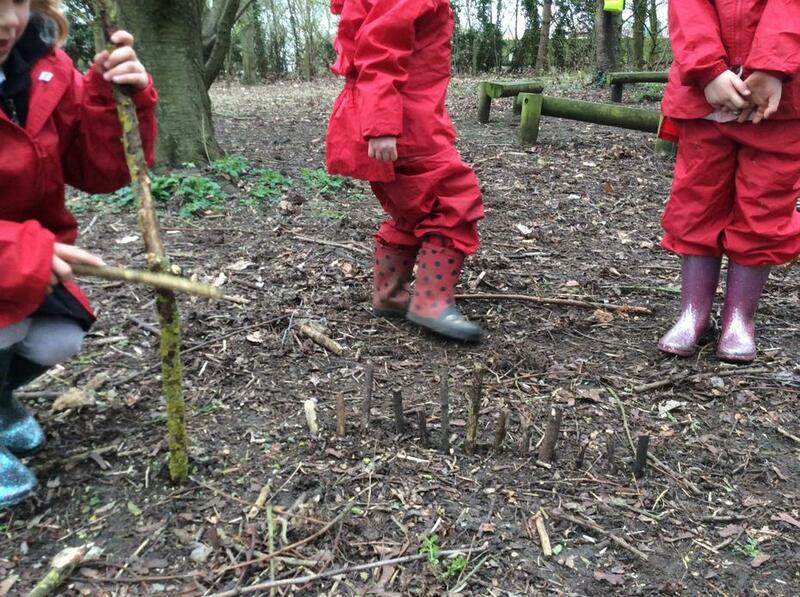 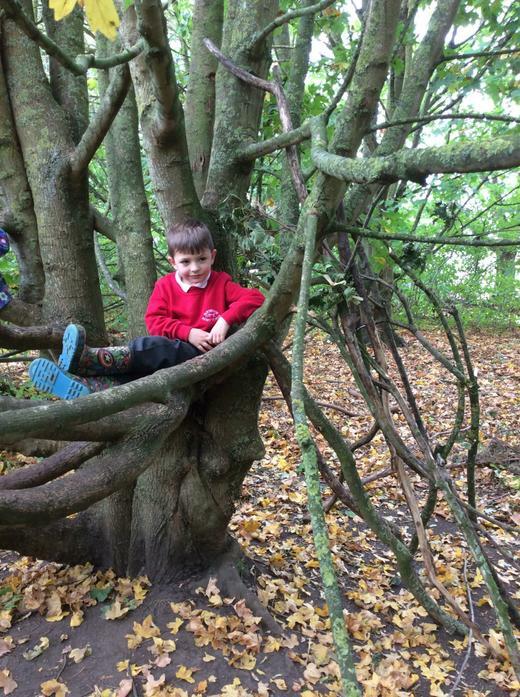 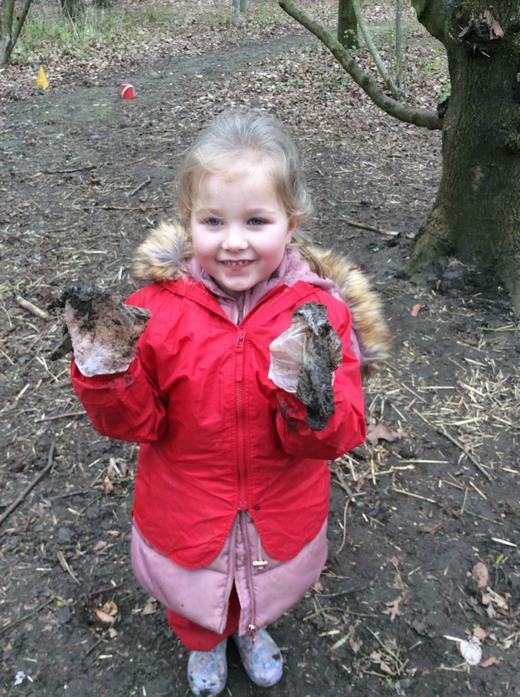 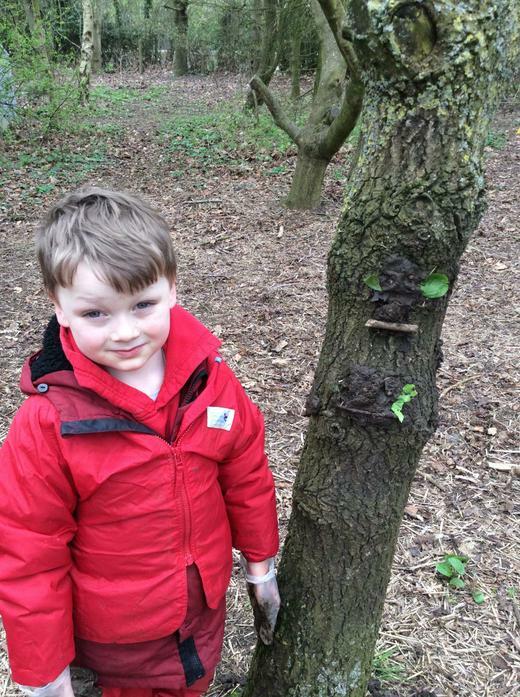 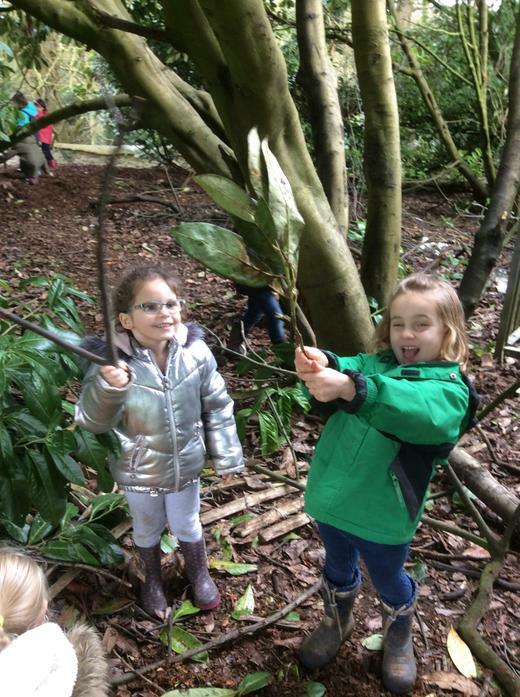 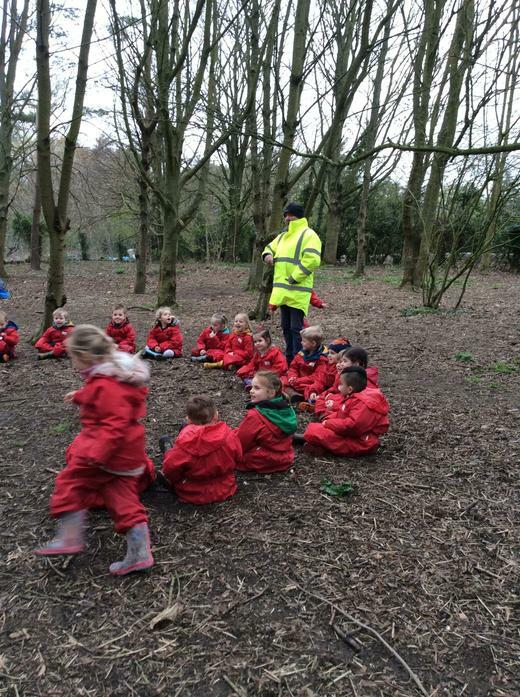 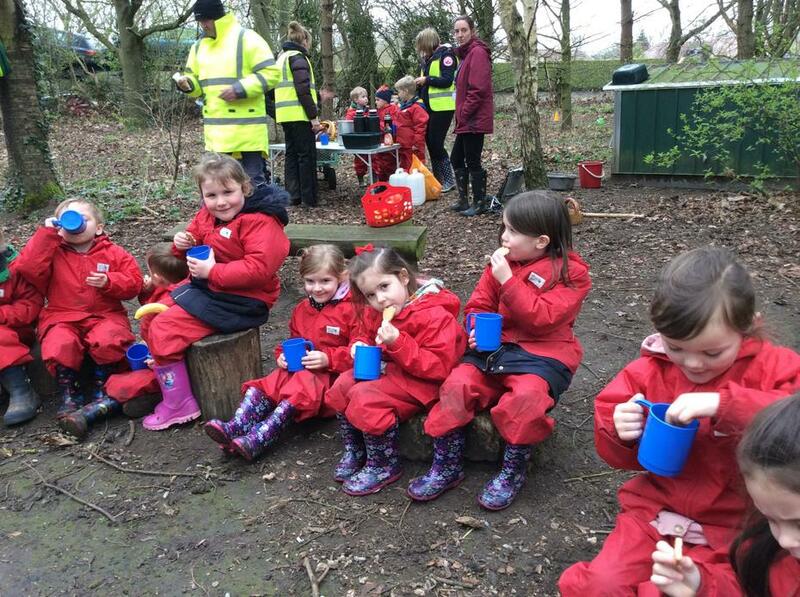 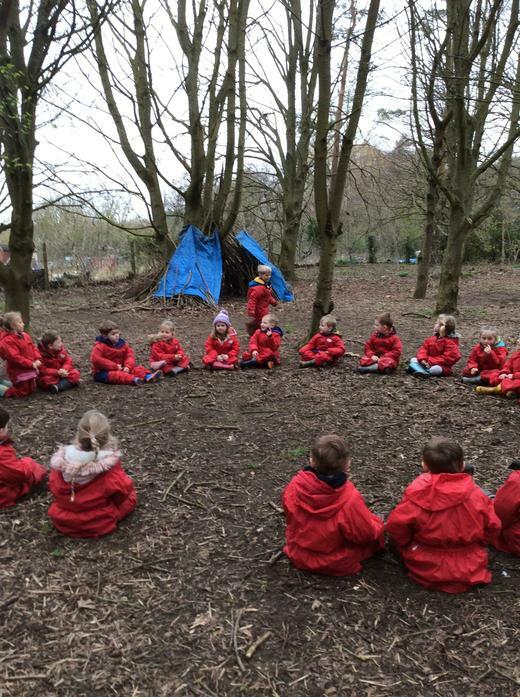 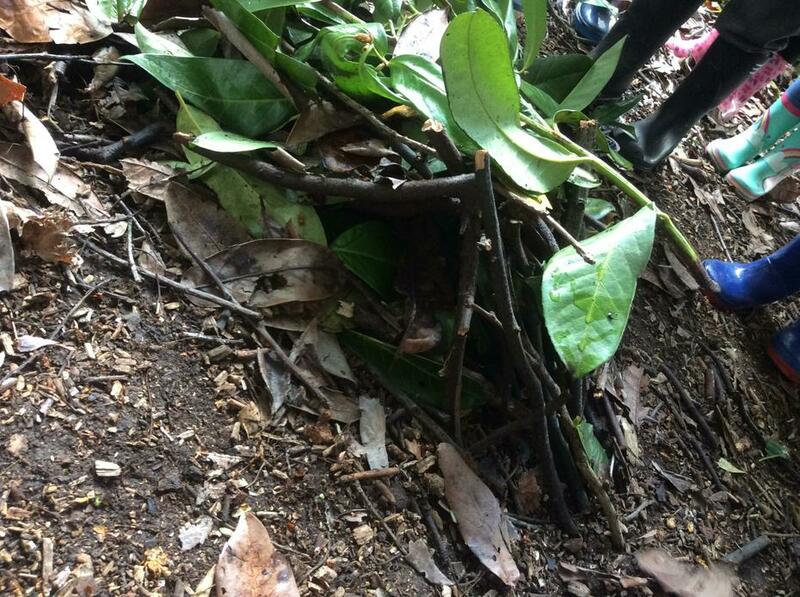 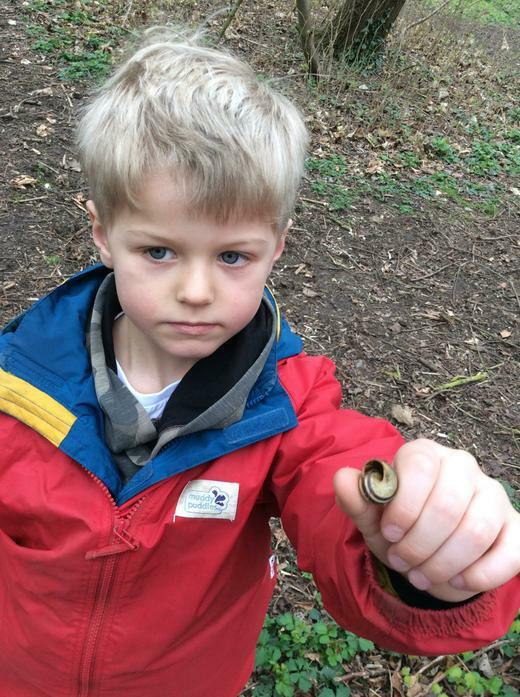 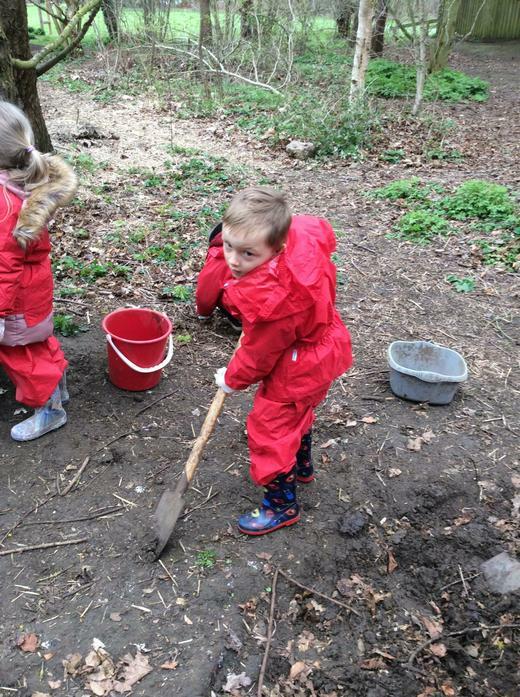 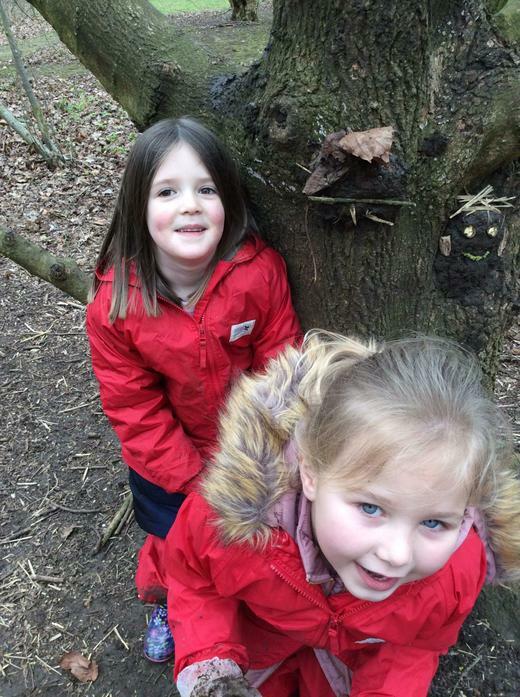 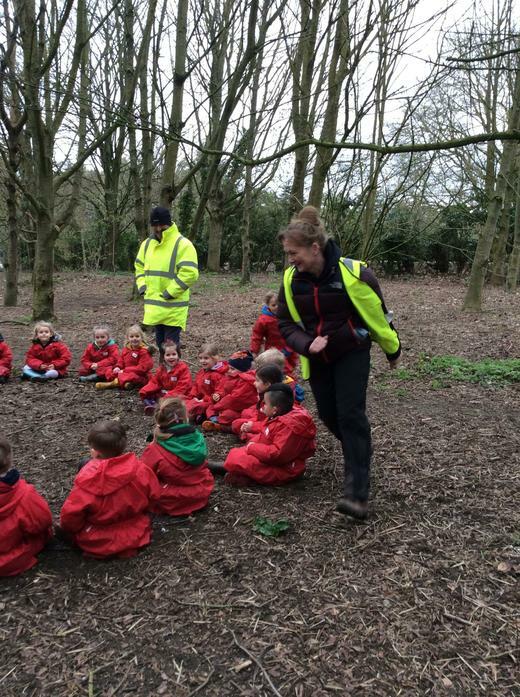 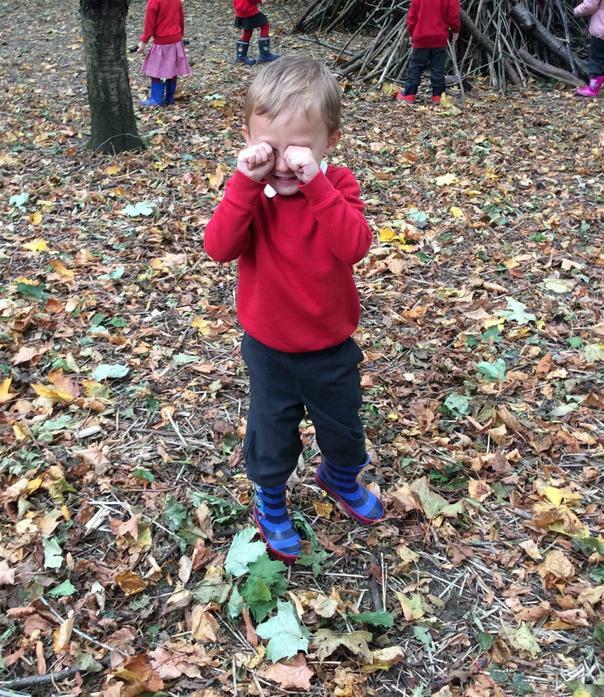 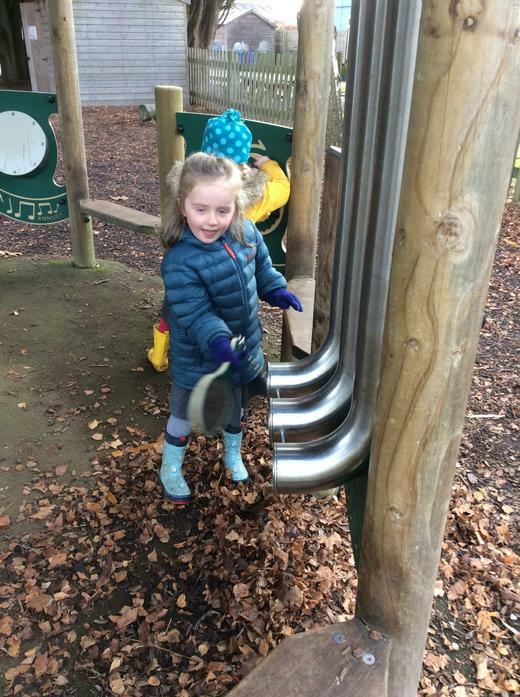 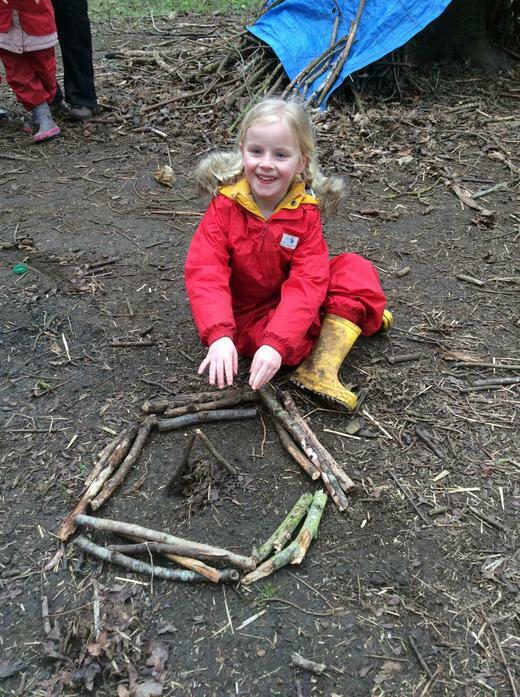 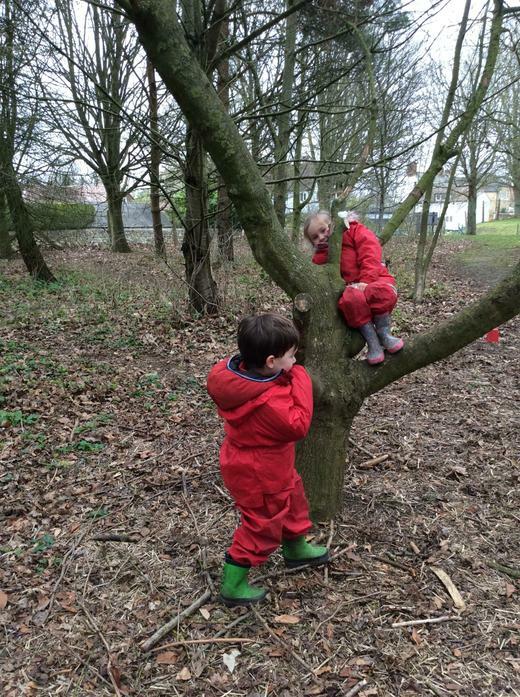 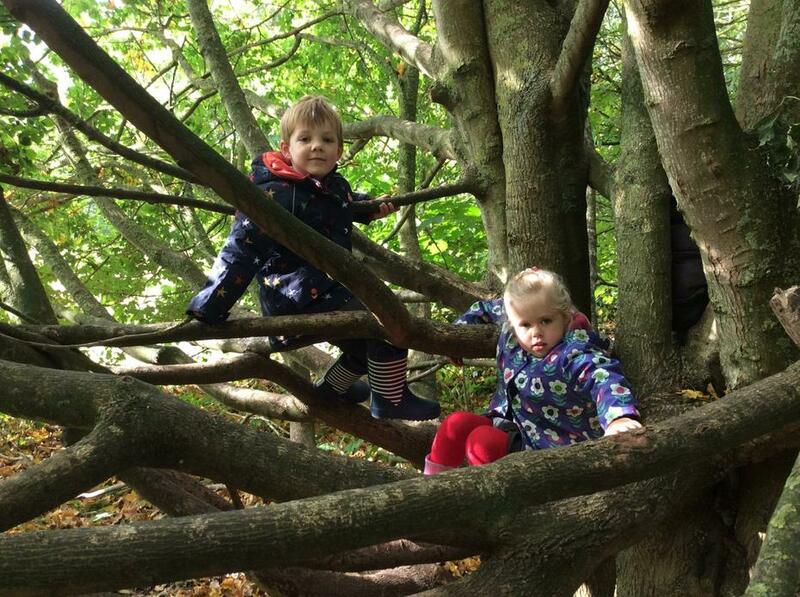 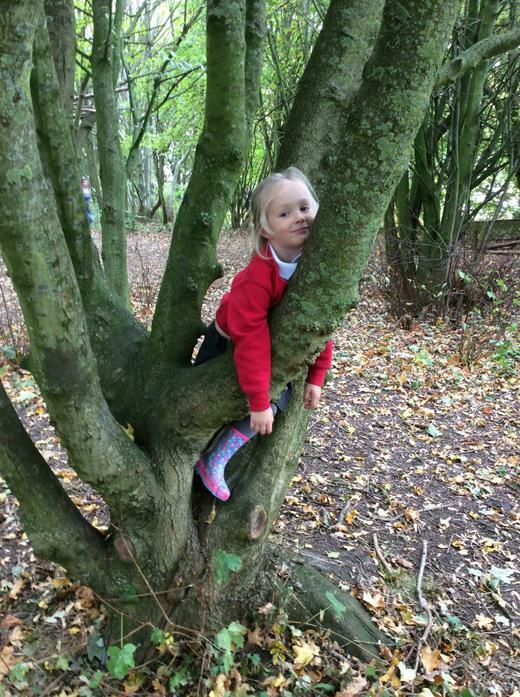 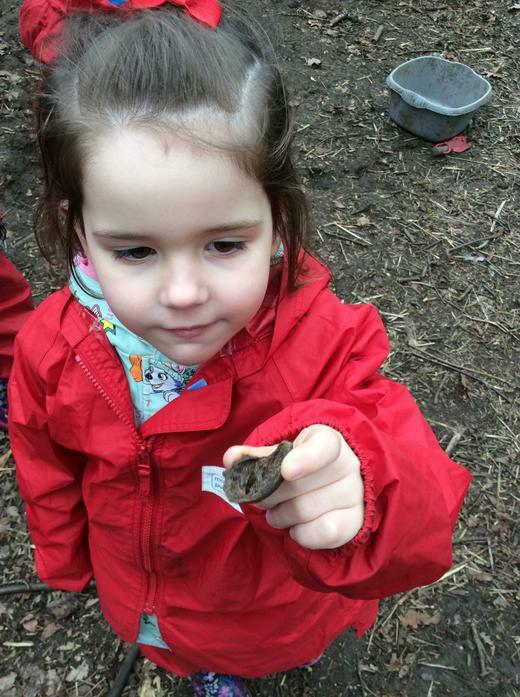 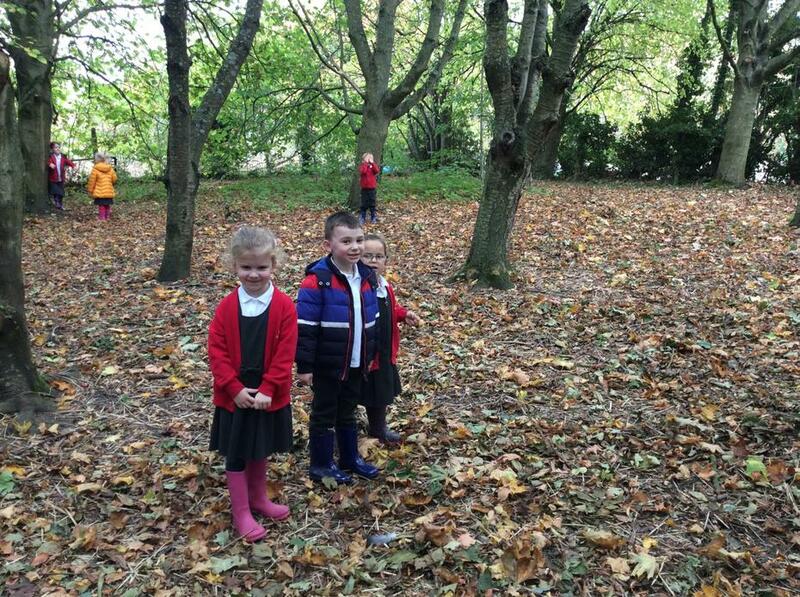 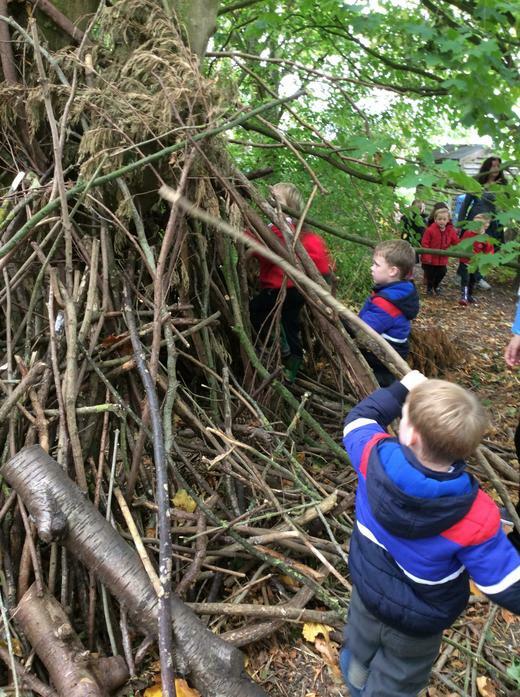 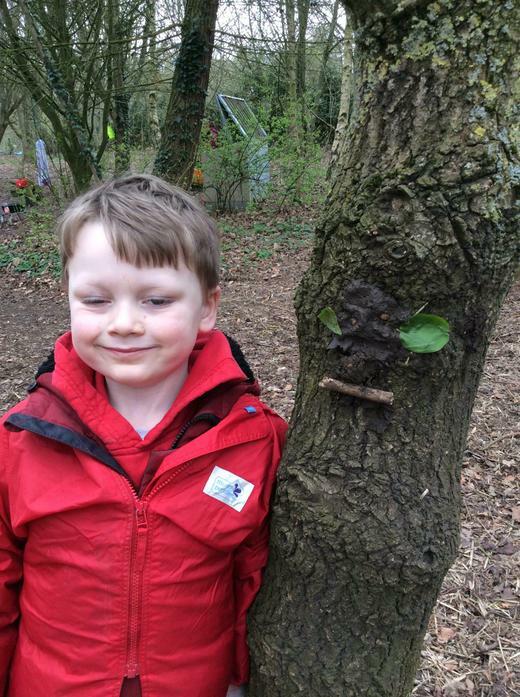 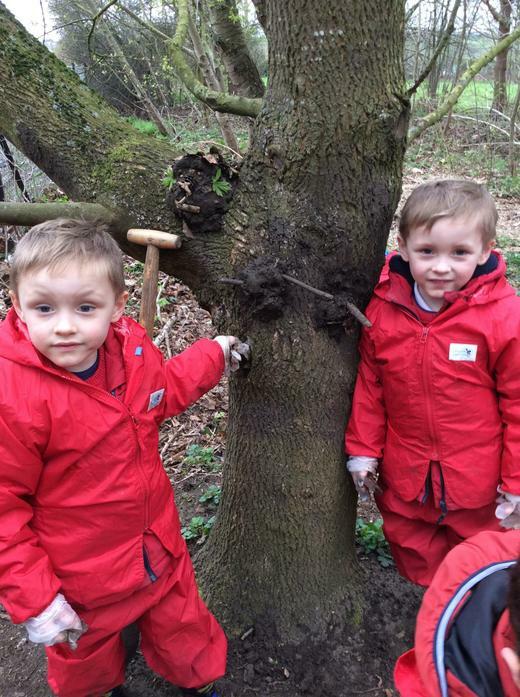 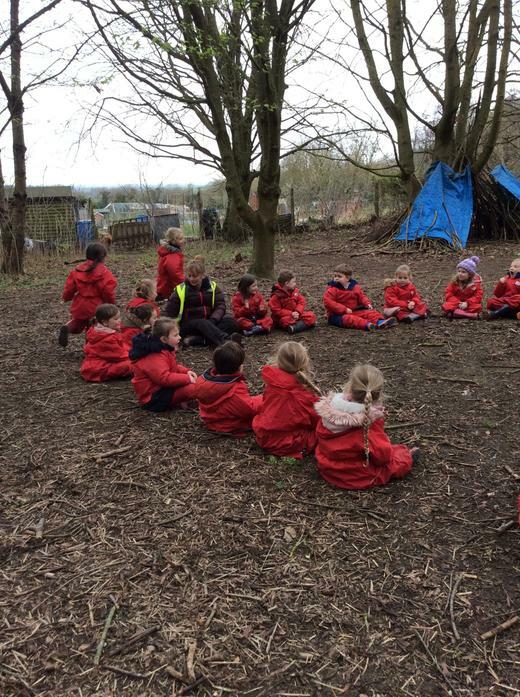 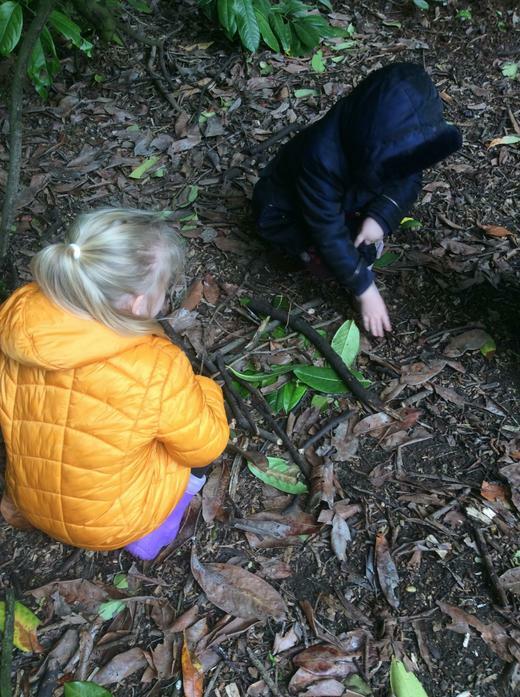 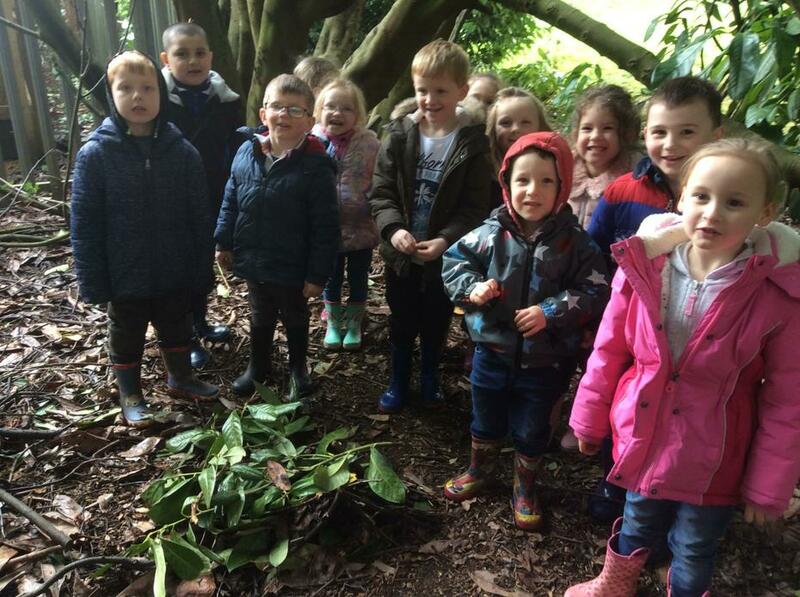 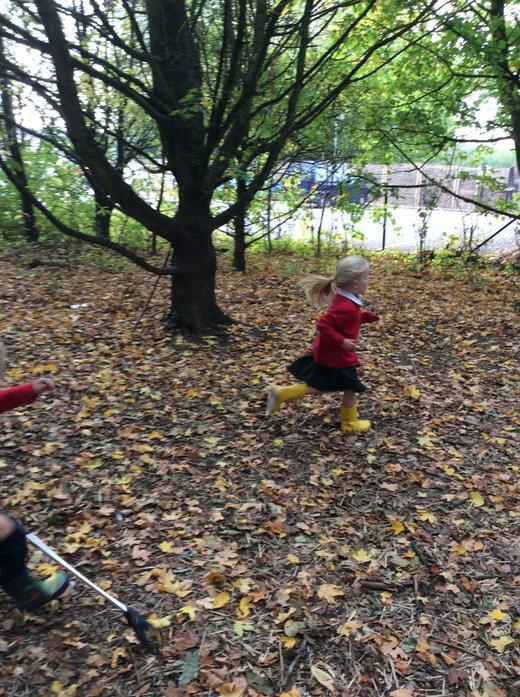 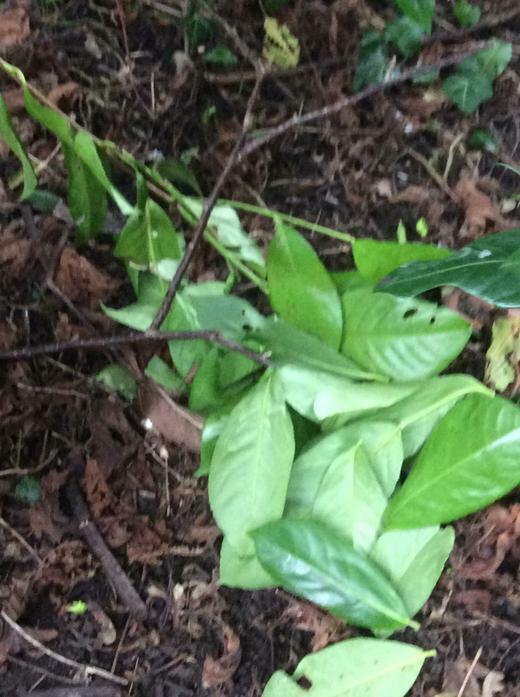 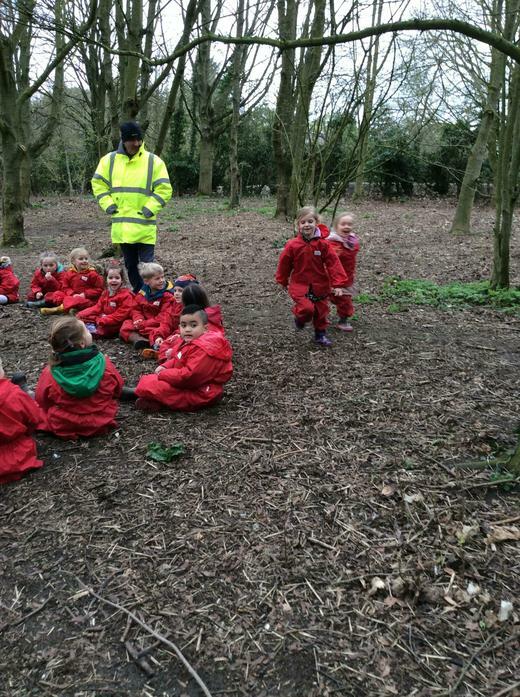 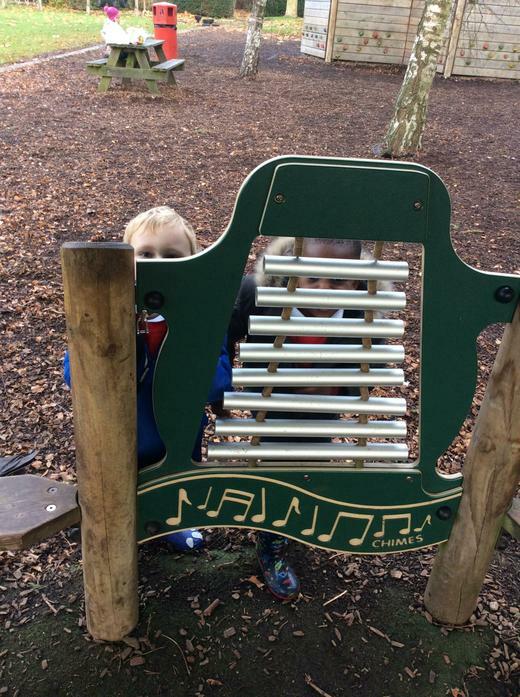 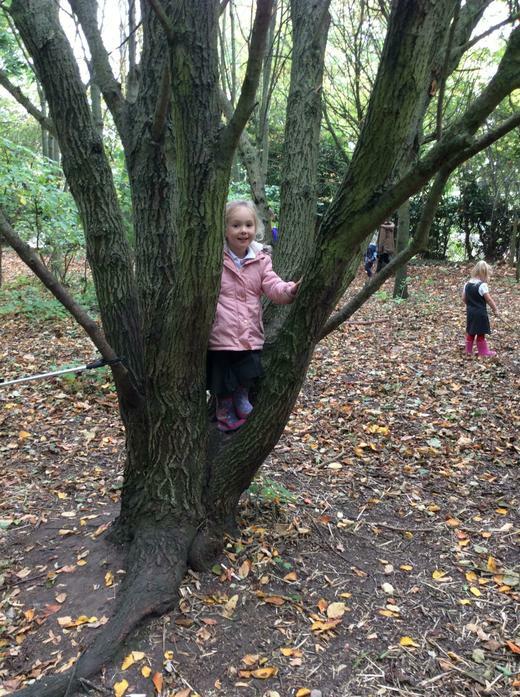 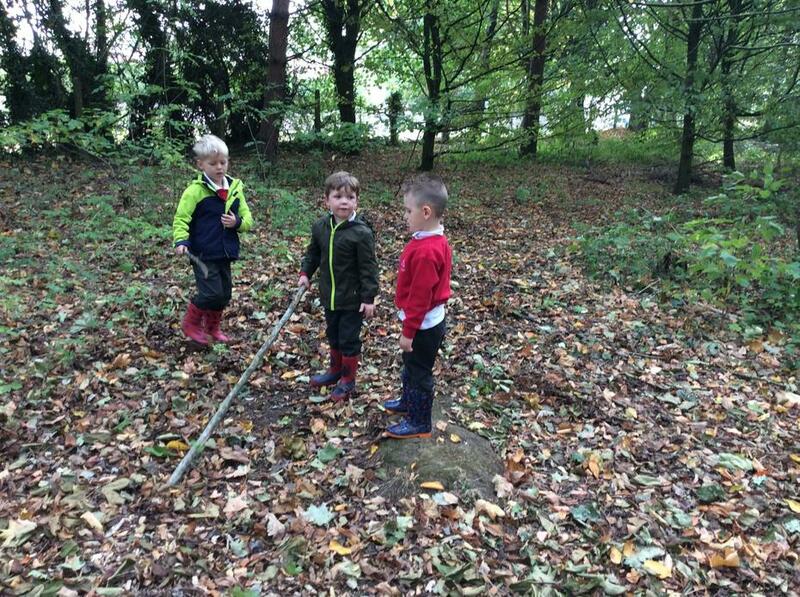 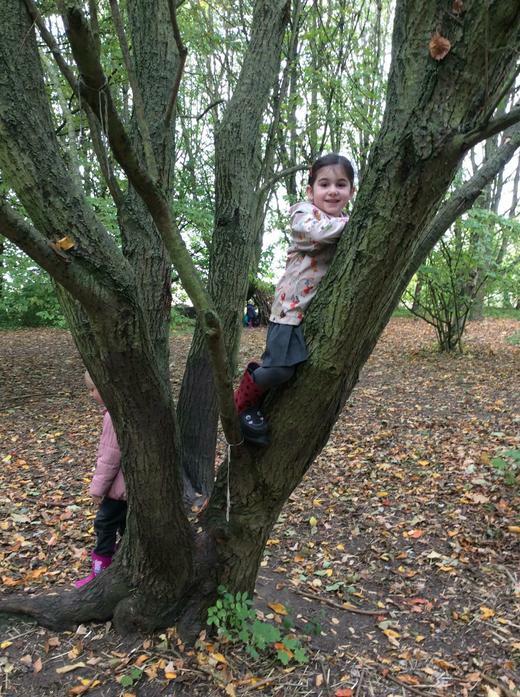 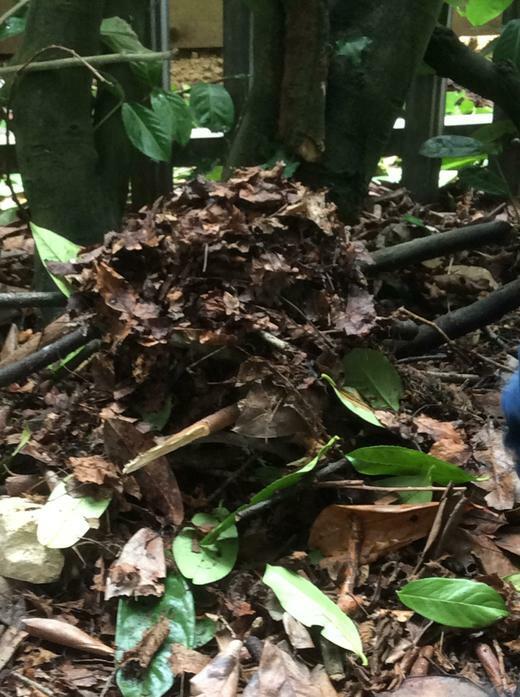 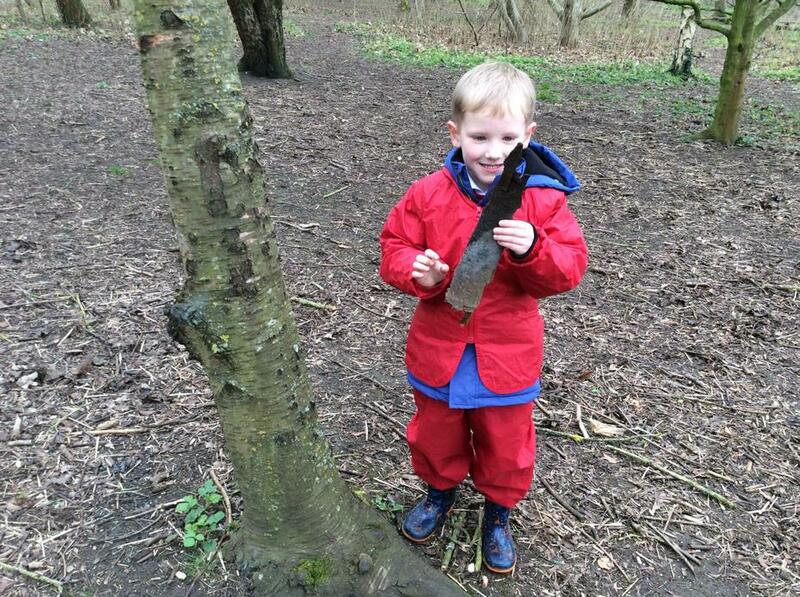 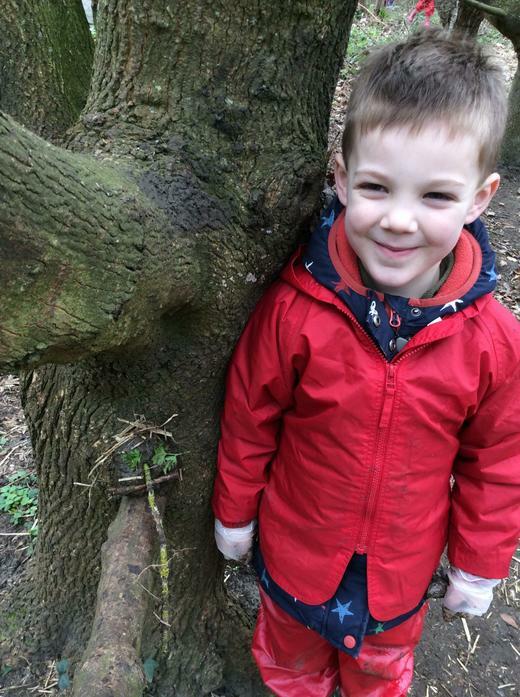 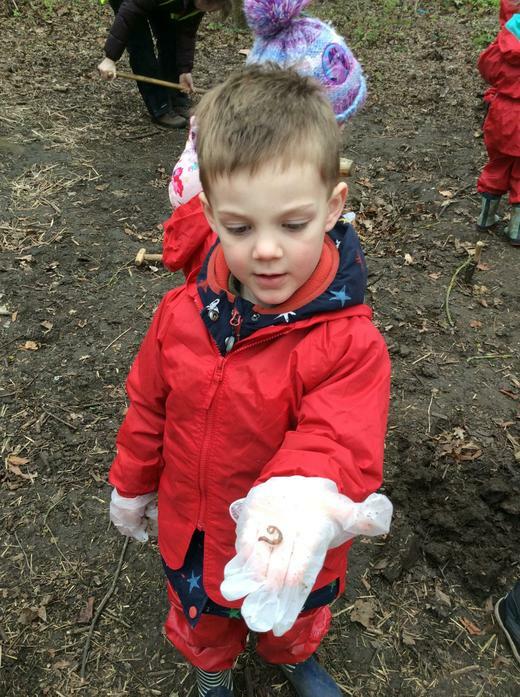 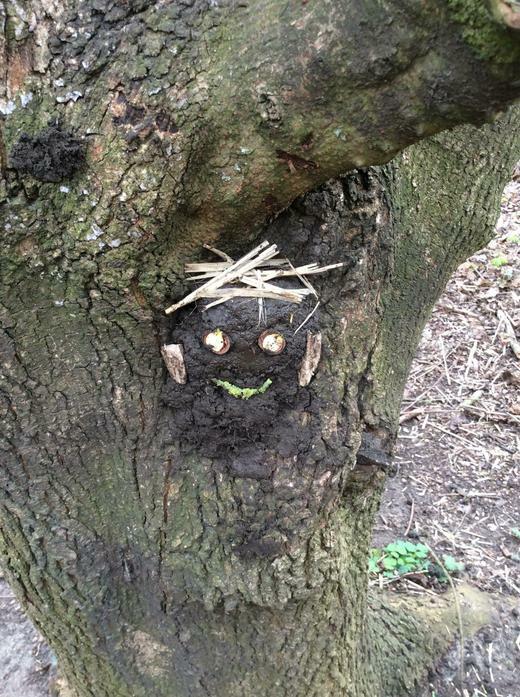 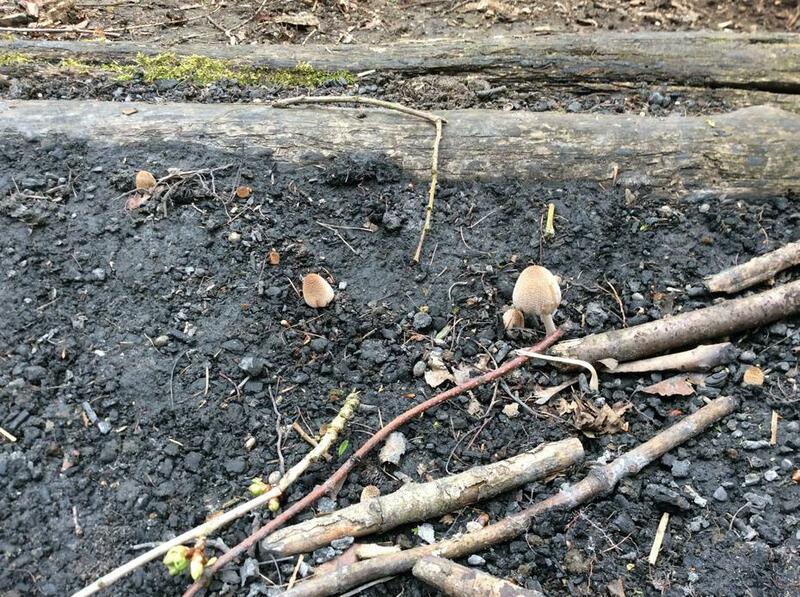 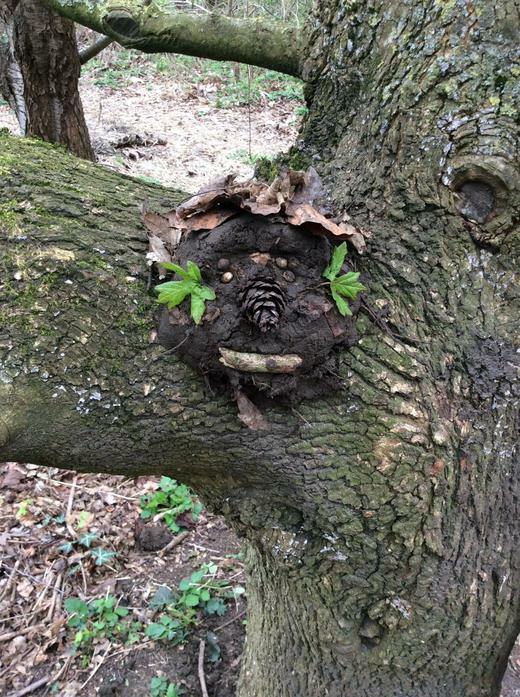 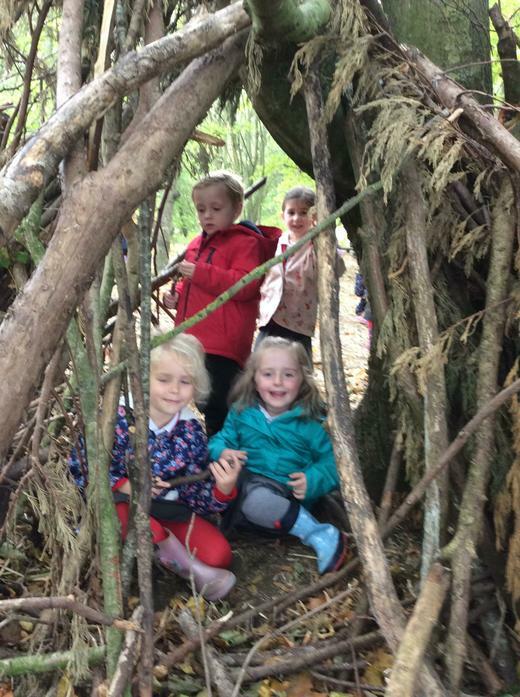 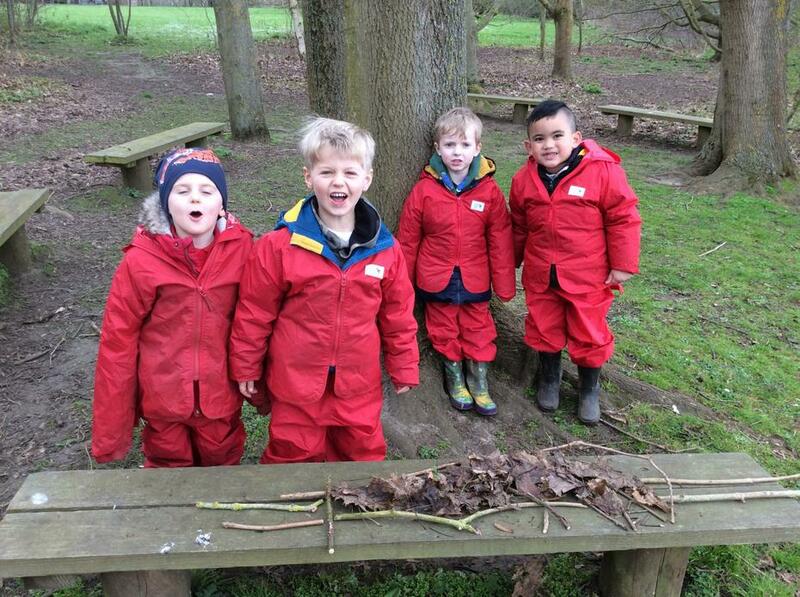 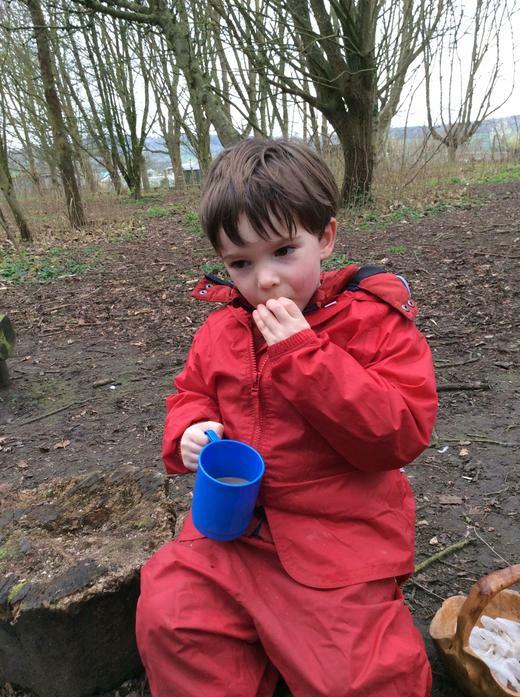 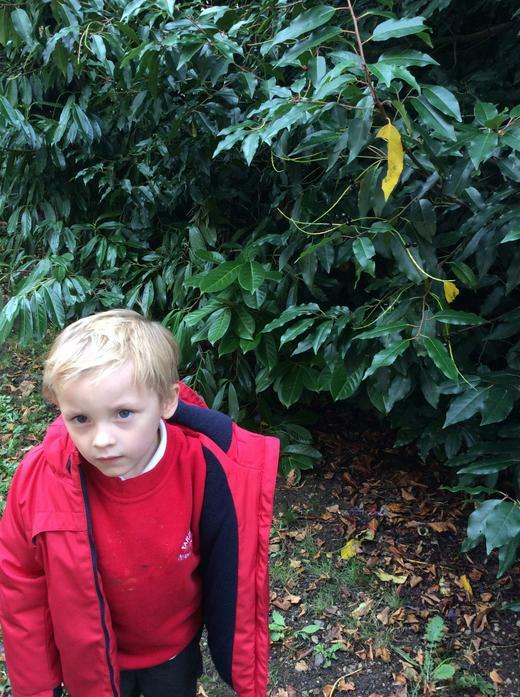 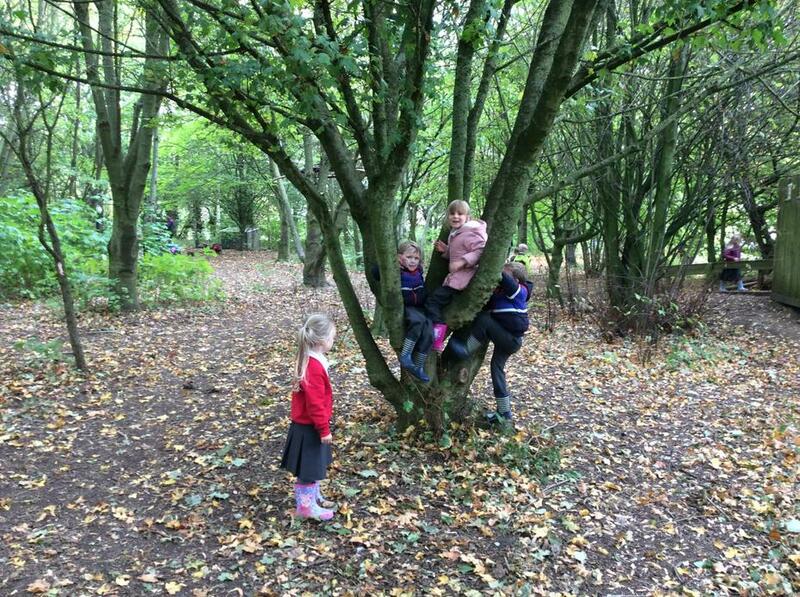 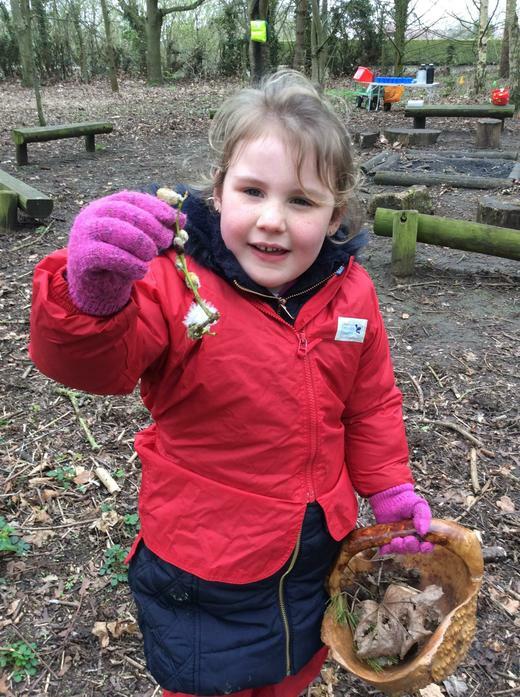 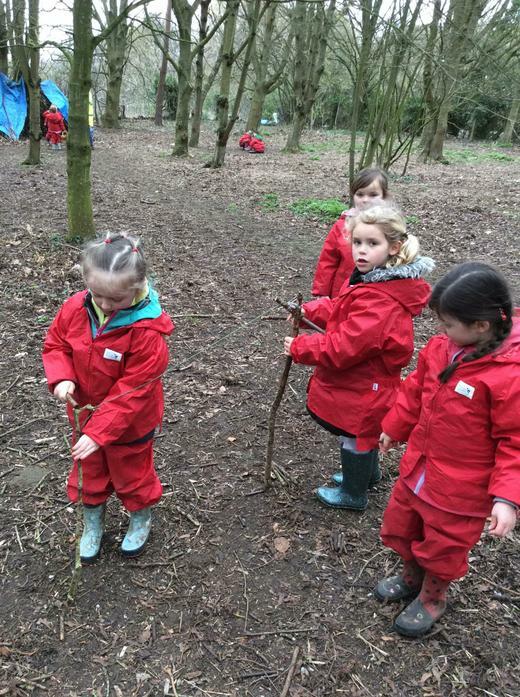 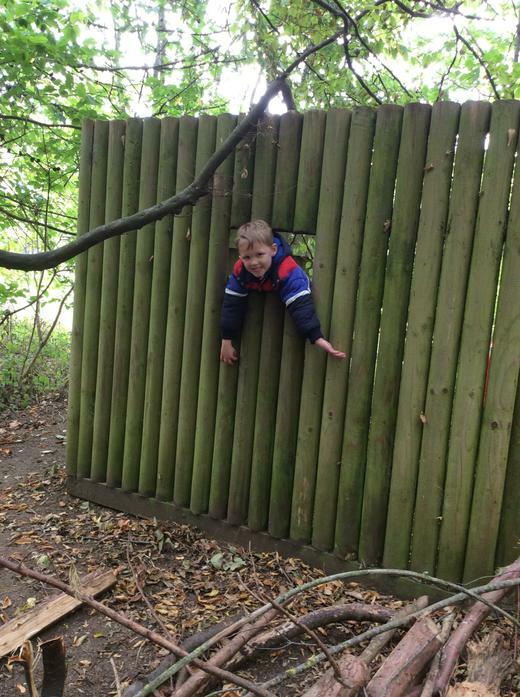 Look at all the fun we have been having in the woods!